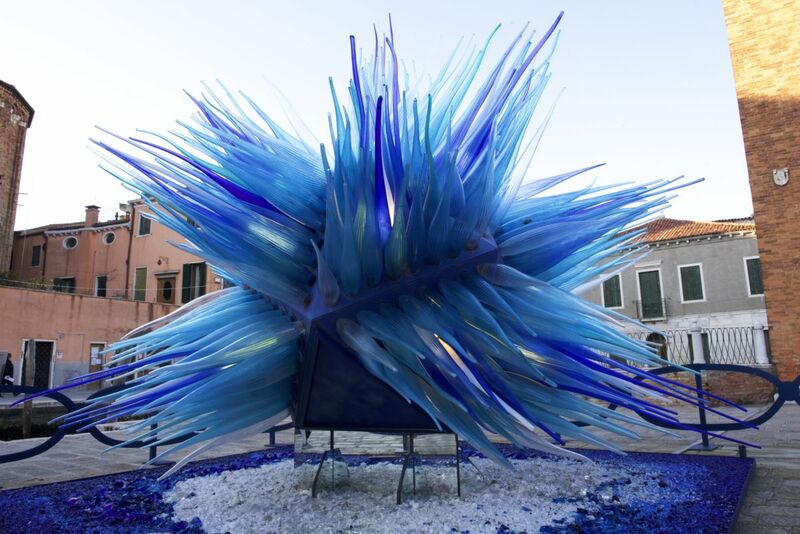 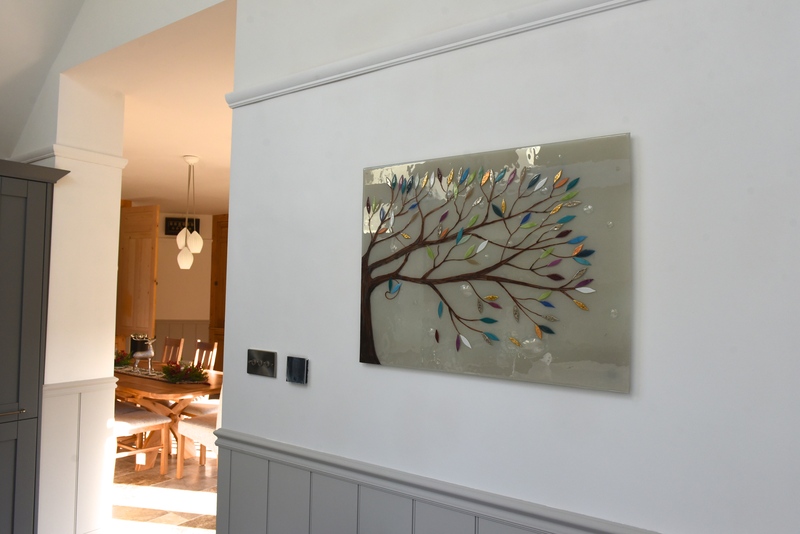 The story behind this particular piece of glass is a pretty straightforward one, but the piece itself is anything but simple. 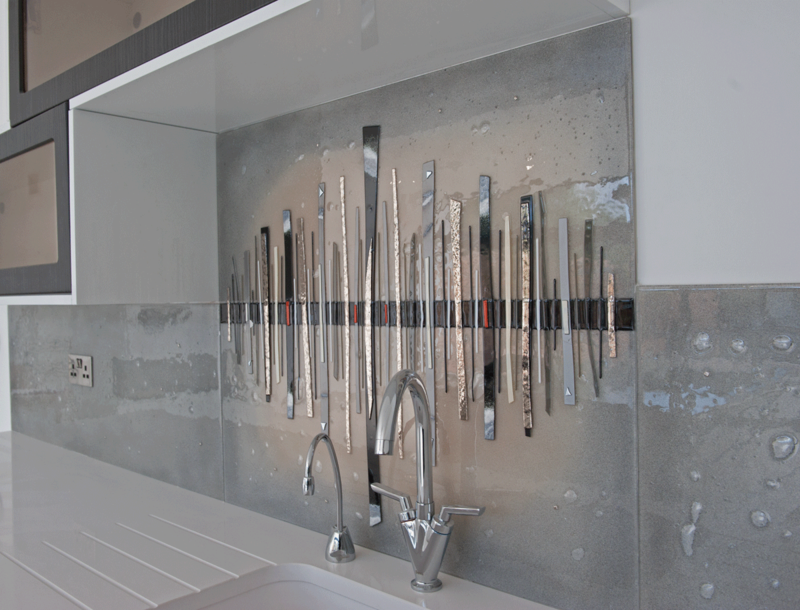 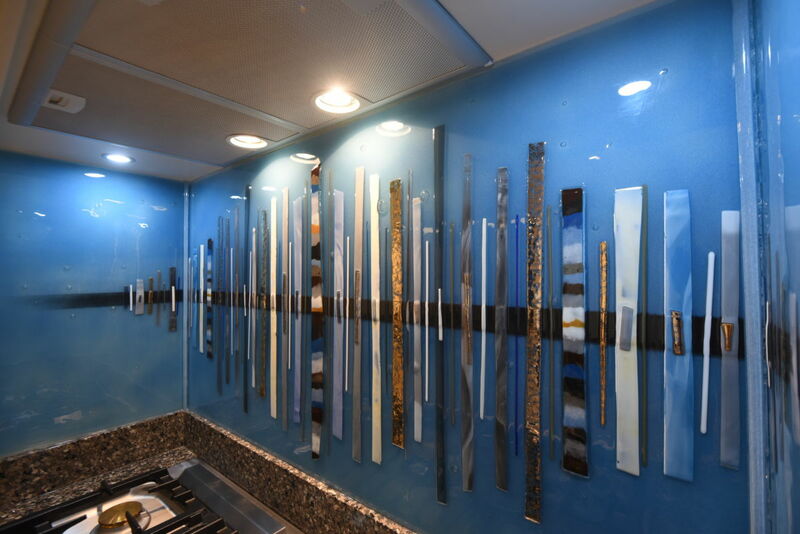 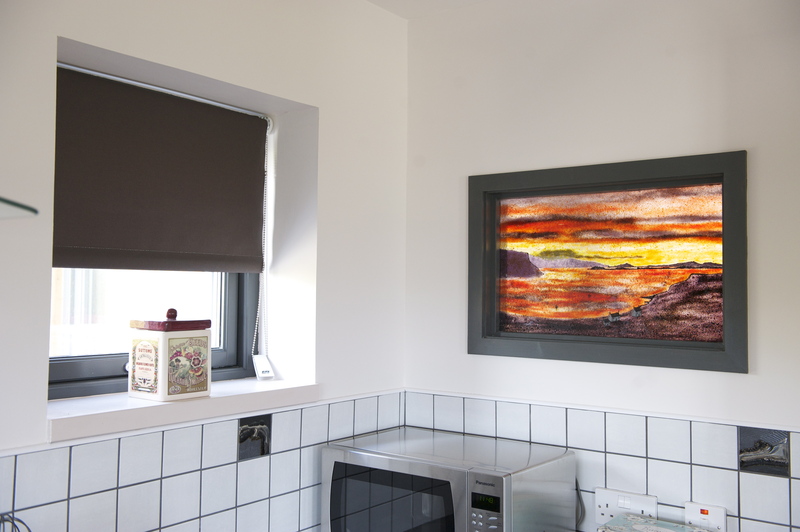 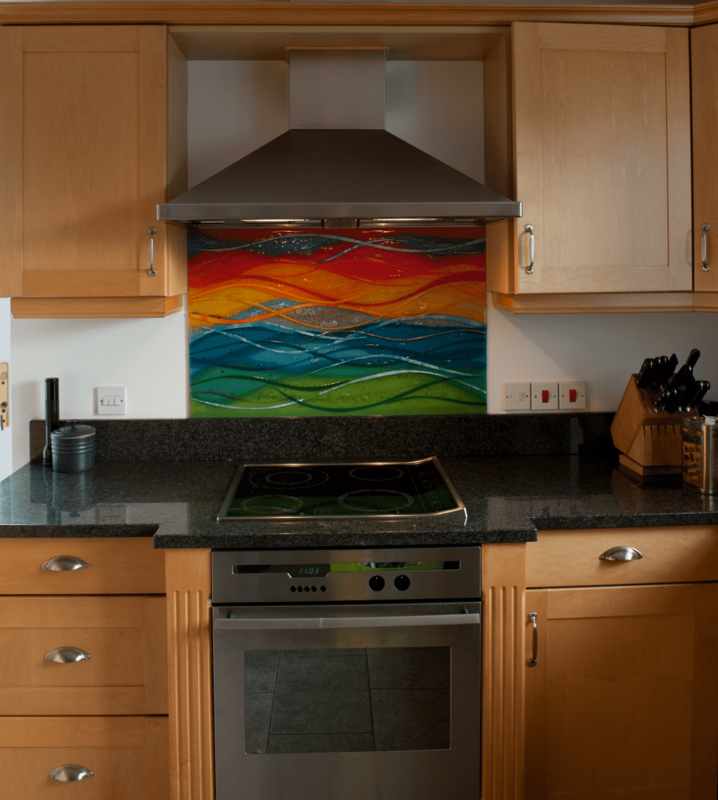 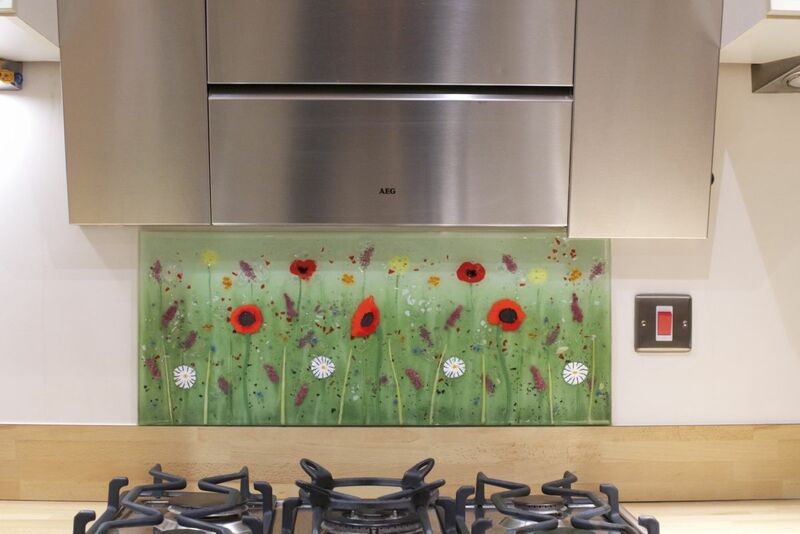 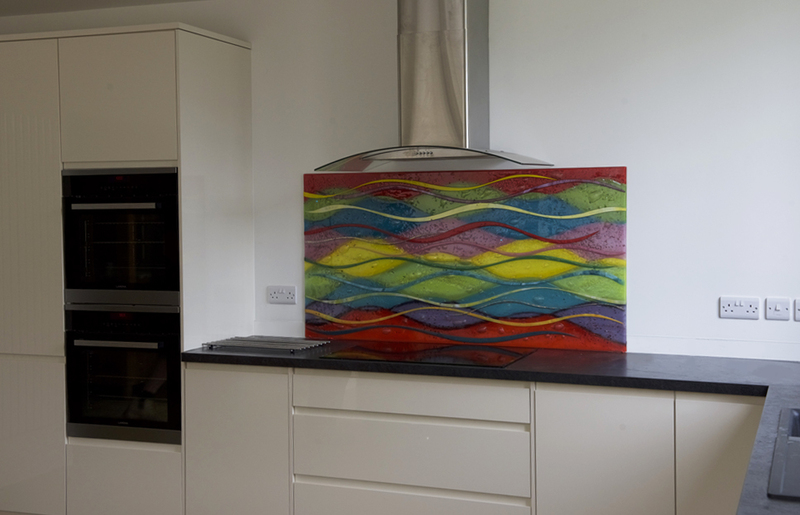 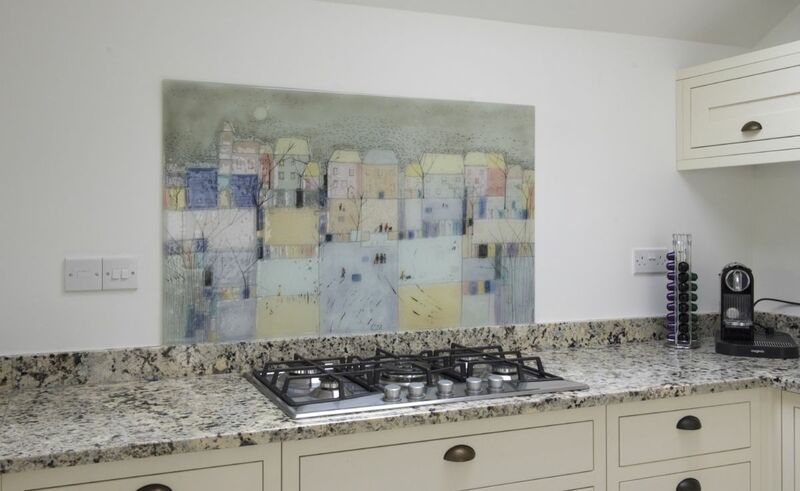 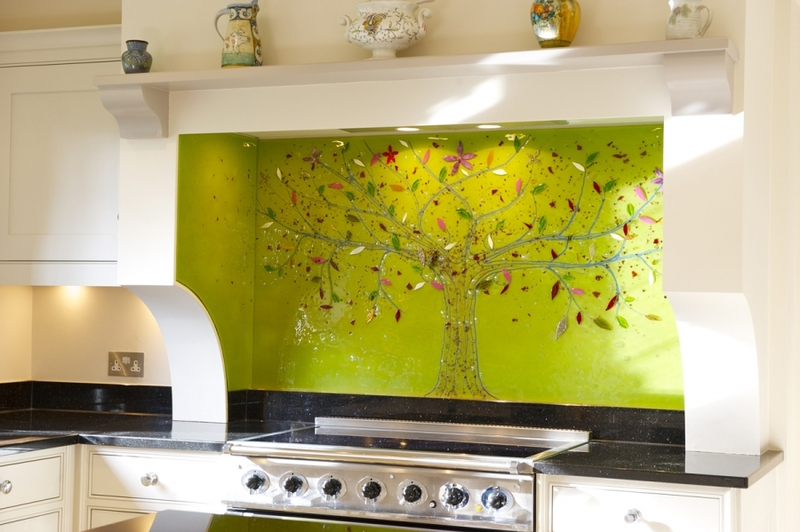 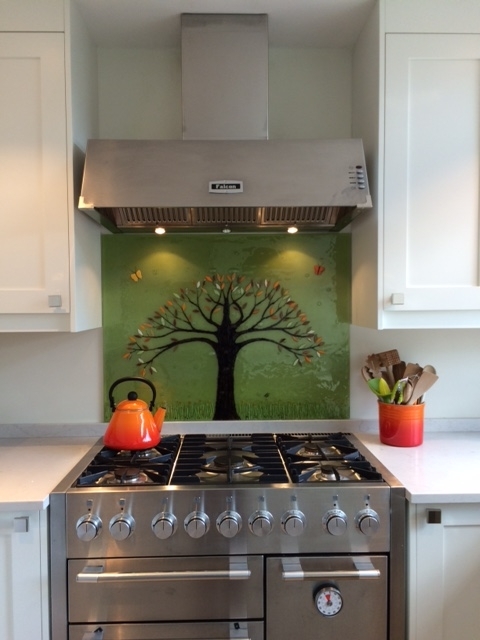 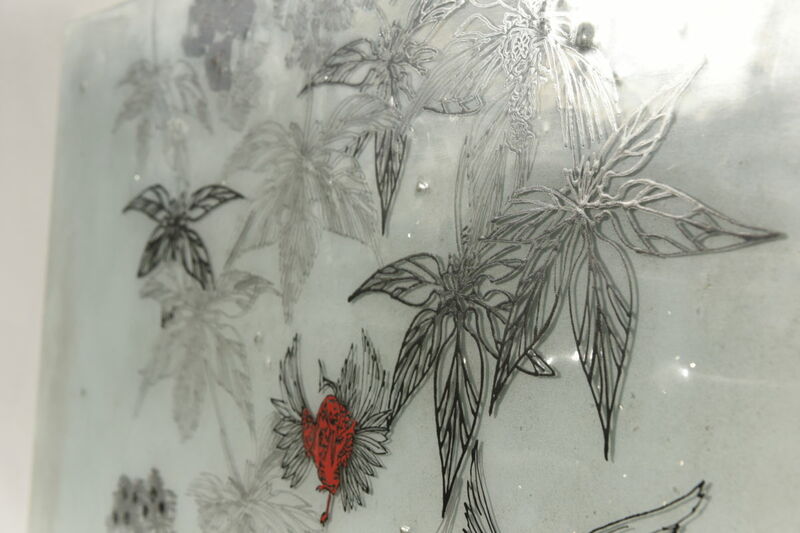 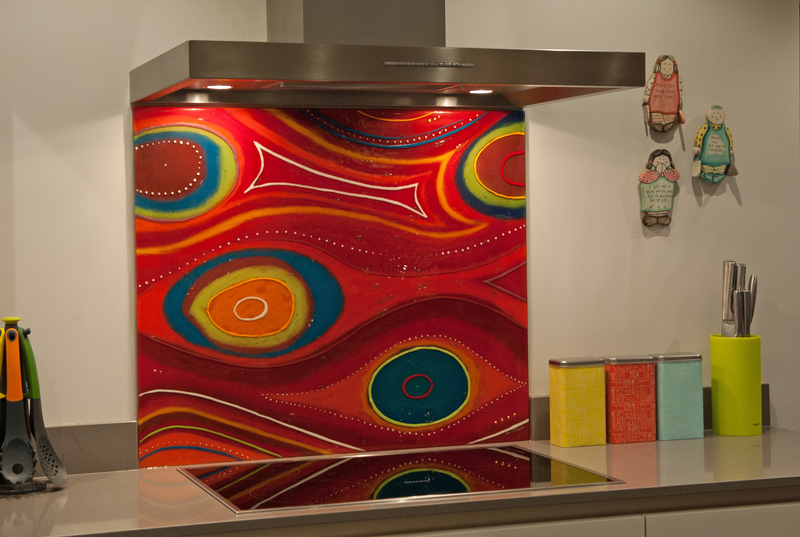 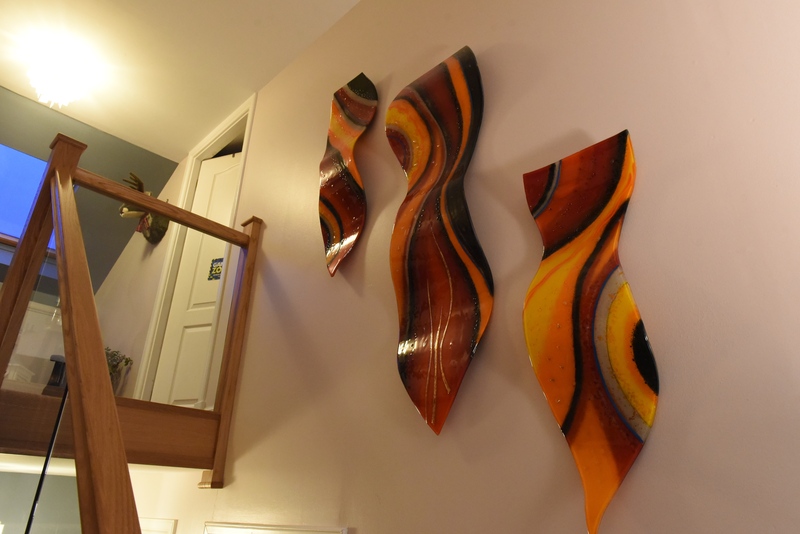 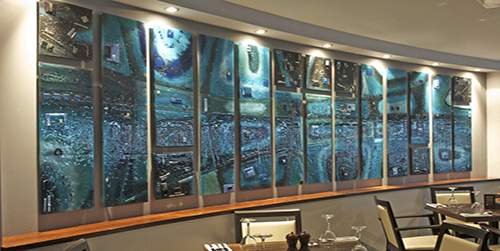 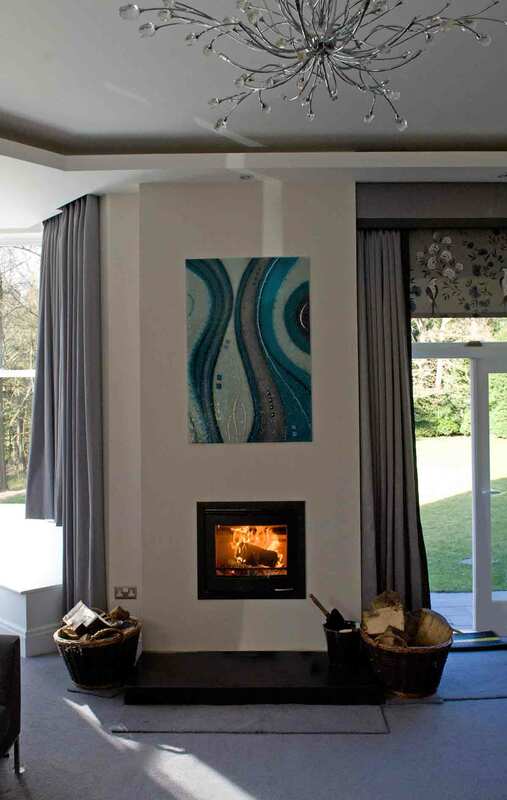 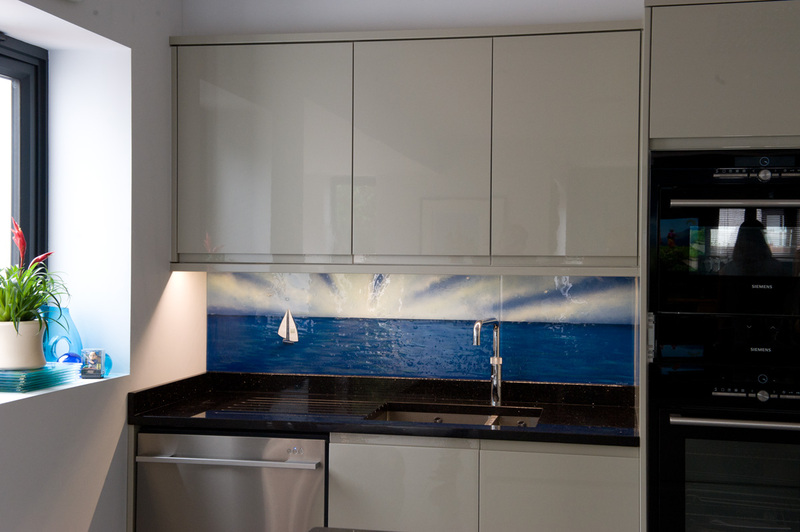 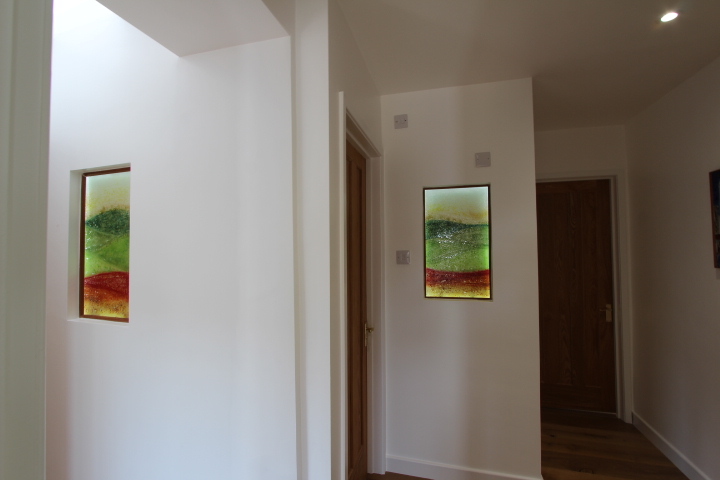 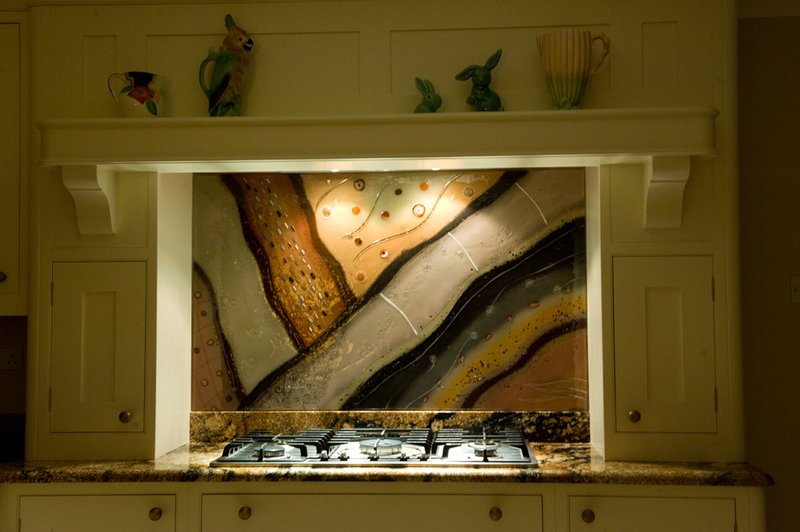 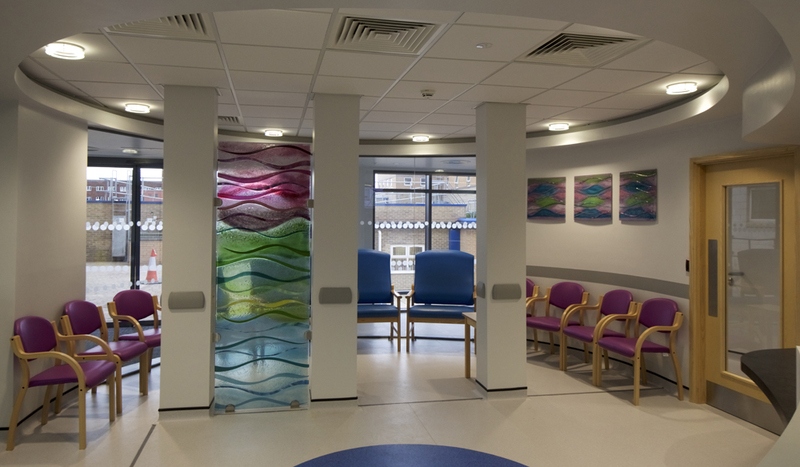 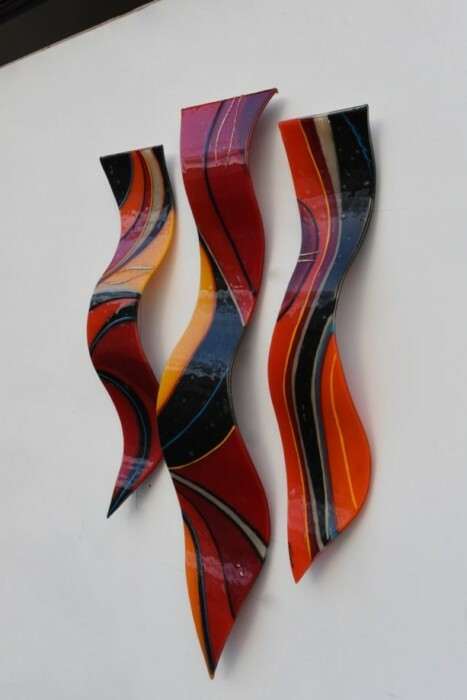 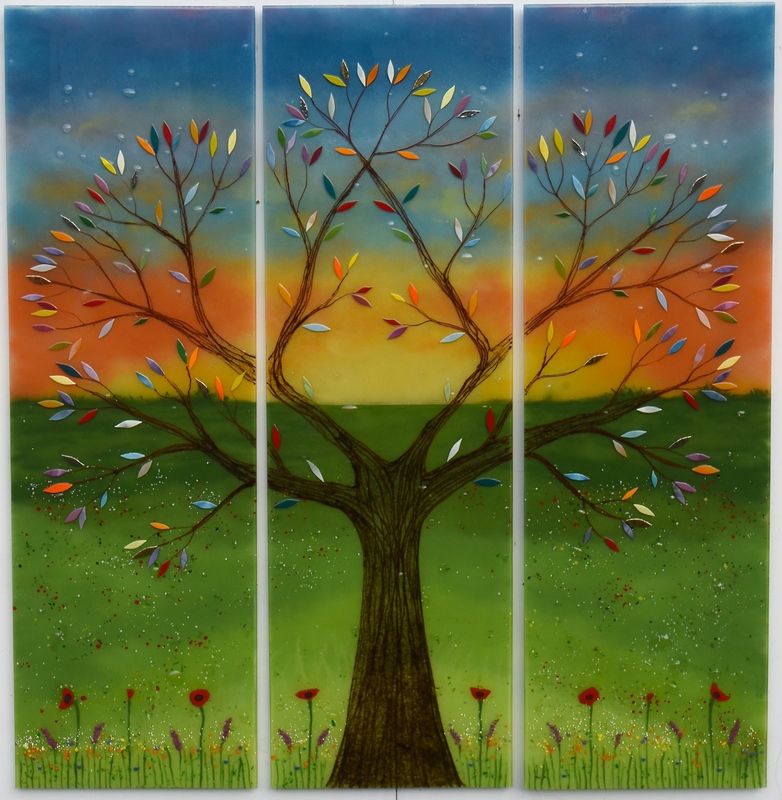 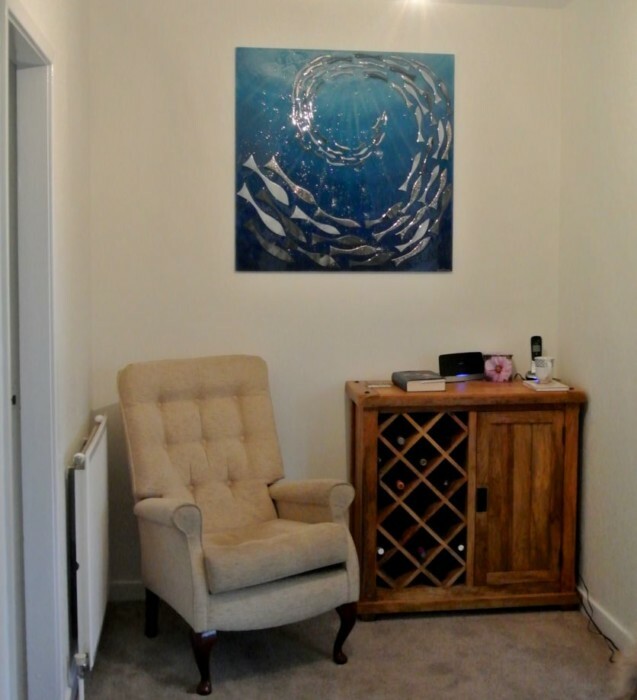 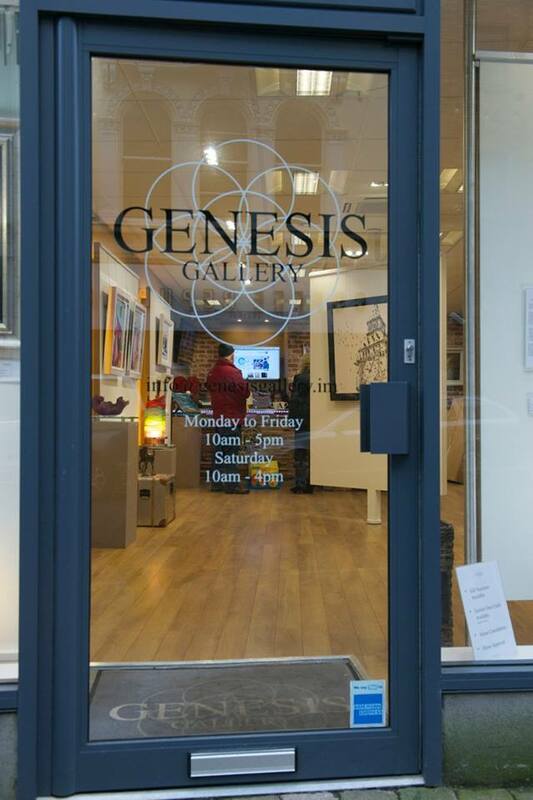 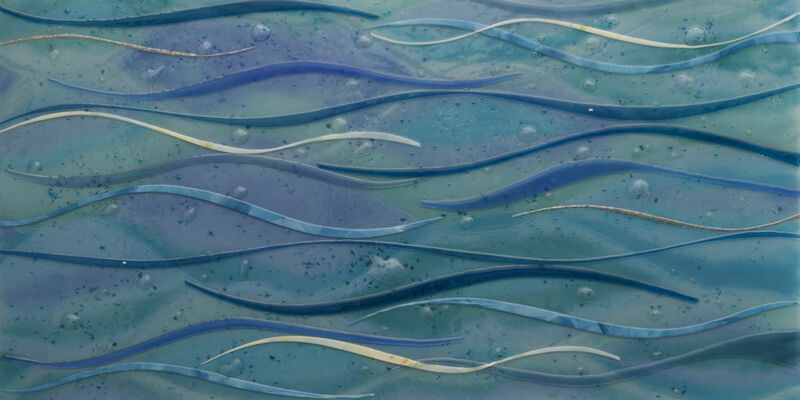 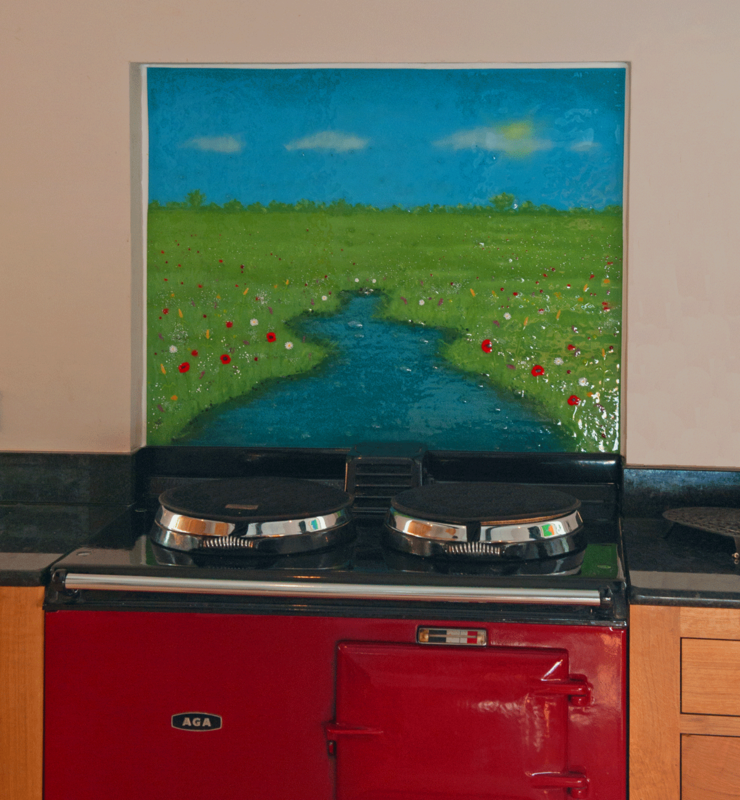 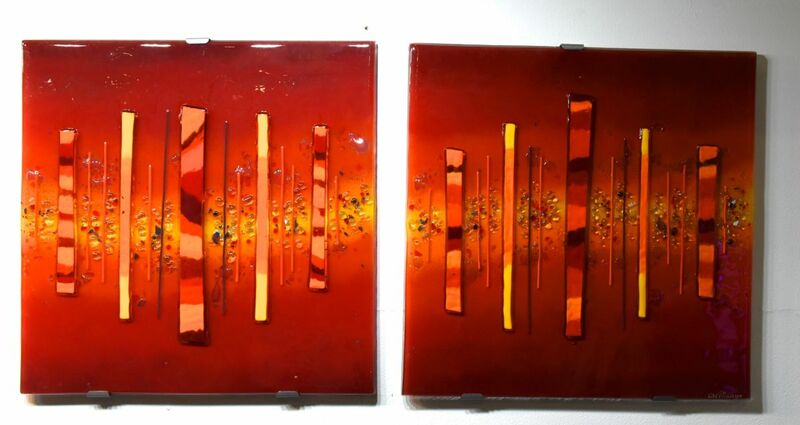 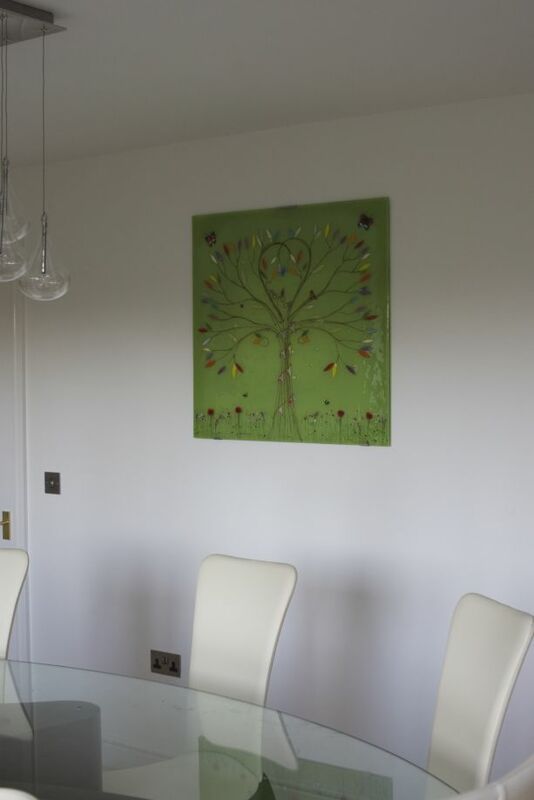 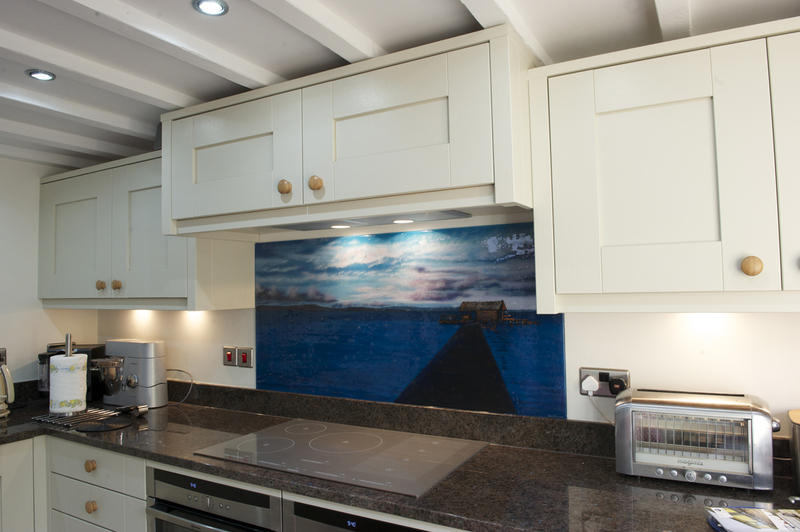 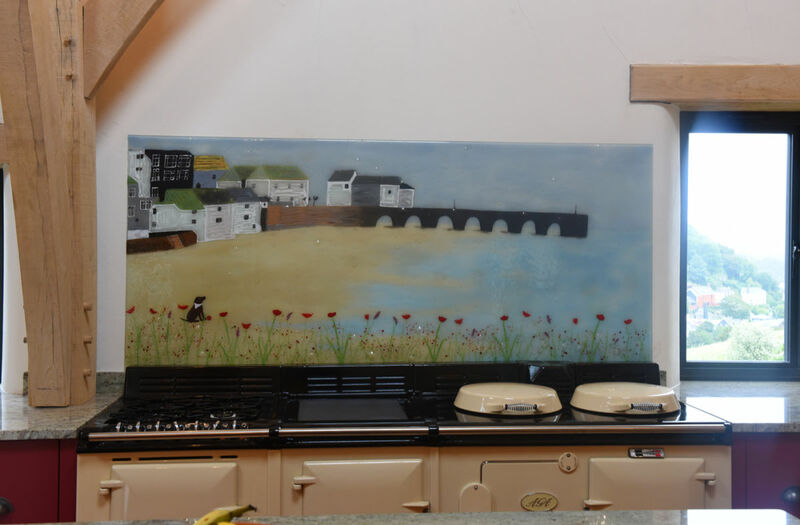 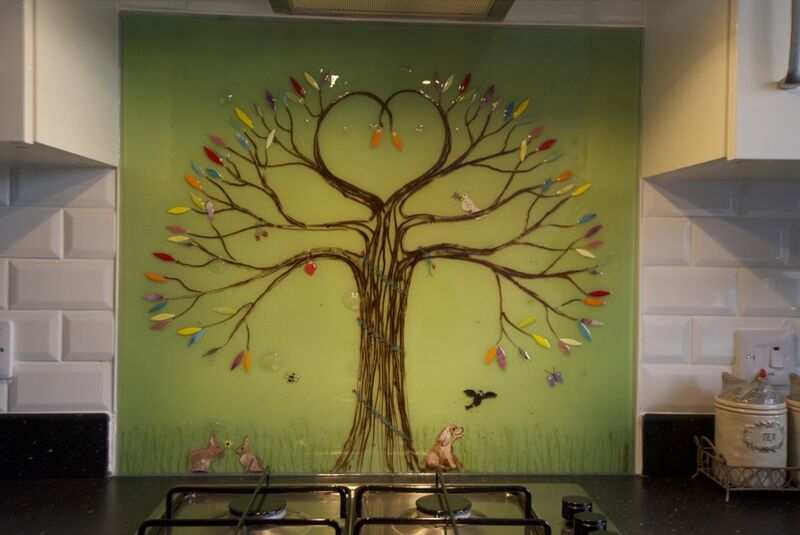 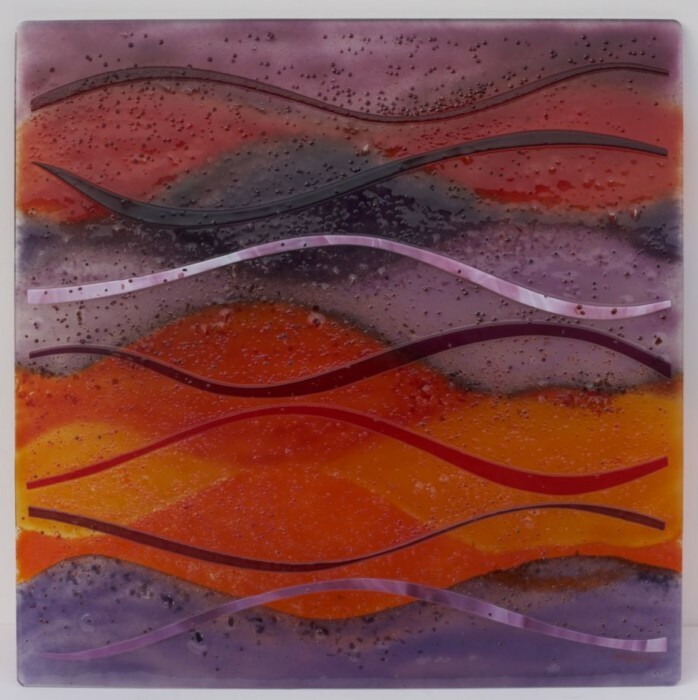 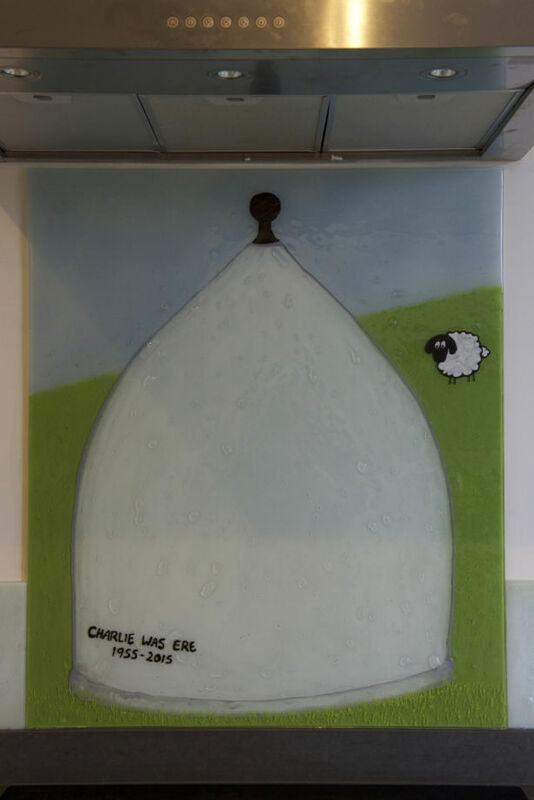 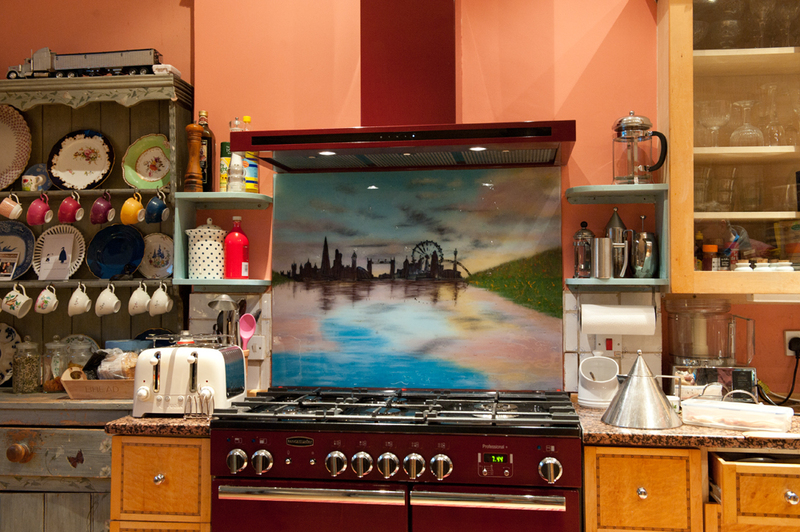 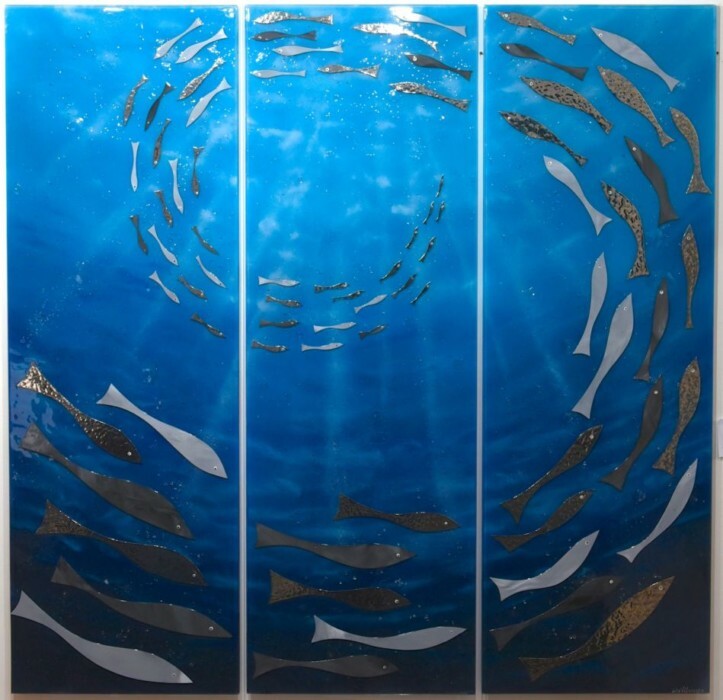 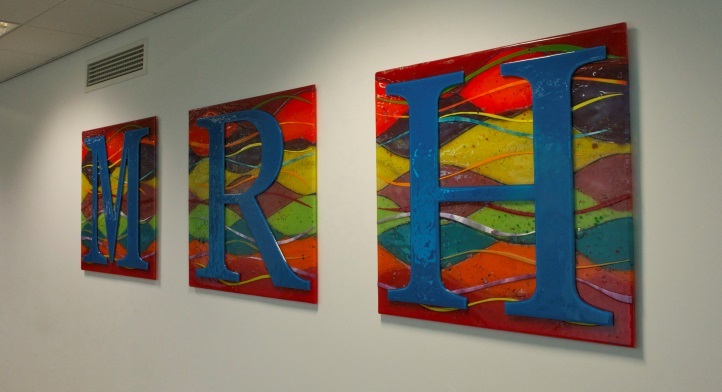 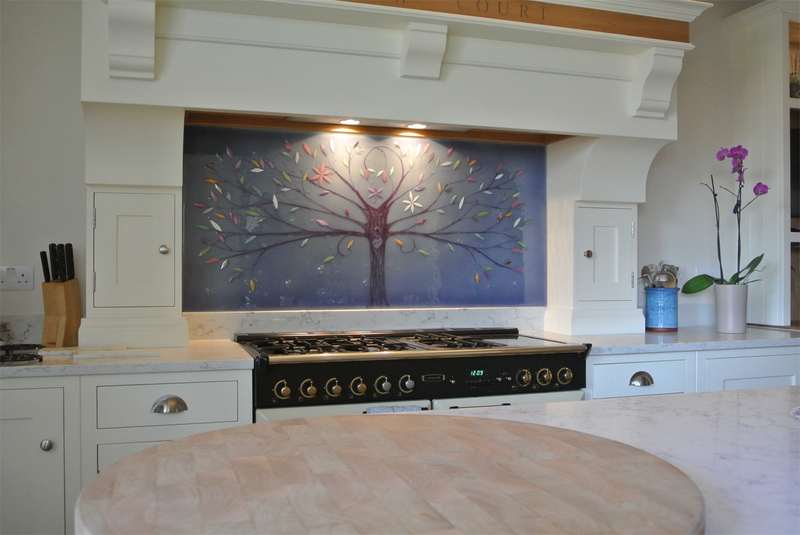 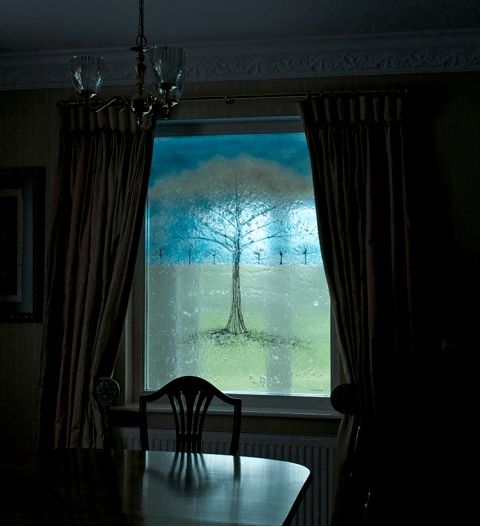 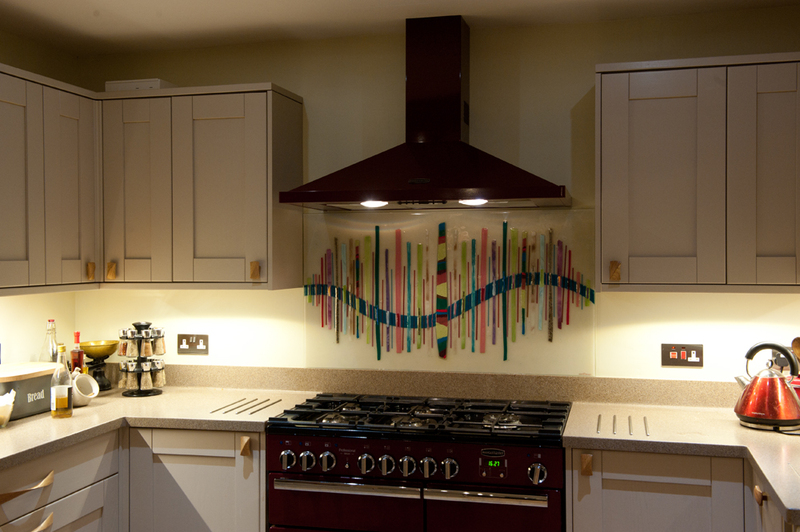 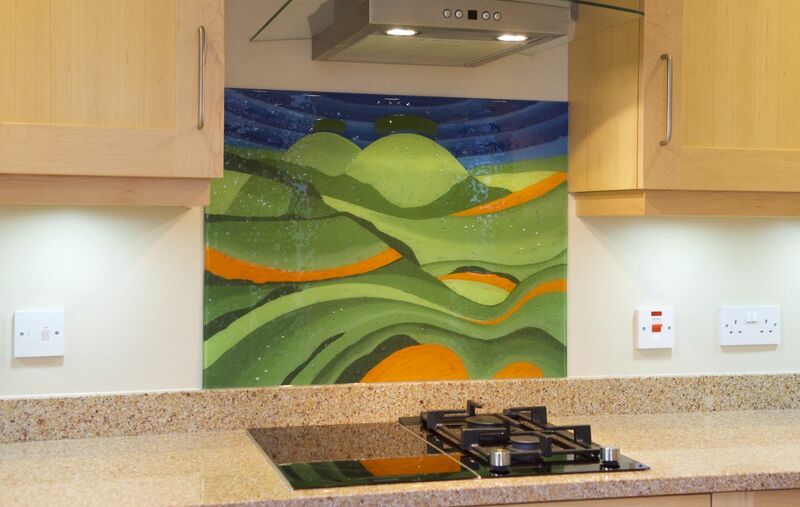 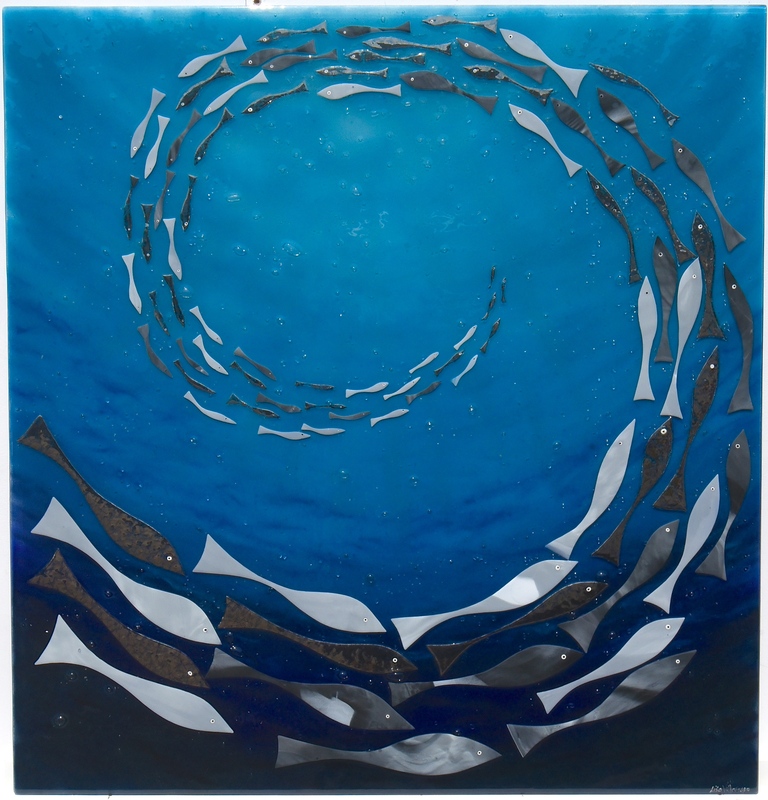 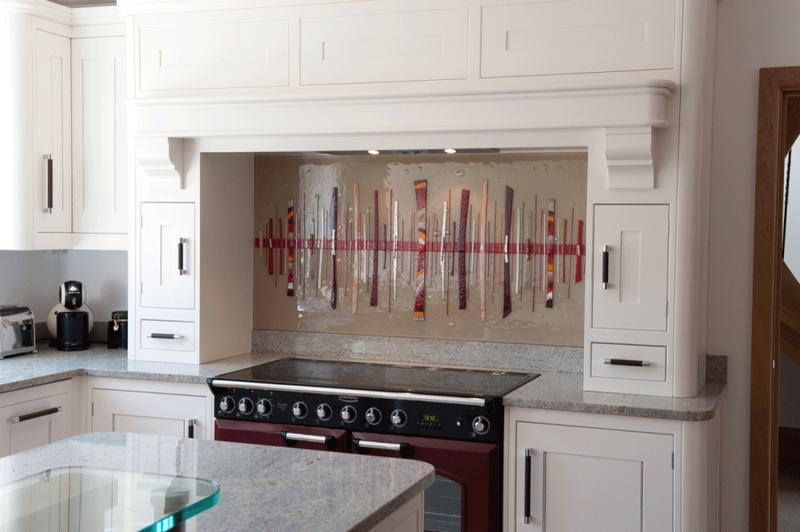 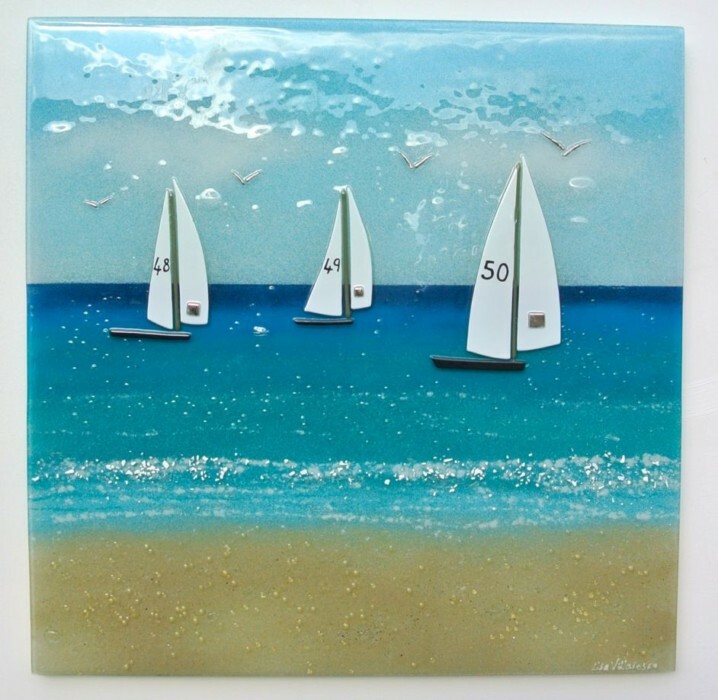 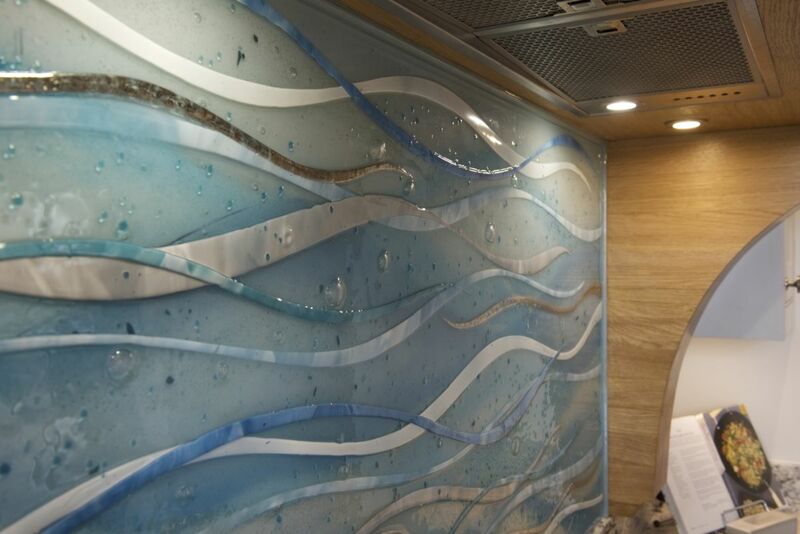 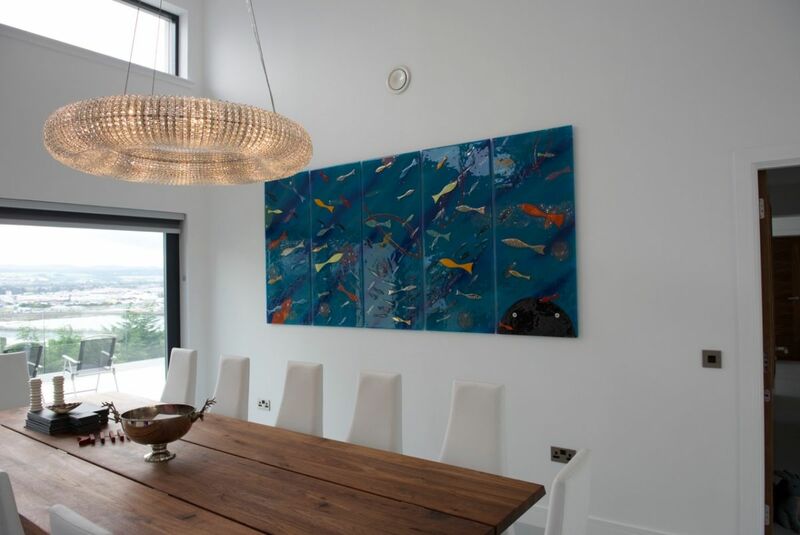 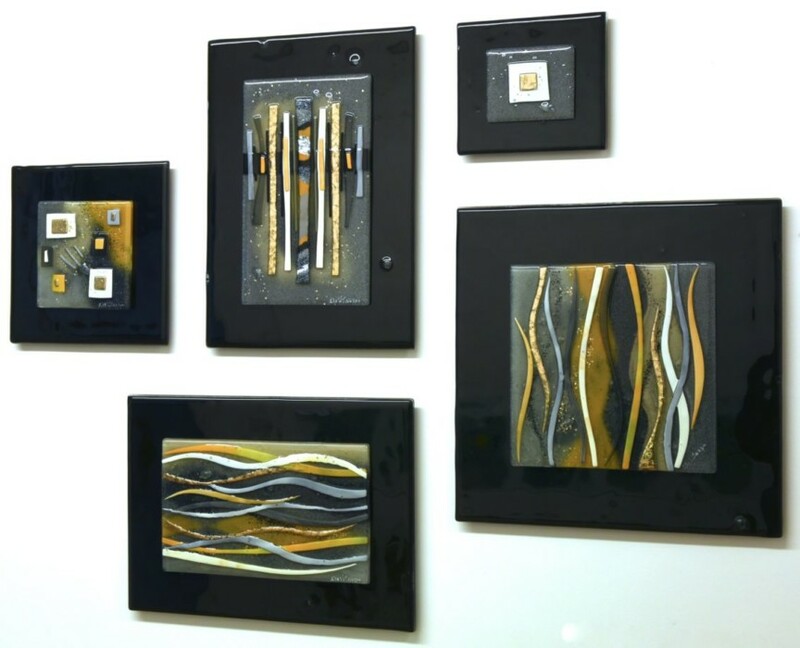 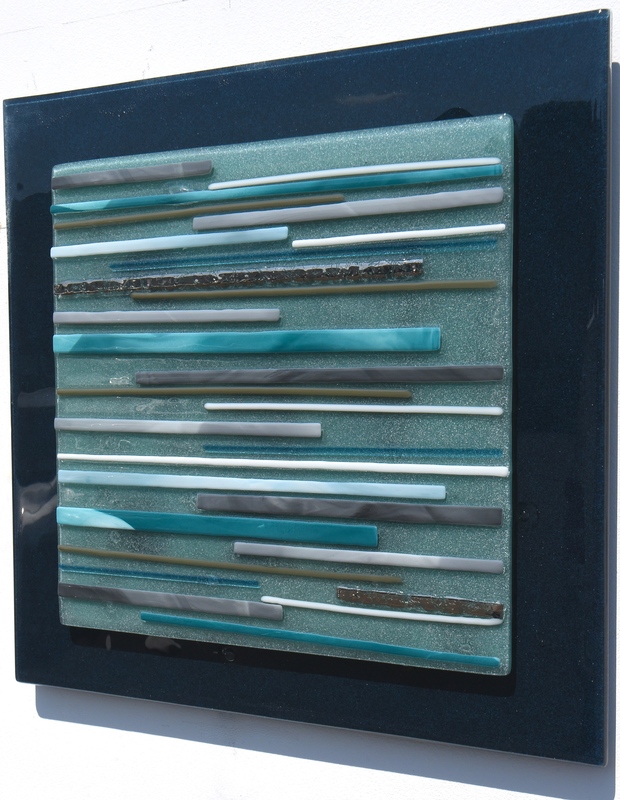 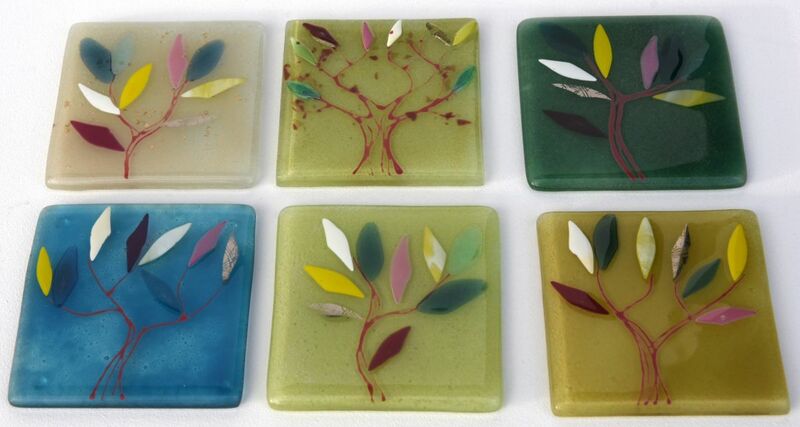 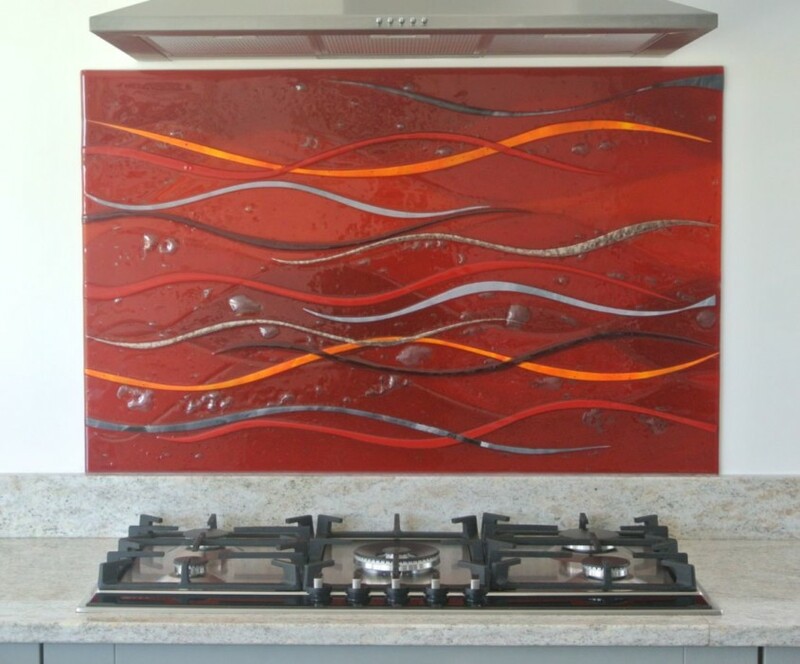 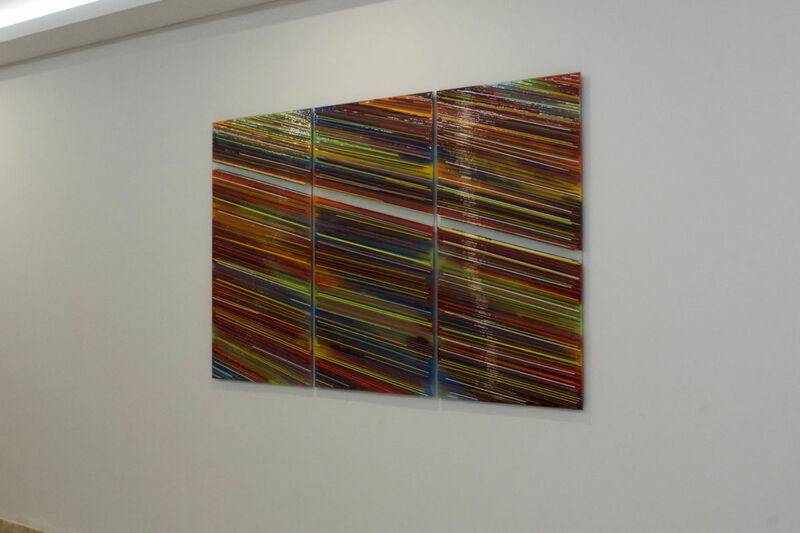 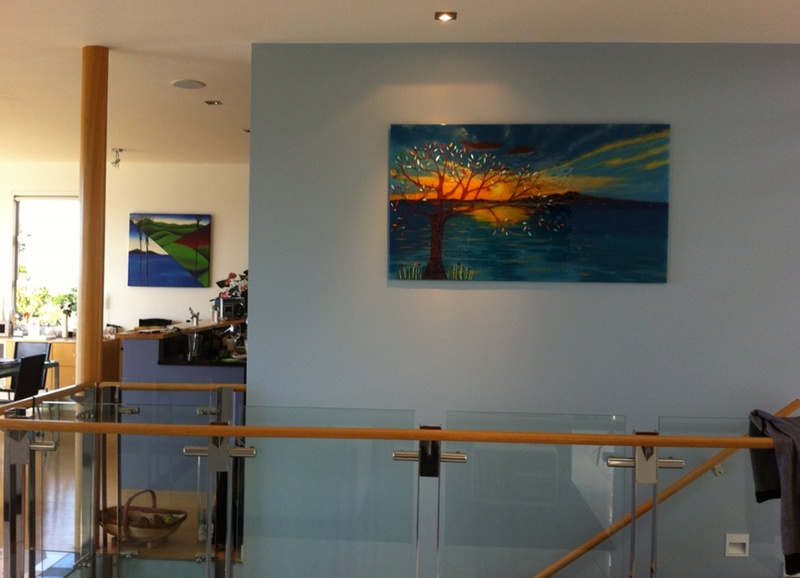 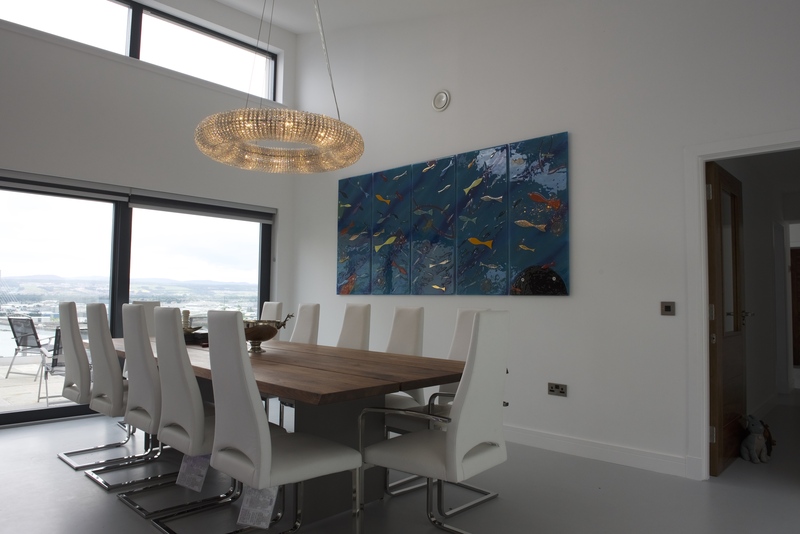 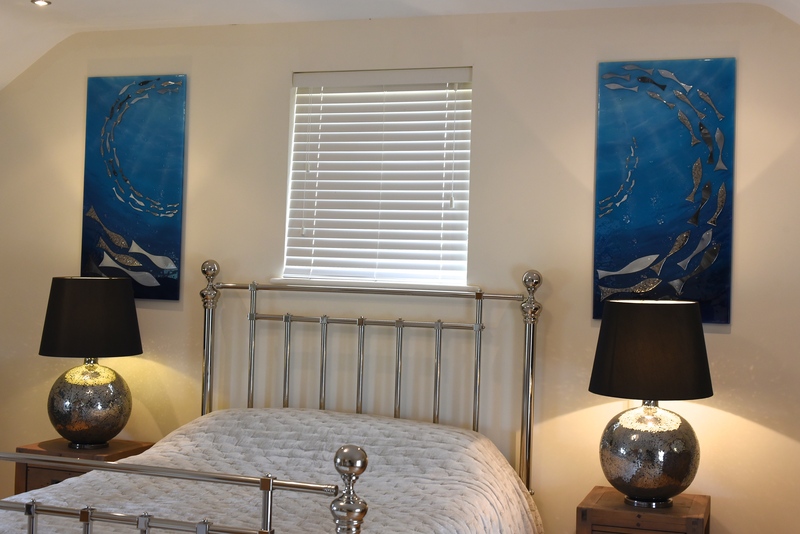 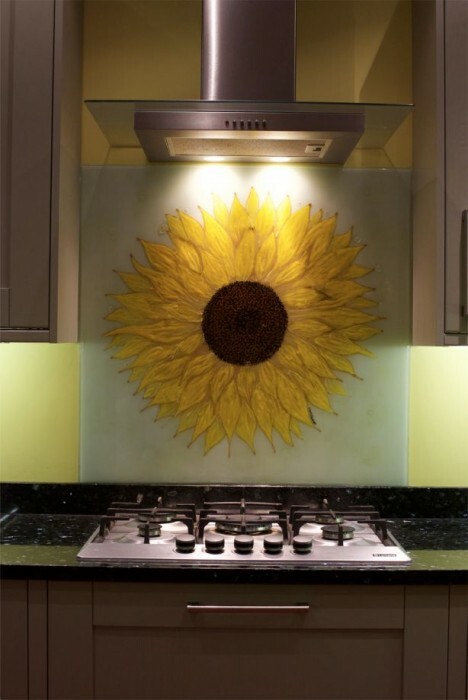 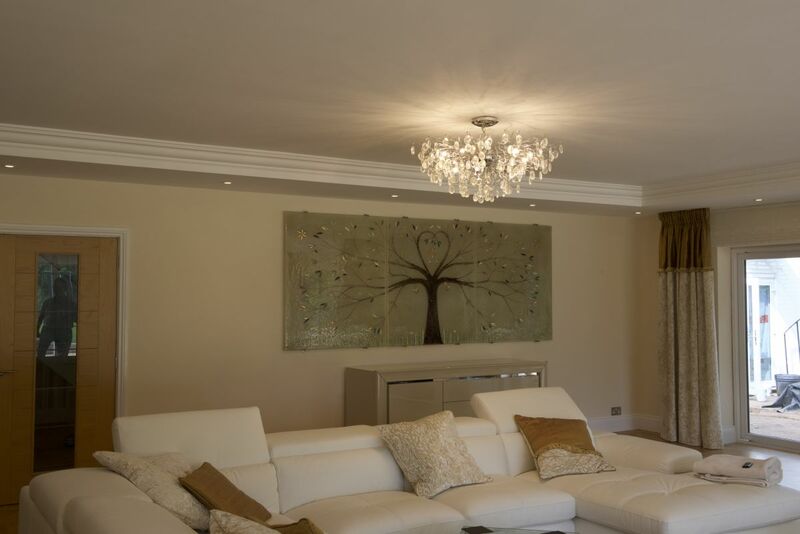 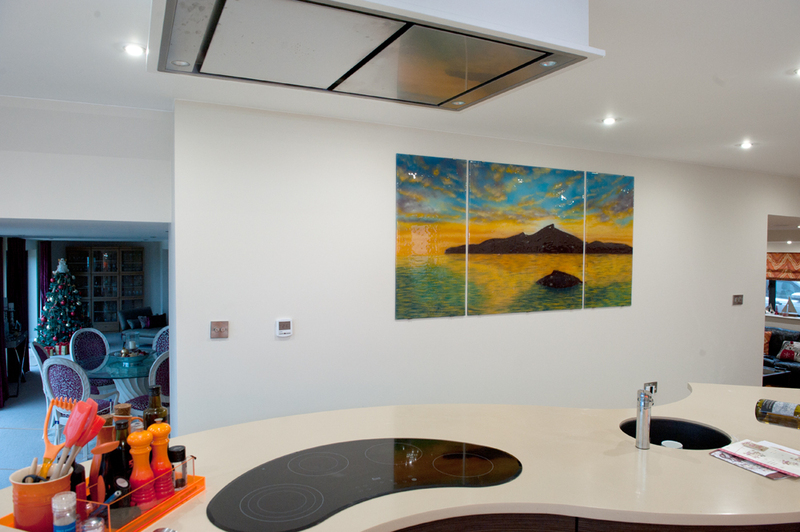 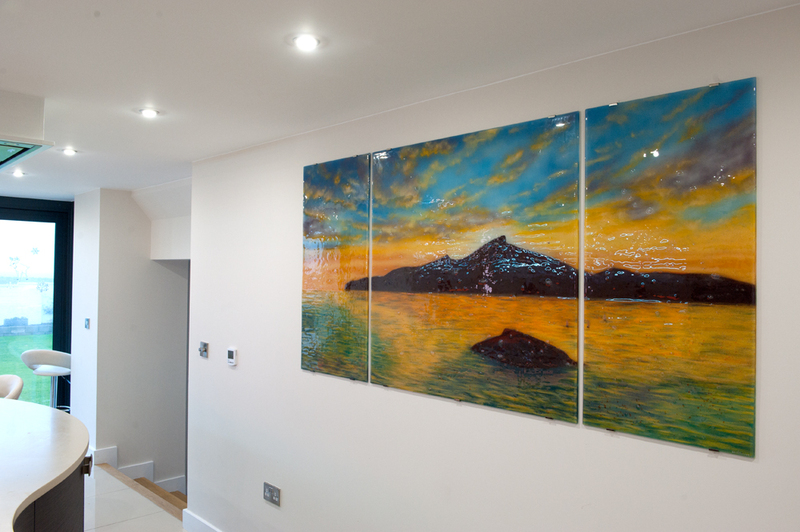 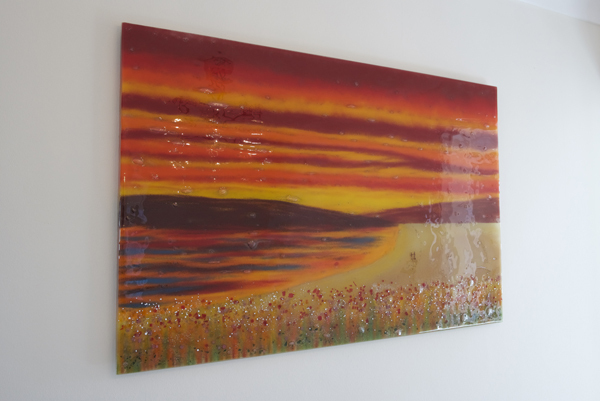 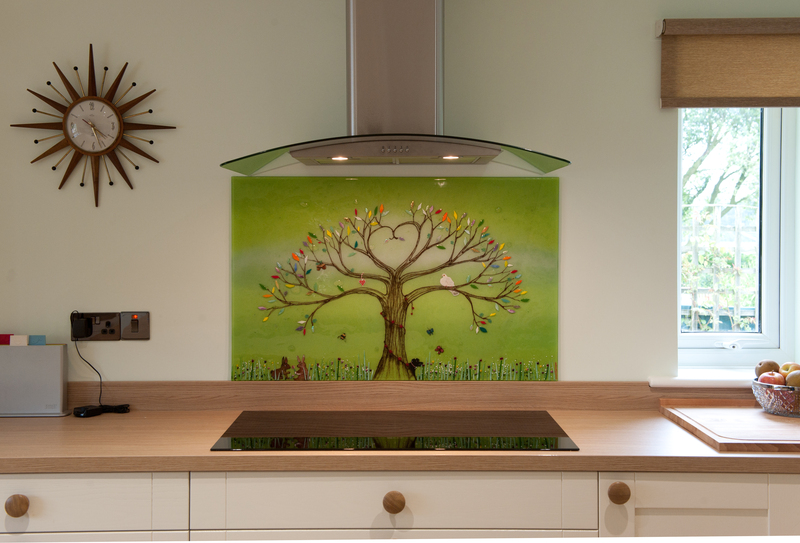 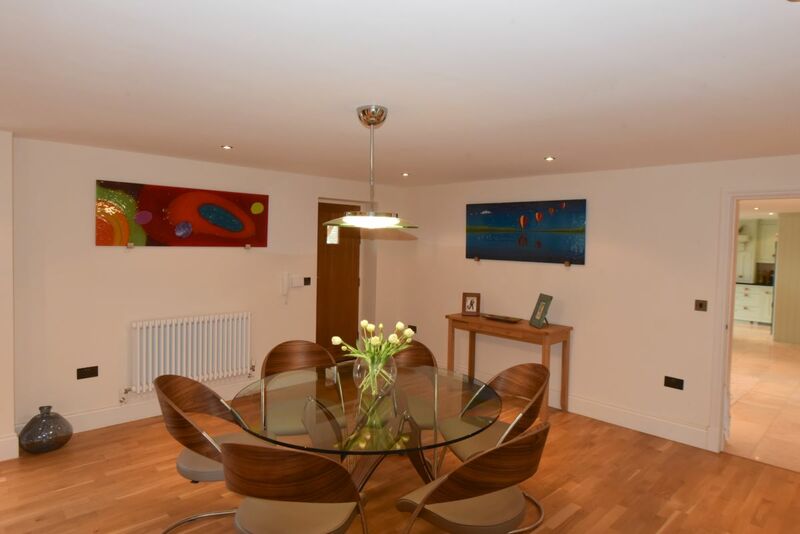 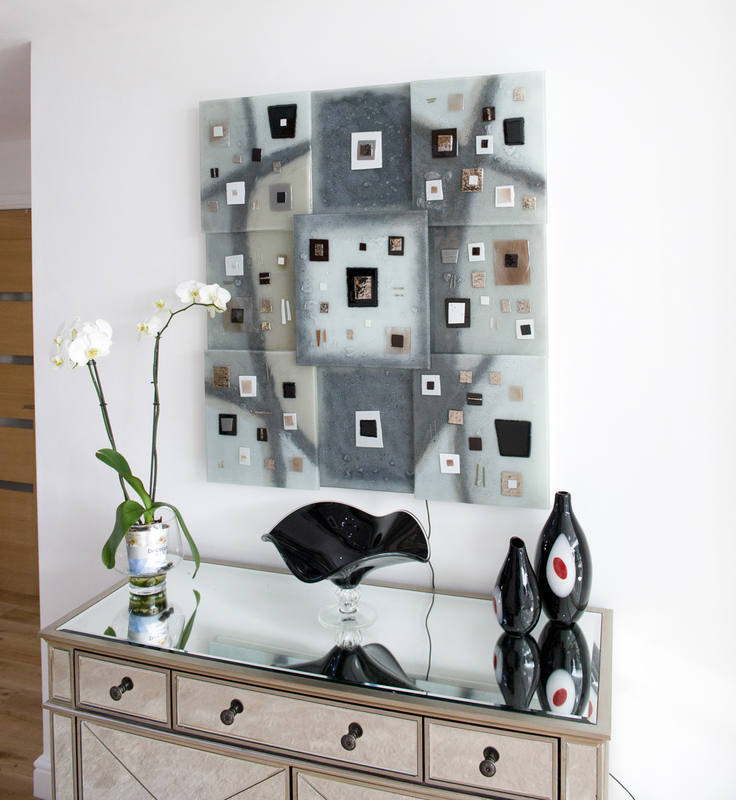 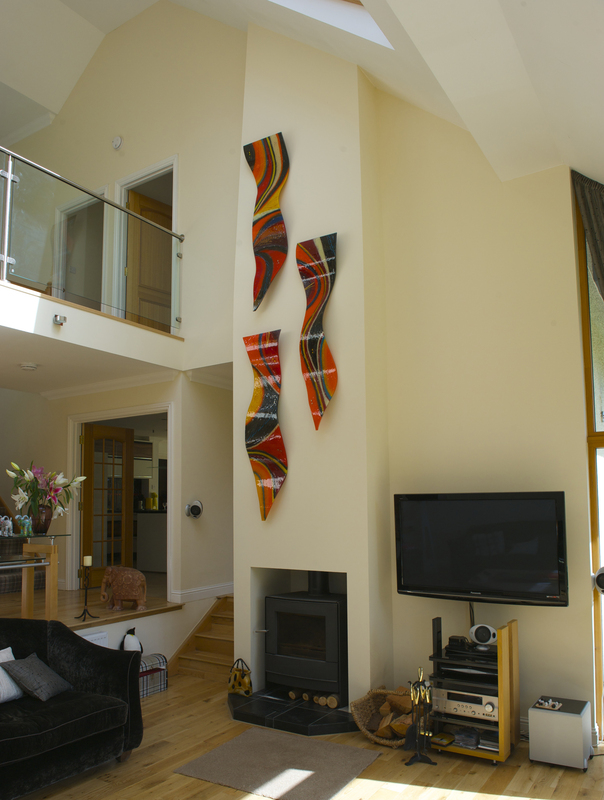 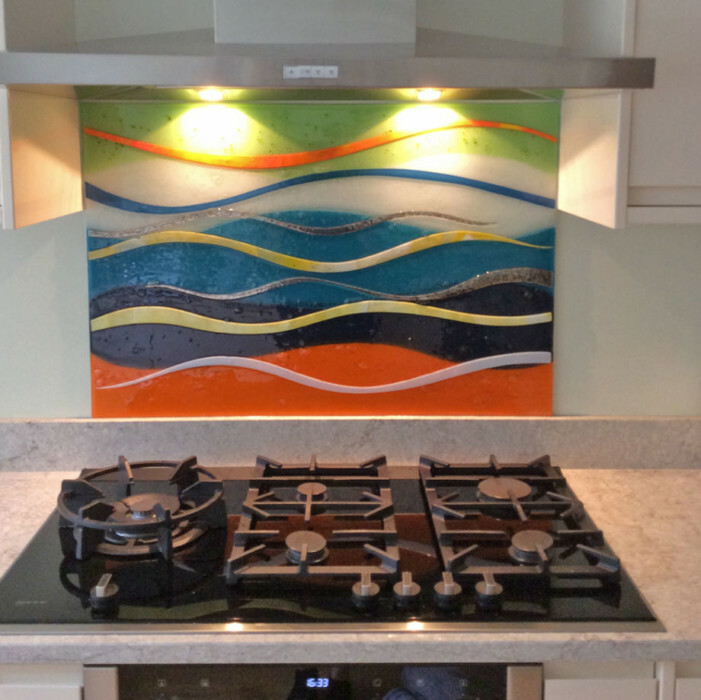 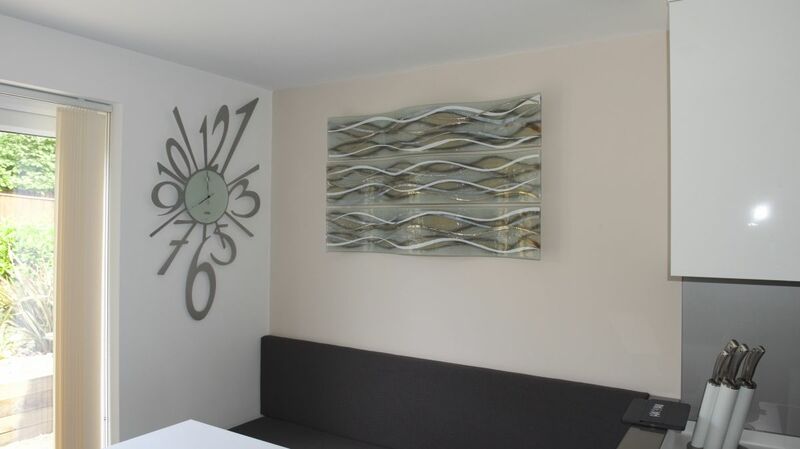 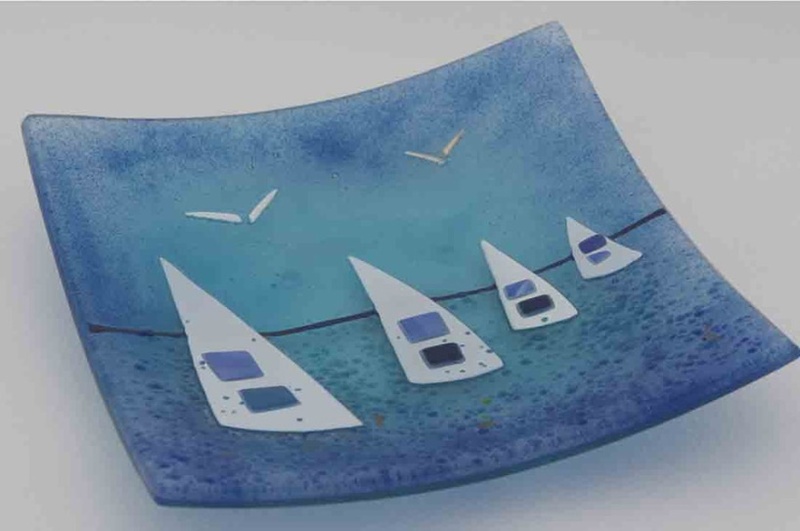 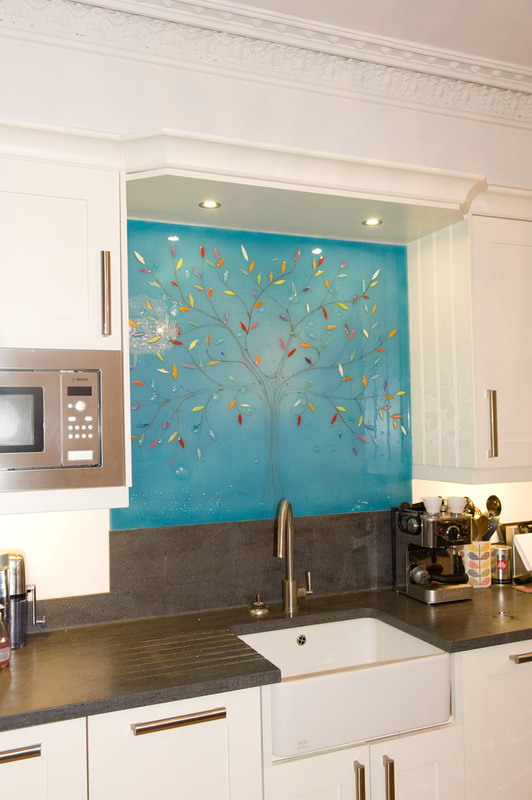 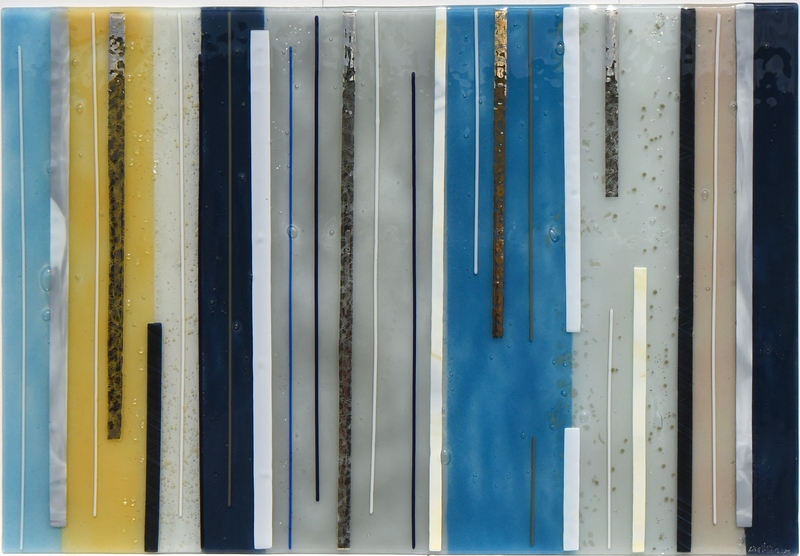 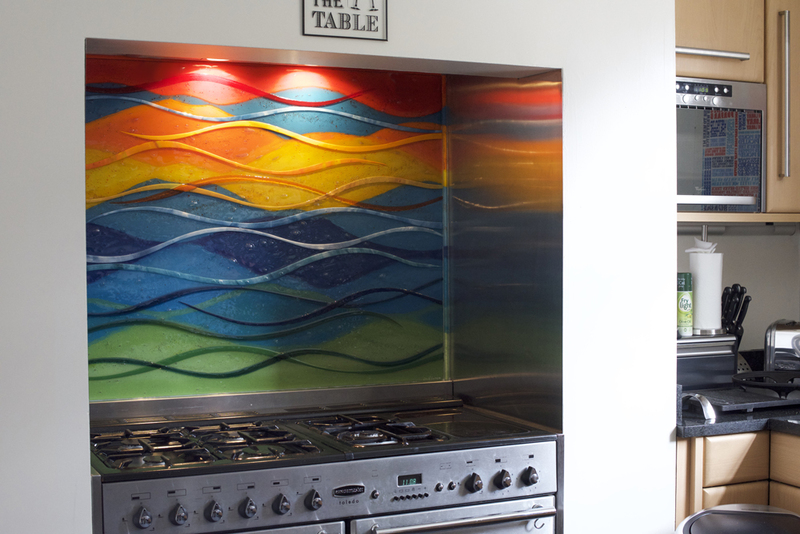 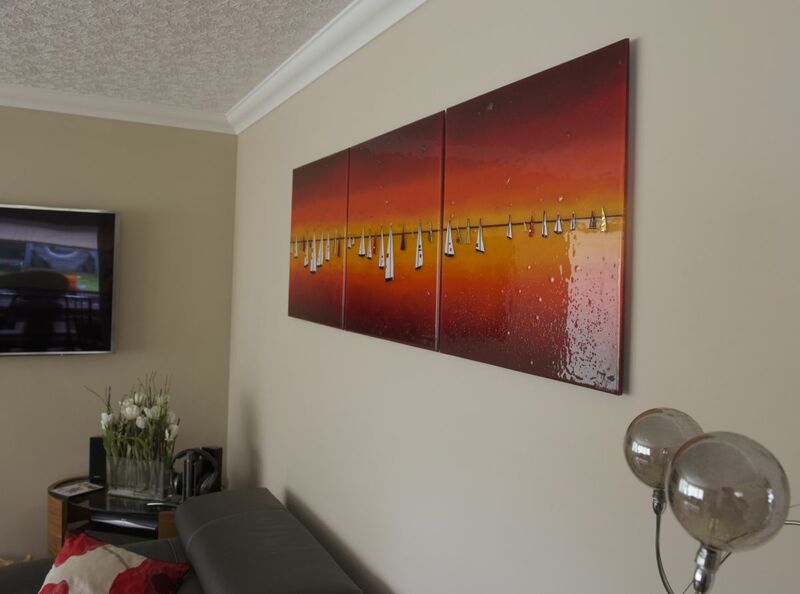 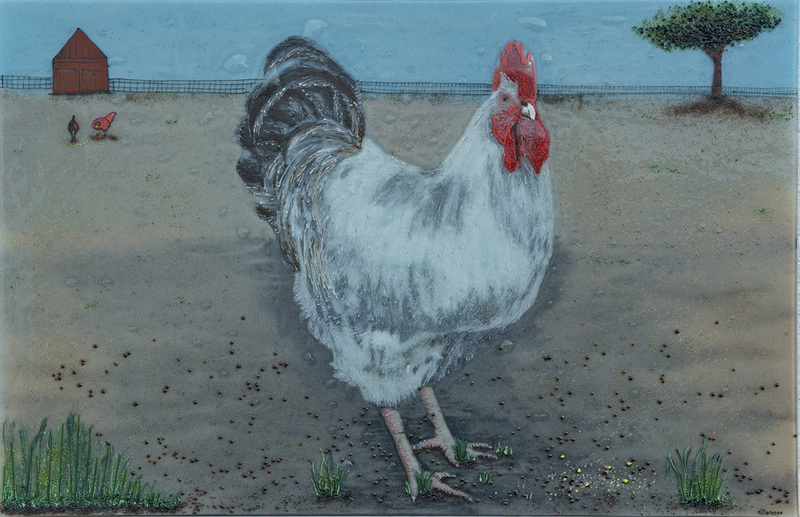 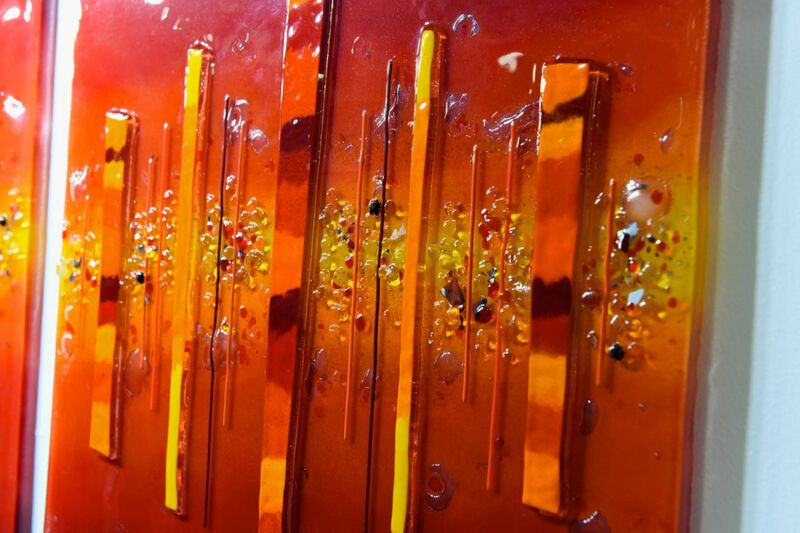 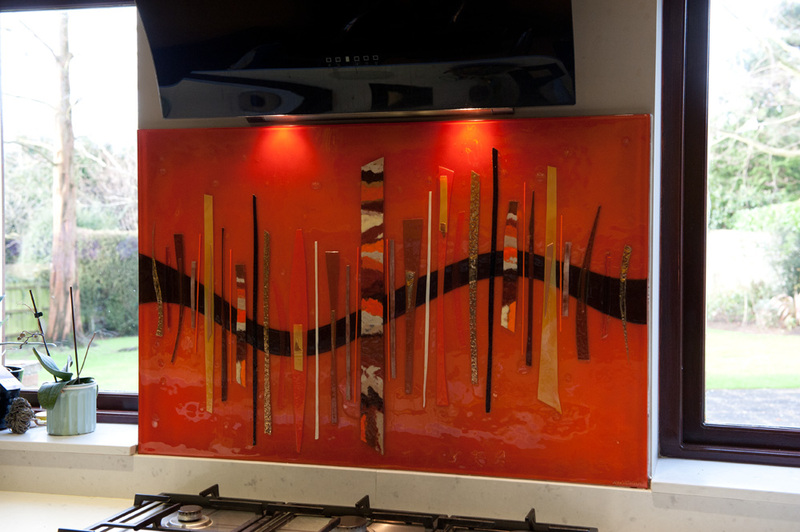 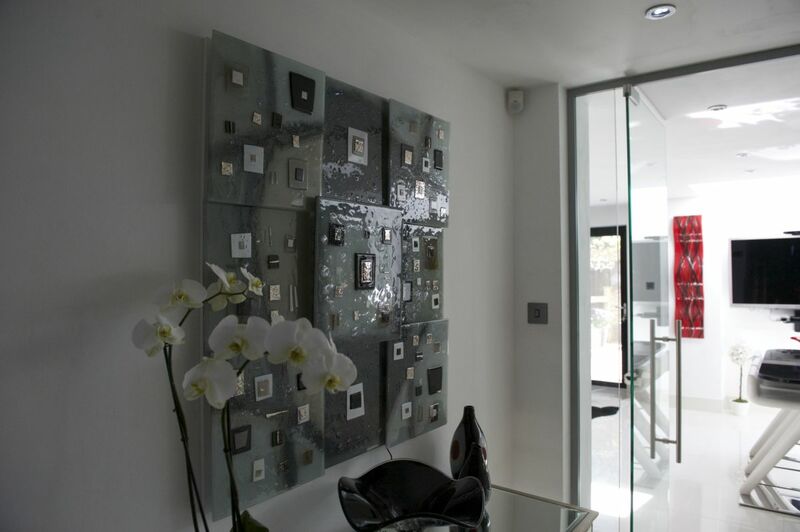 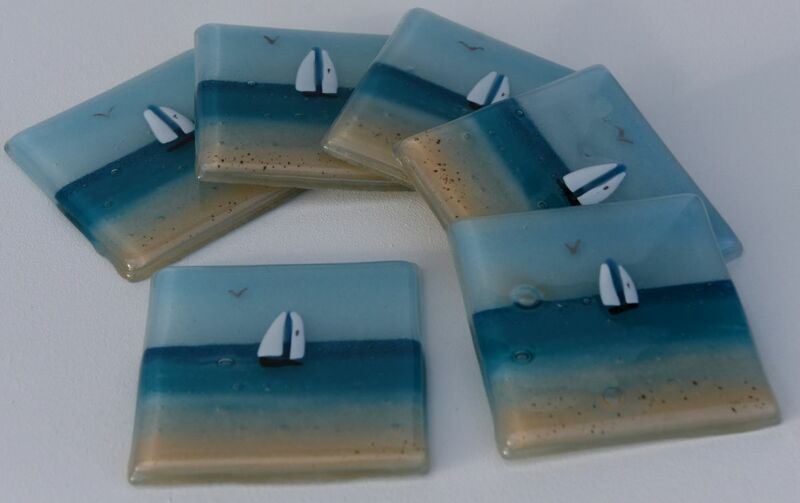 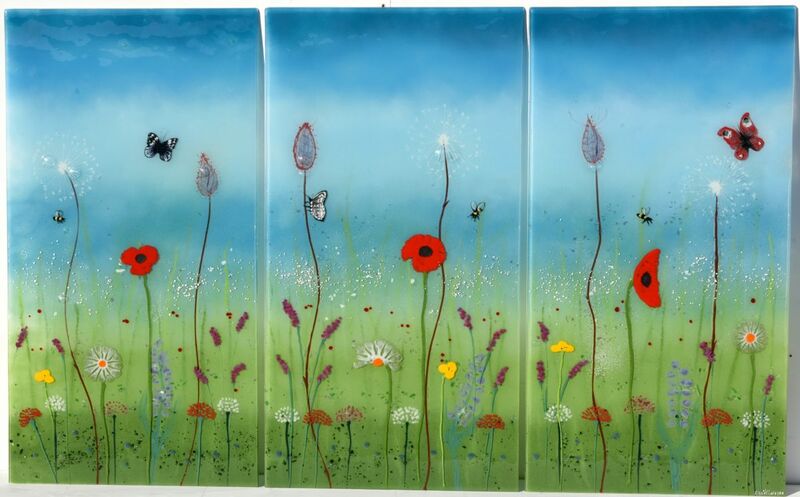 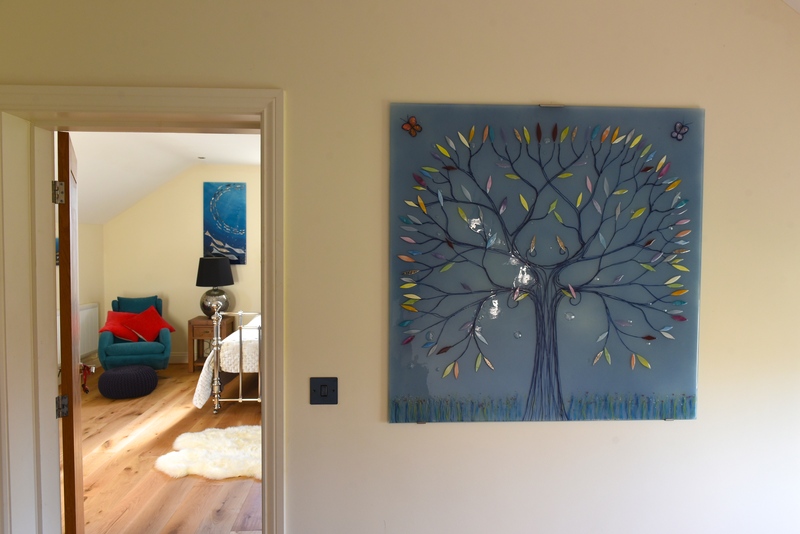 The design, as you can see, is perfect when utilised in fused glass art for the wall. 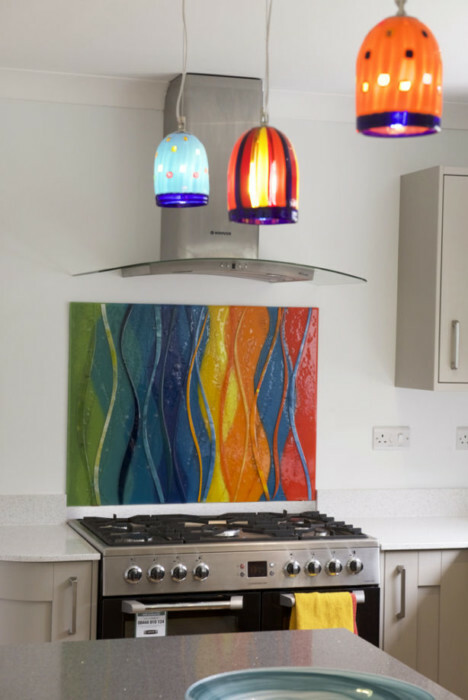 It’s our classic flow design, of course, with a huge palette of vivid hues making everything pop and stand out like nothing else. 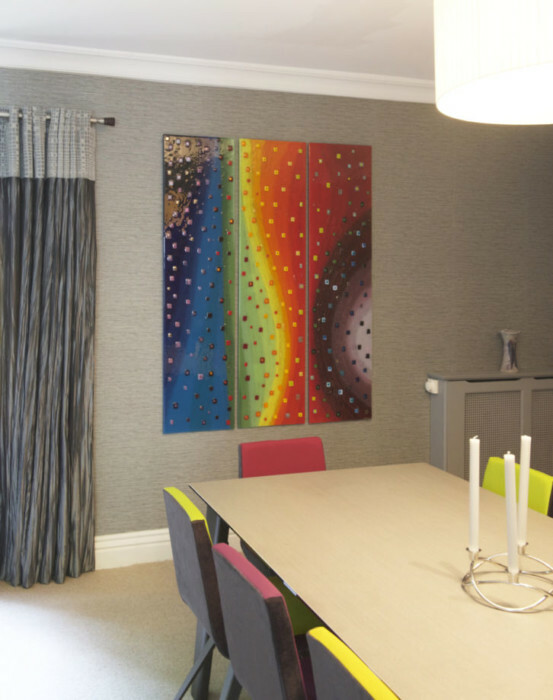 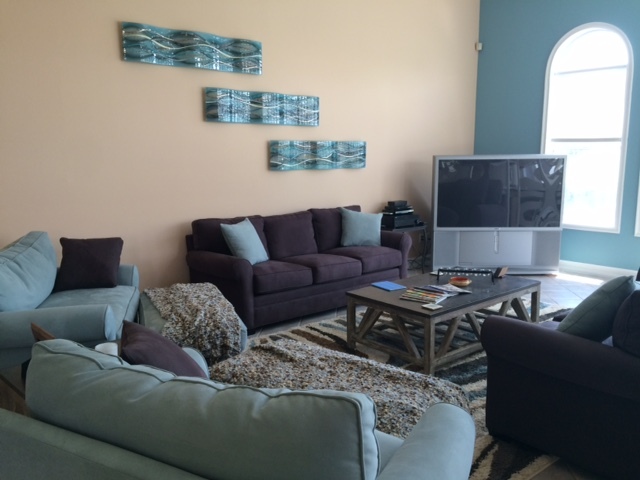 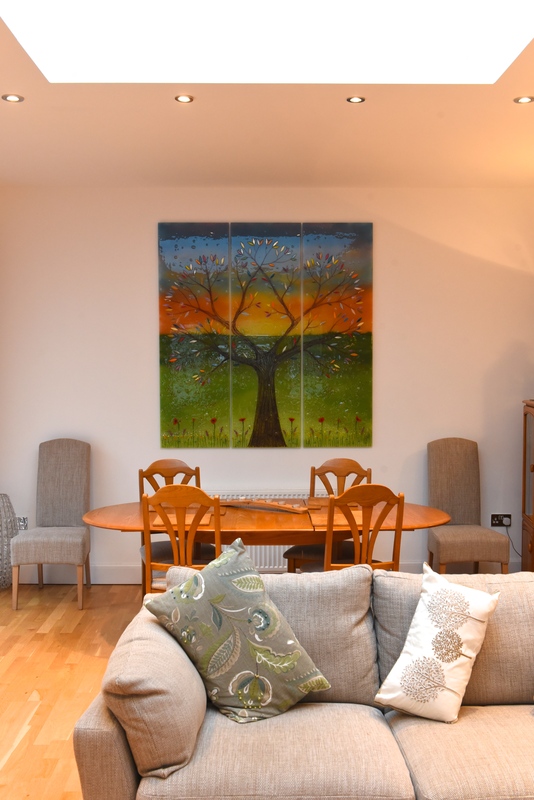 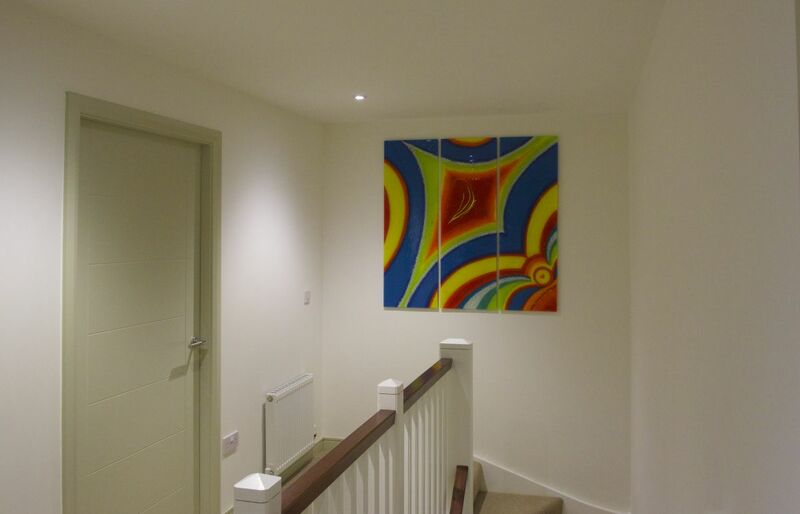 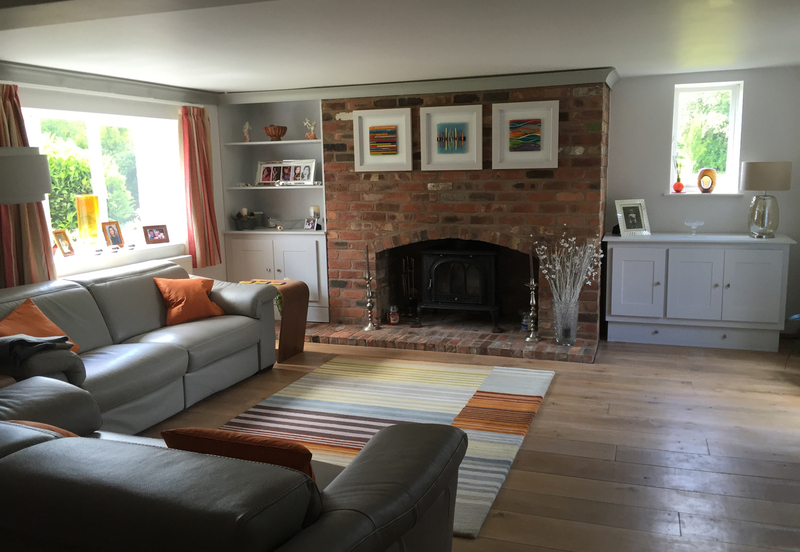 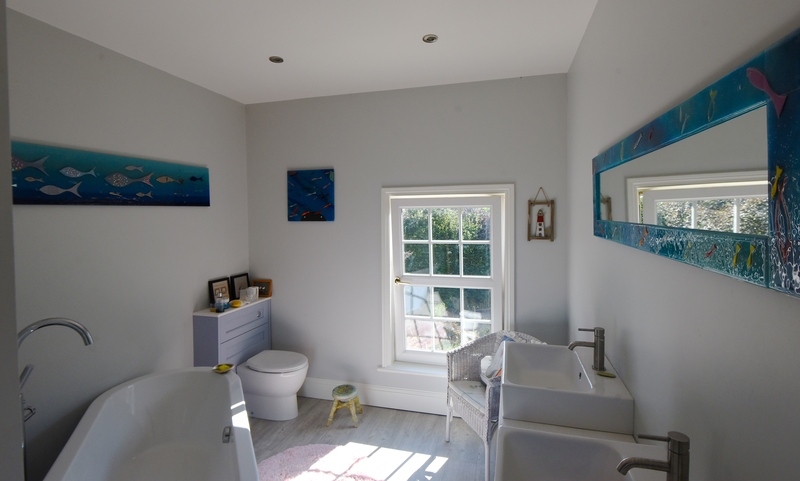 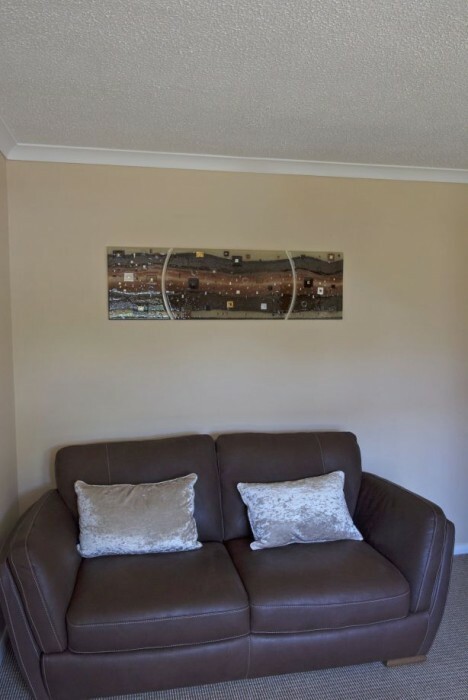 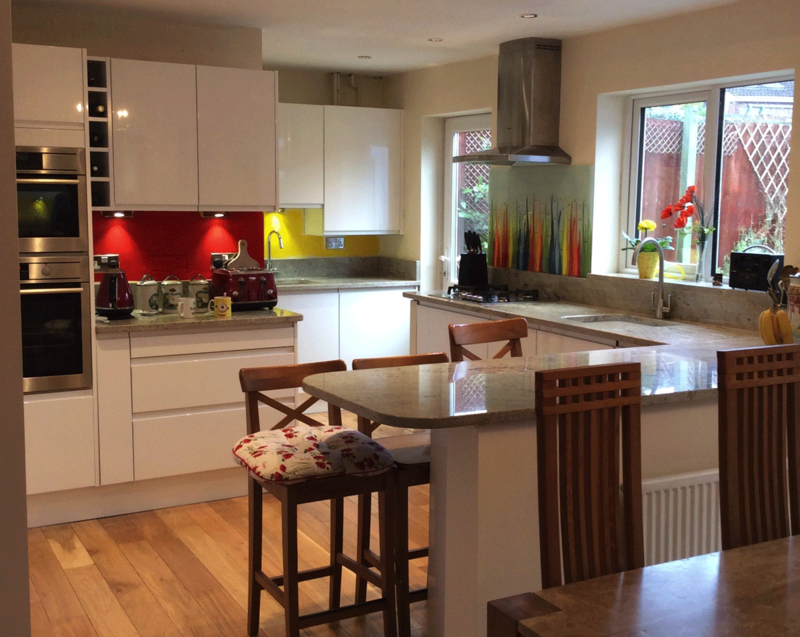 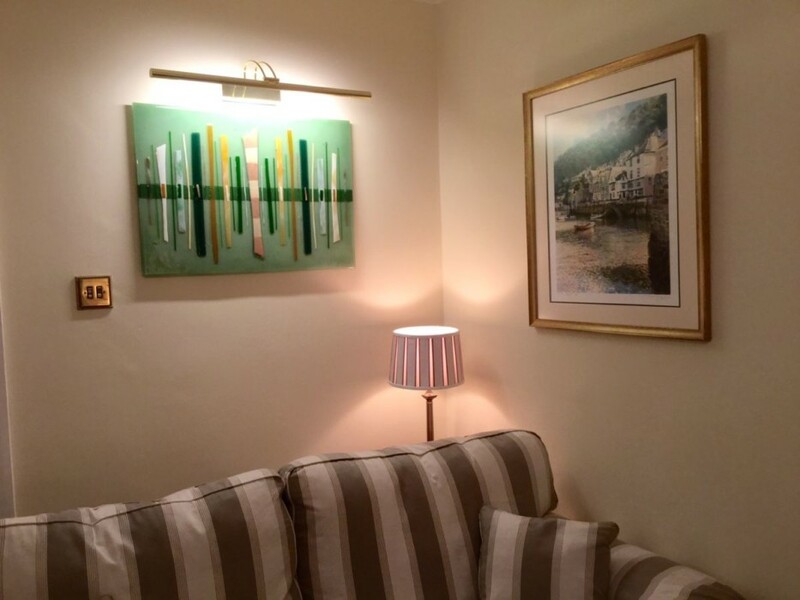 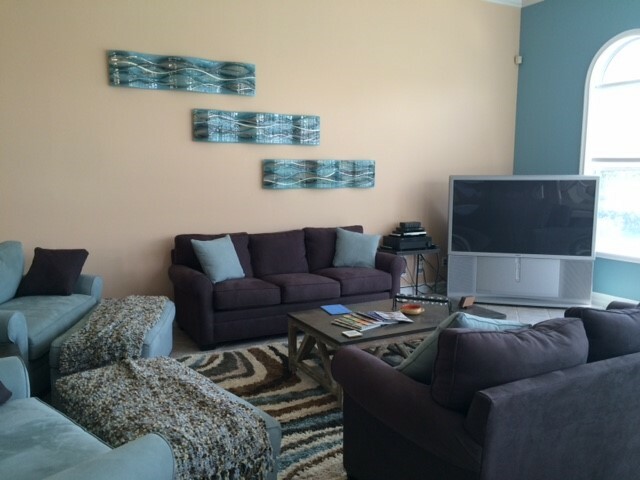 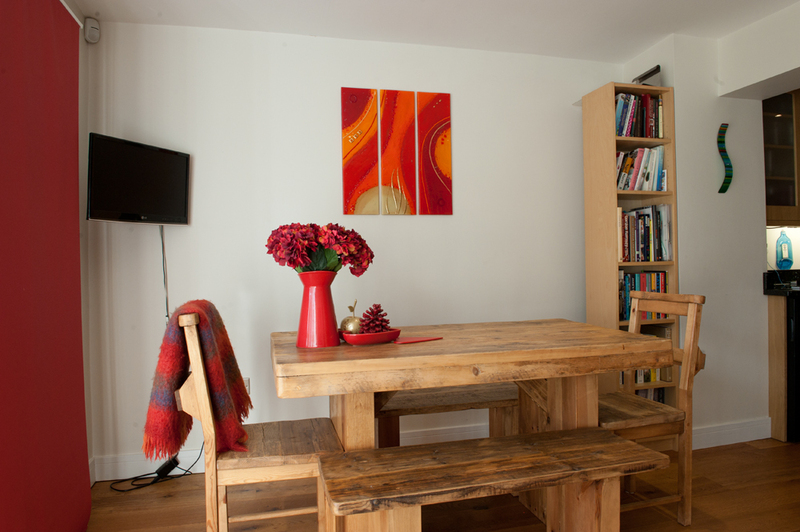 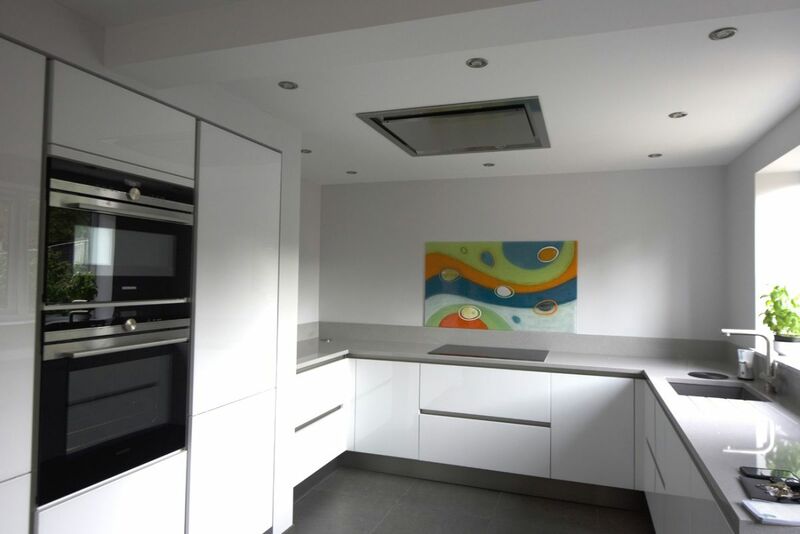 The client wanted to fill an empty space on their otherwise neutral wall, opting for a splash of colour. 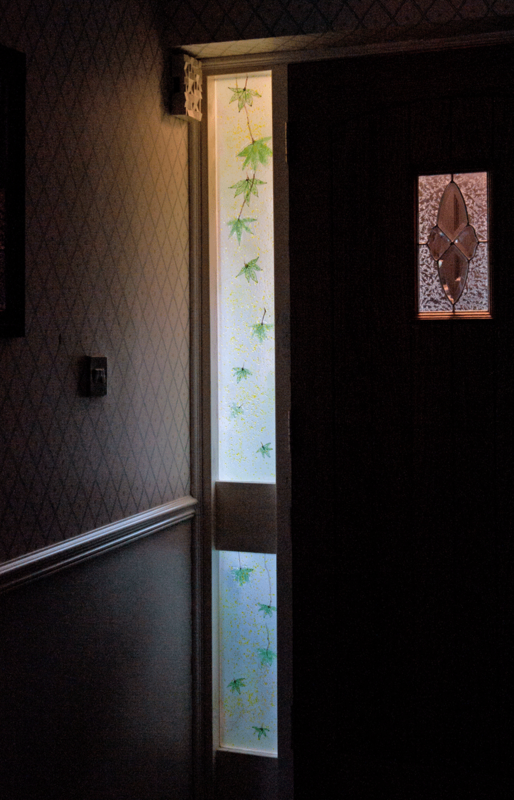 As you can see, that objective was clearly fulfilled. 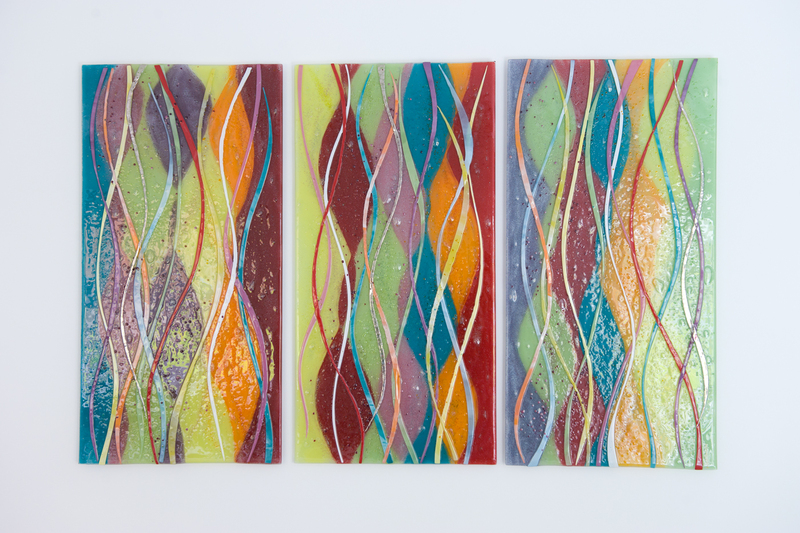 One additional benefit of utilising so many colours is that this piece is able to match just about any wall it wants to. 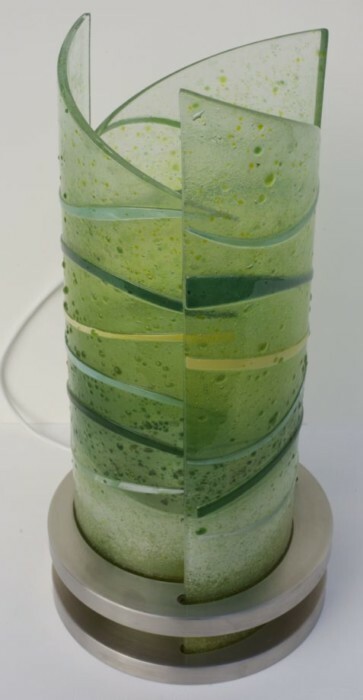 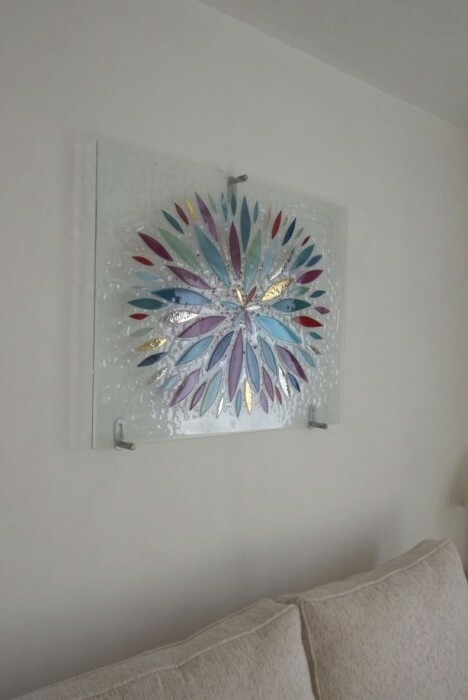 Even if the client happens to change their decoration in the room that the glass currently sits, we’re confident that it’ll still go perfectly. 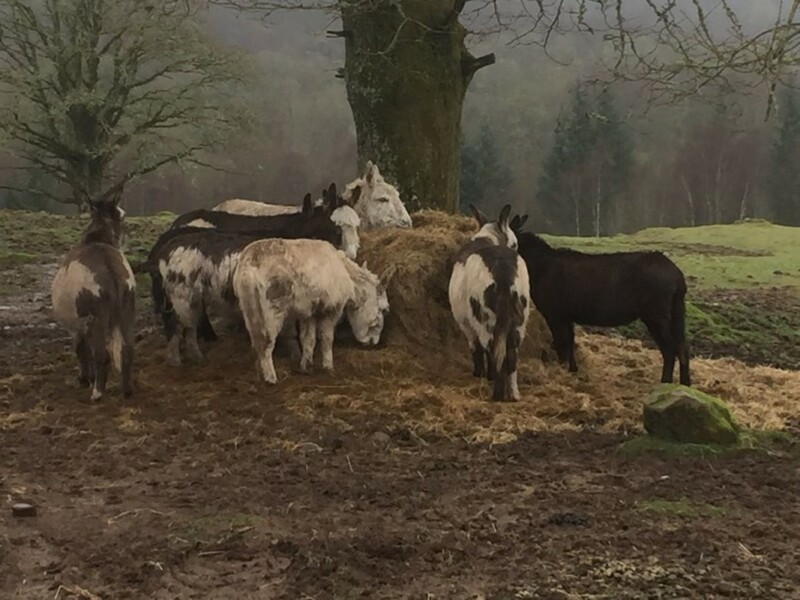 A very wise choice on their part, then! 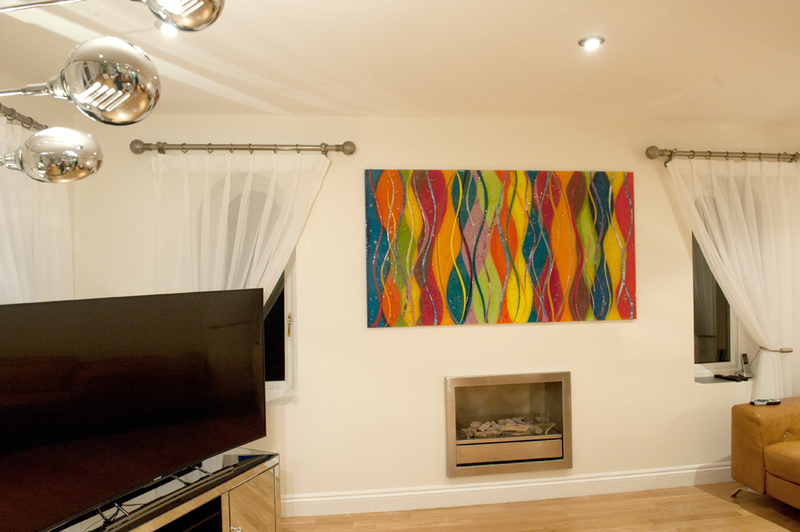 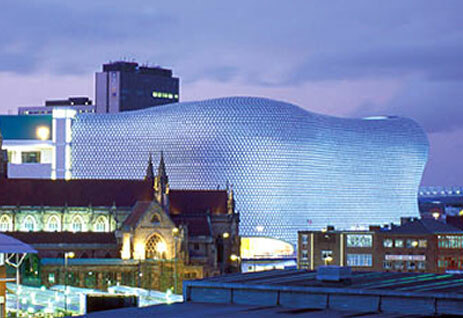 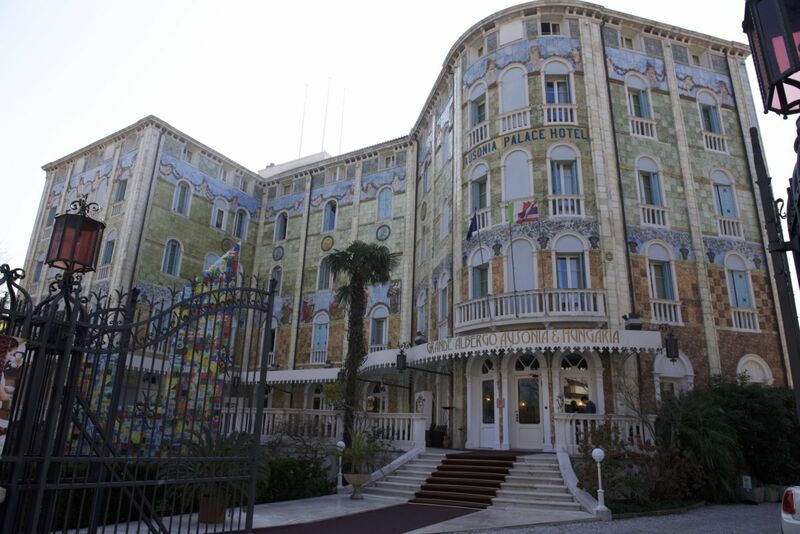 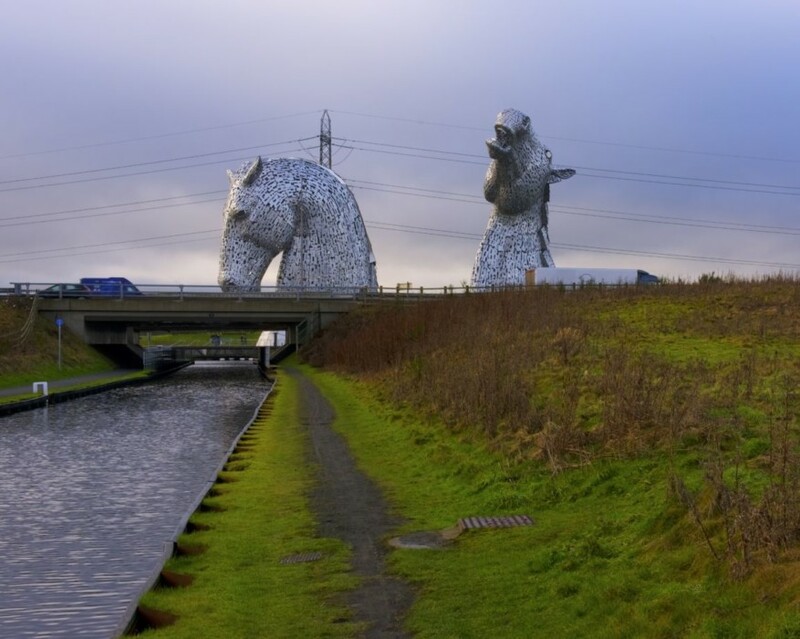 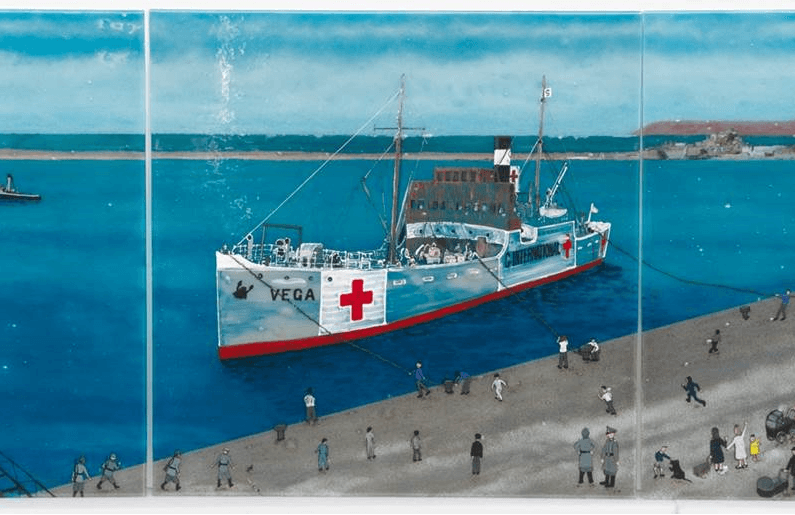 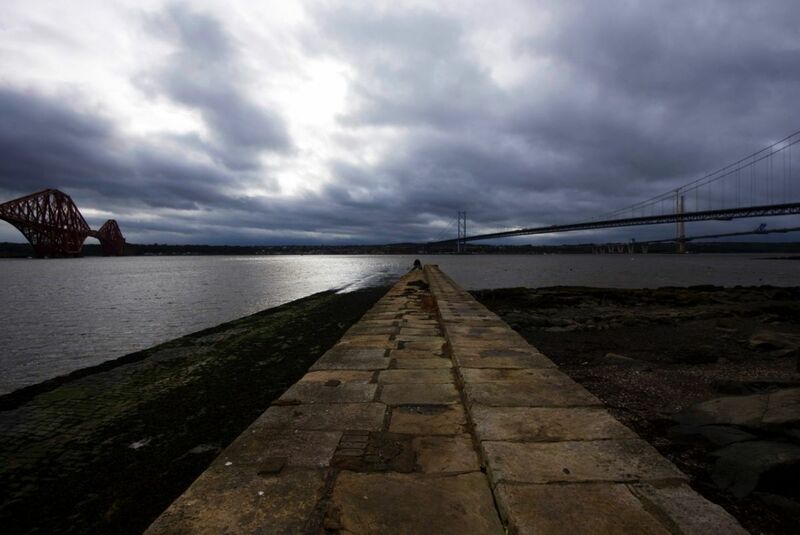 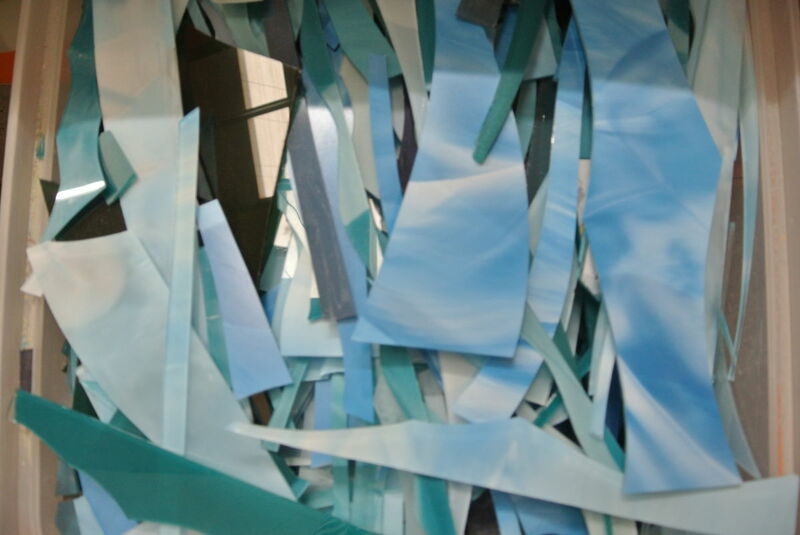 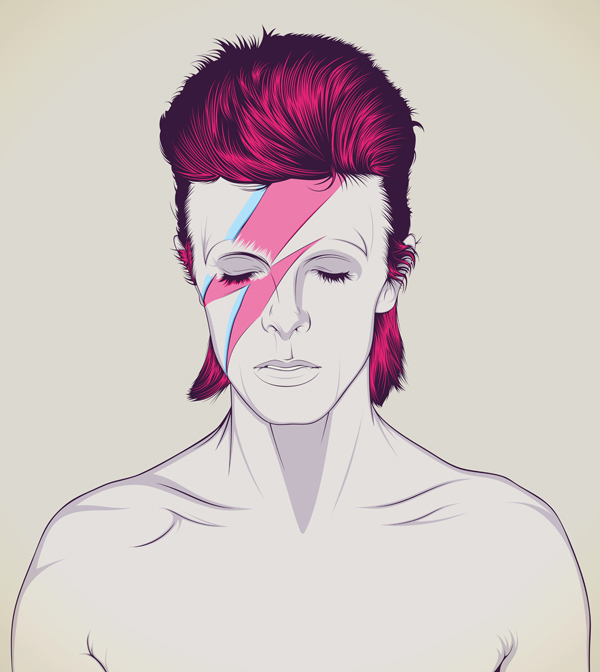 Oh, and if you’re wondering, the piece in the image above measures 1.8 metres by 1 metre. 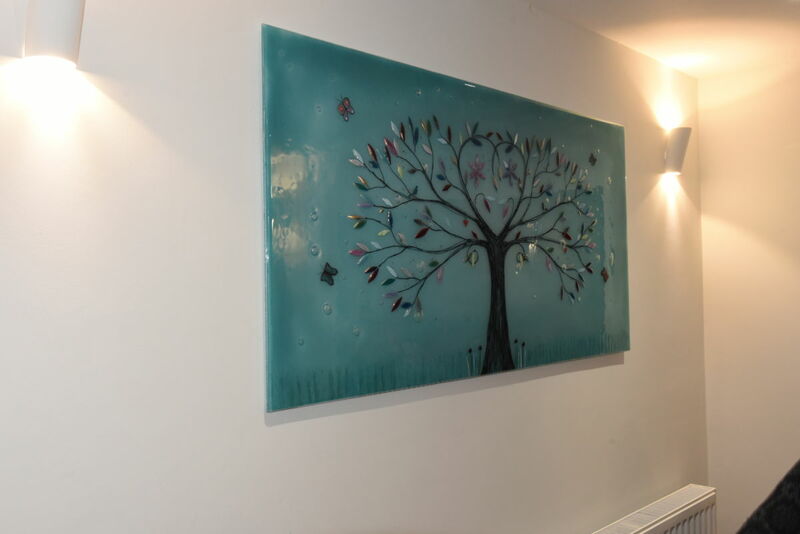 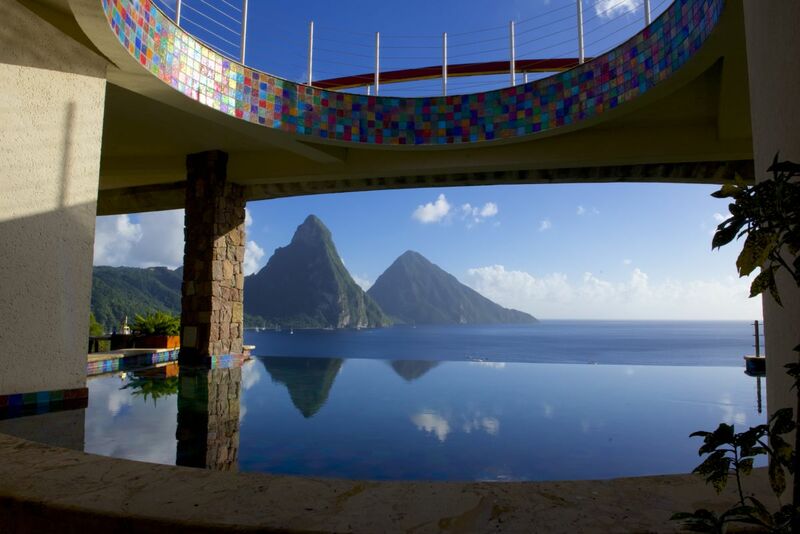 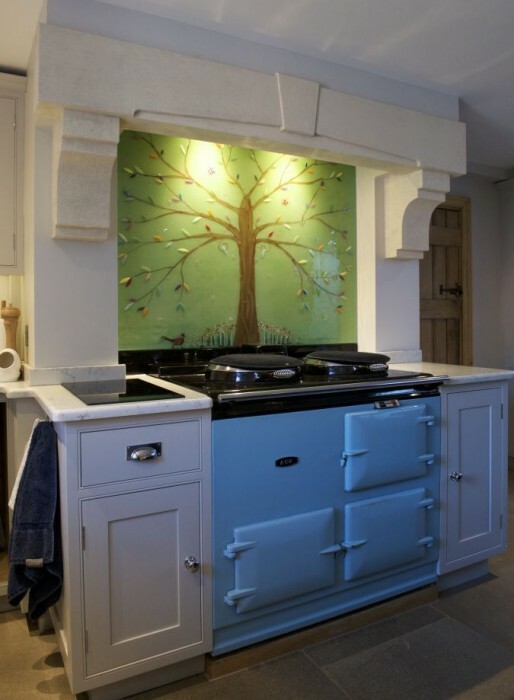 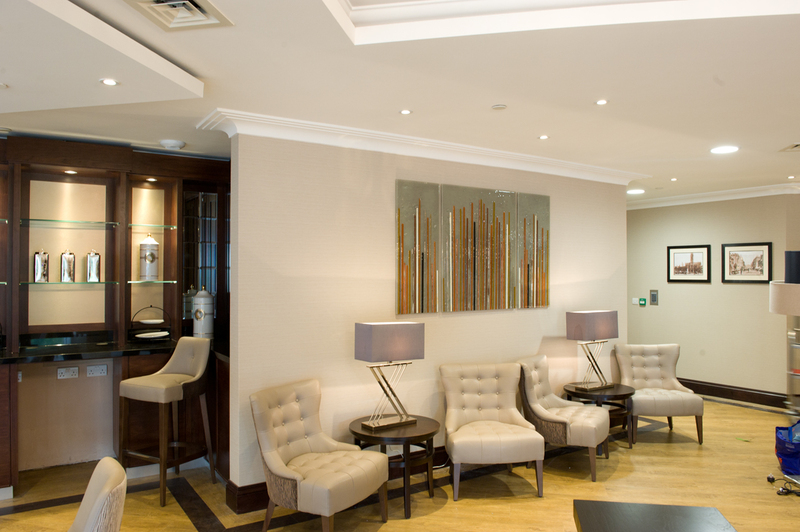 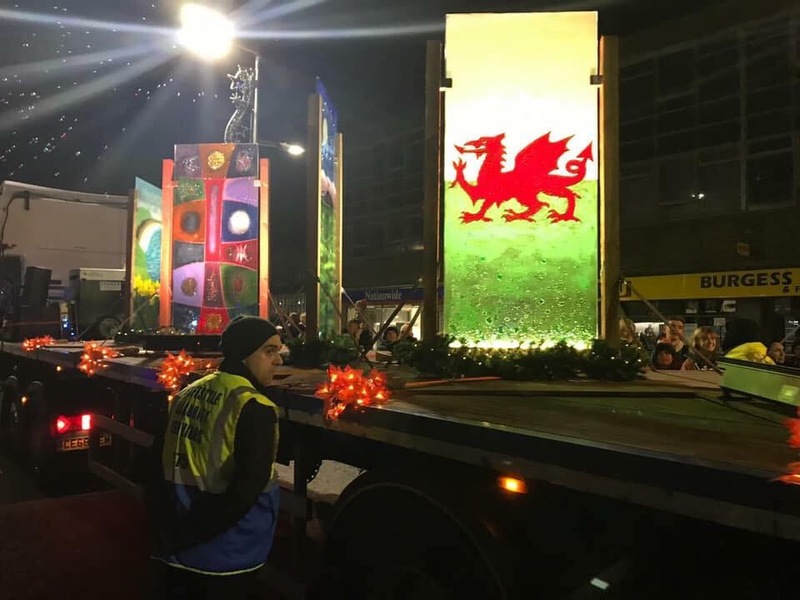 We think it’s a gorgeous panel and it’ll definitely impress any guests that come to visit, guaranteed. 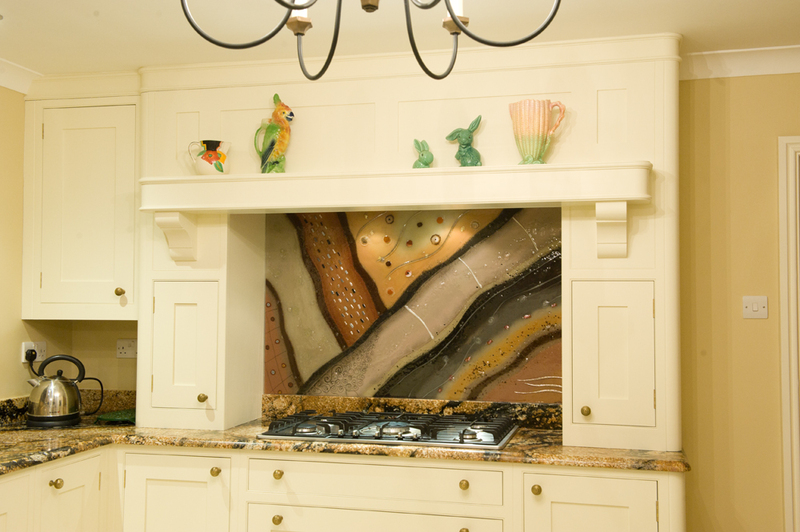 There’s absolutely no reason that you can’t get a piece that makes just as much as an impression as this one. 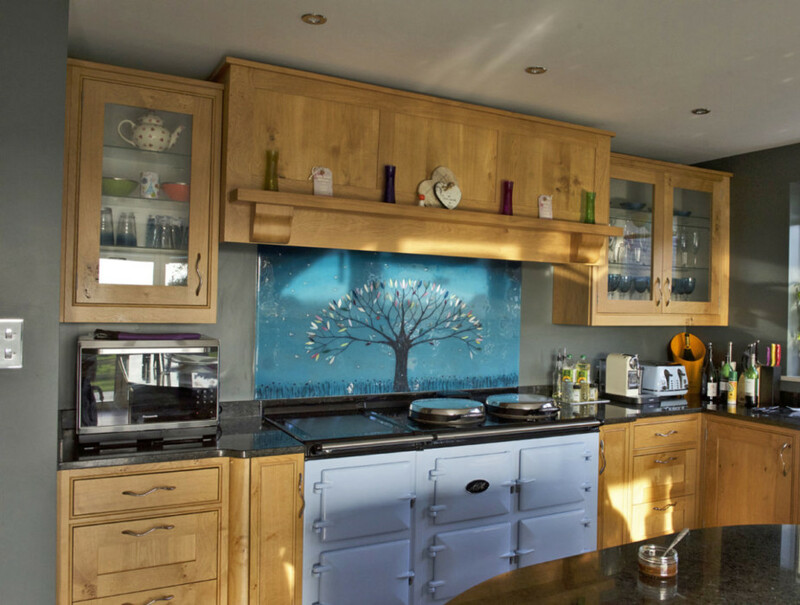 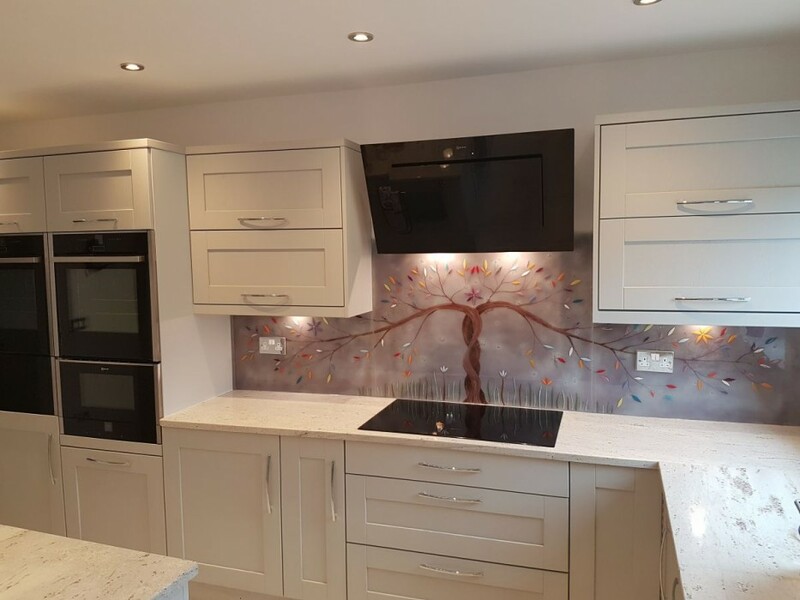 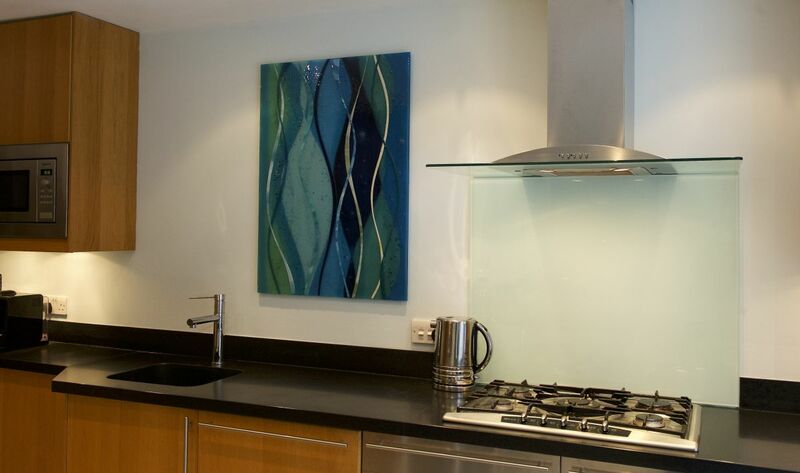 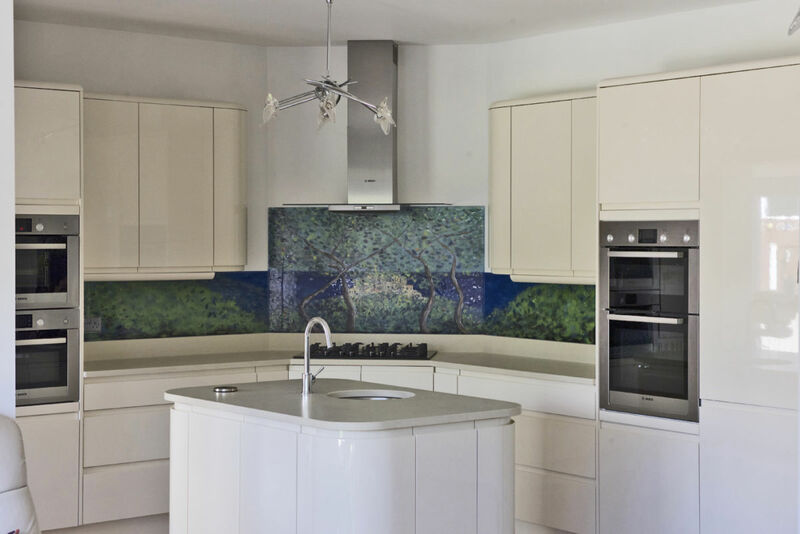 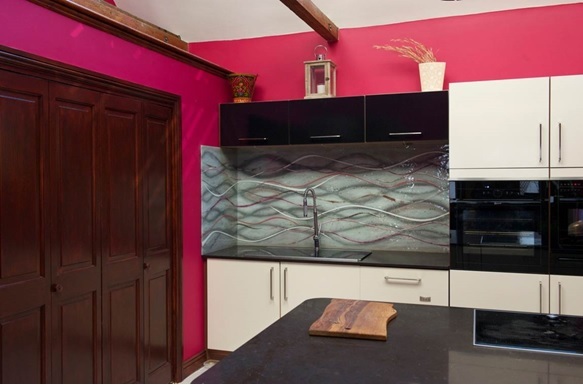 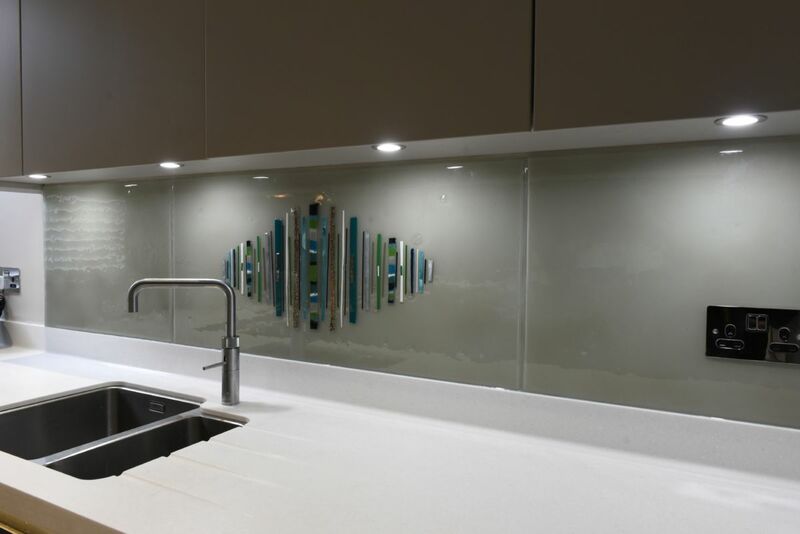 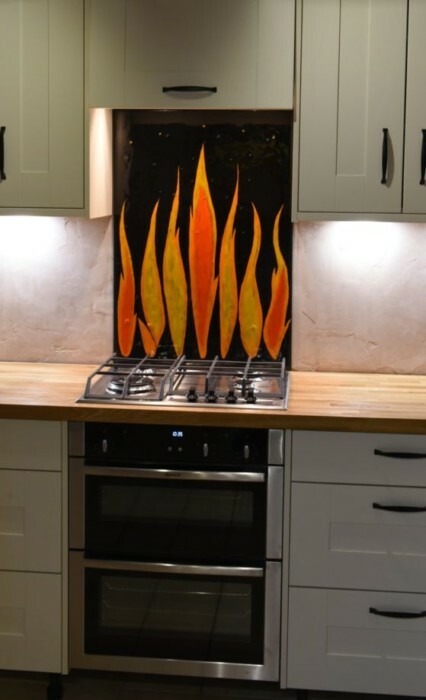 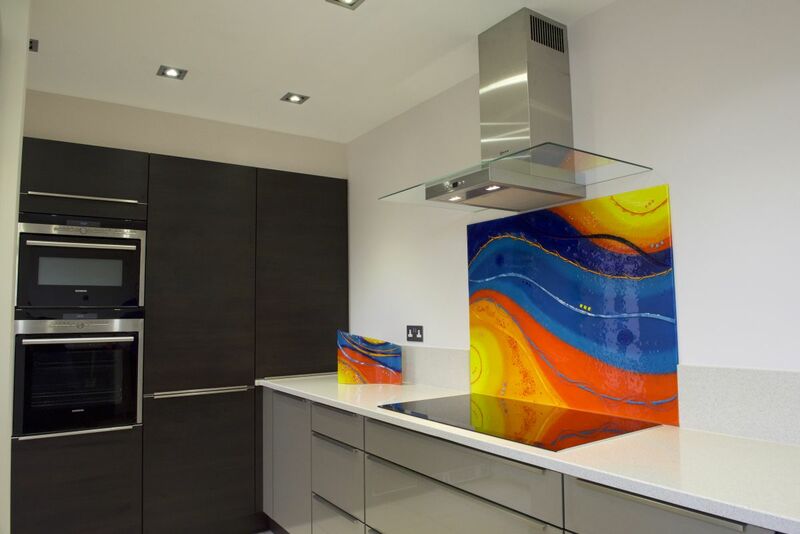 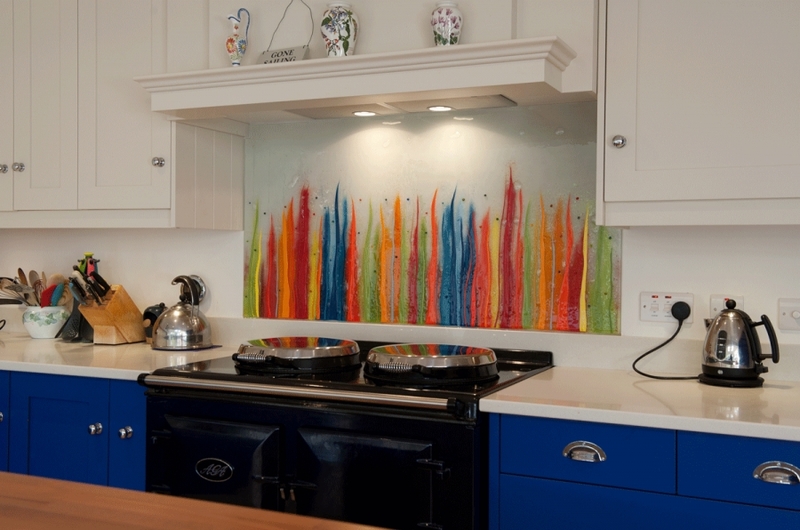 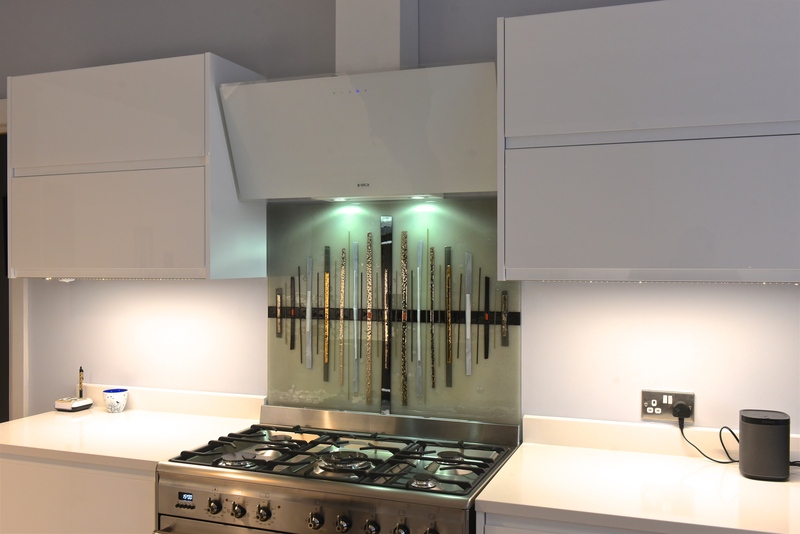 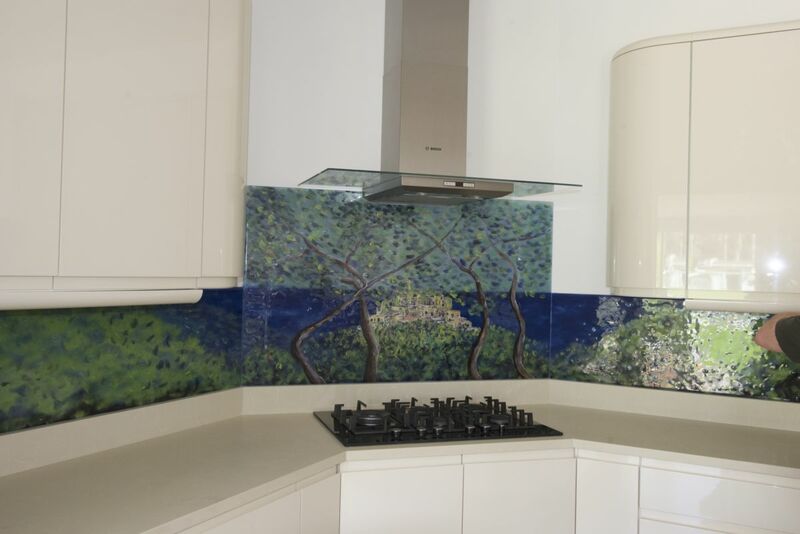 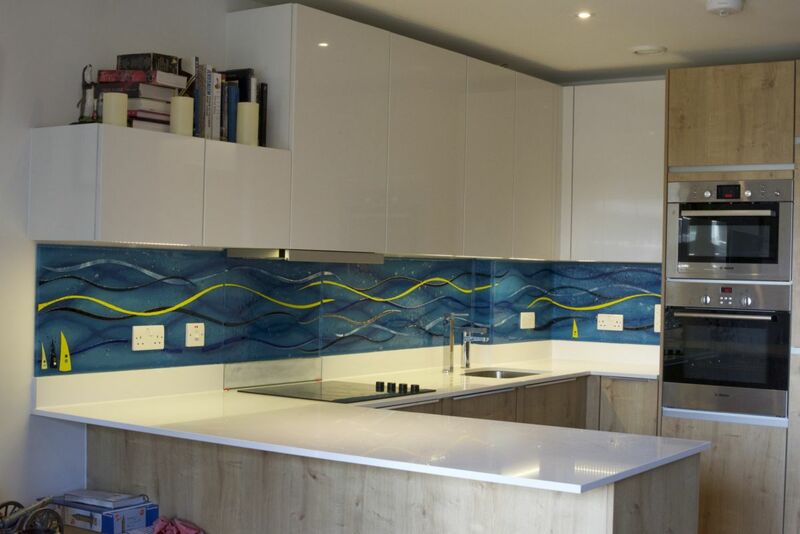 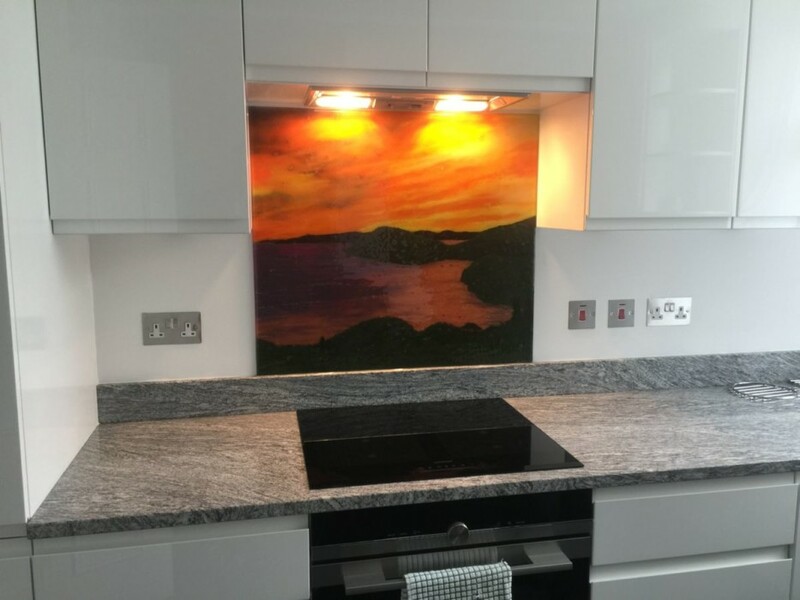 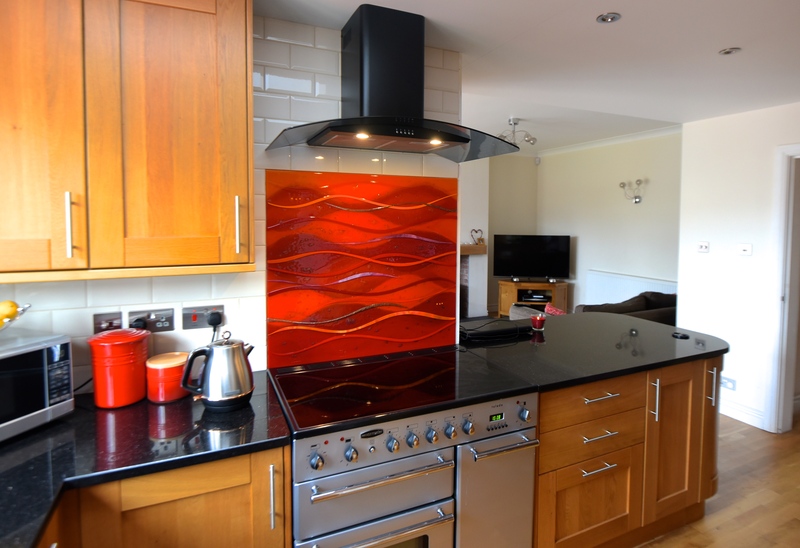 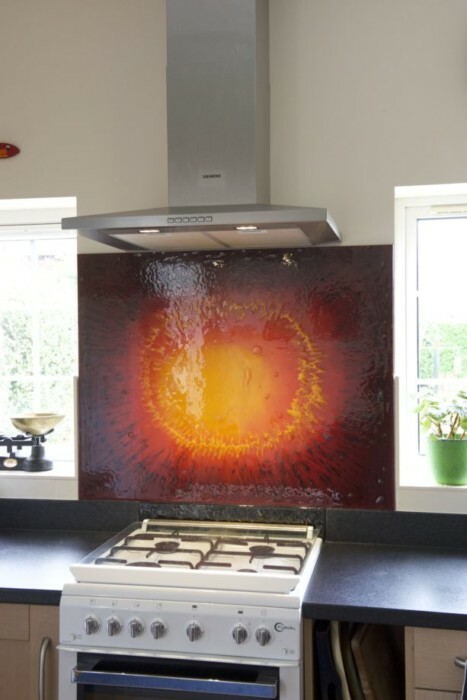 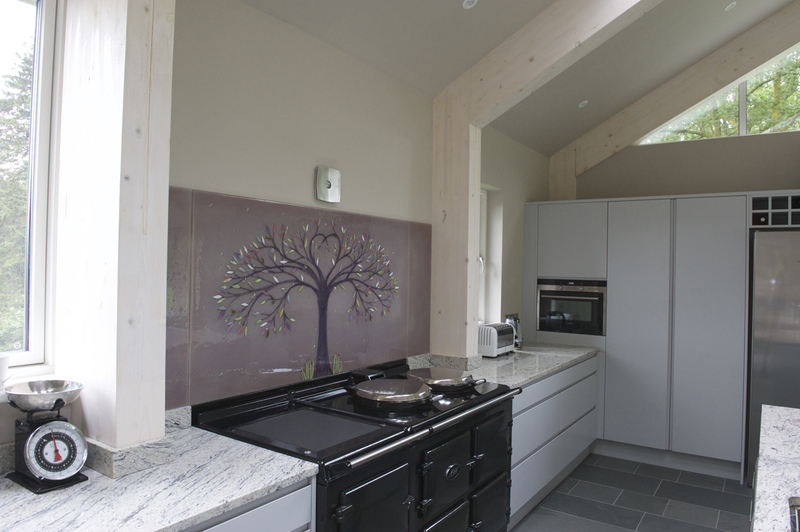 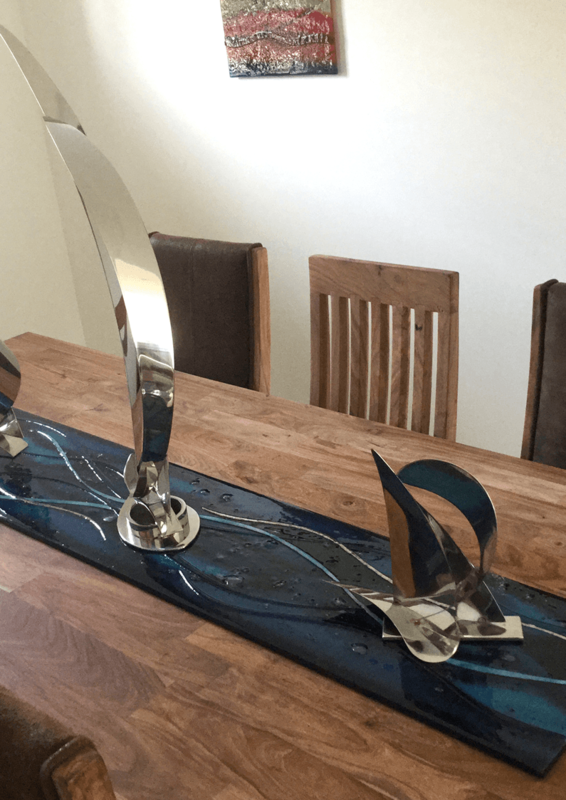 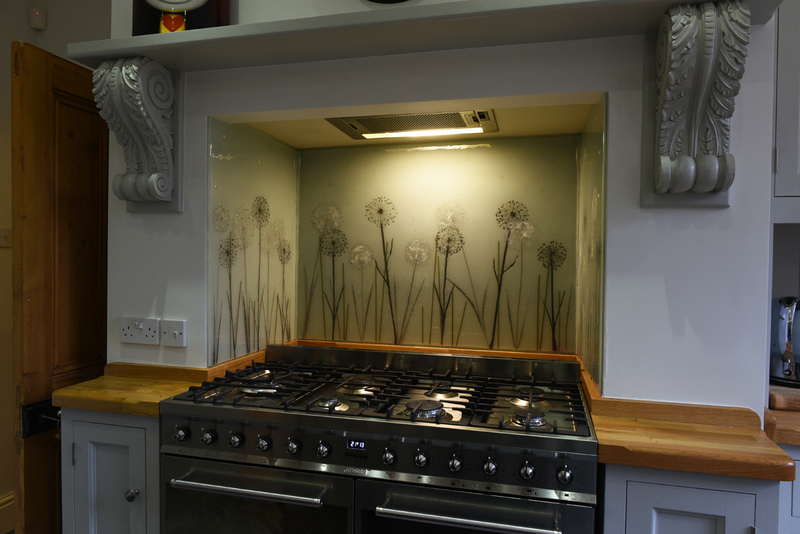 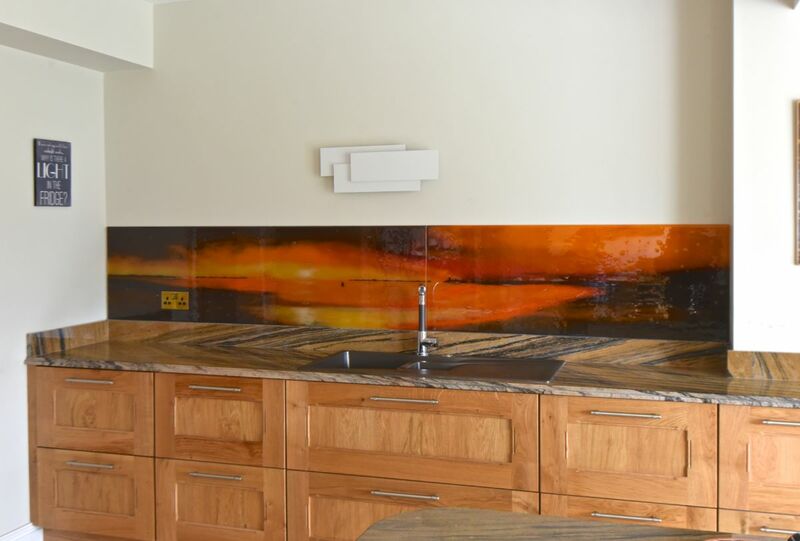 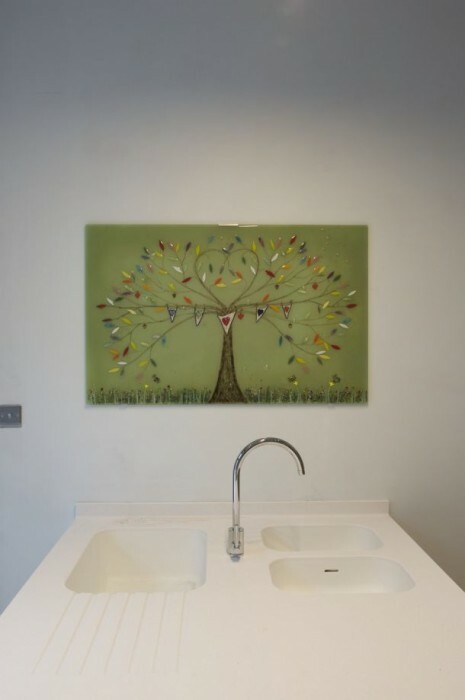 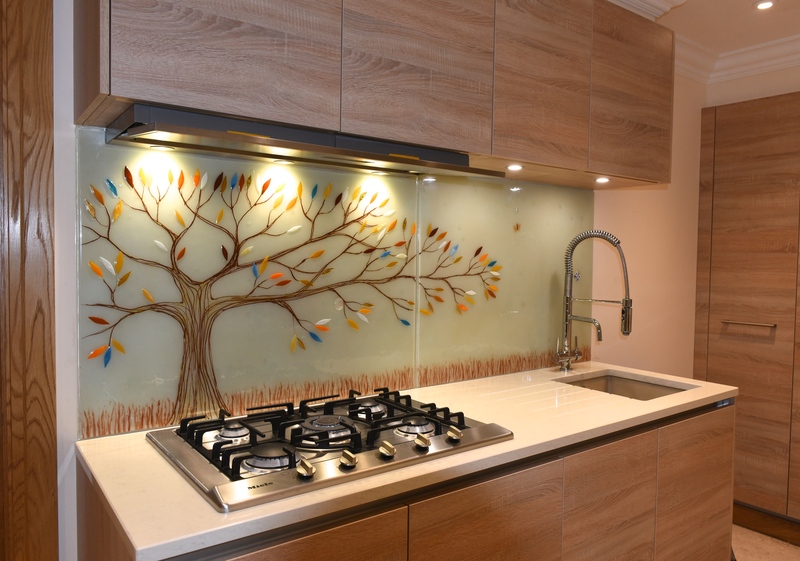 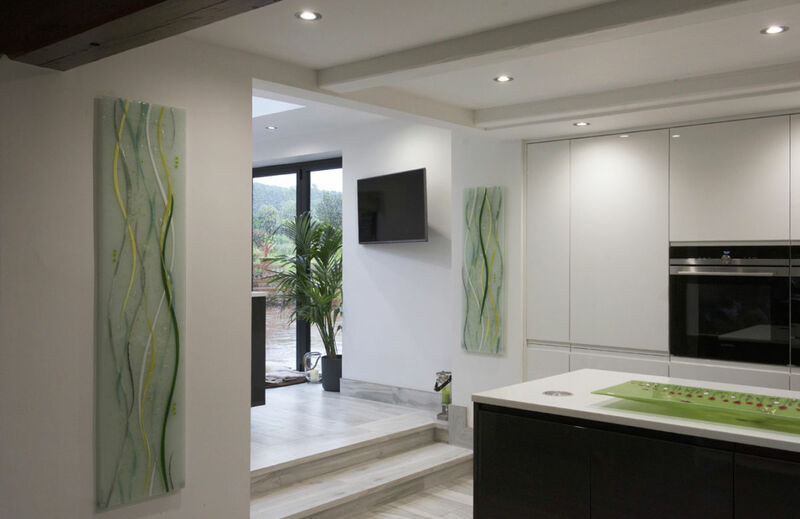 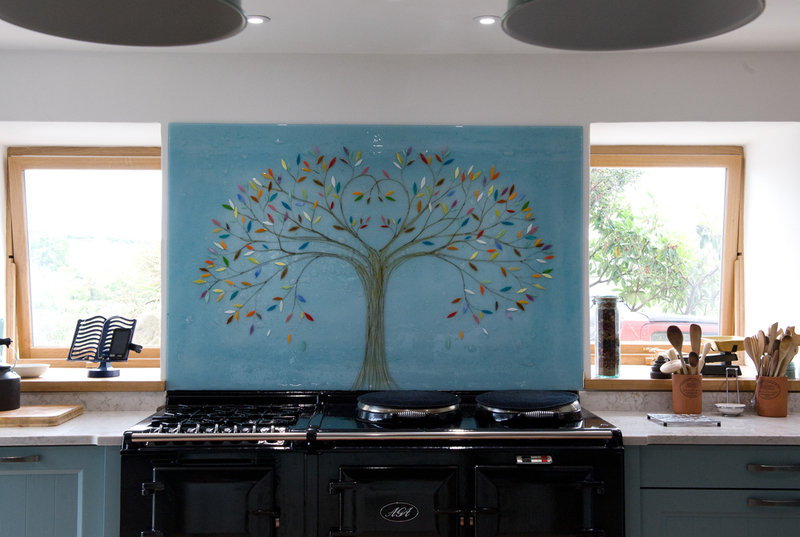 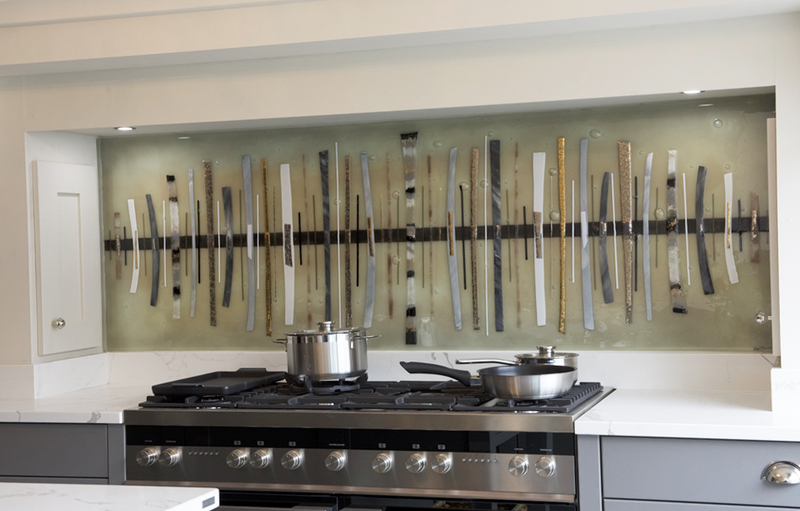 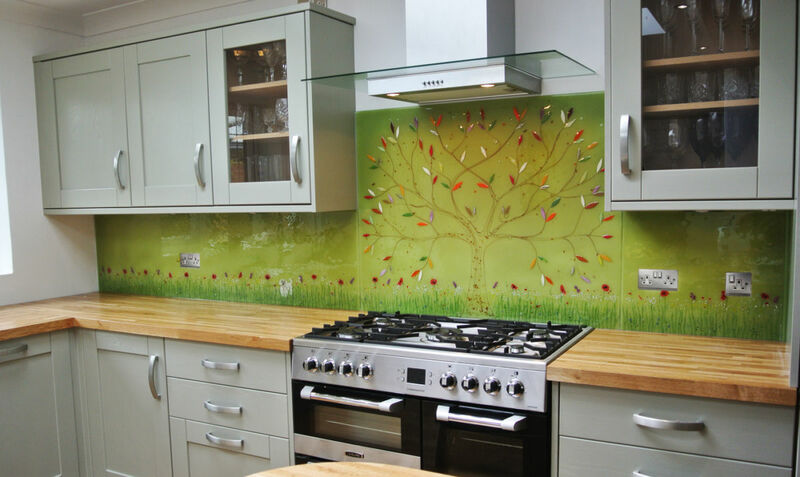 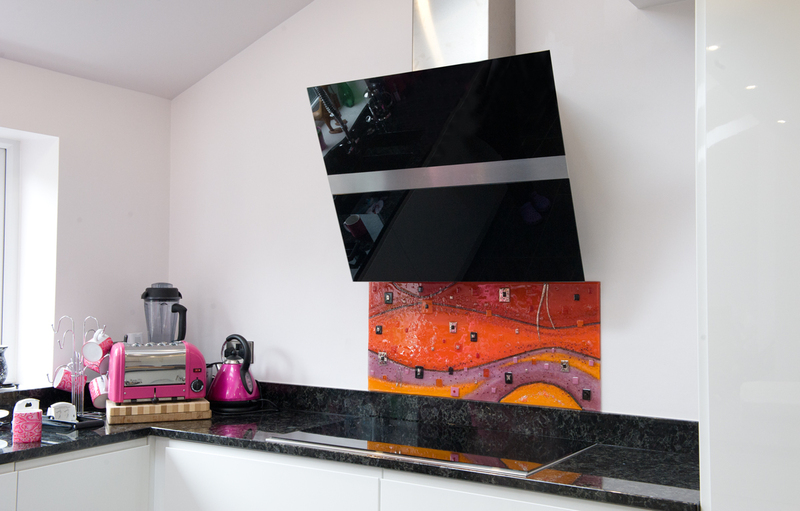 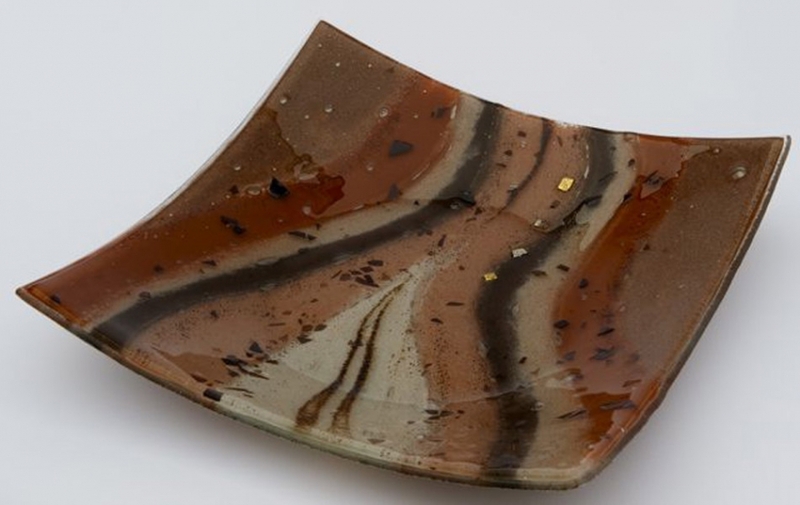 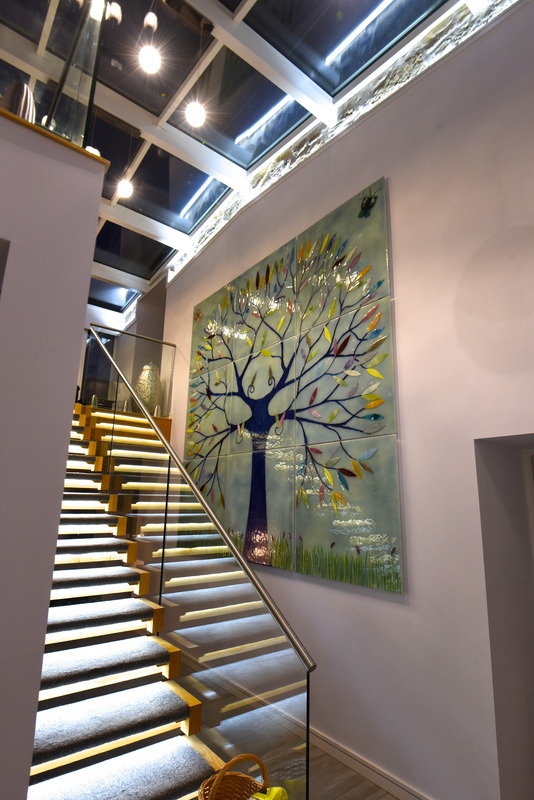 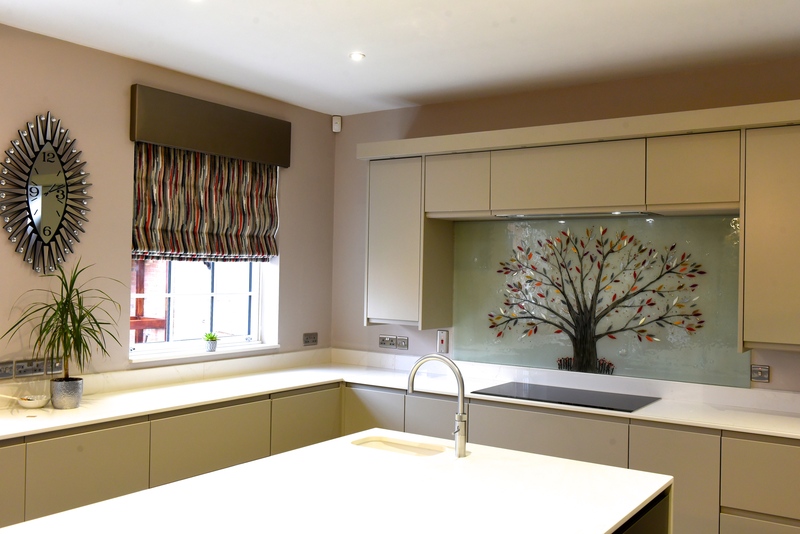 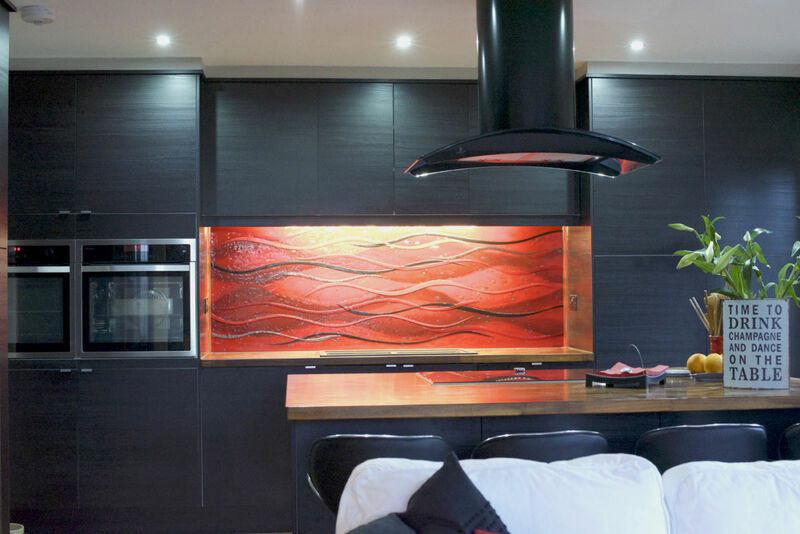 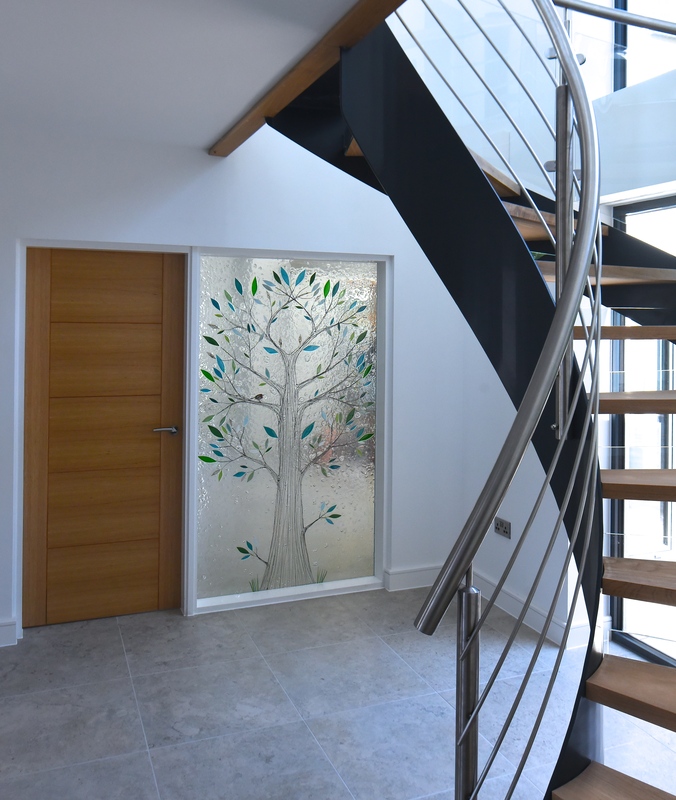 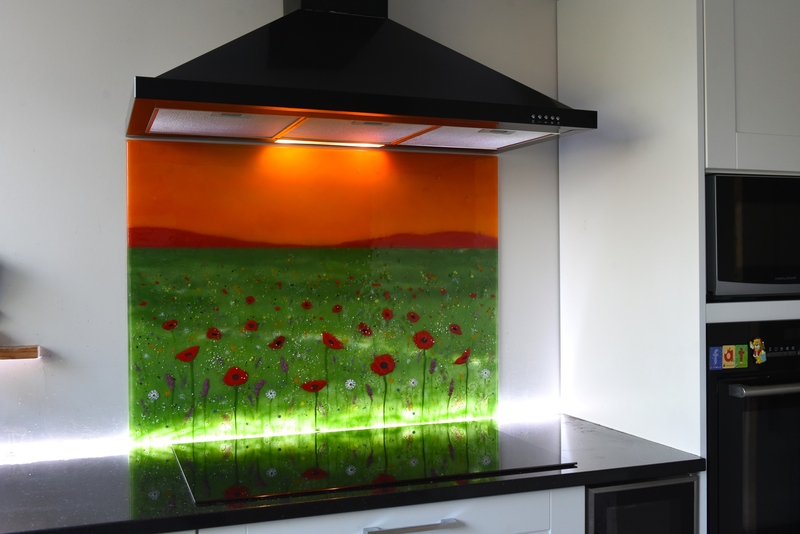 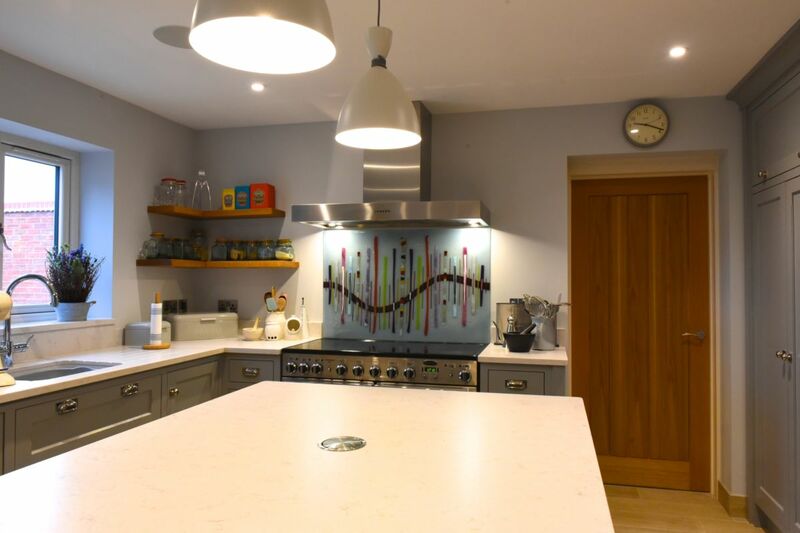 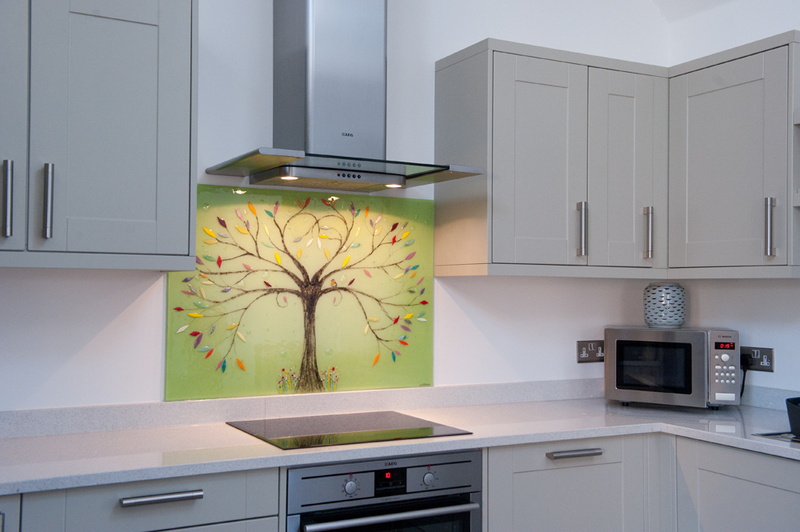 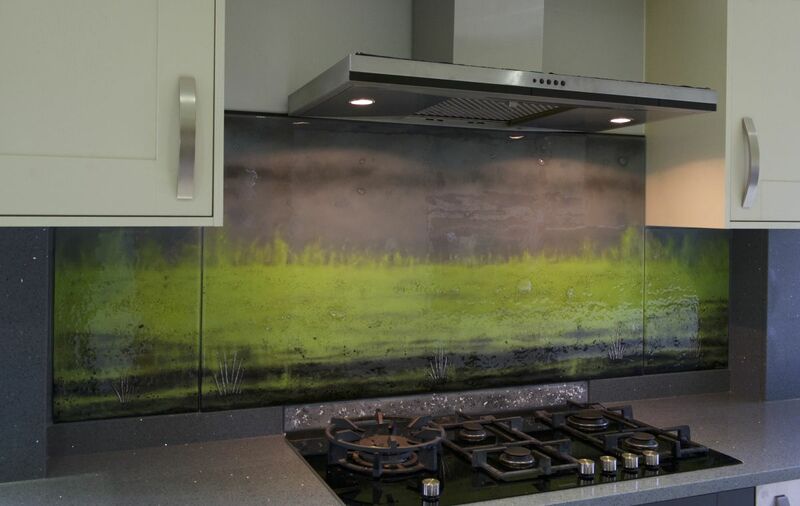 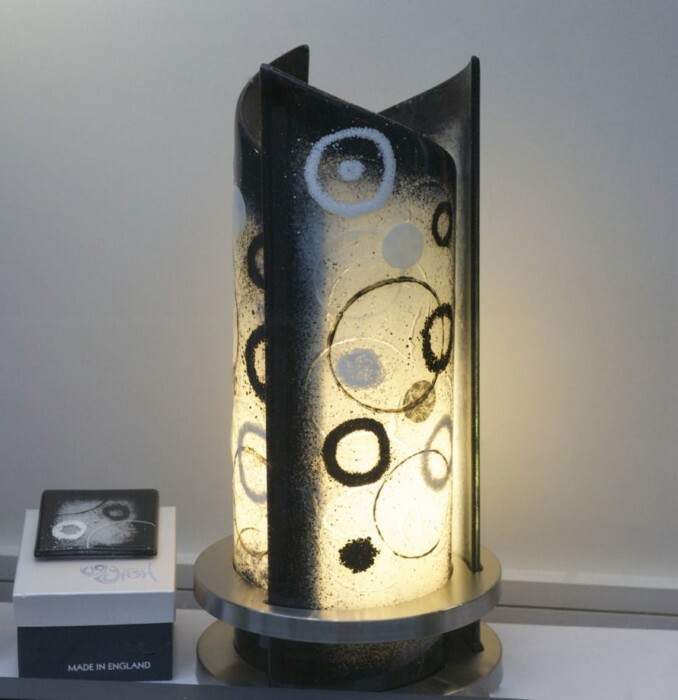 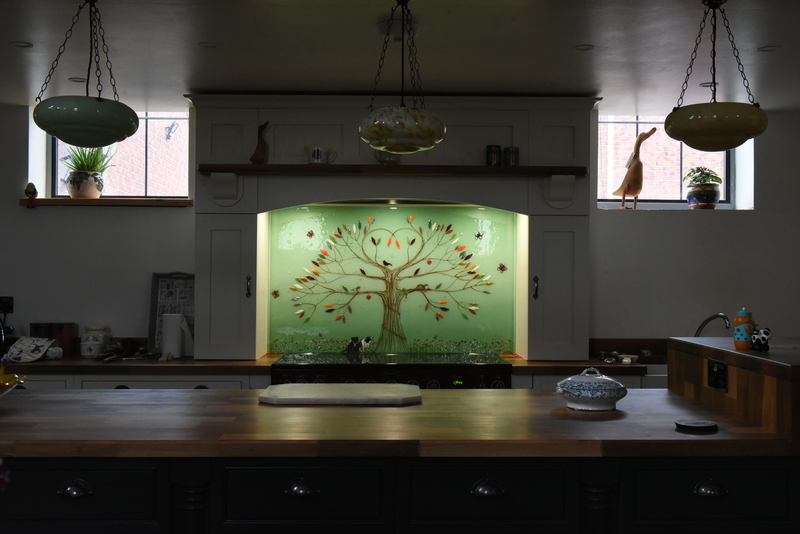 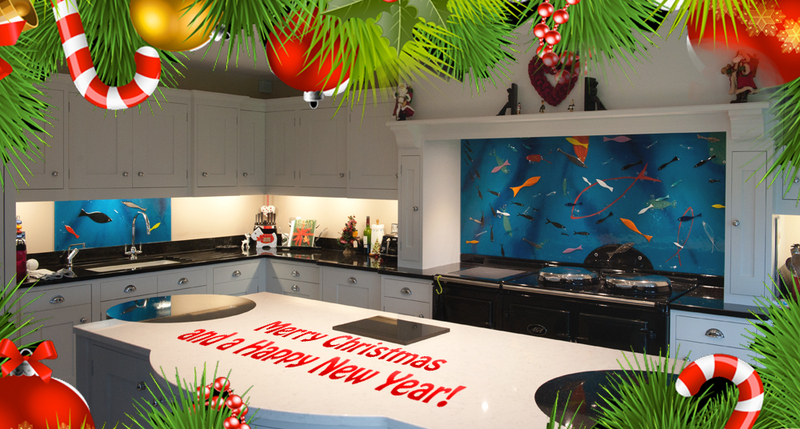 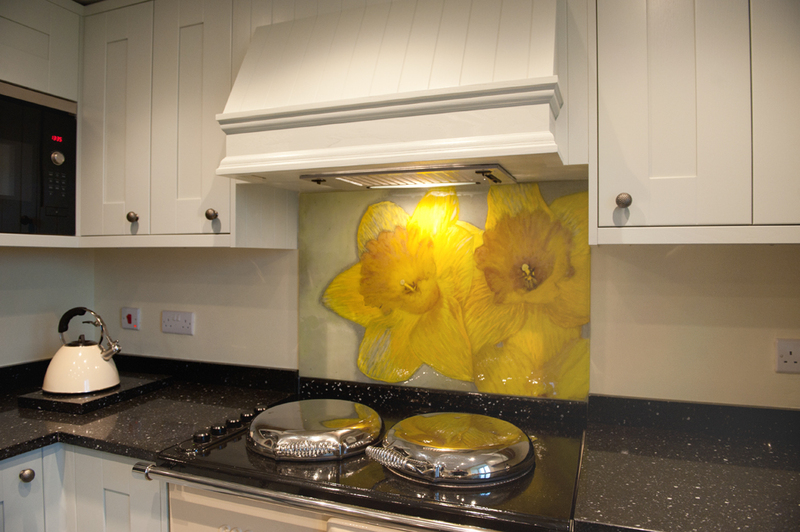 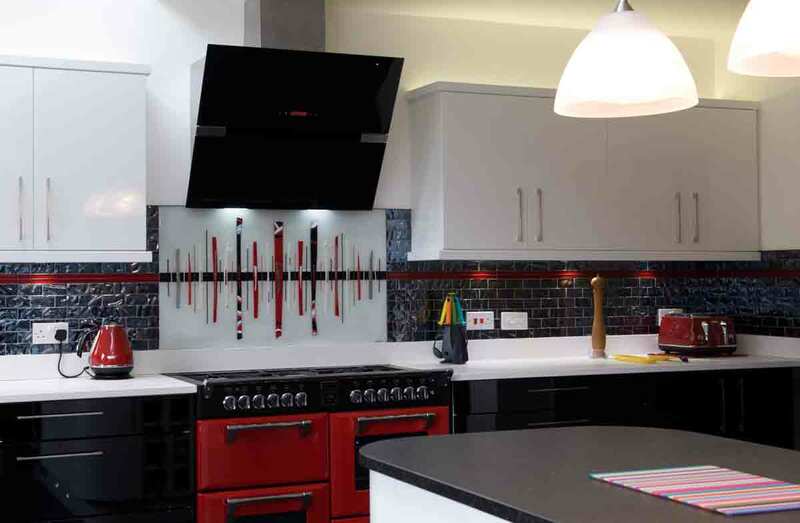 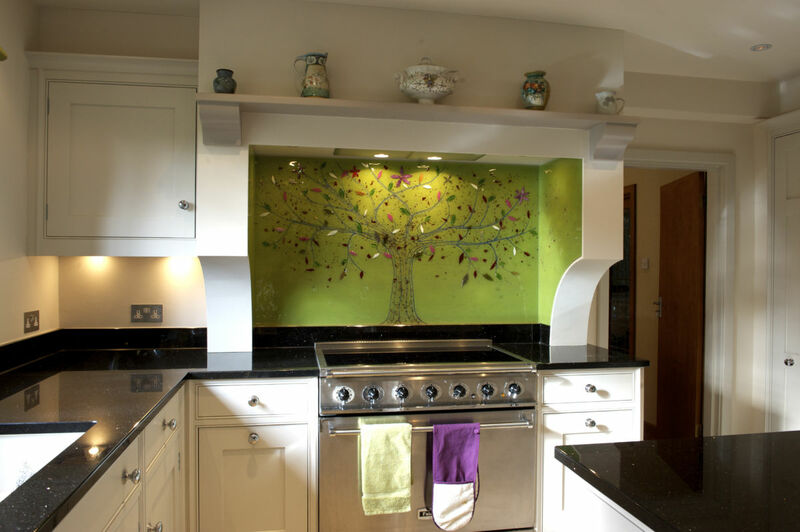 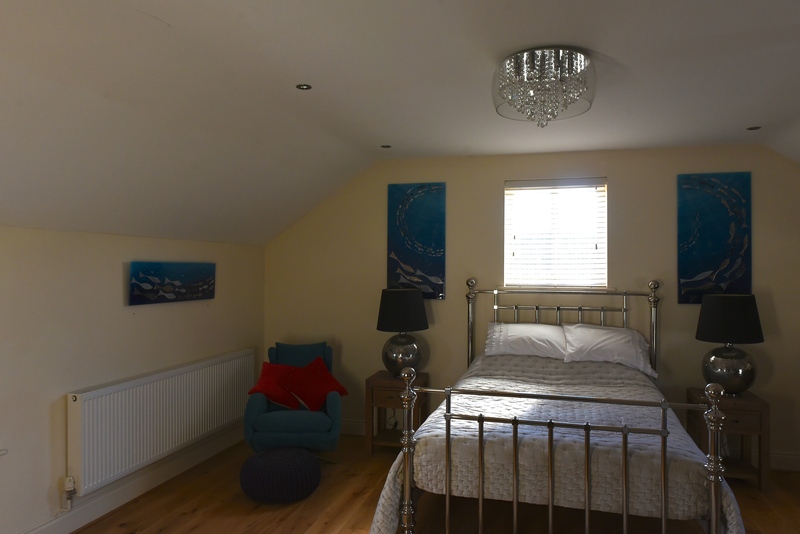 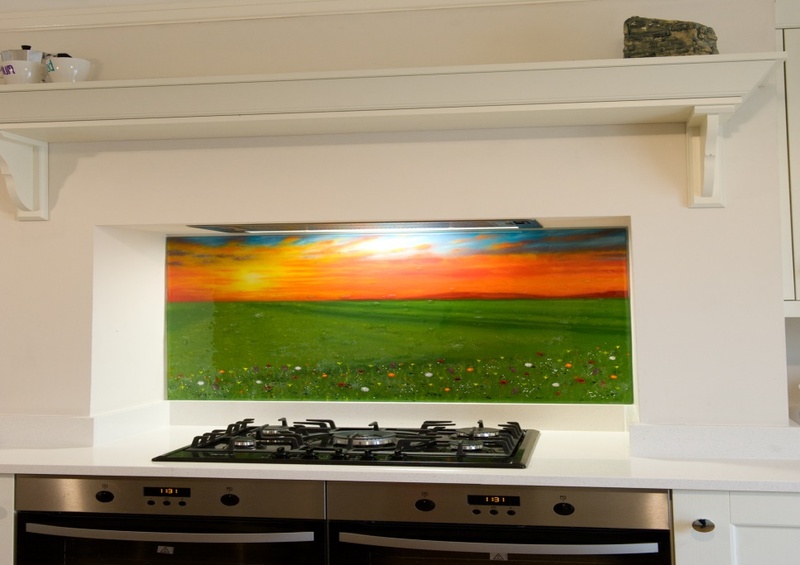 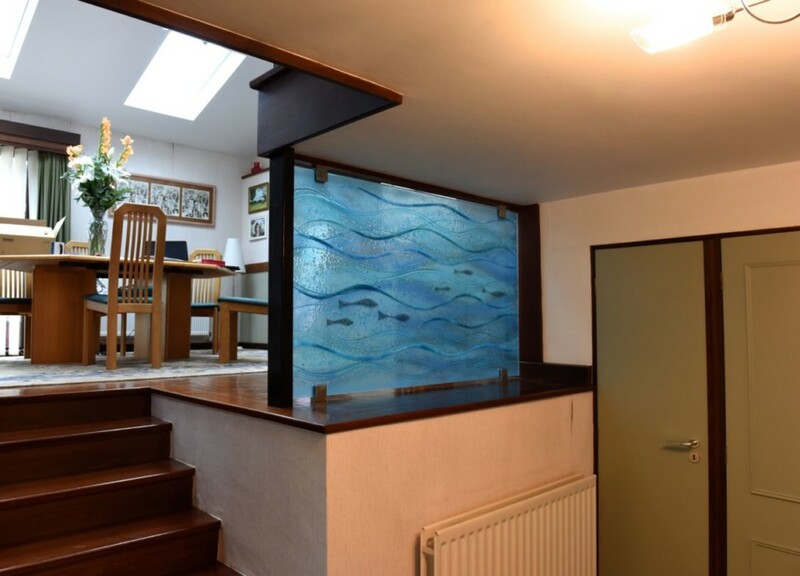 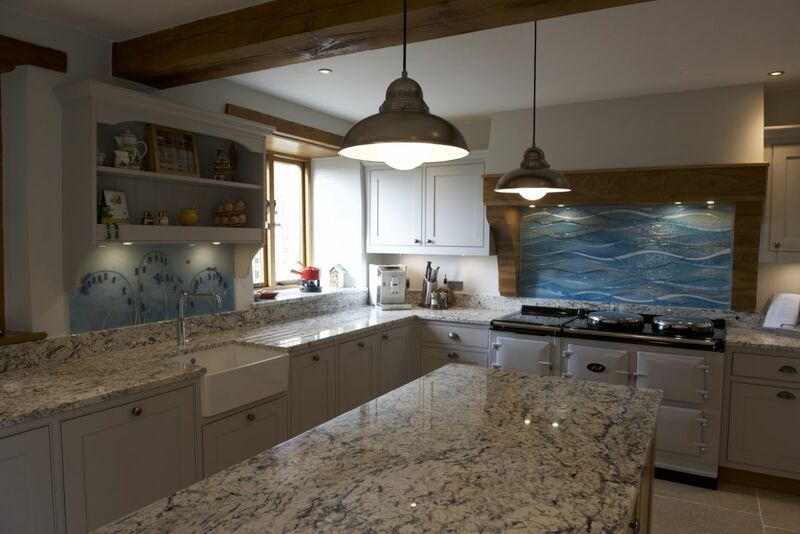 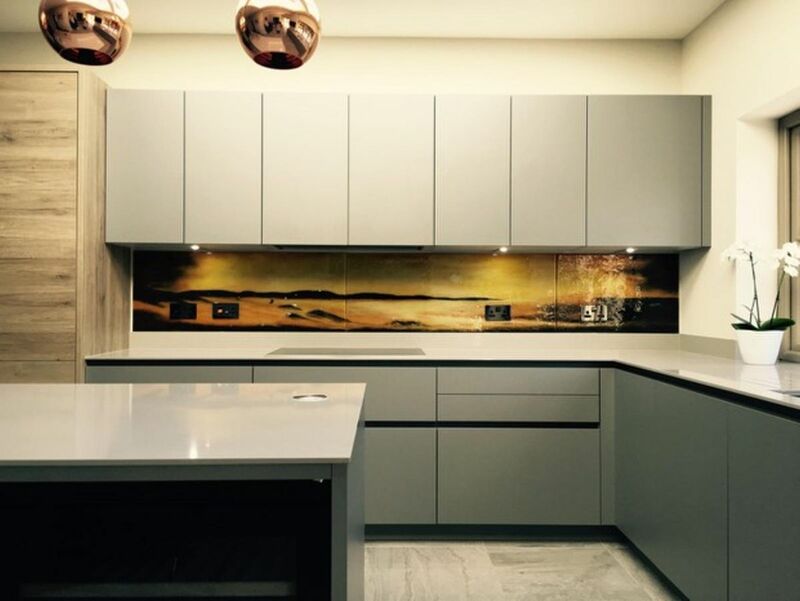 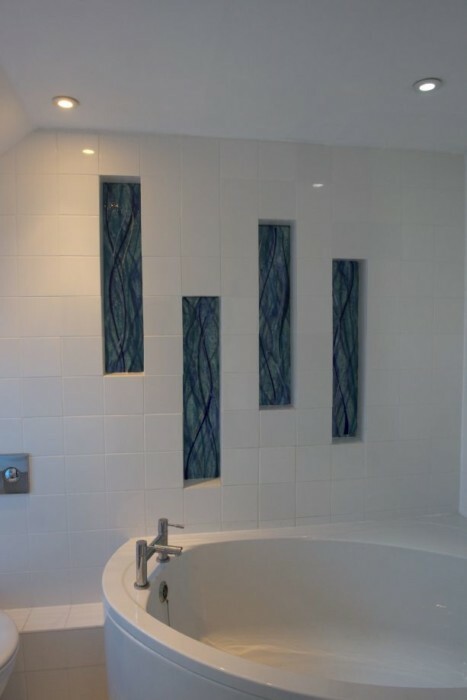 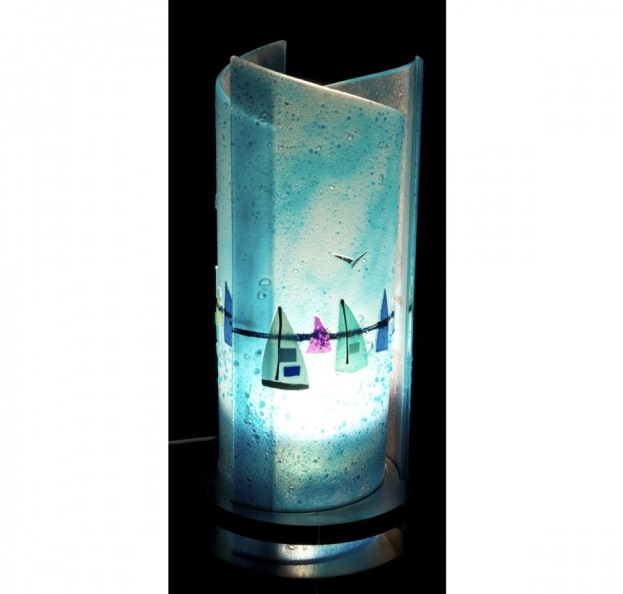 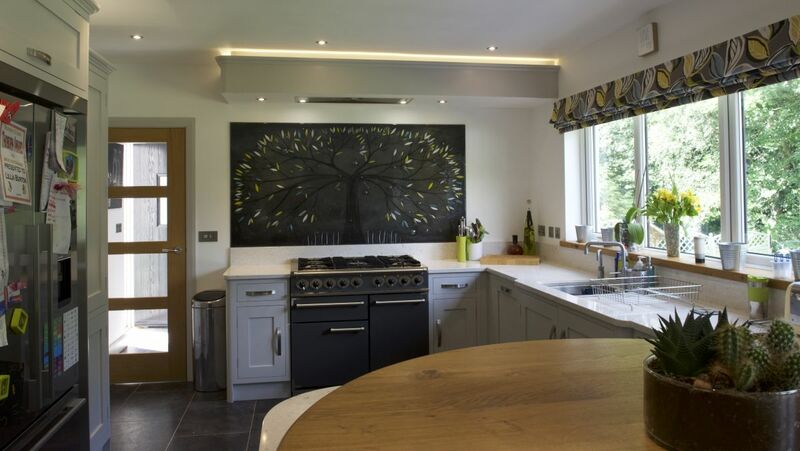 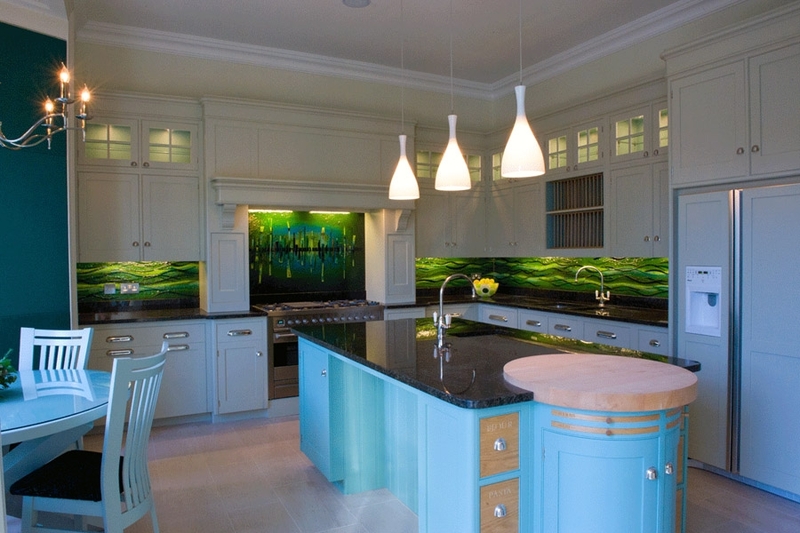 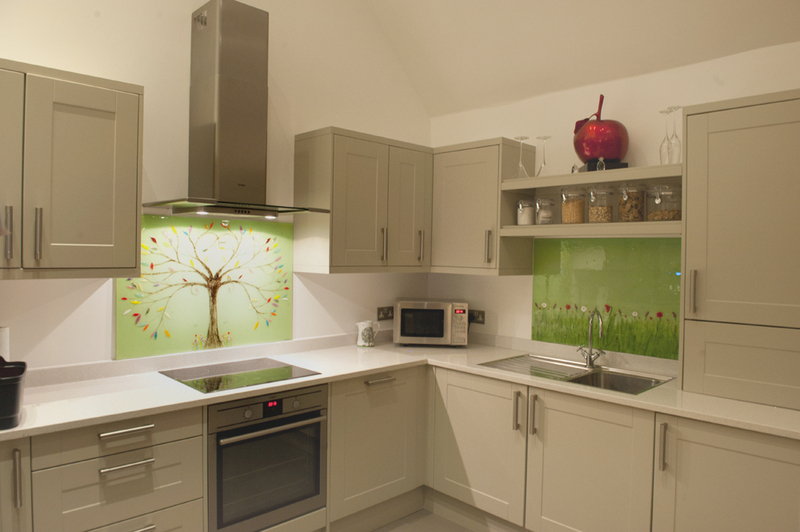 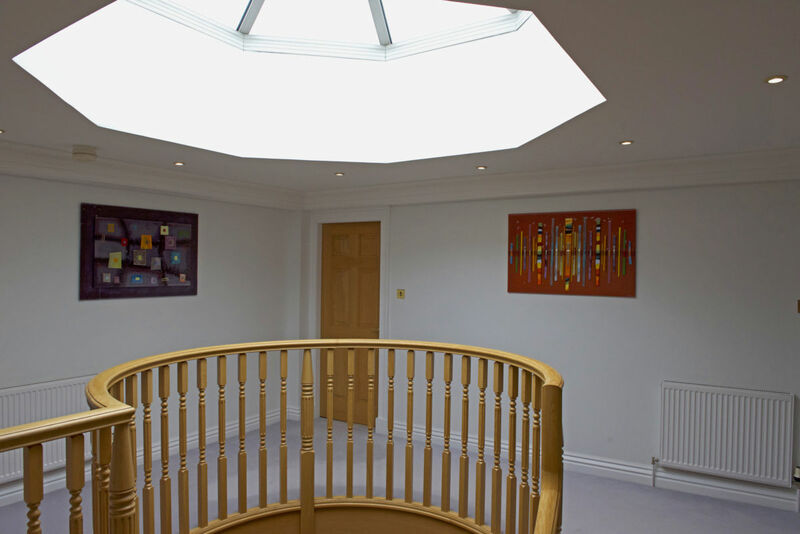 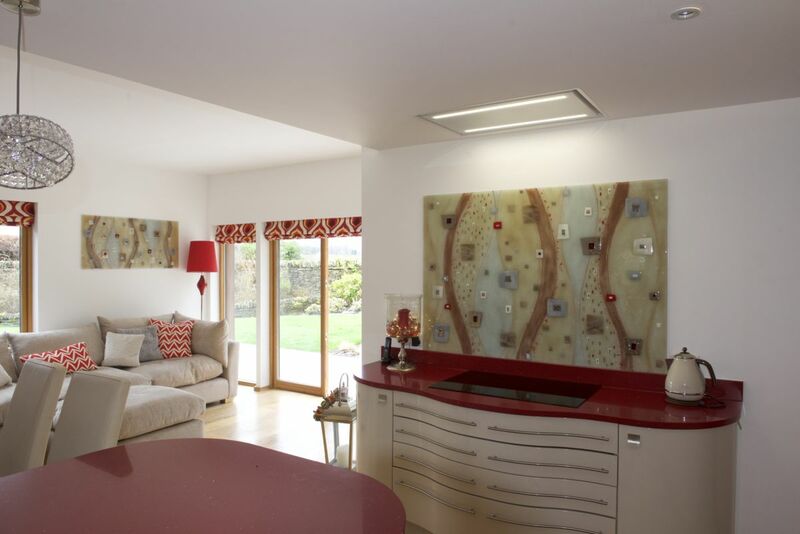 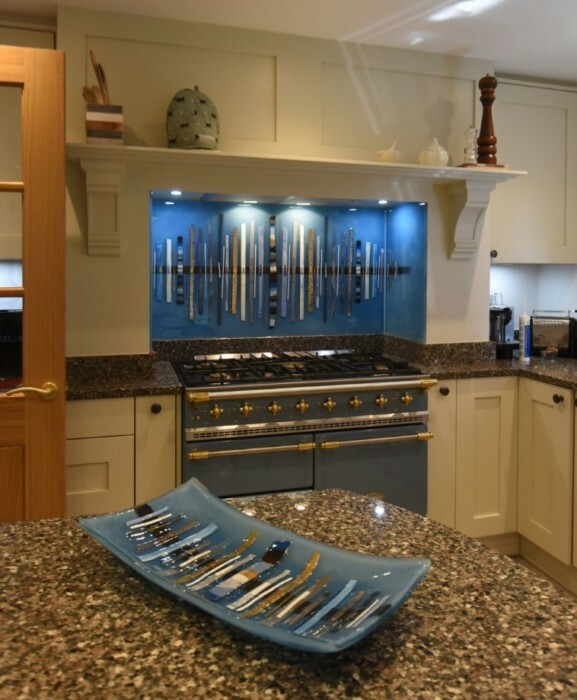 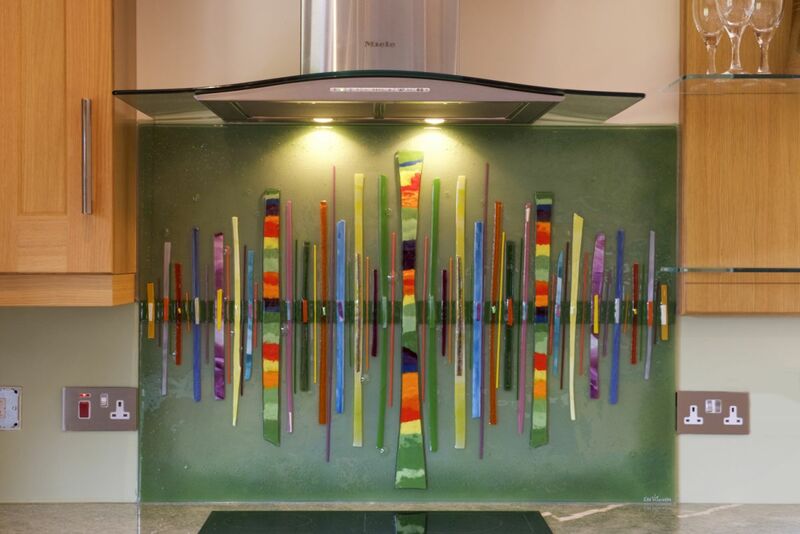 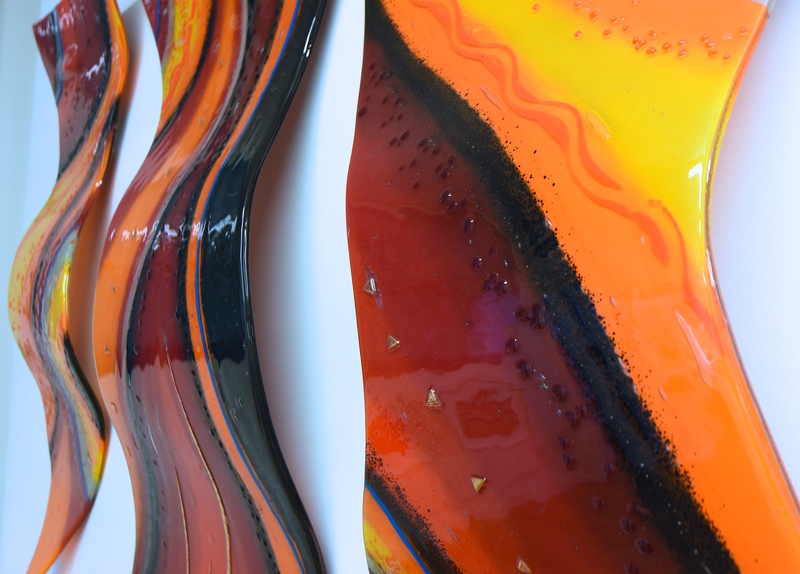 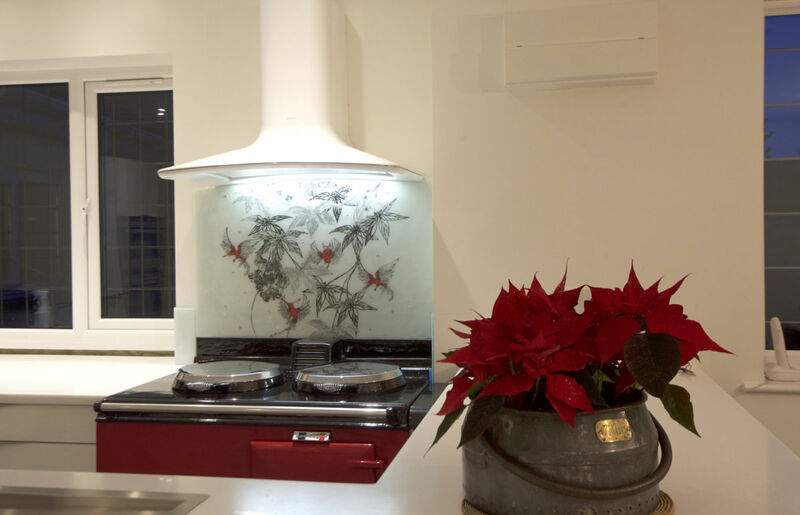 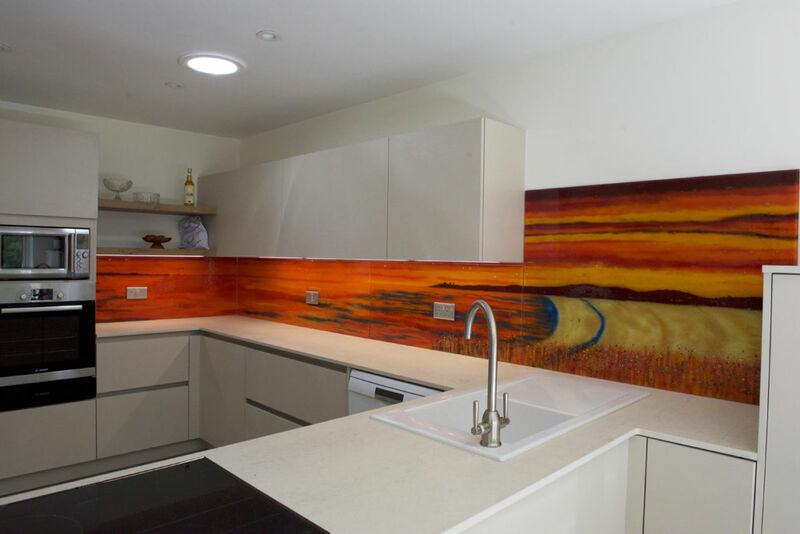 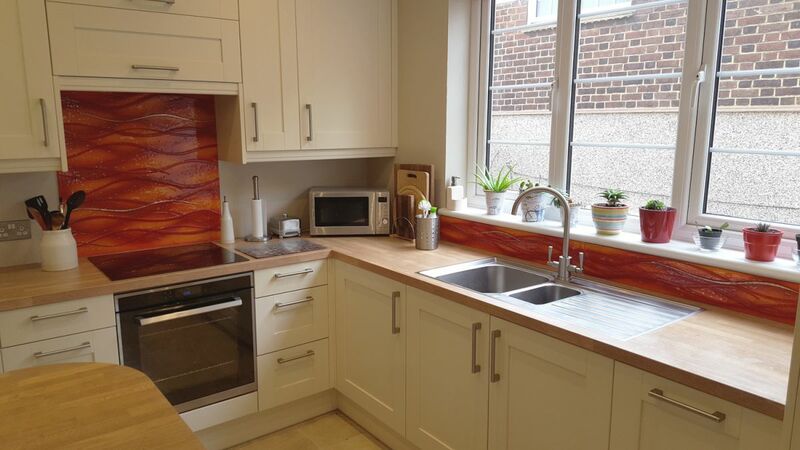 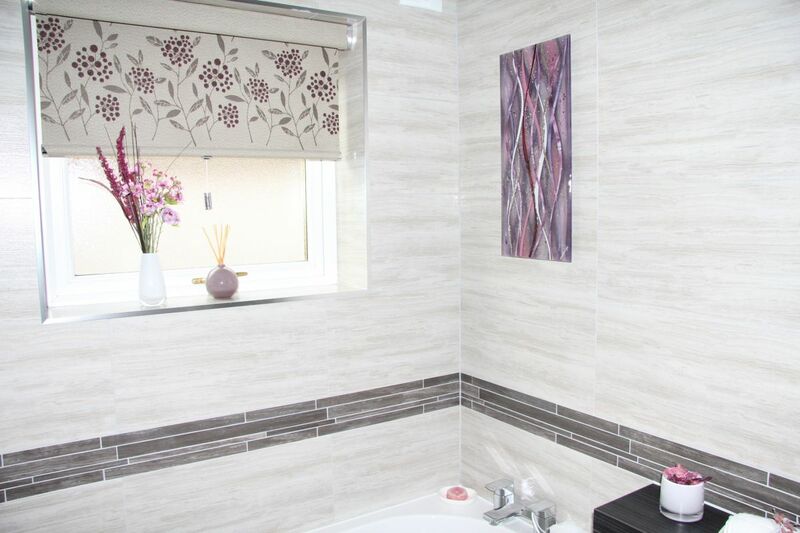 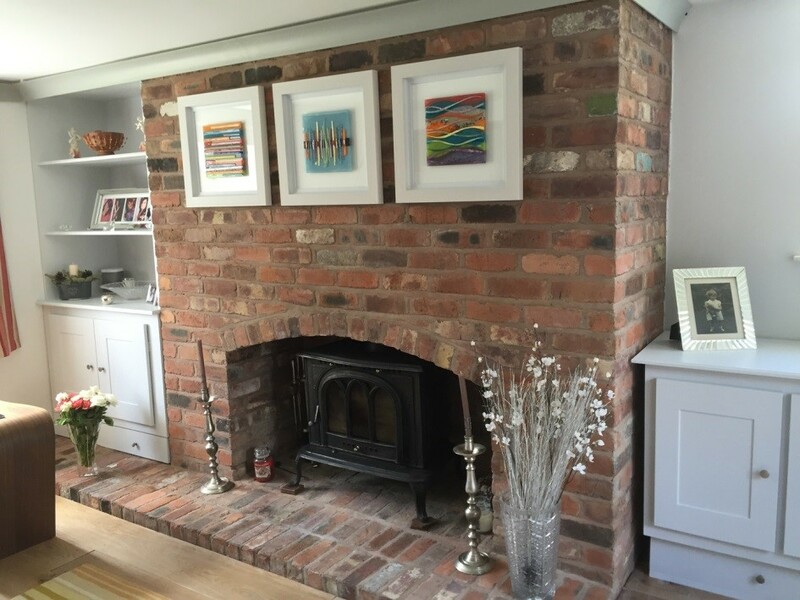 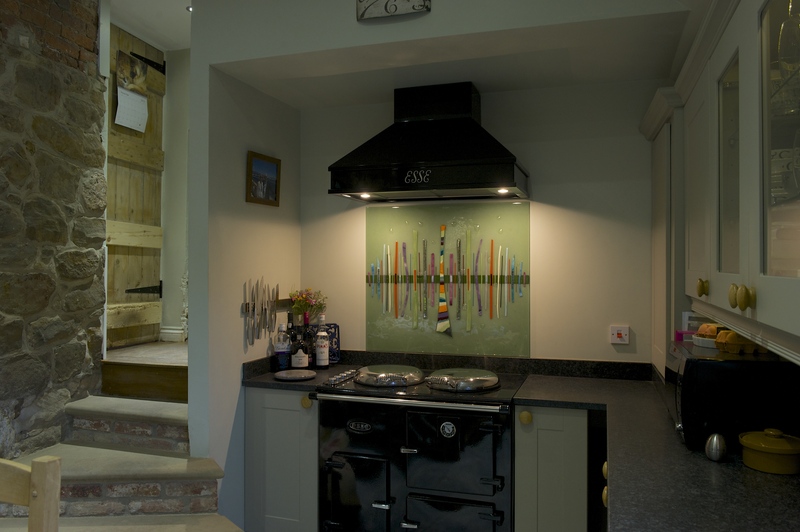 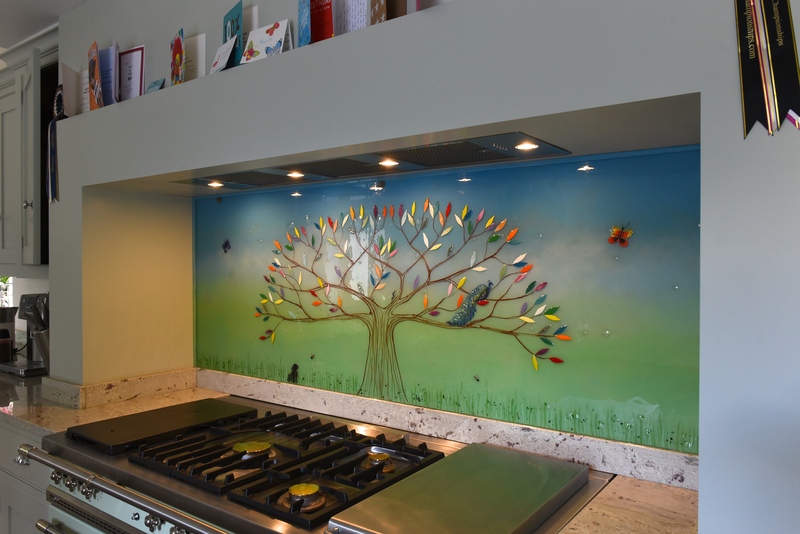 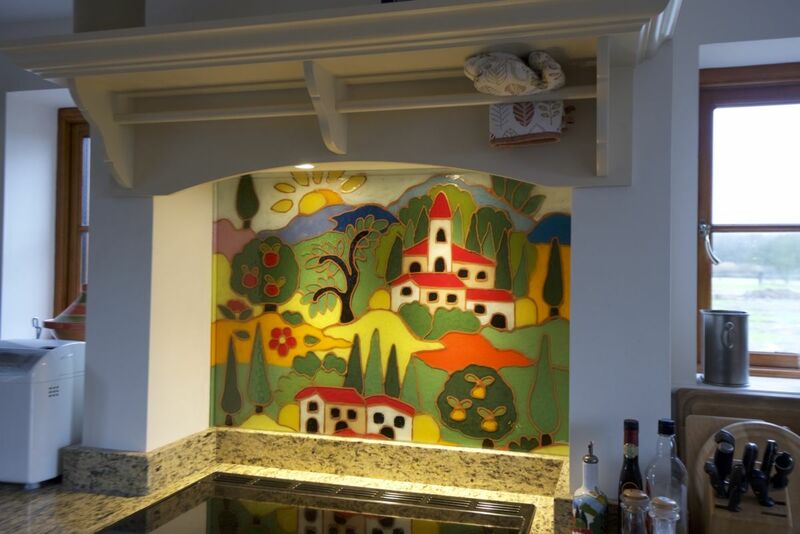 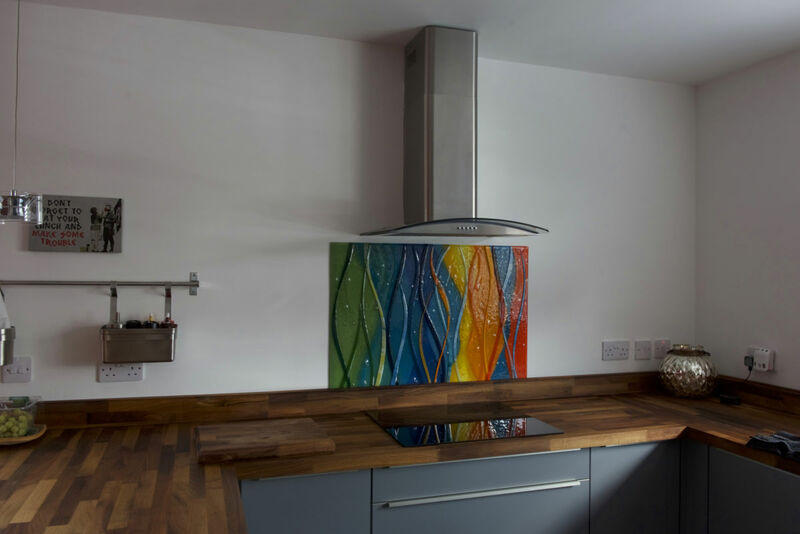 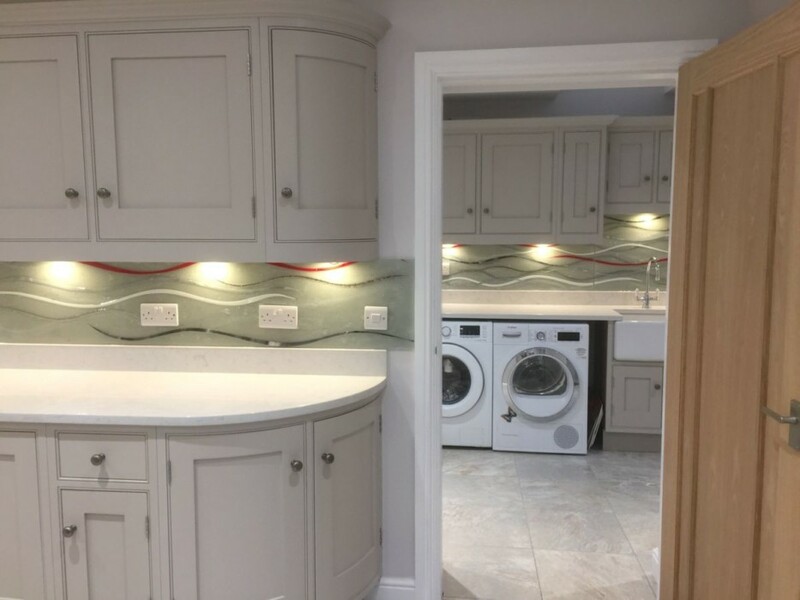 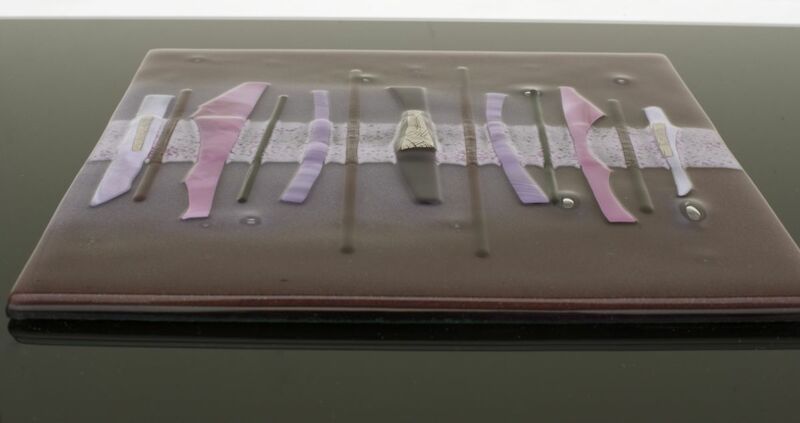 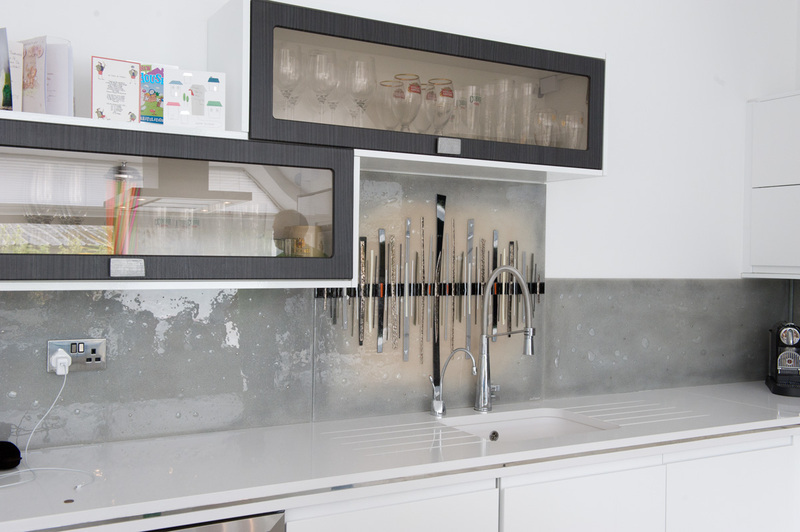 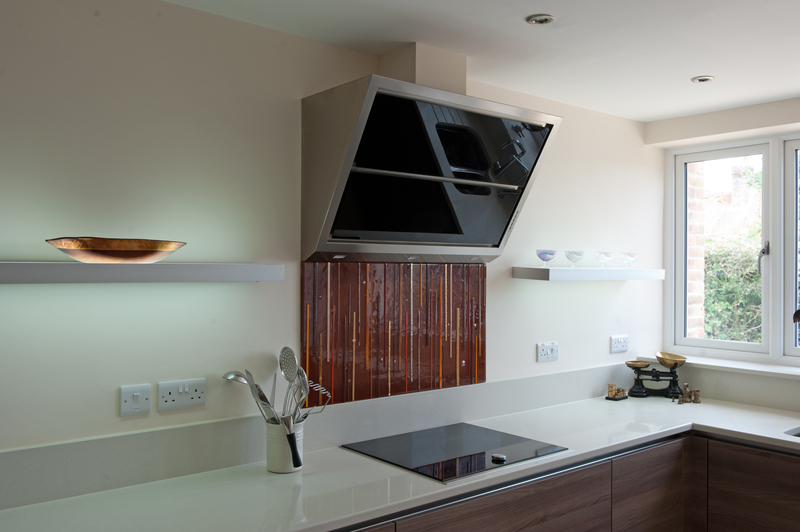 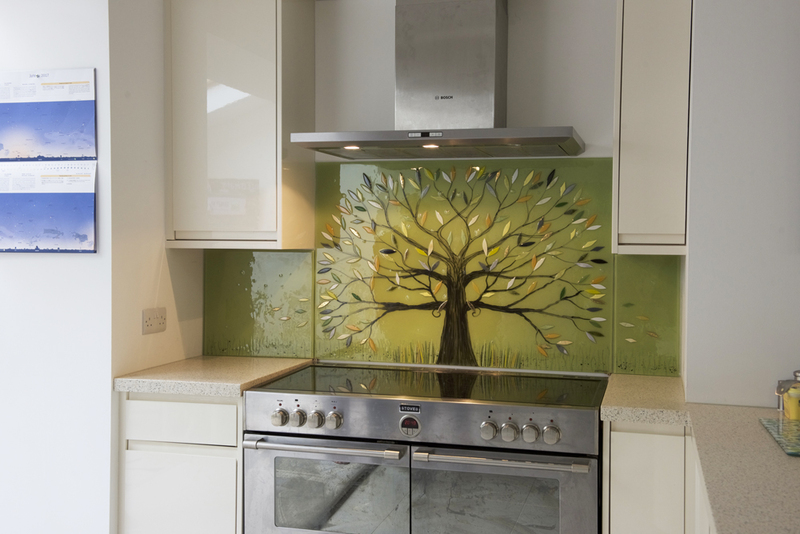 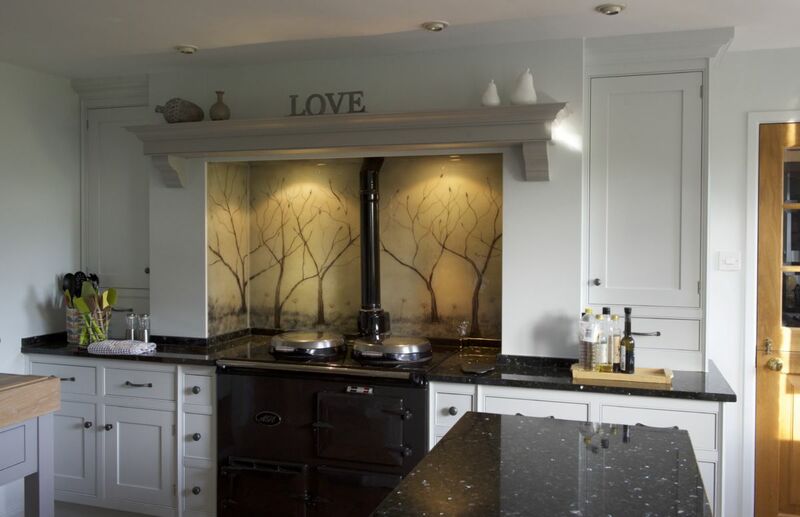 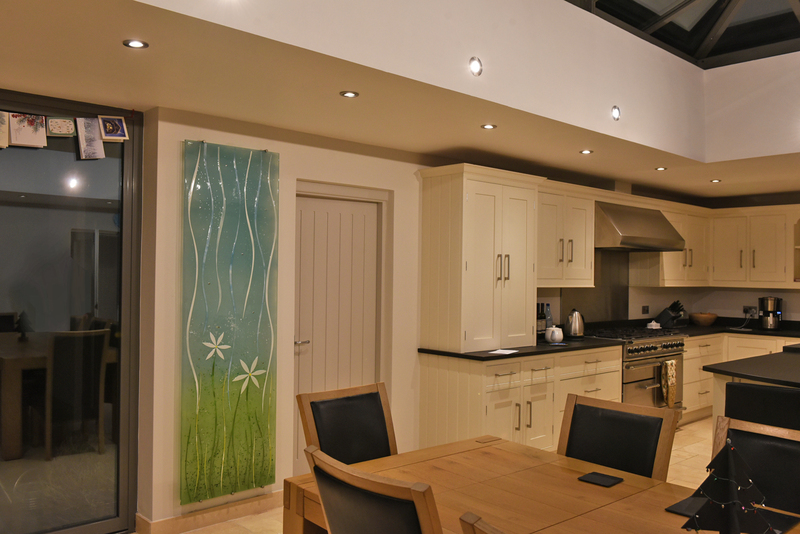 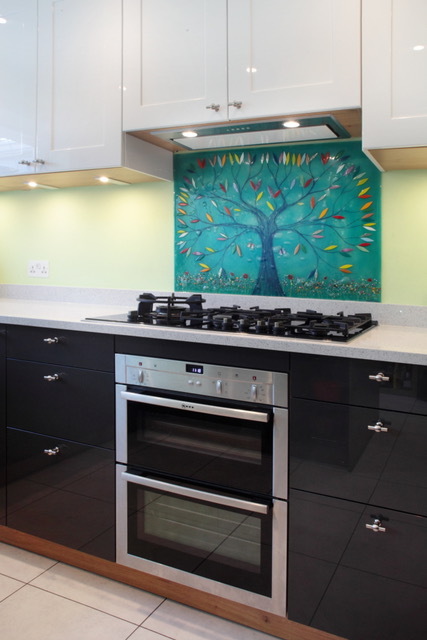 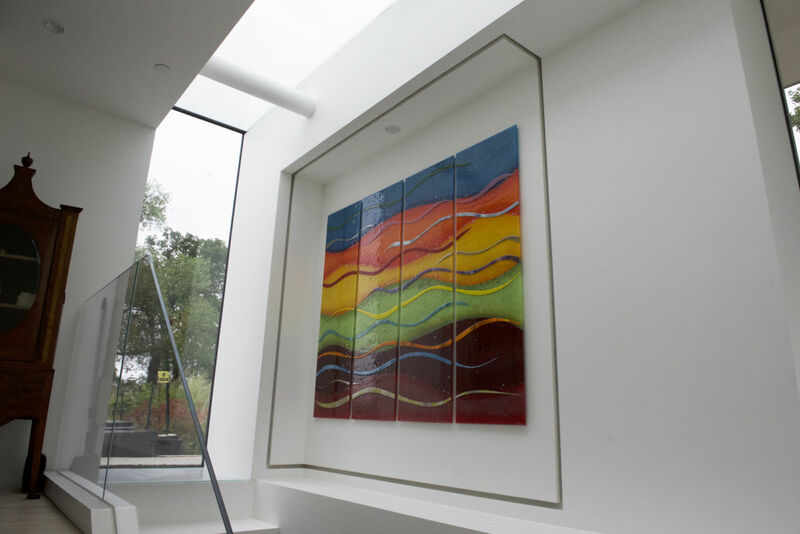 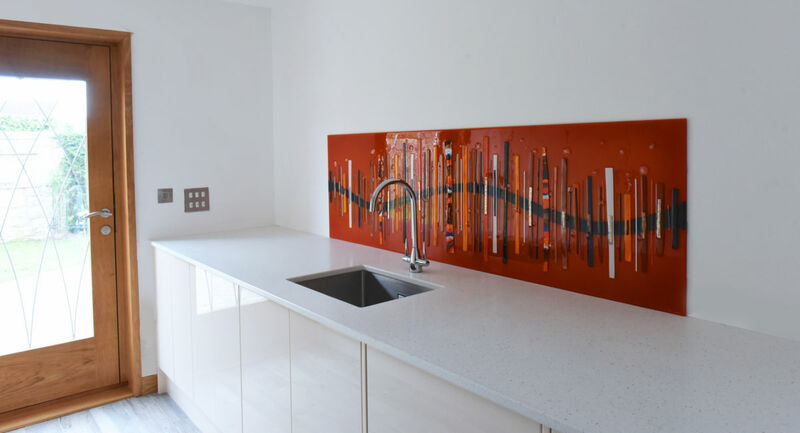 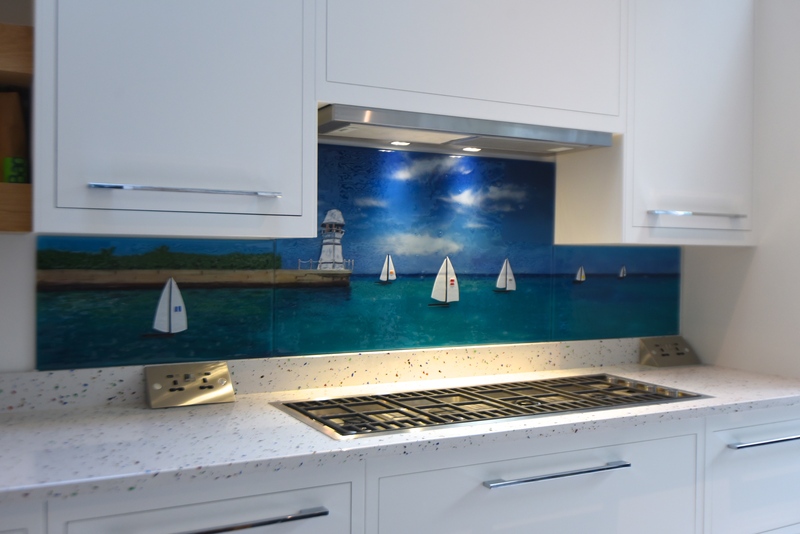 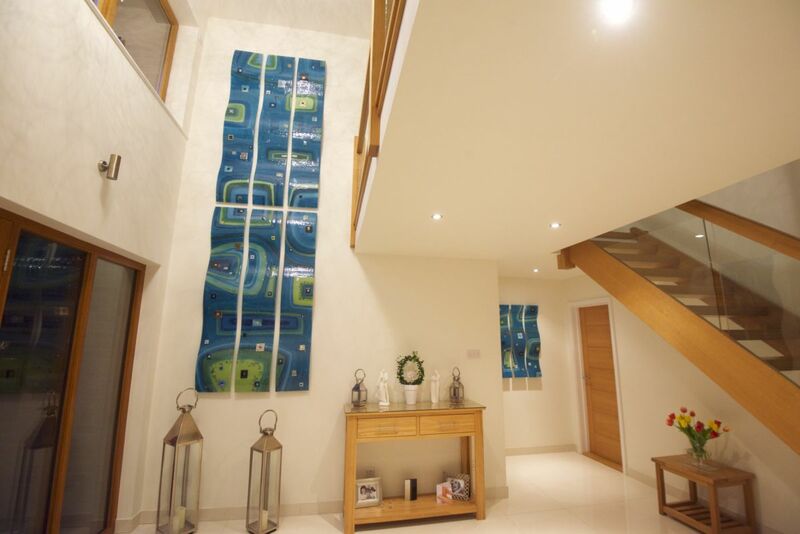 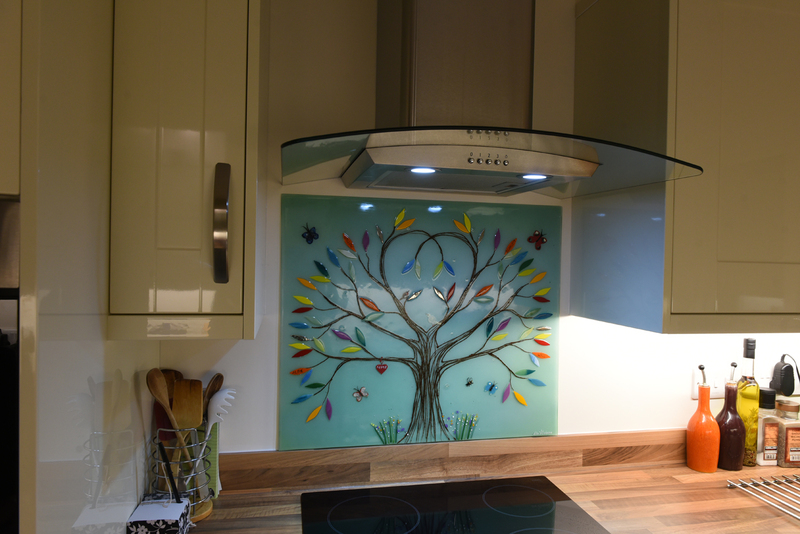 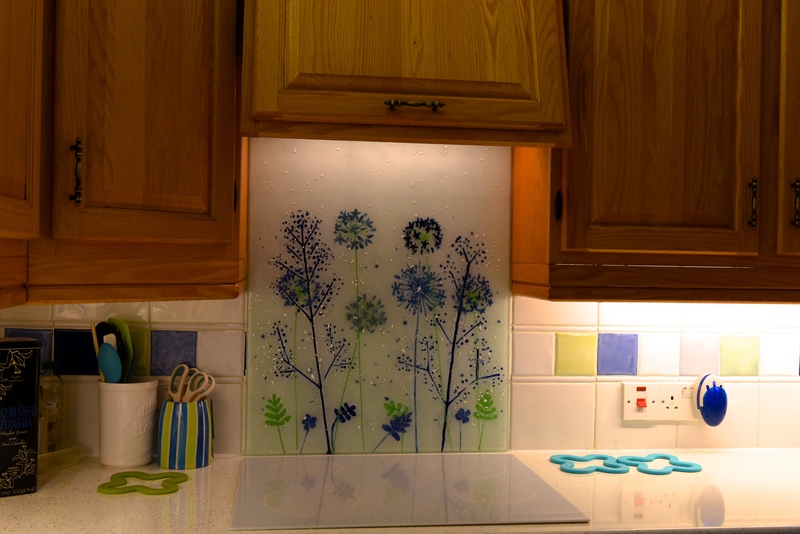 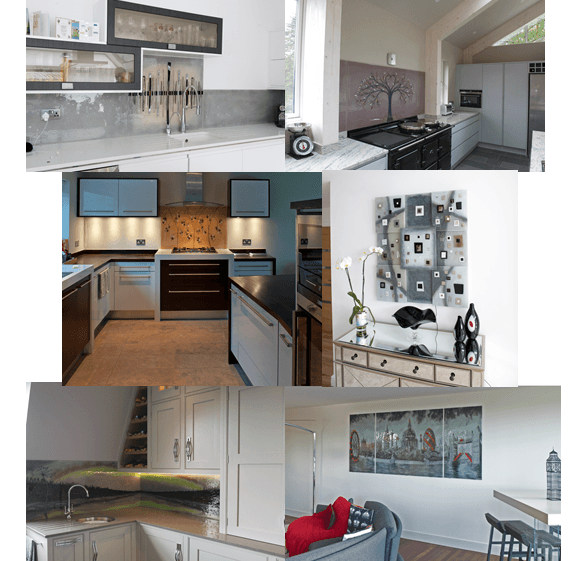 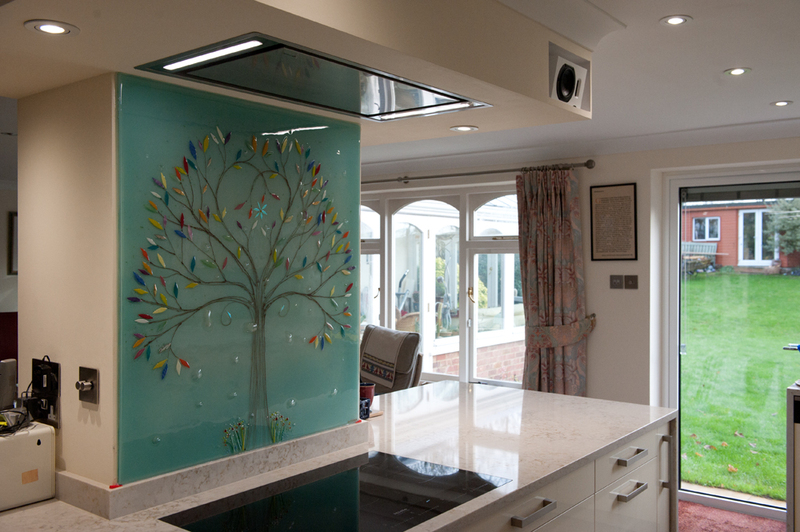 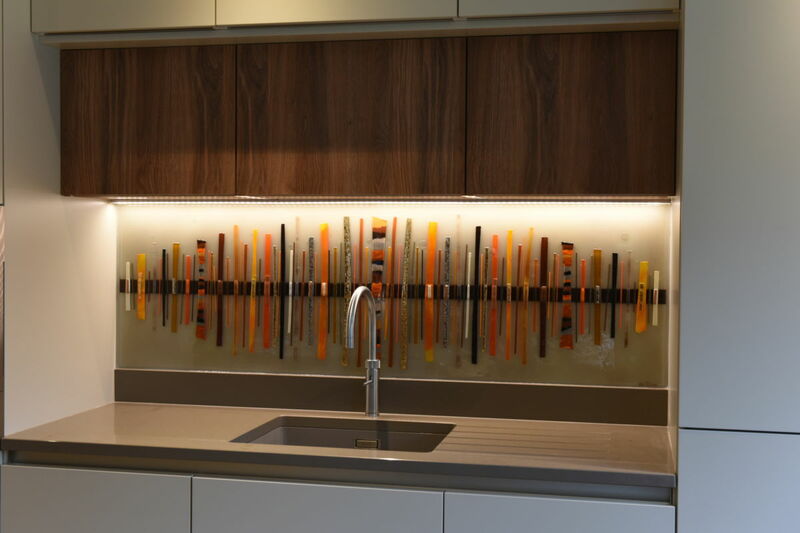 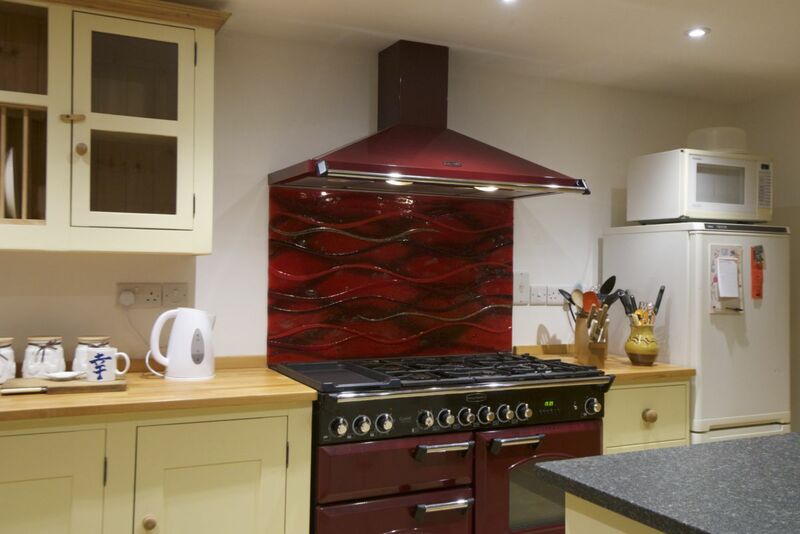 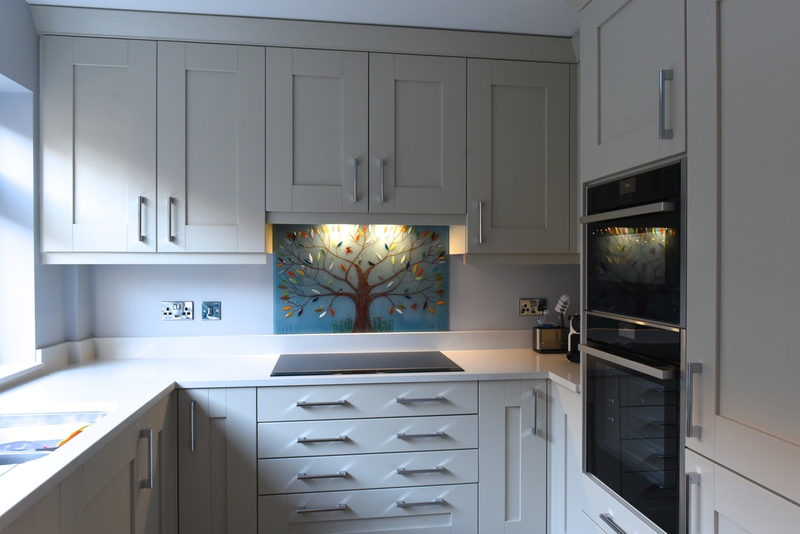 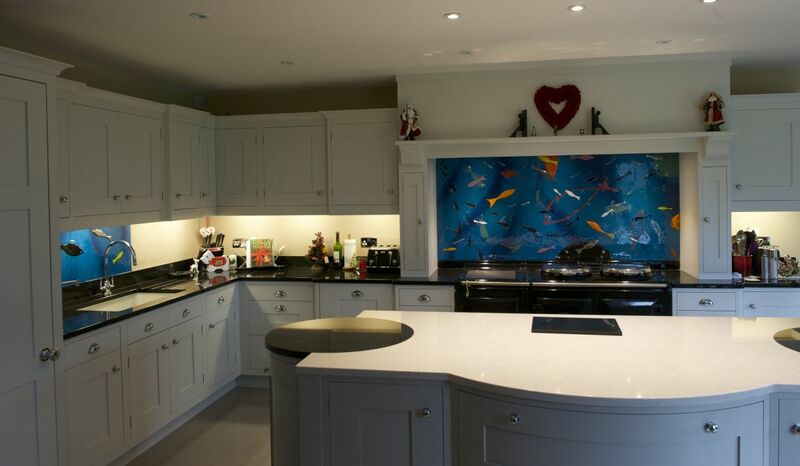 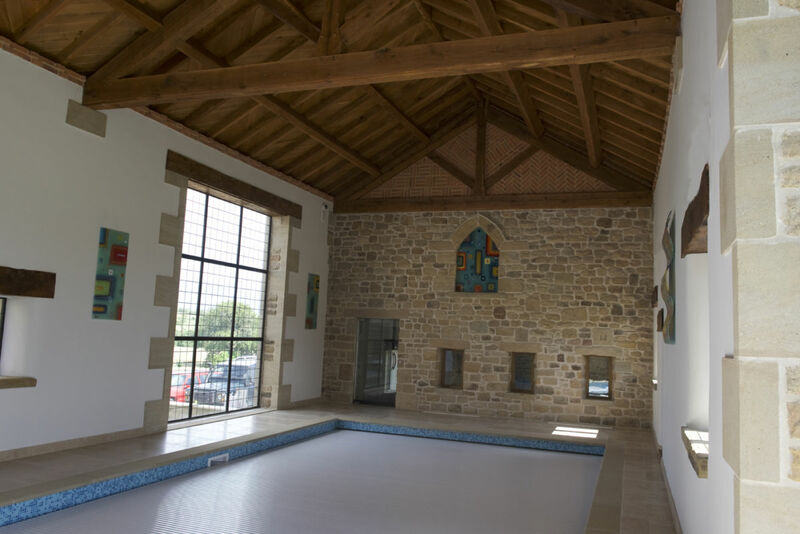 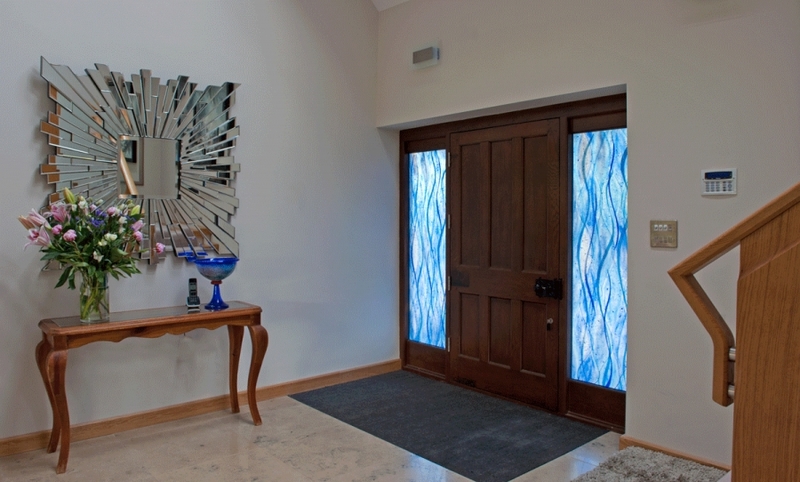 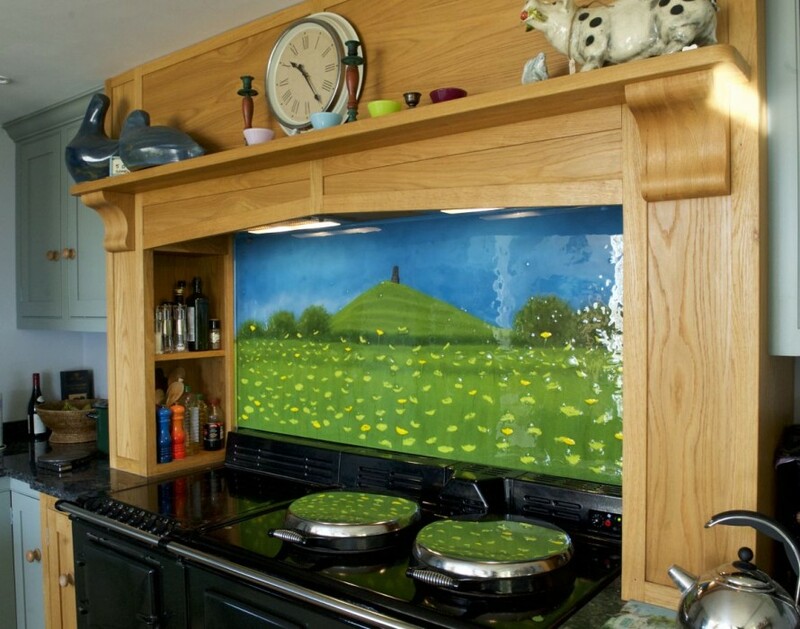 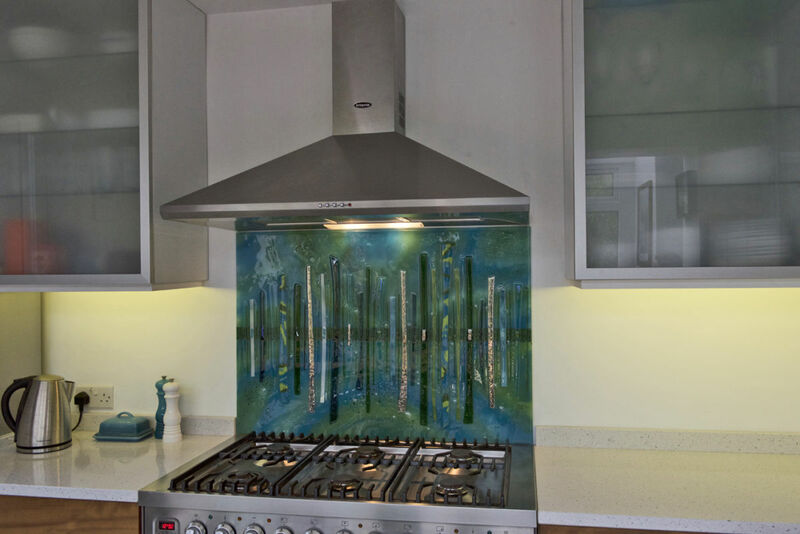 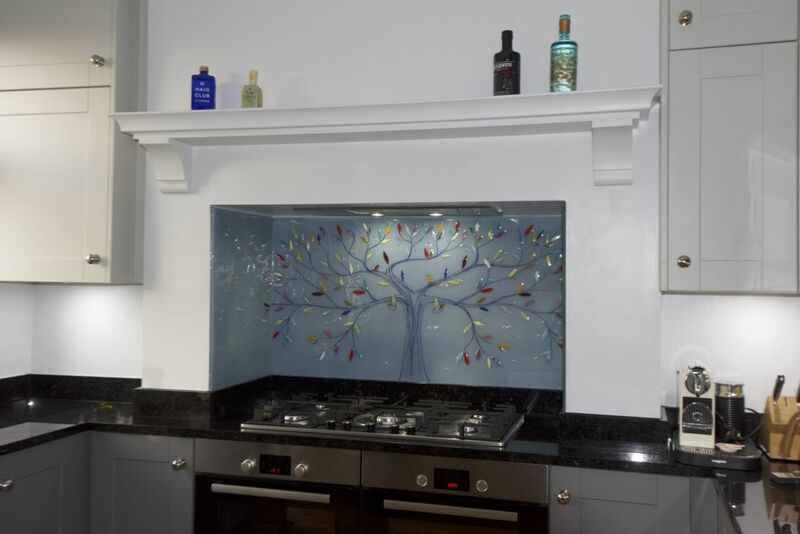 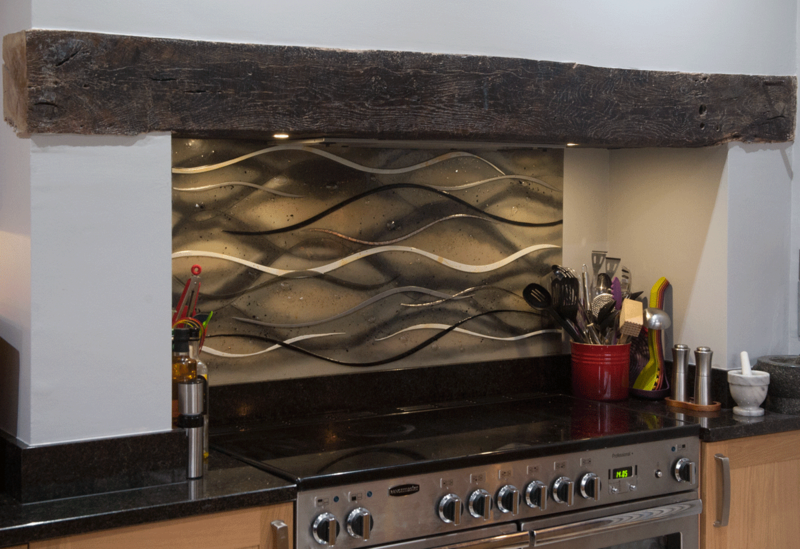 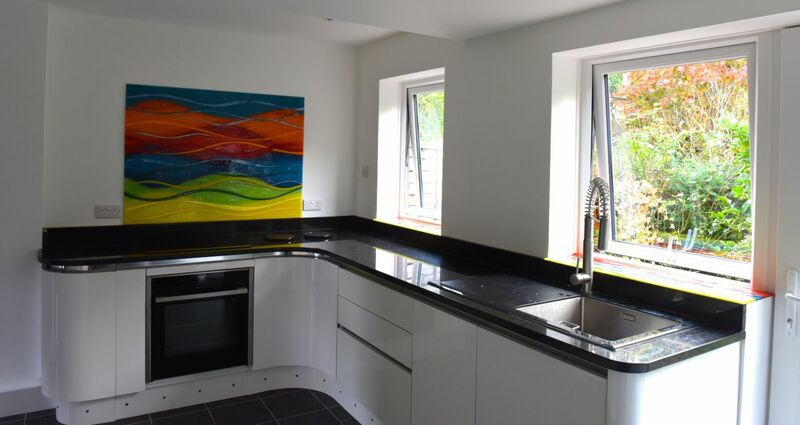 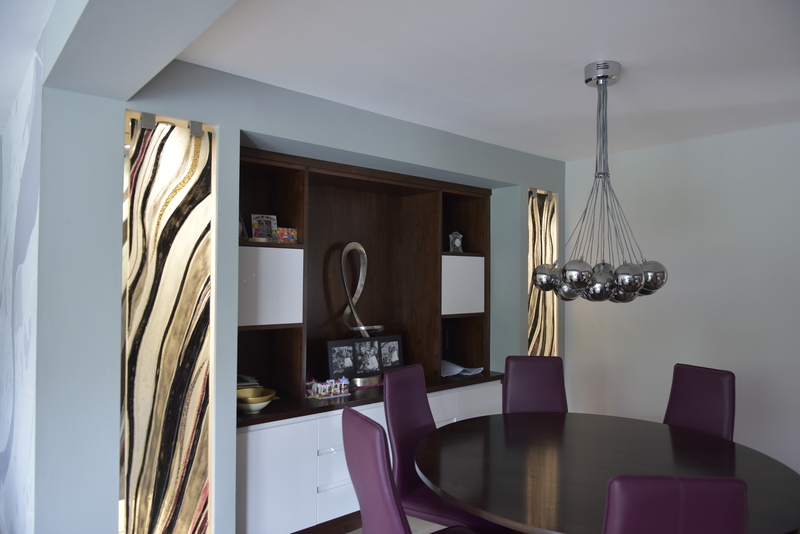 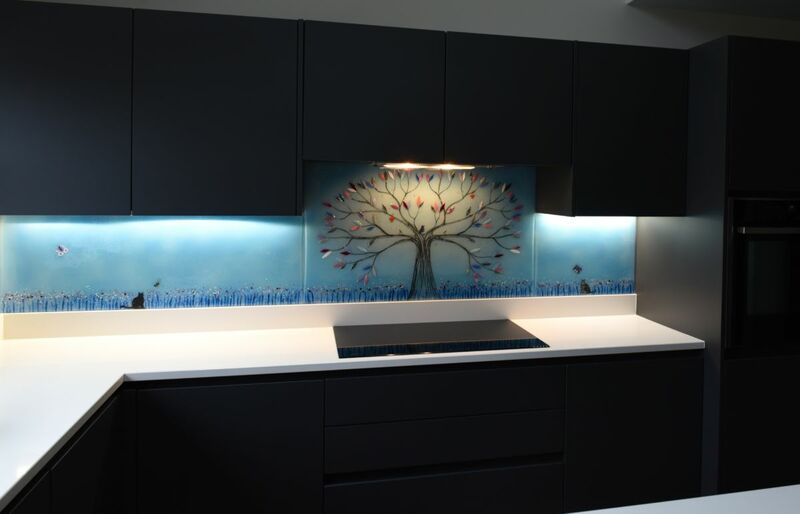 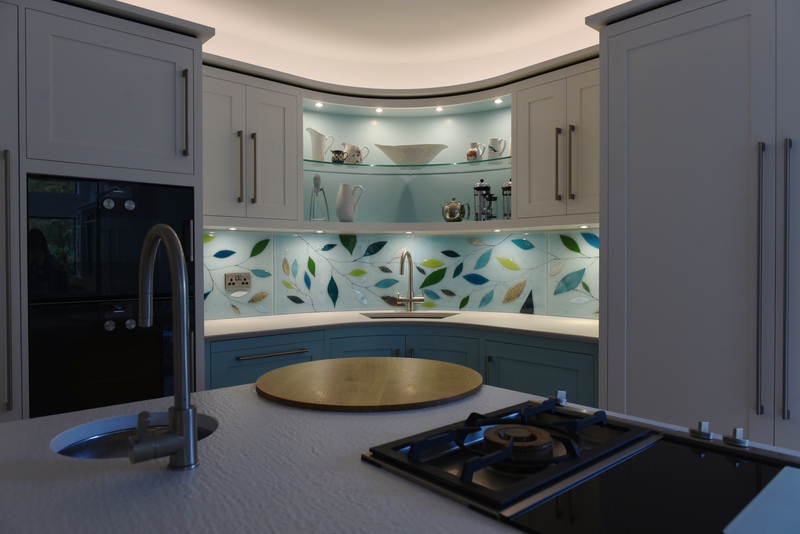 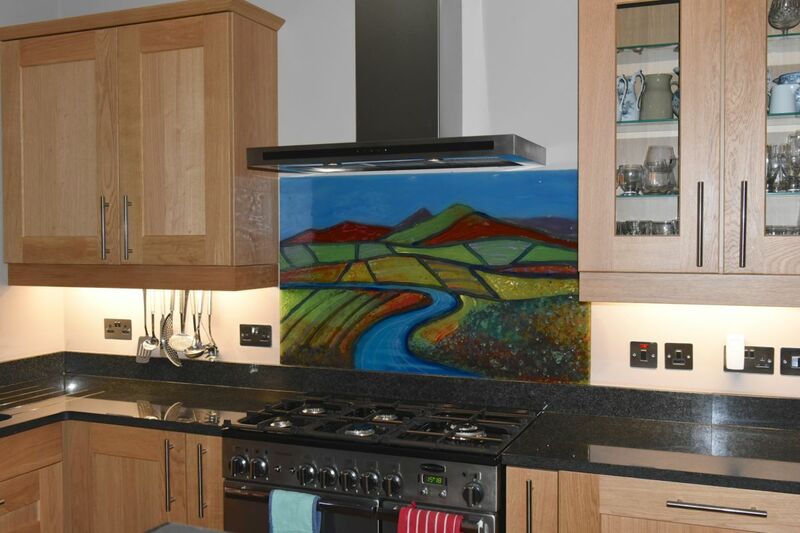 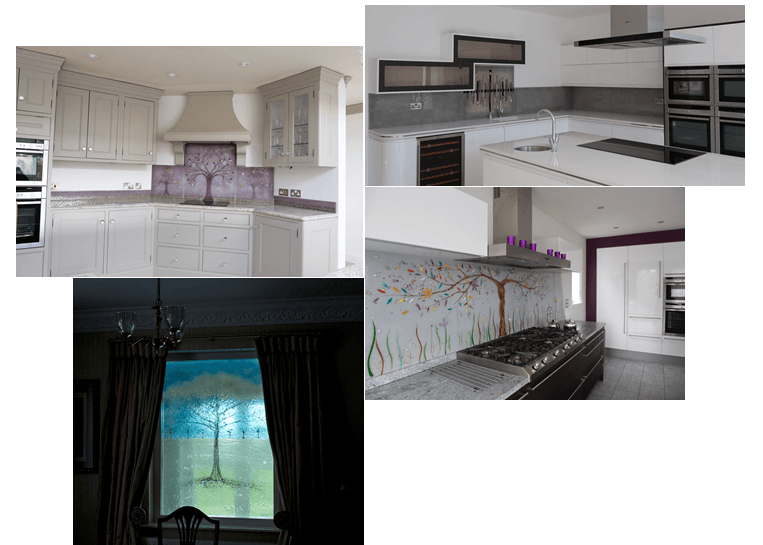 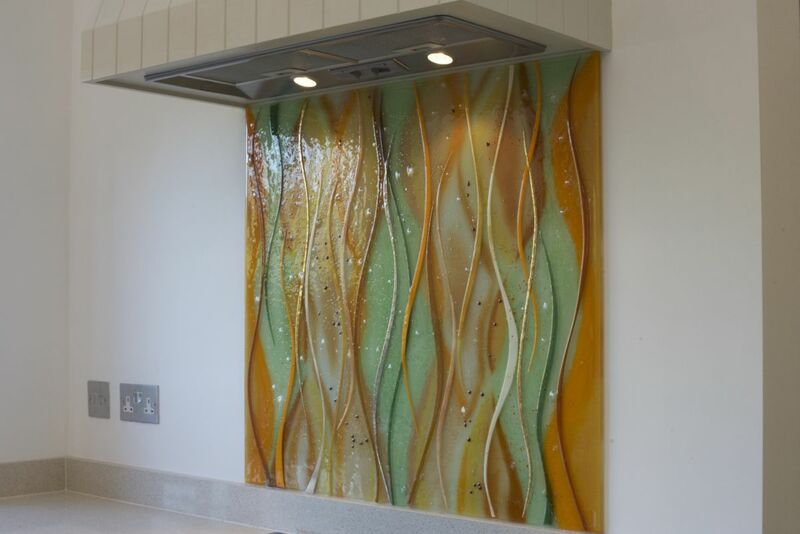 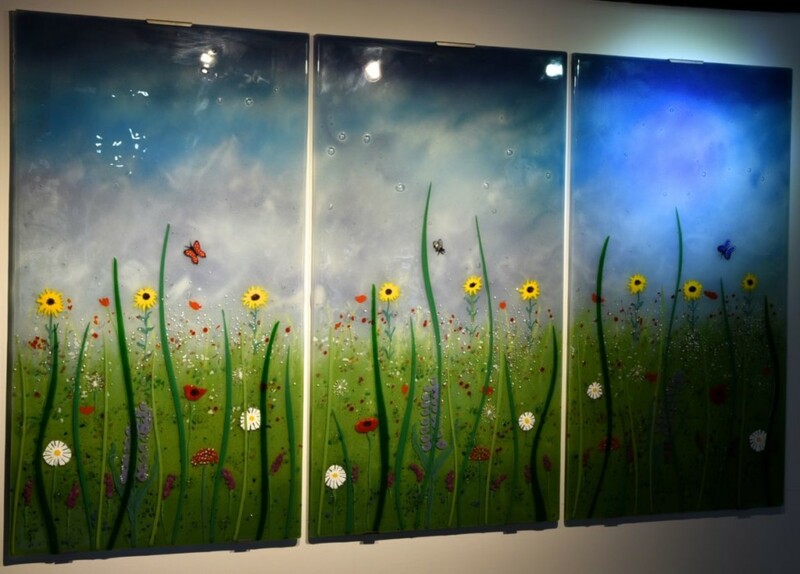 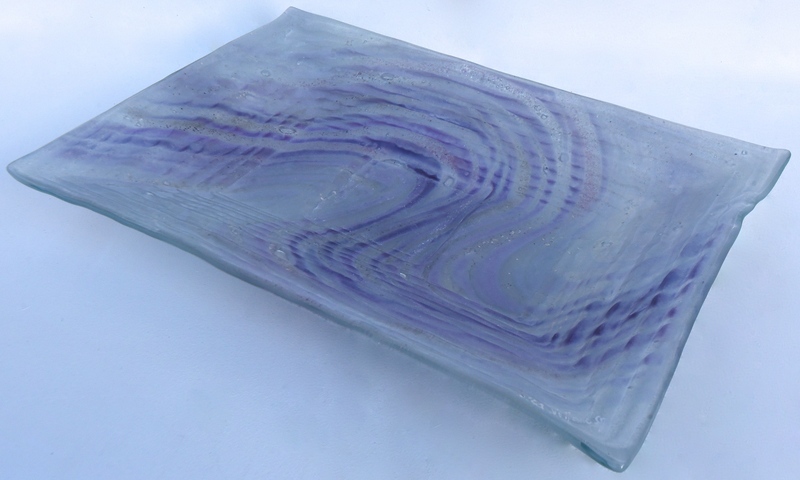 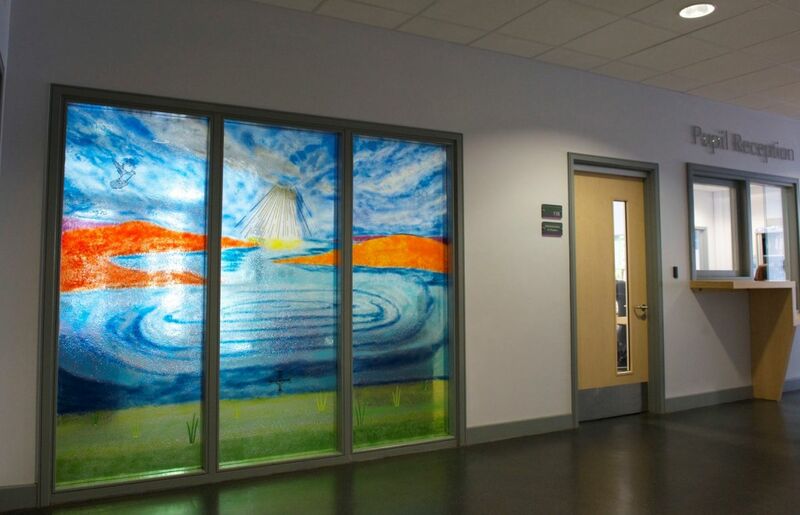 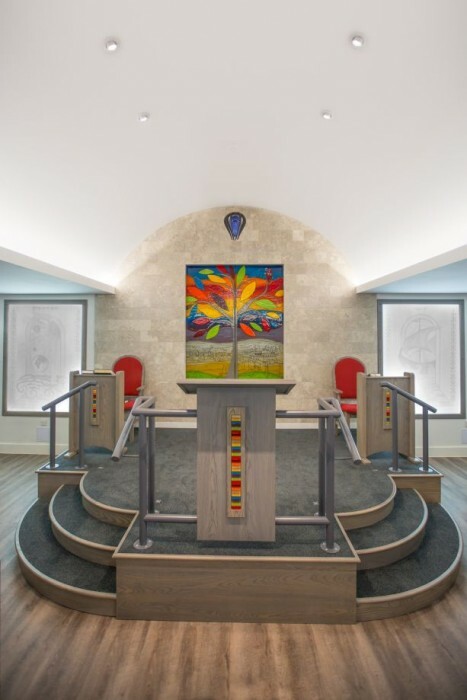 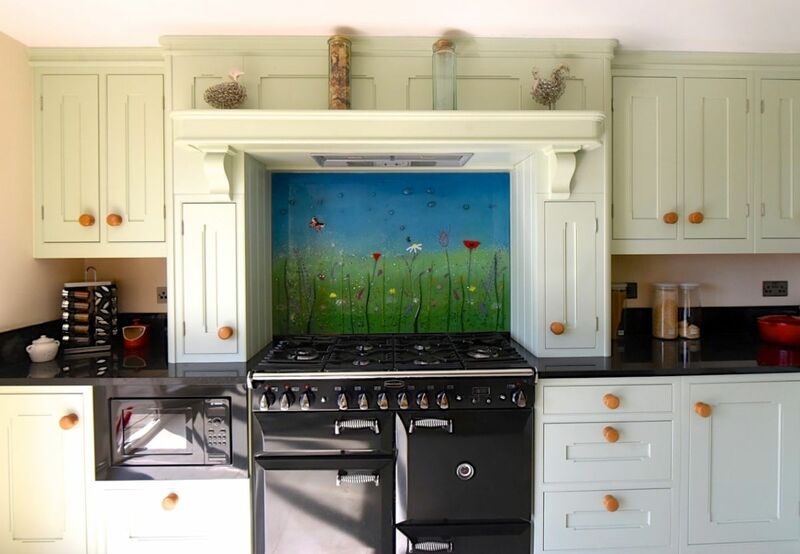 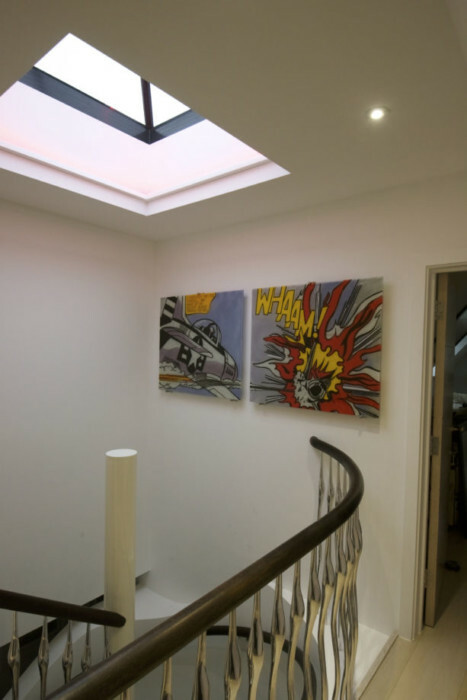 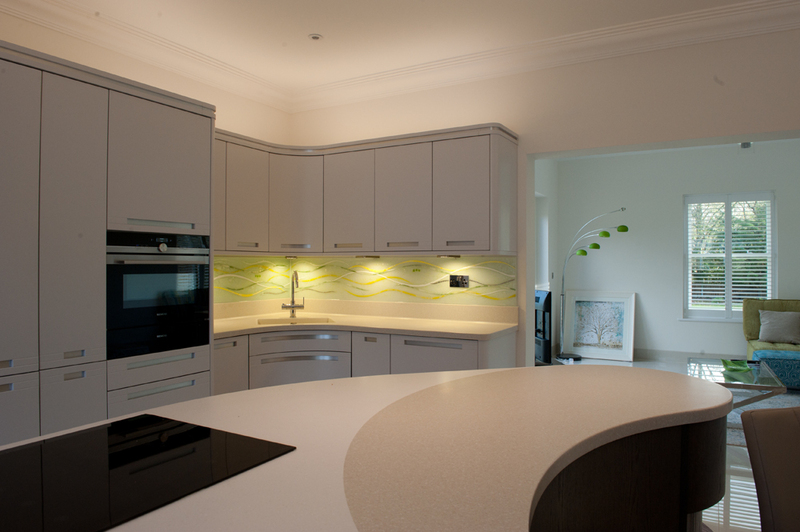 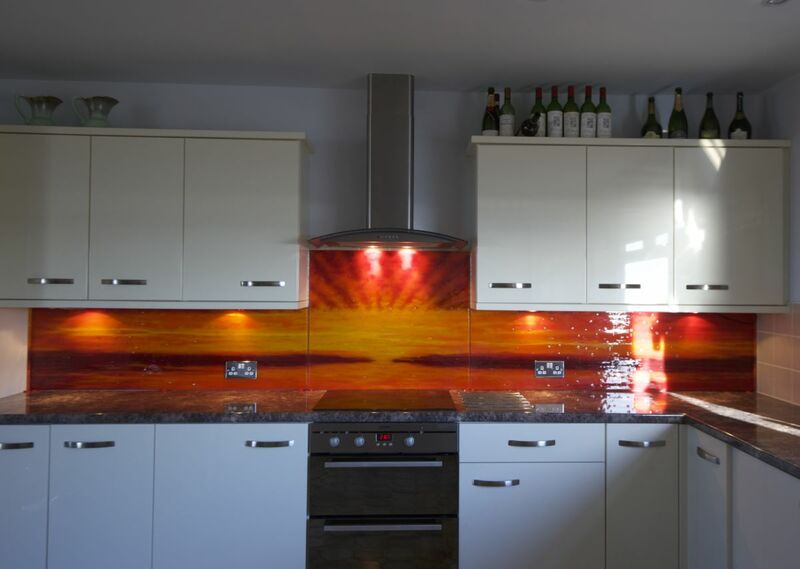 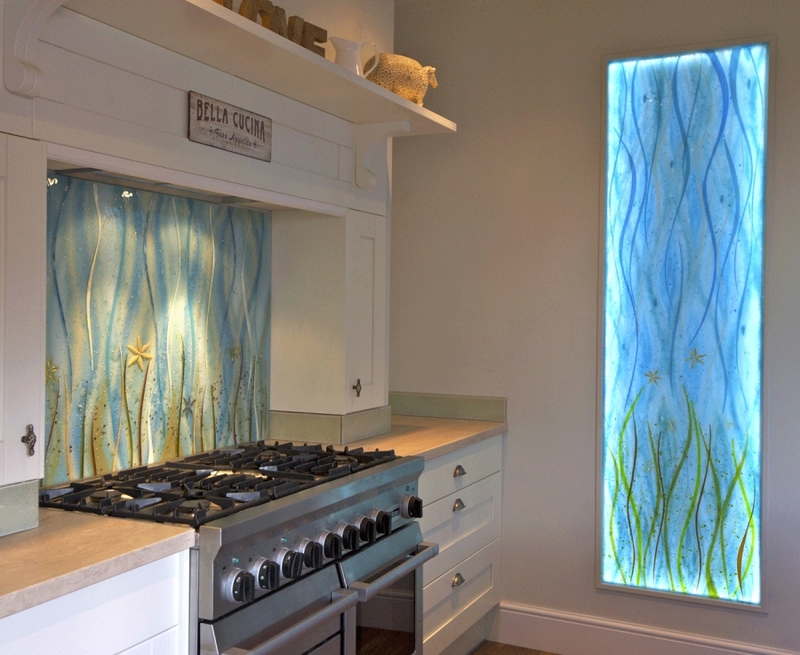 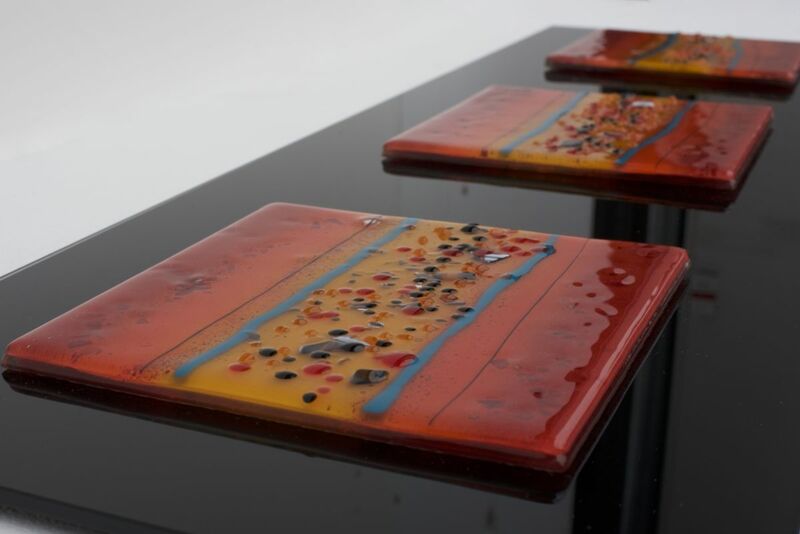 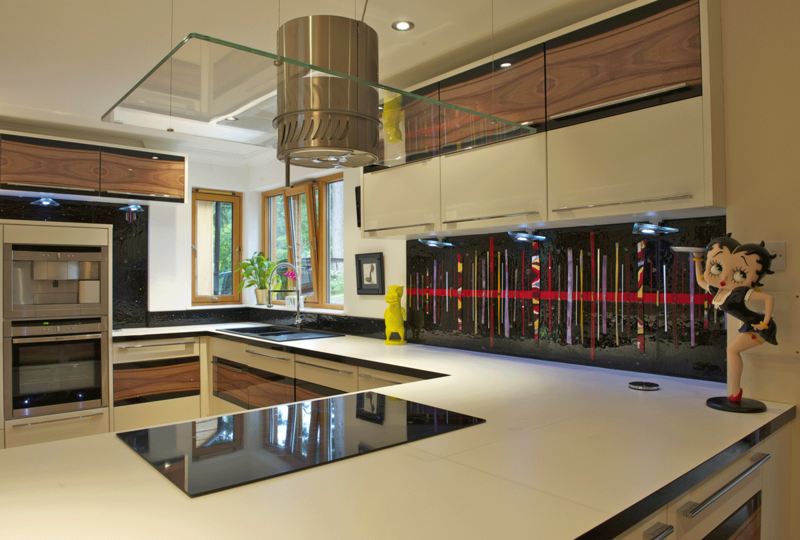 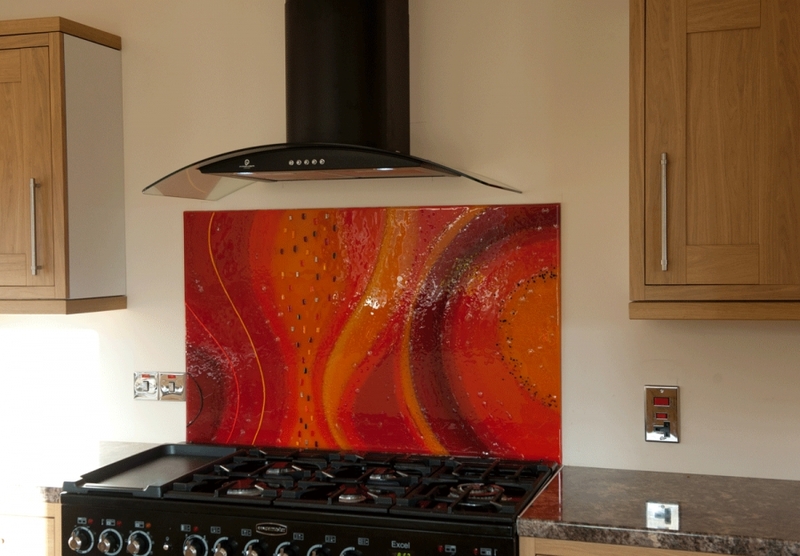 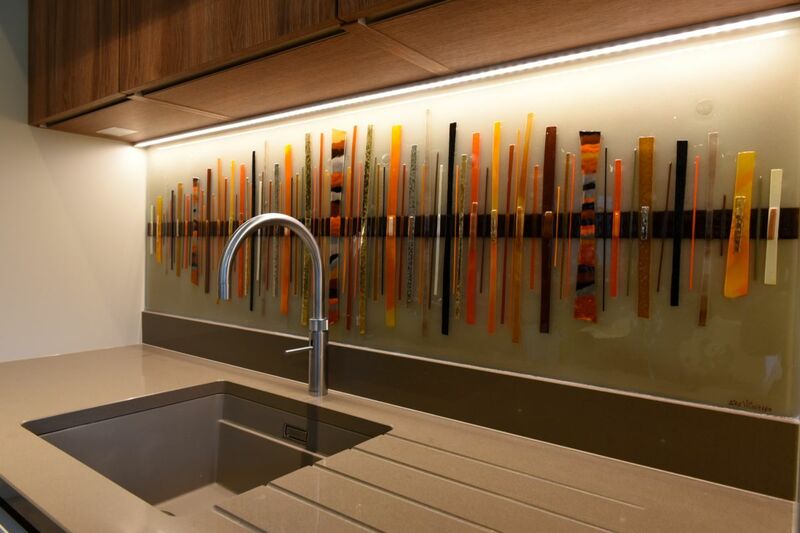 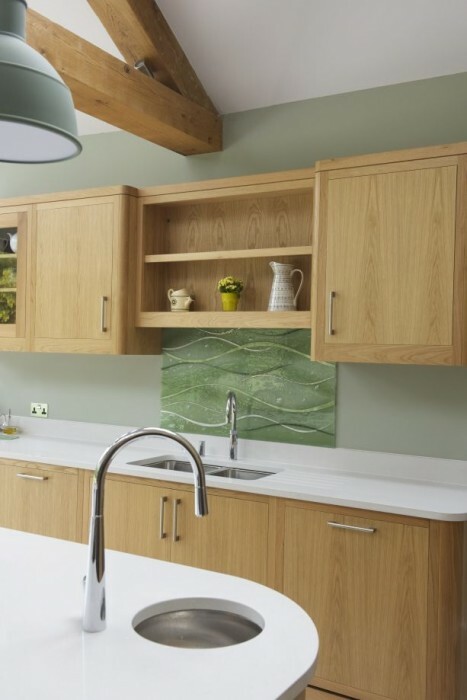 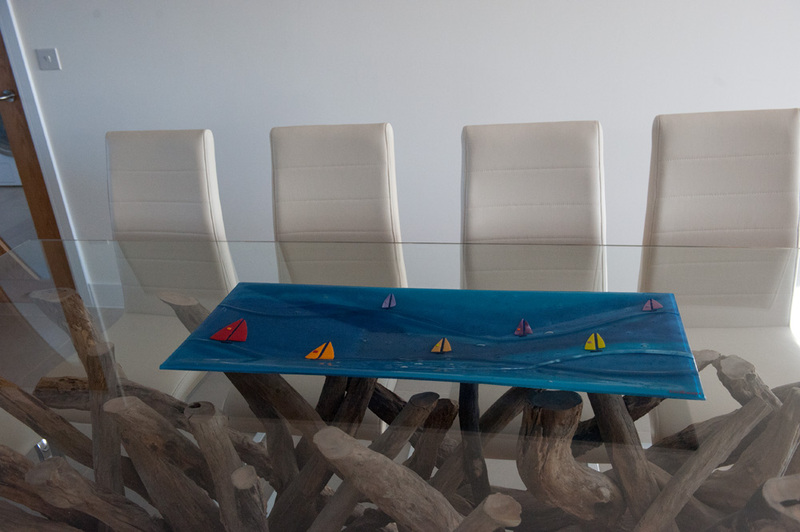 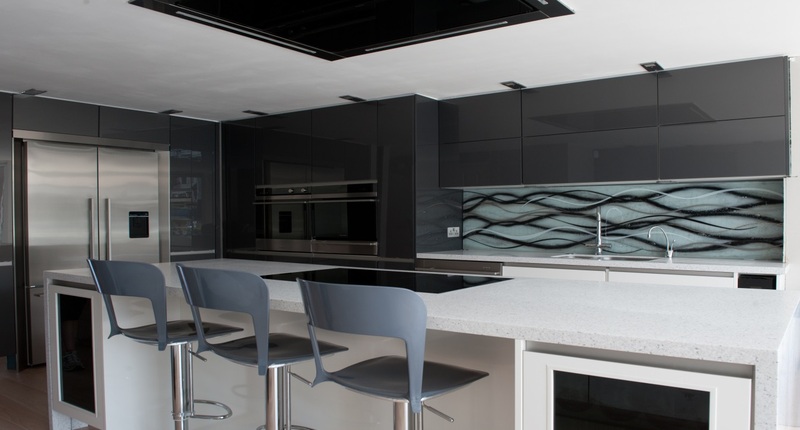 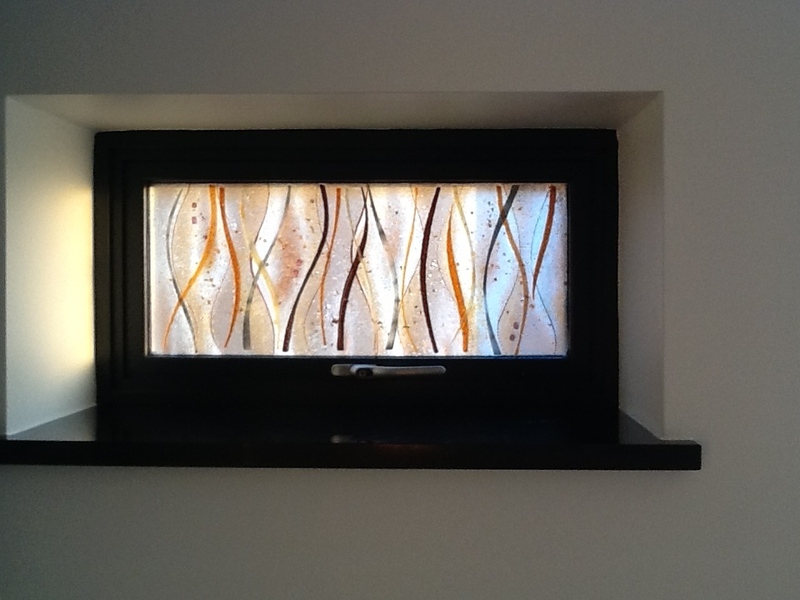 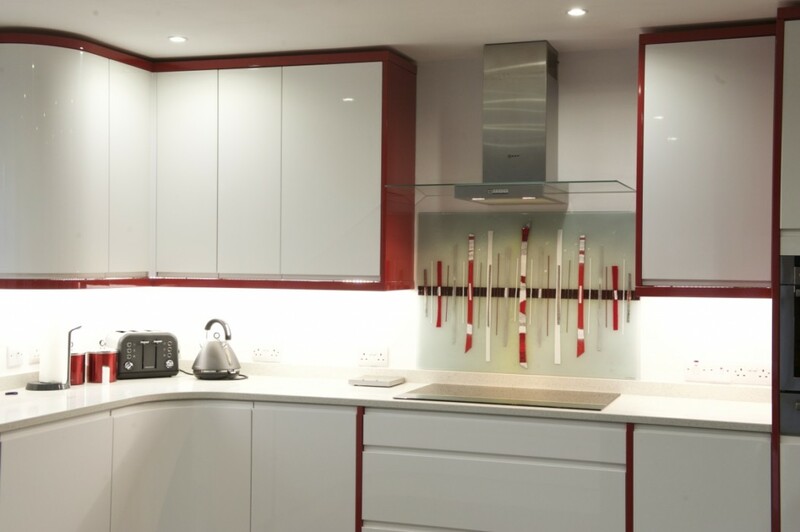 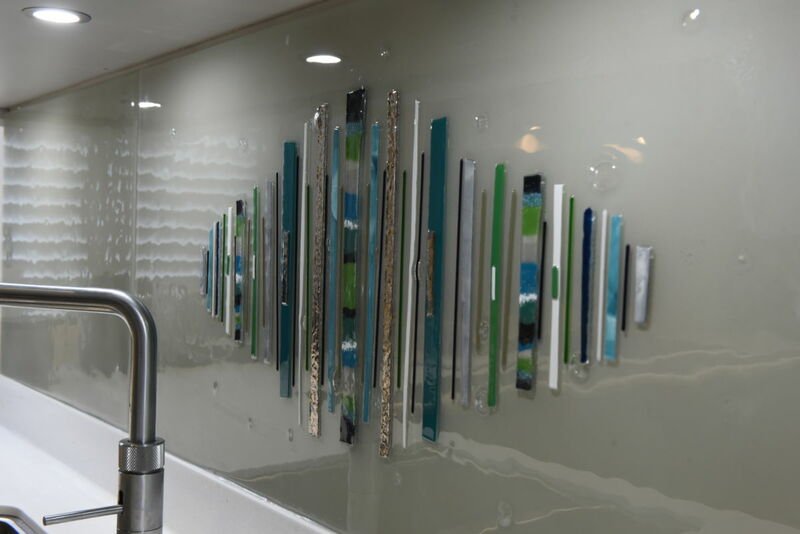 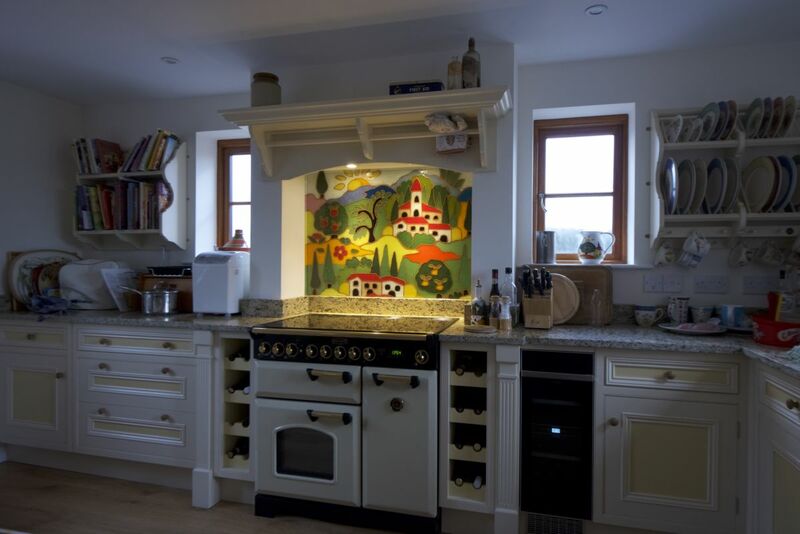 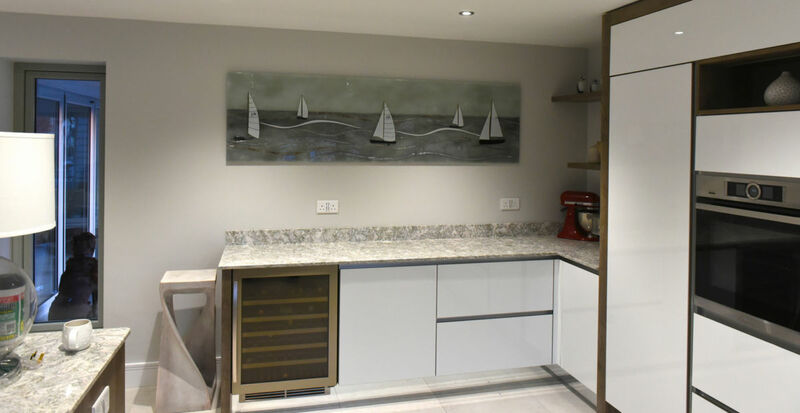 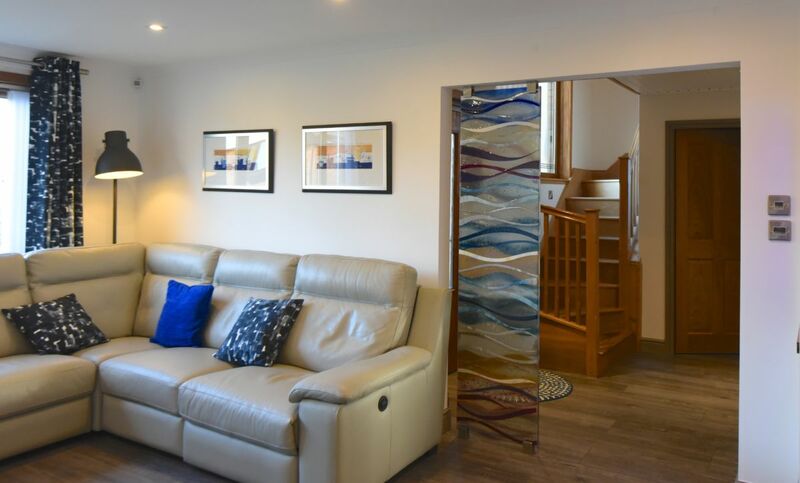 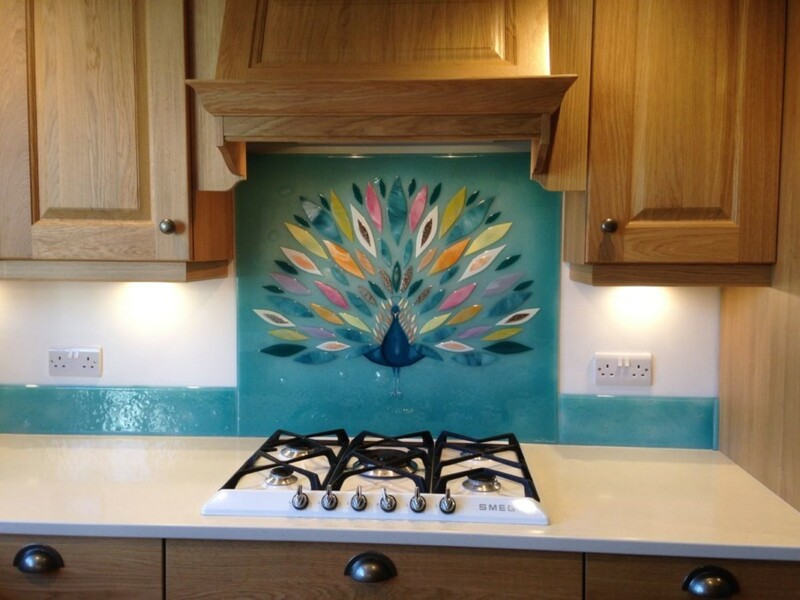 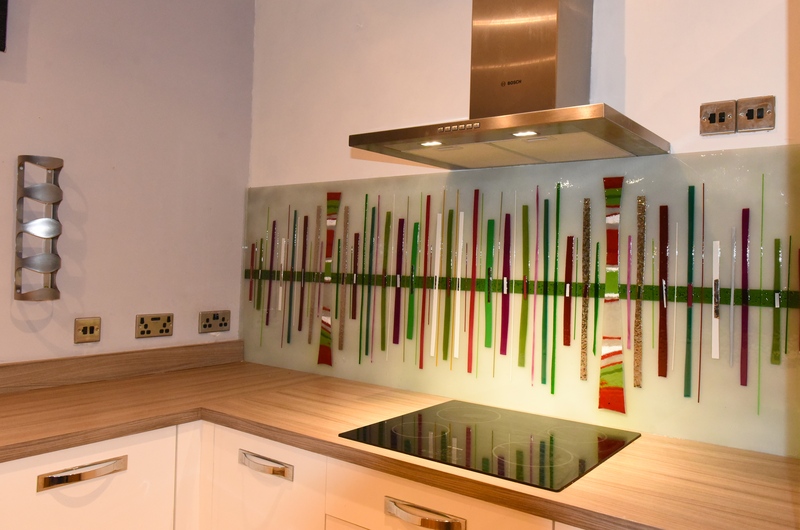 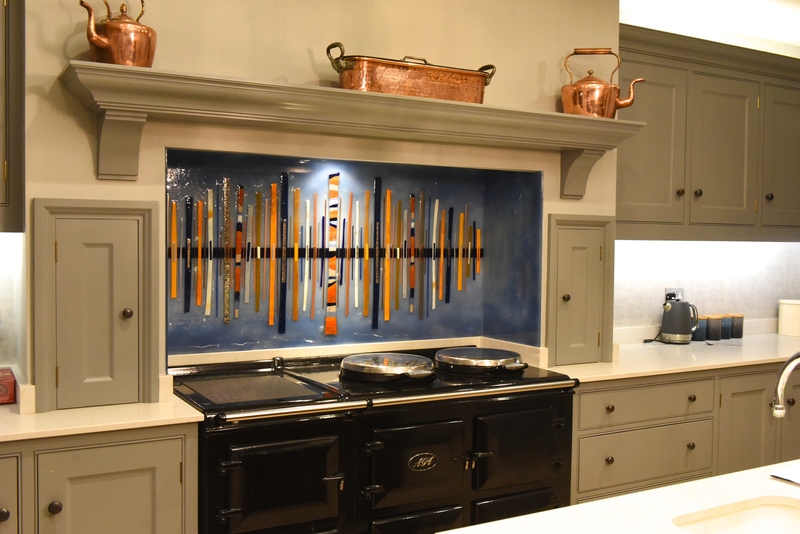 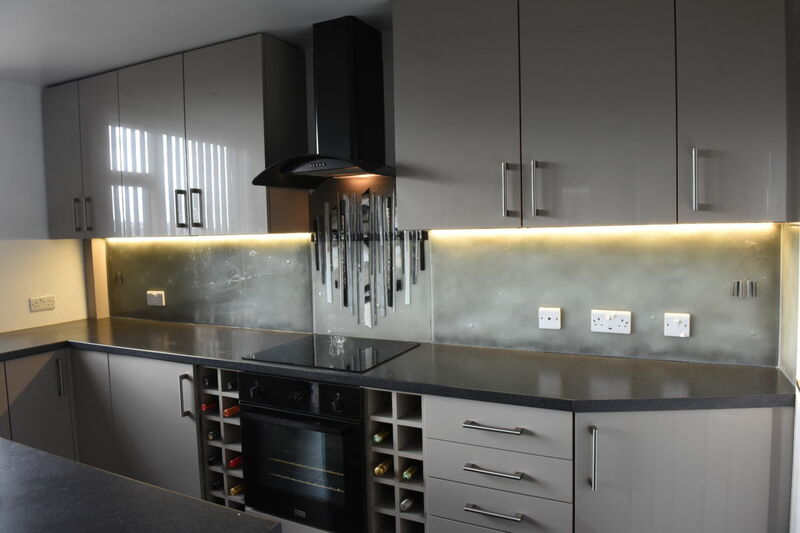 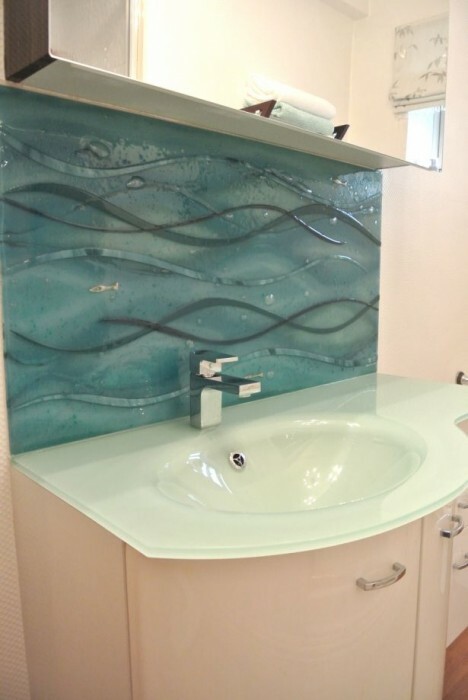 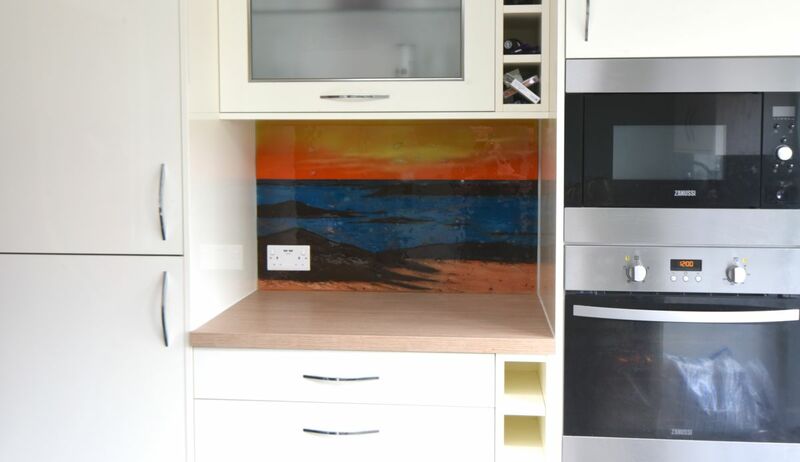 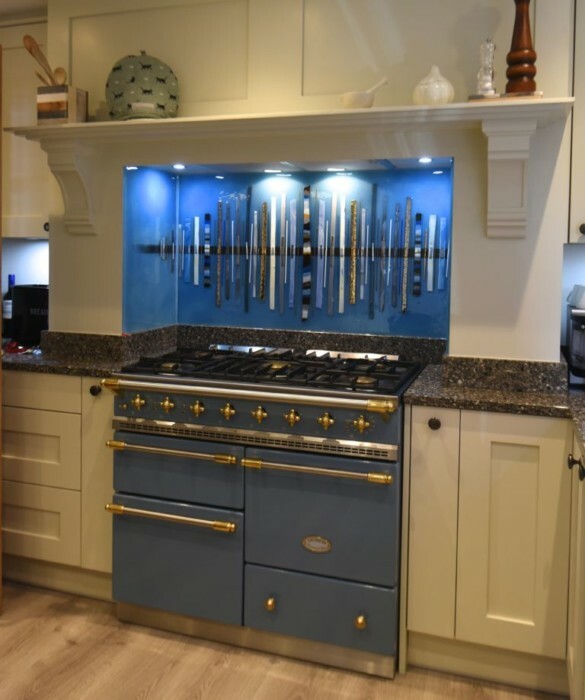 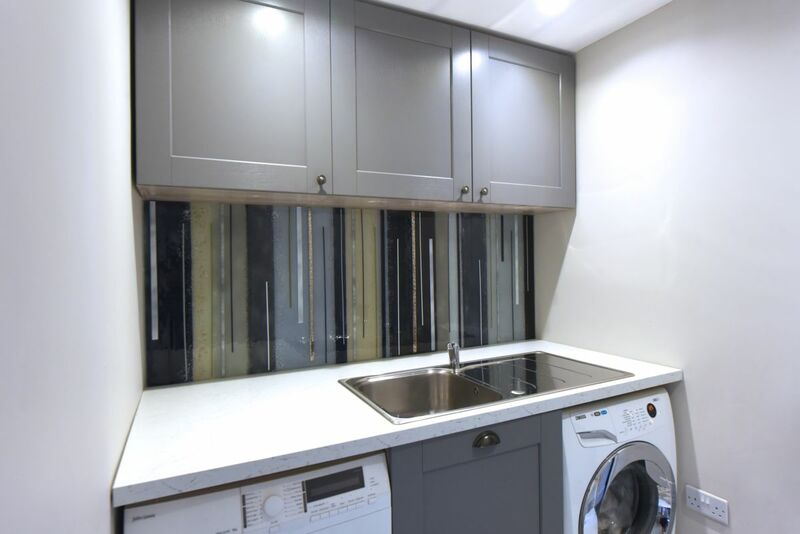 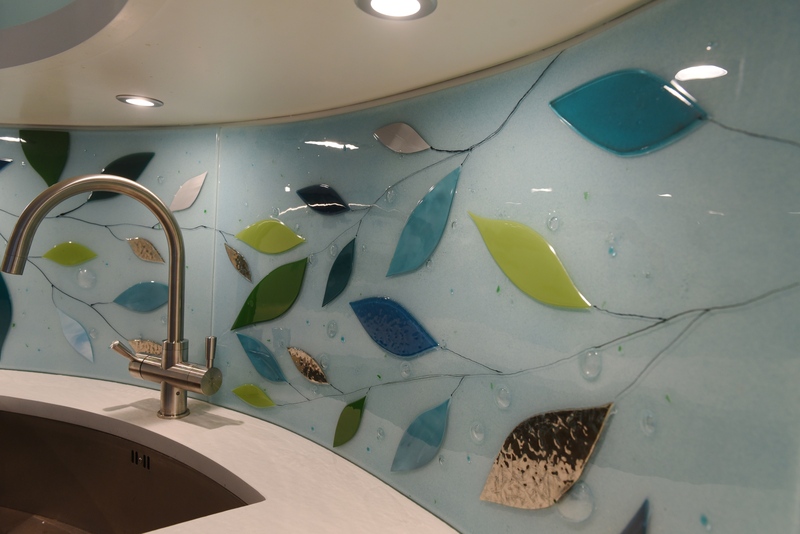 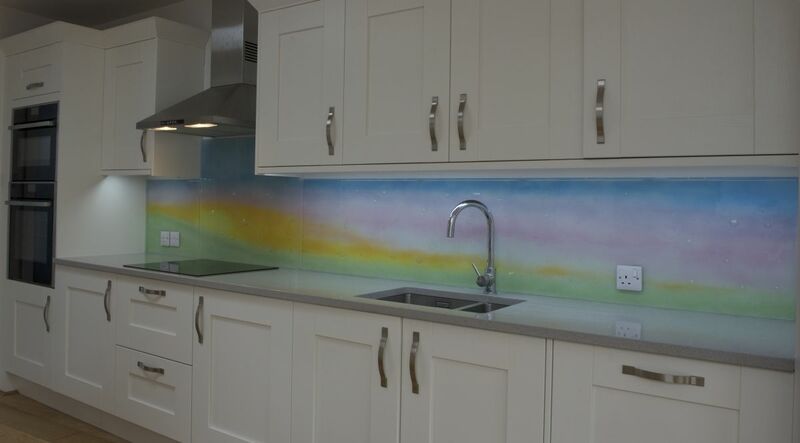 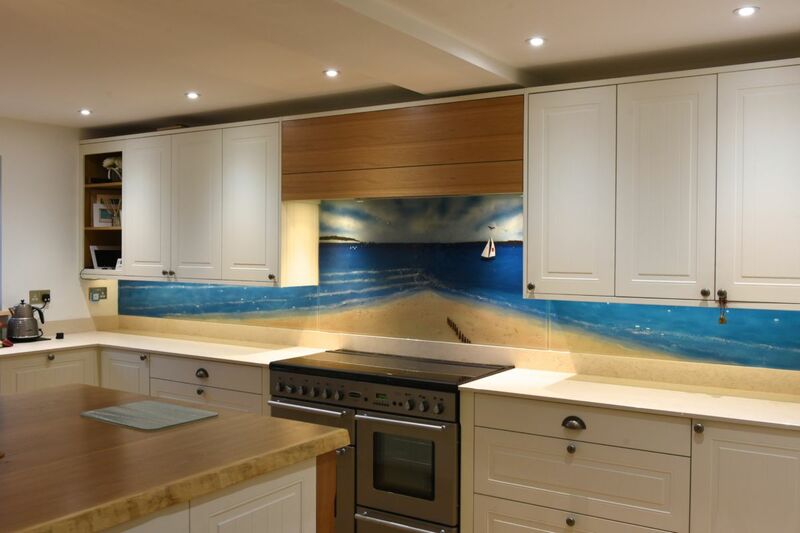 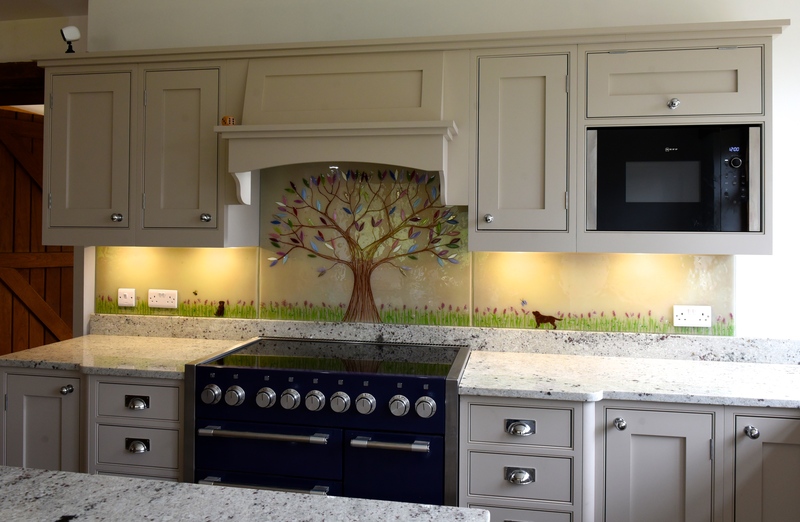 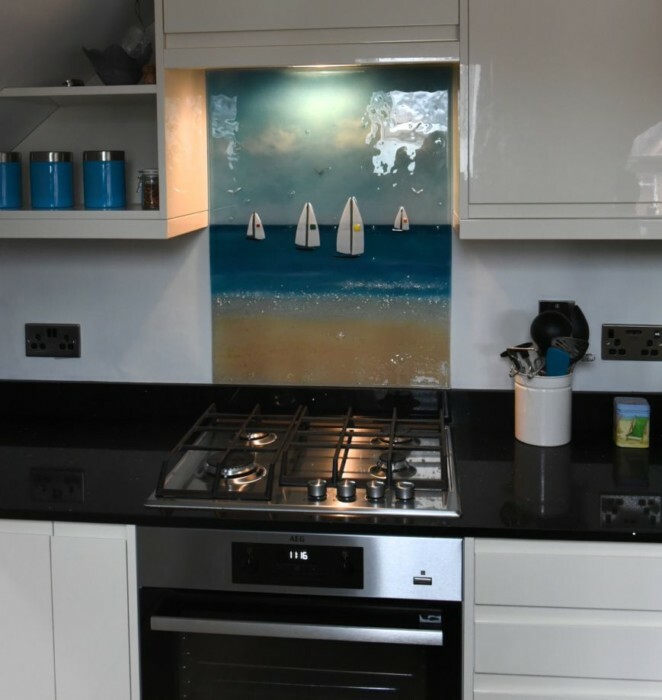 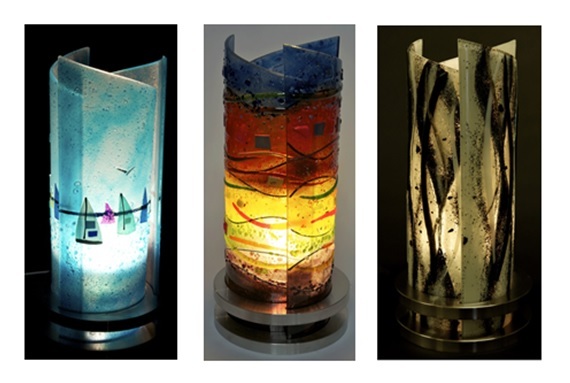 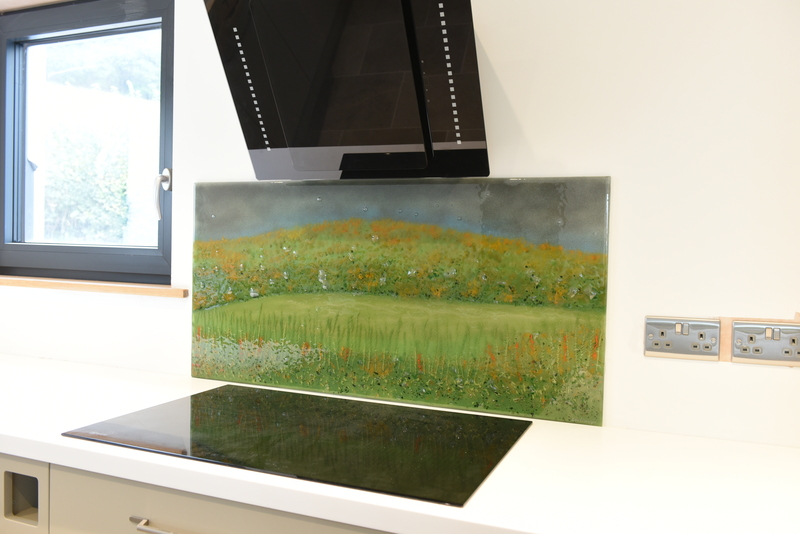 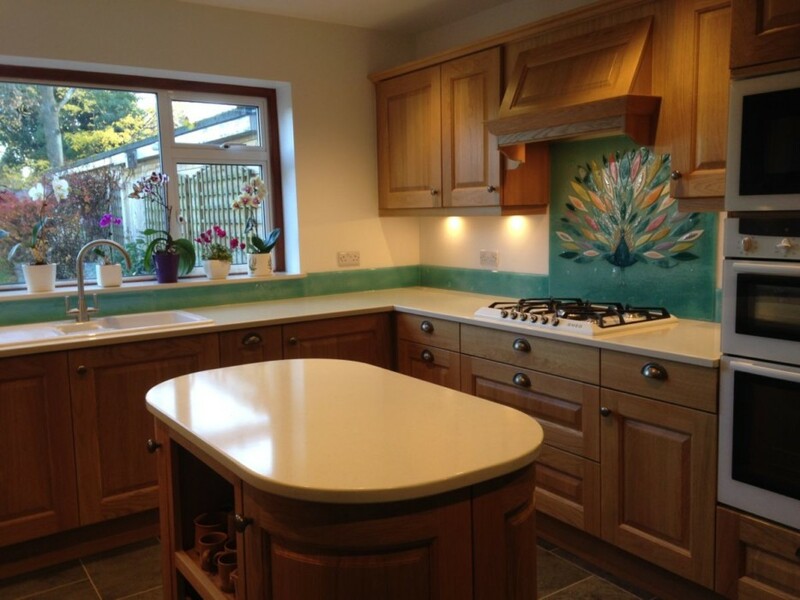 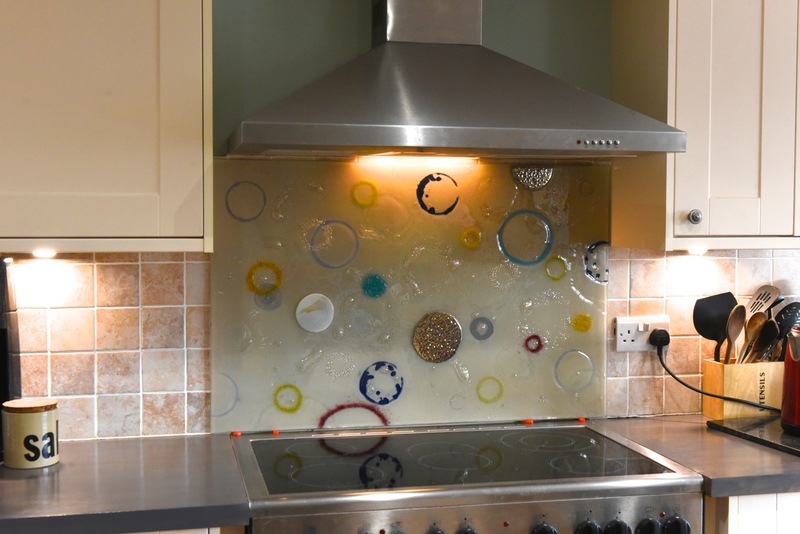 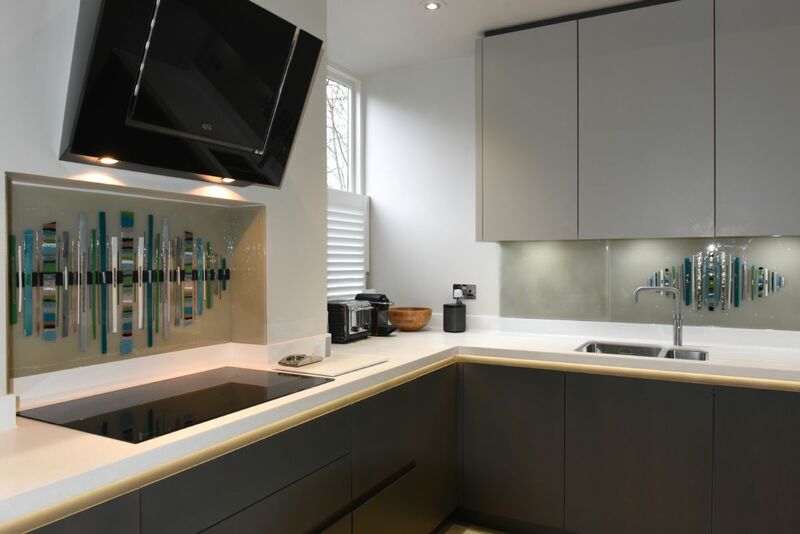 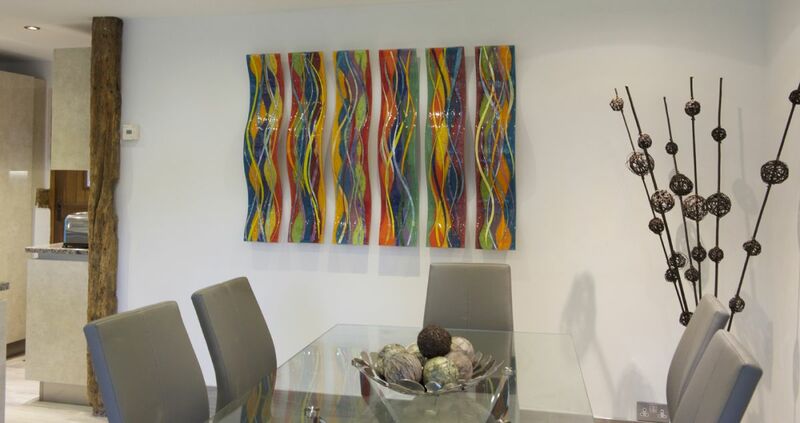 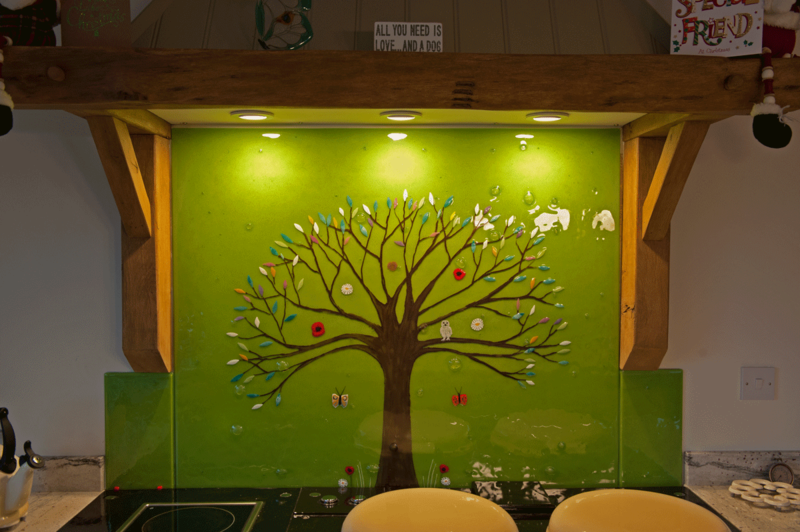 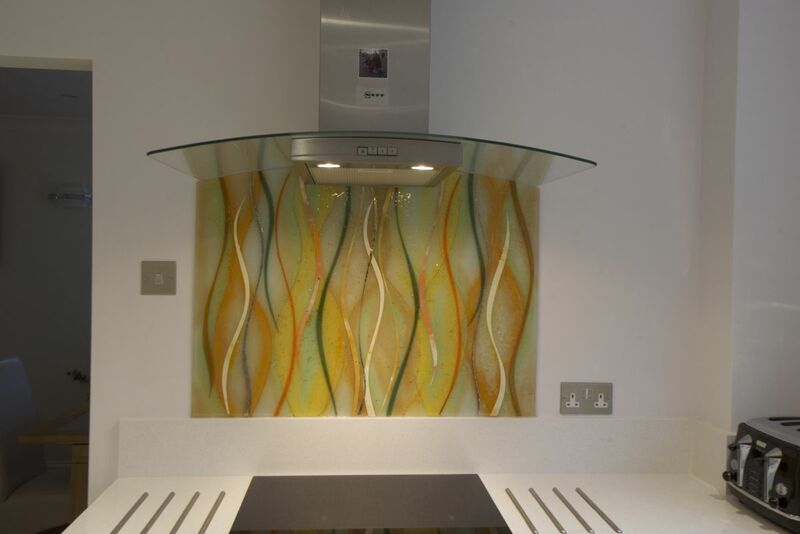 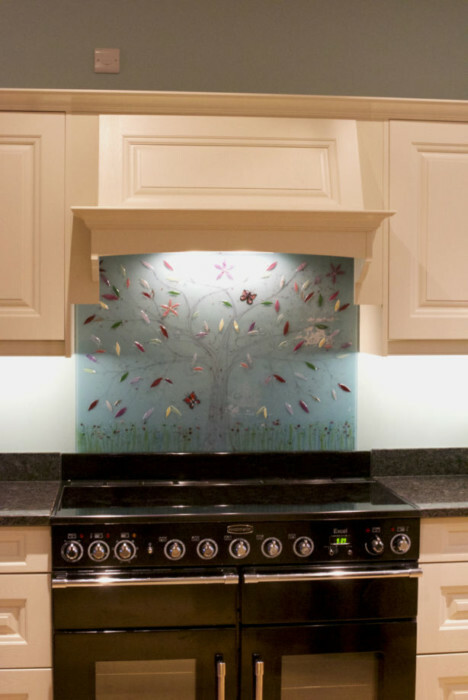 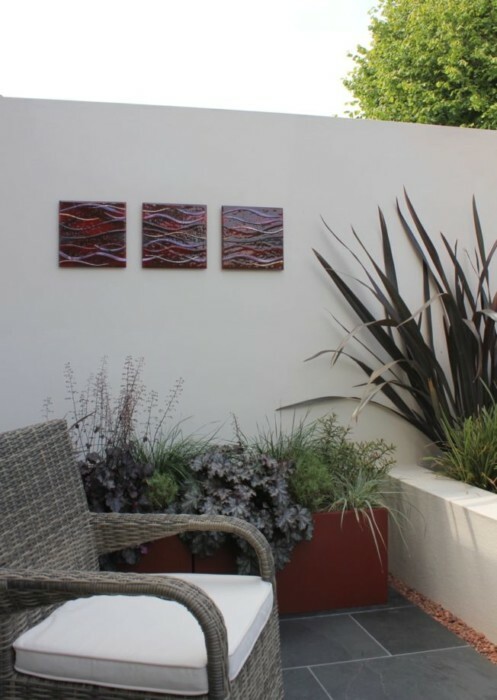 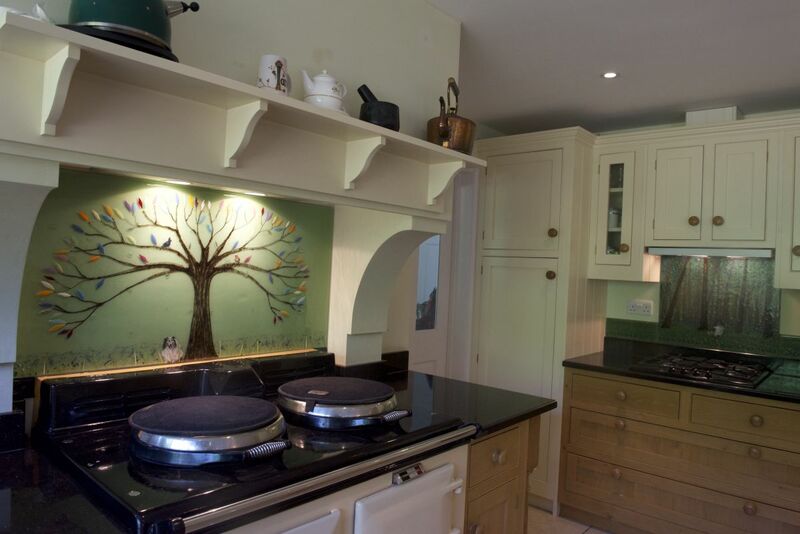 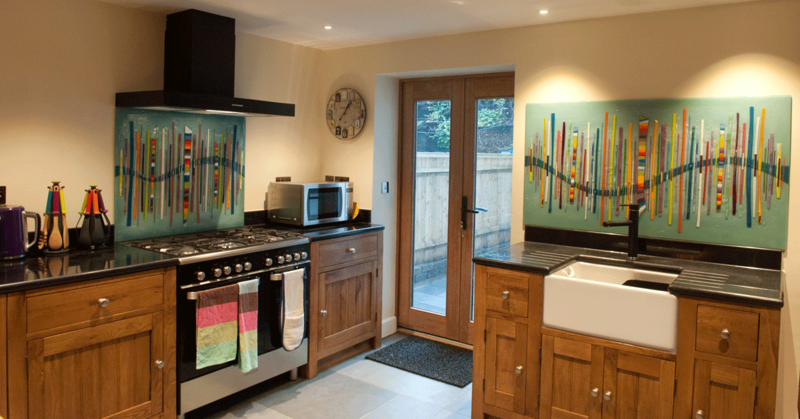 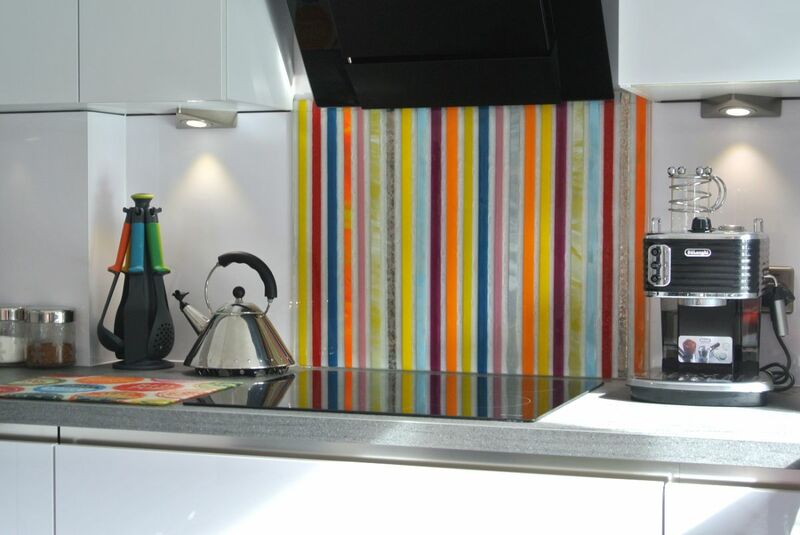 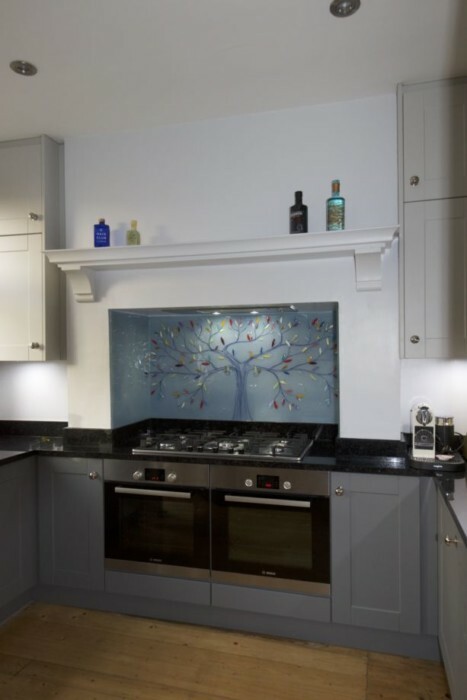 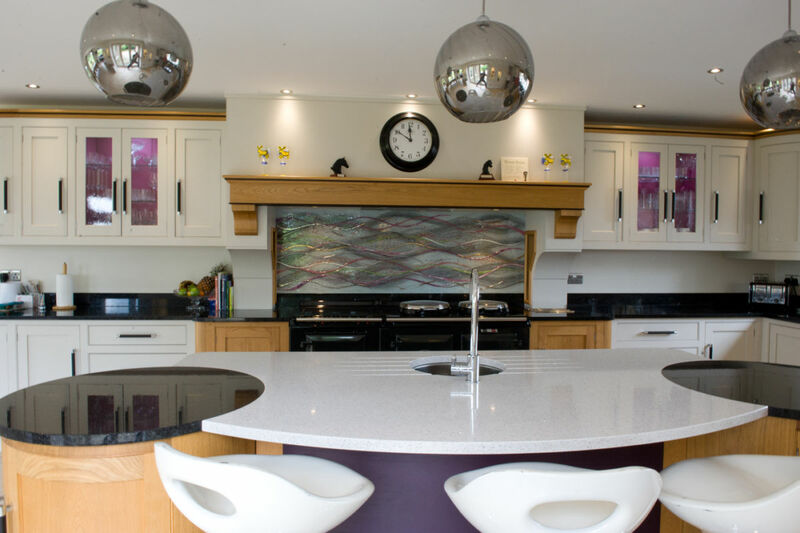 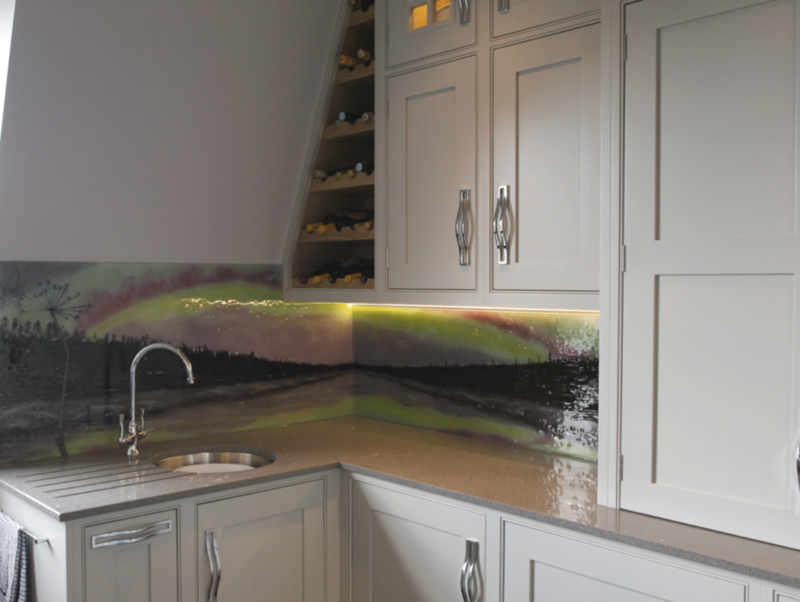 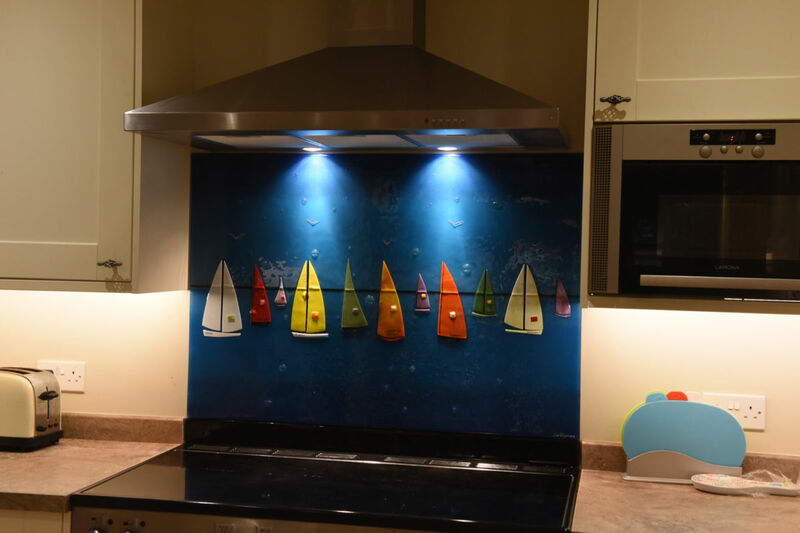 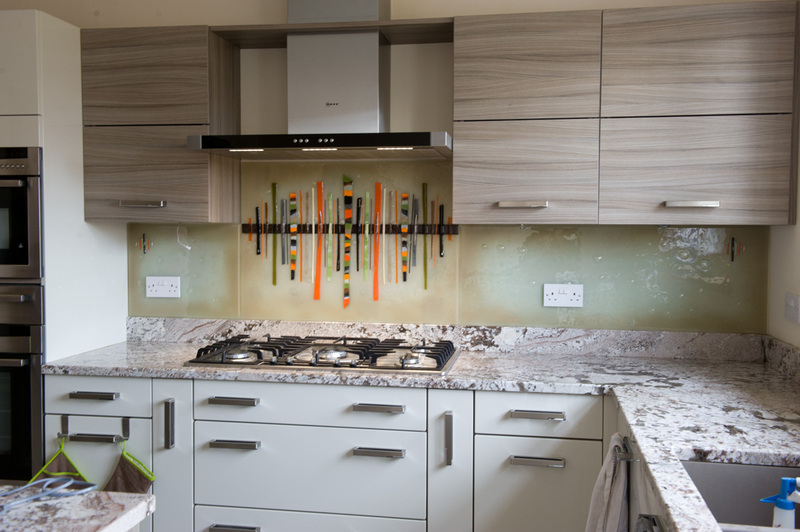 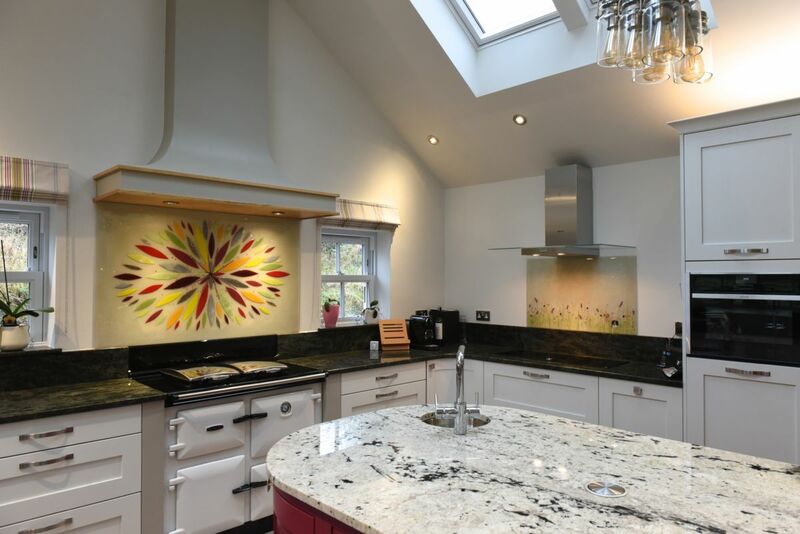 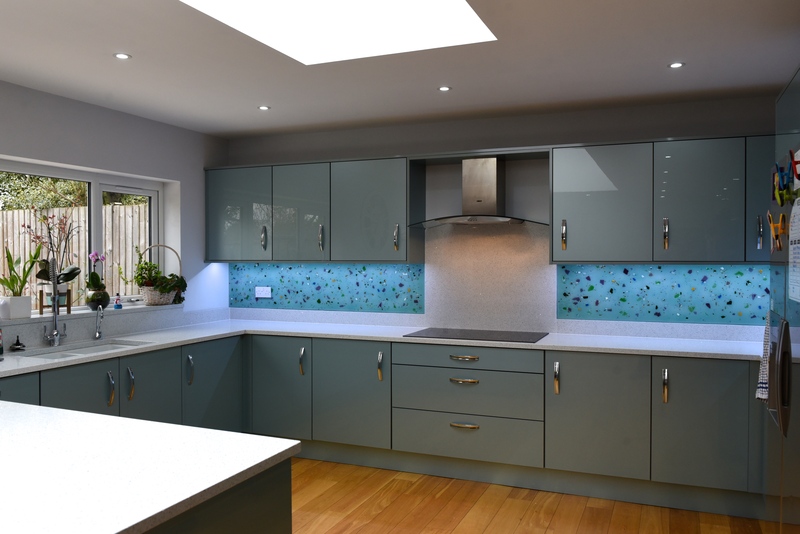 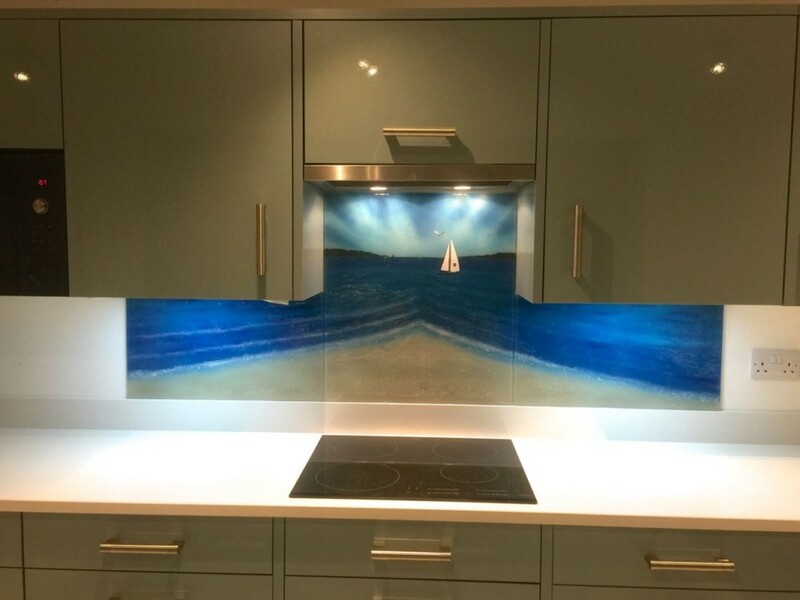 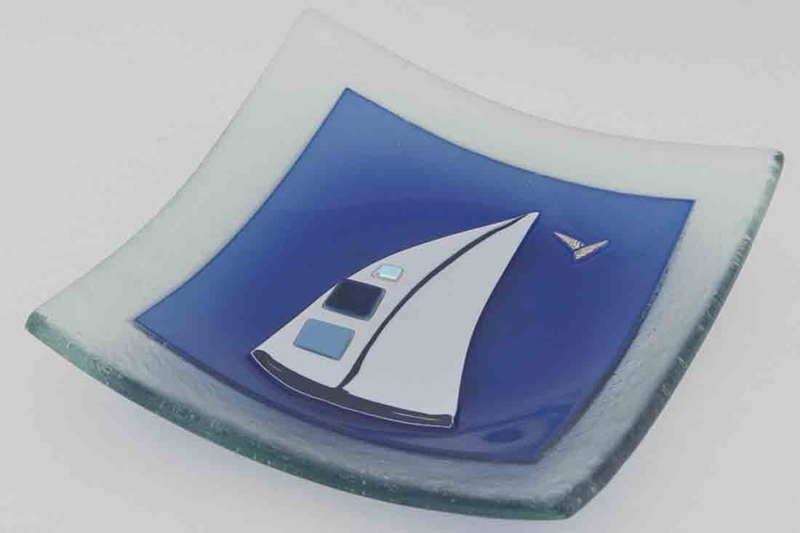 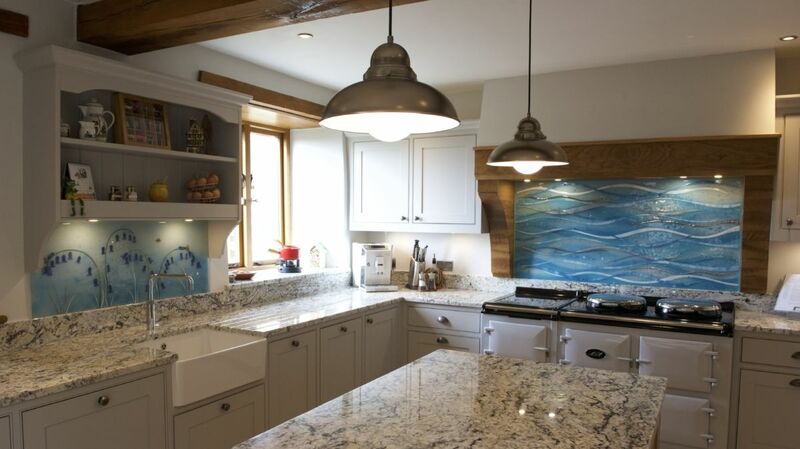 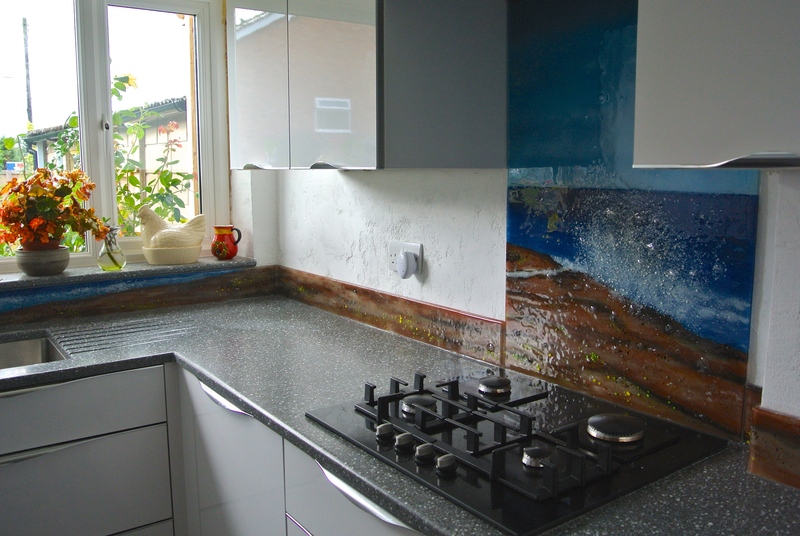 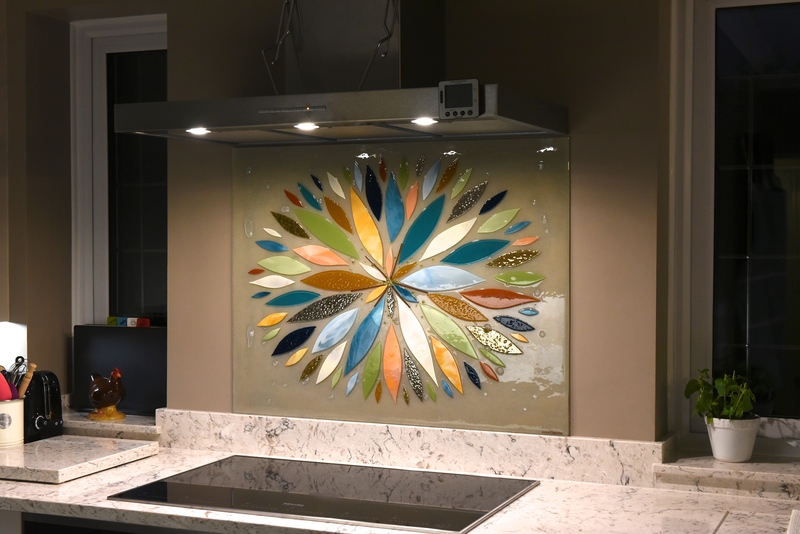 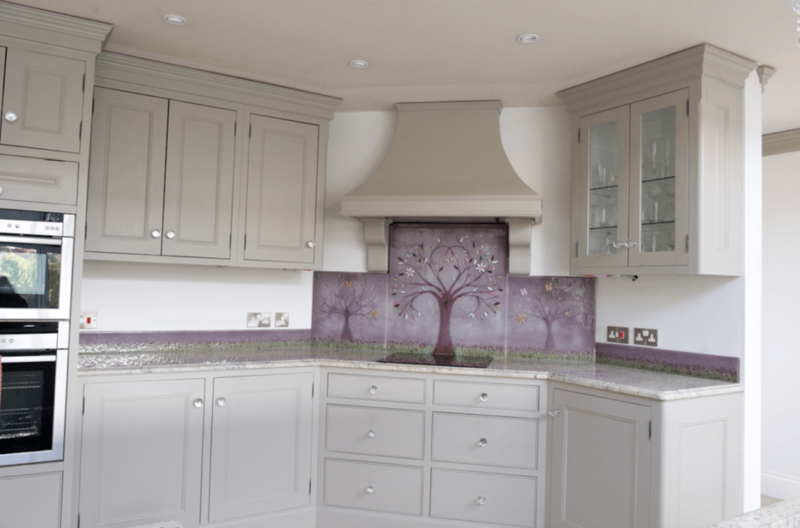 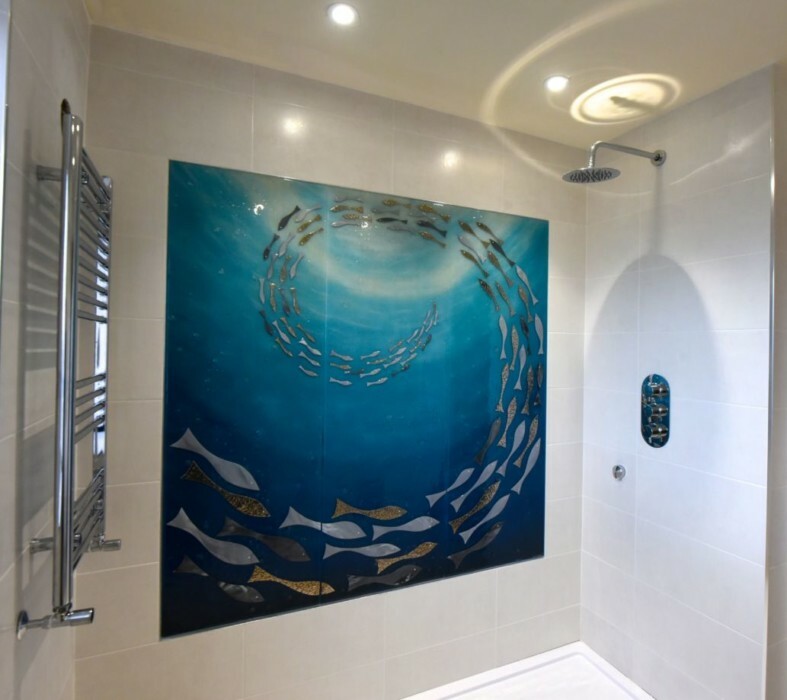 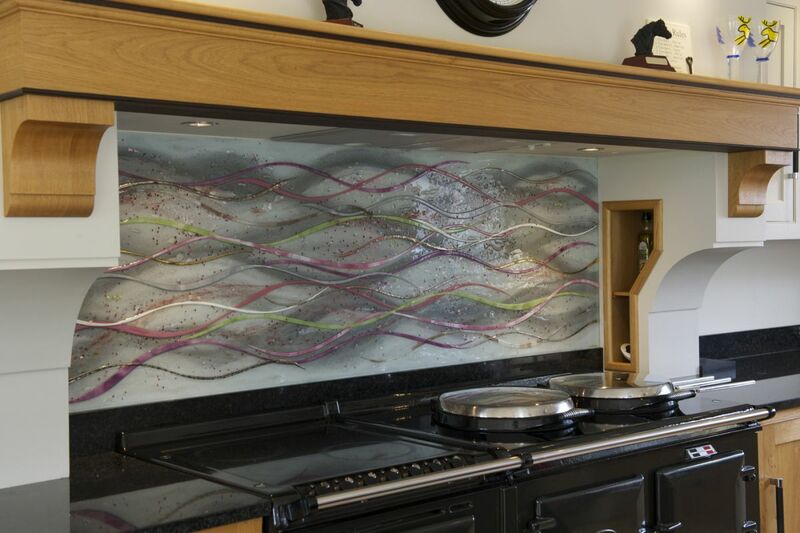 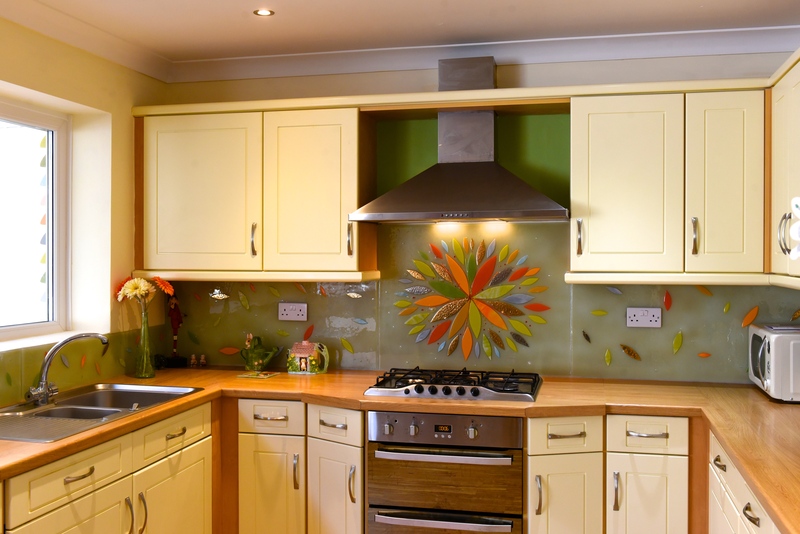 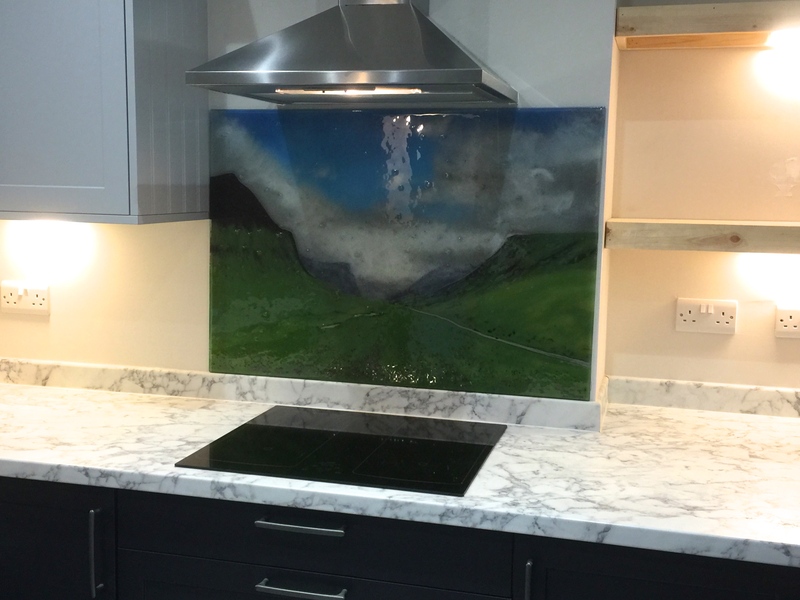 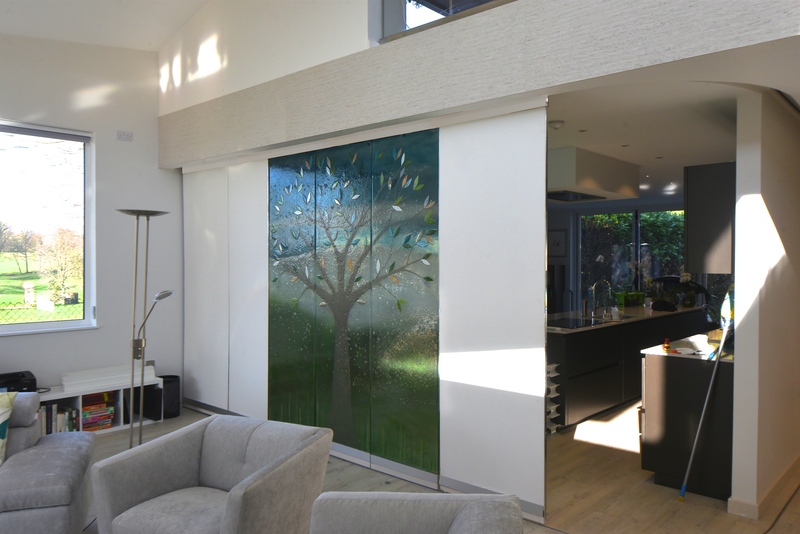 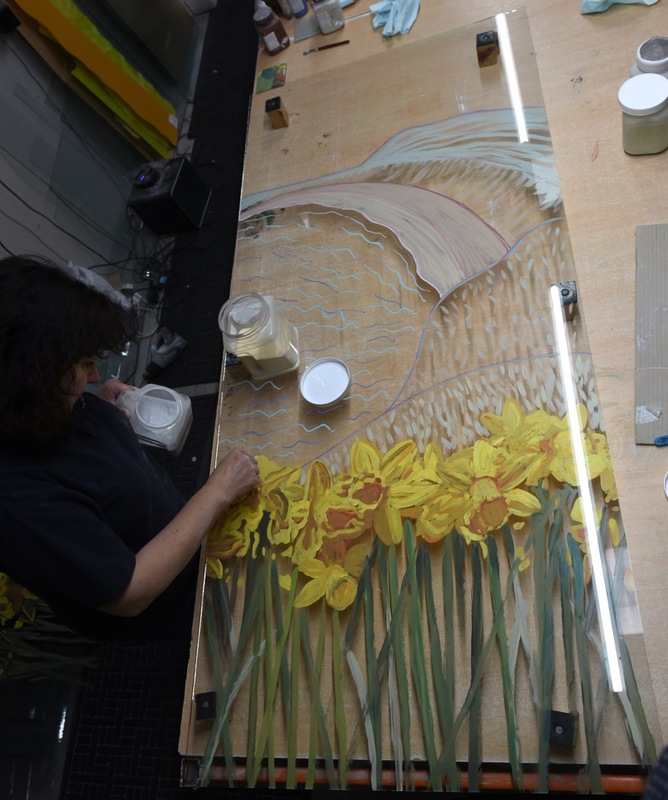 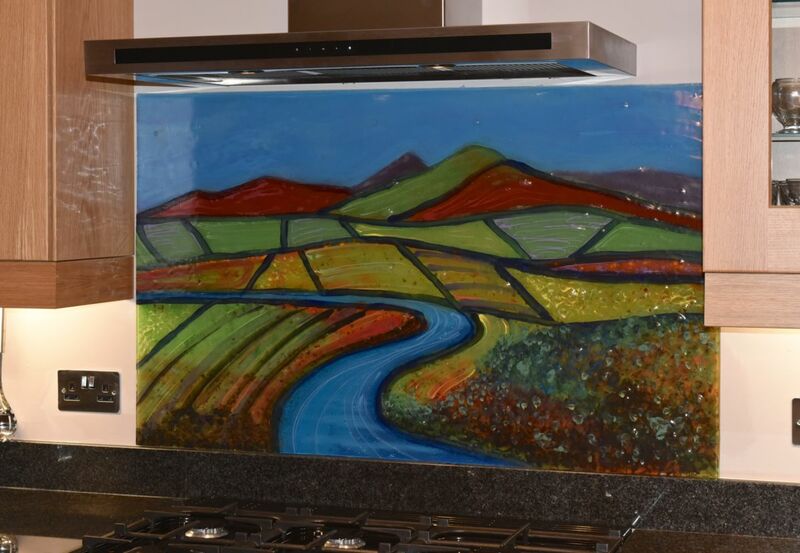 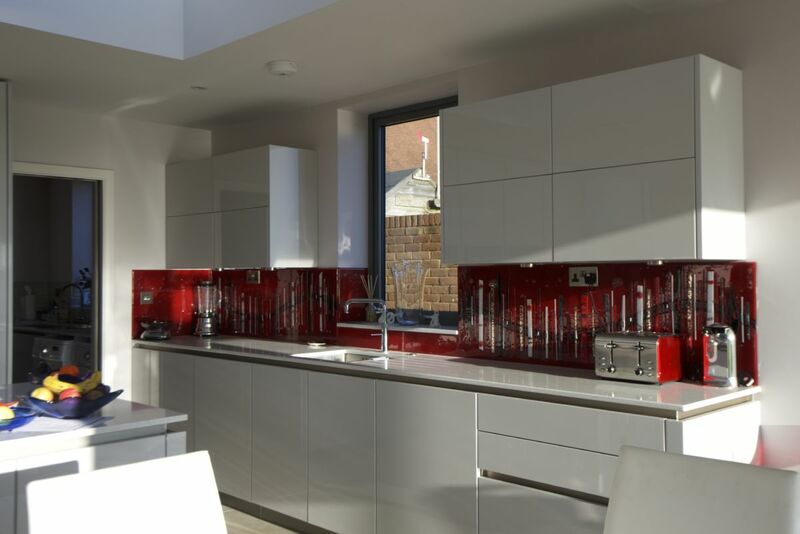 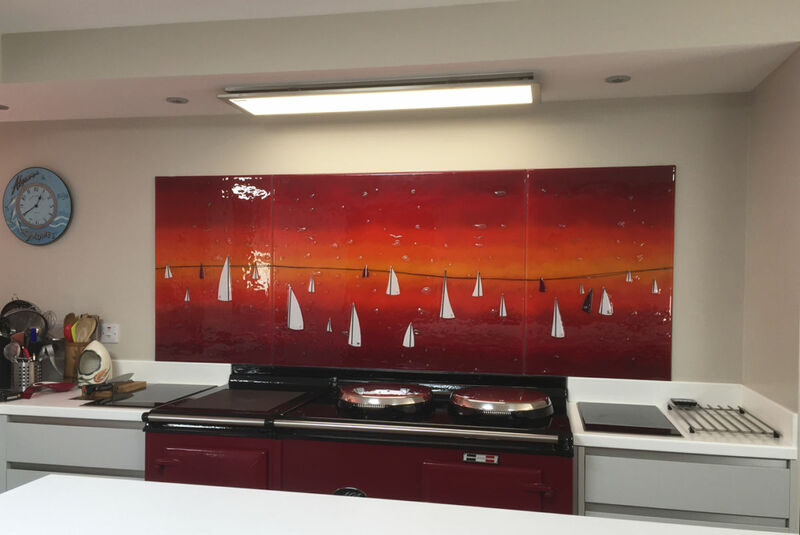 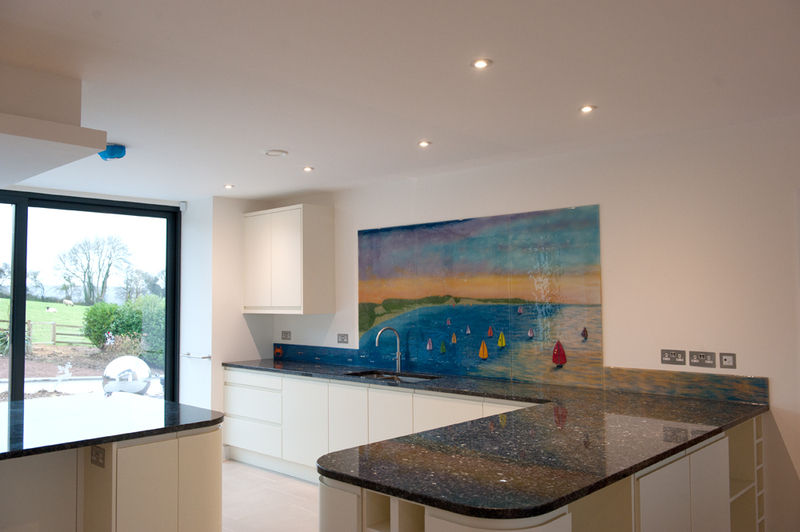 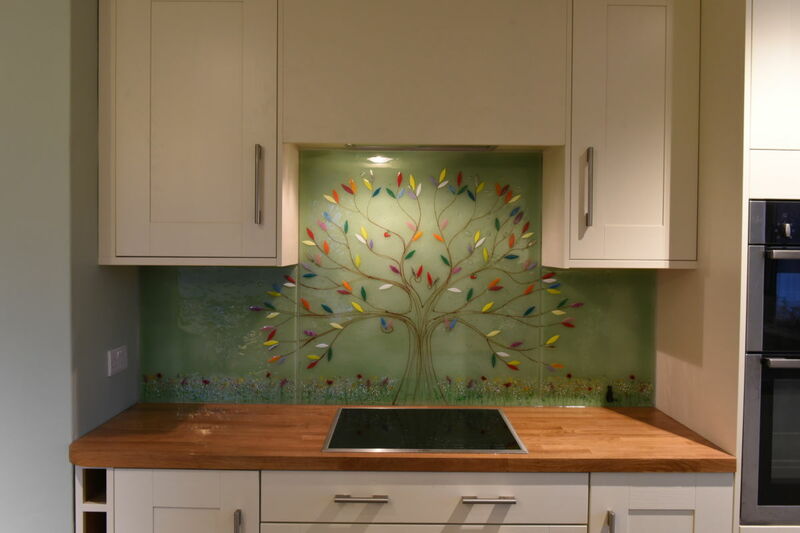 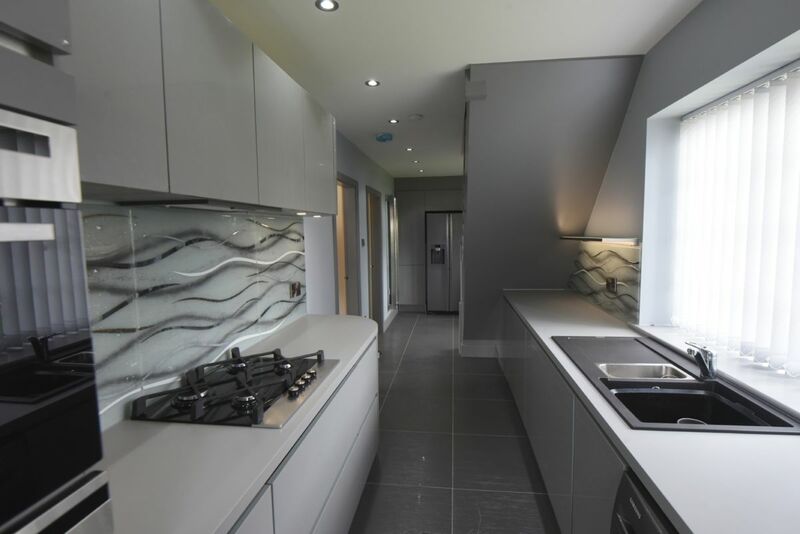 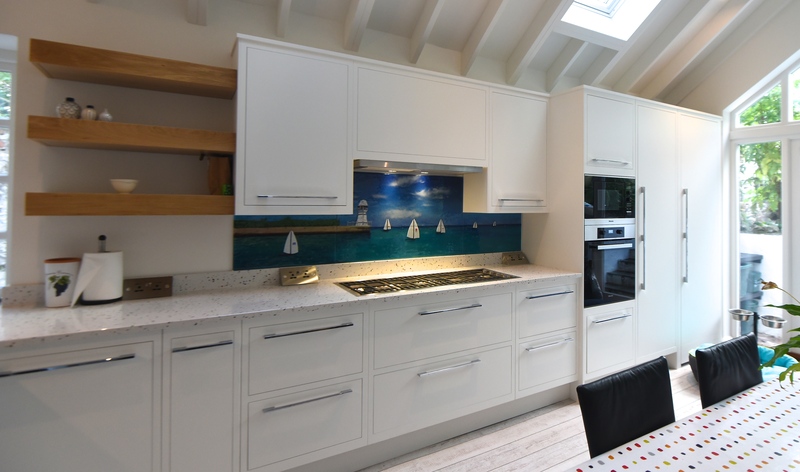 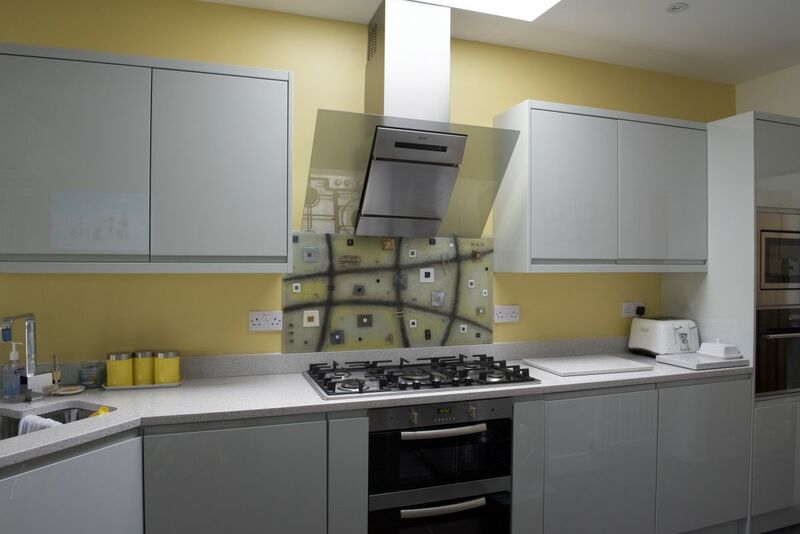 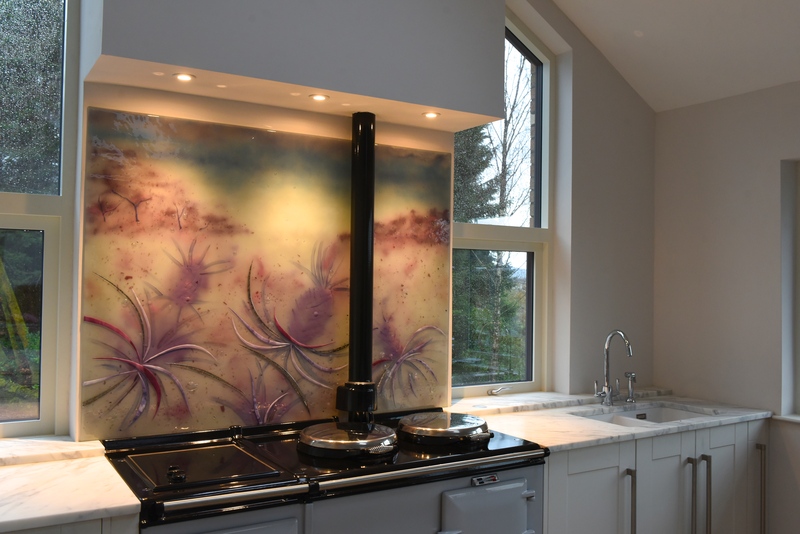 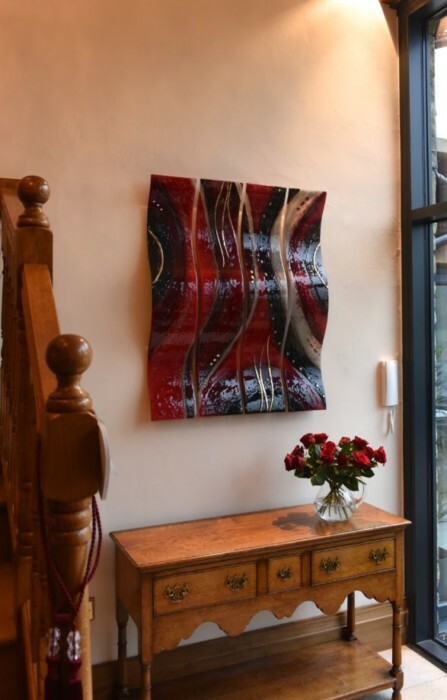 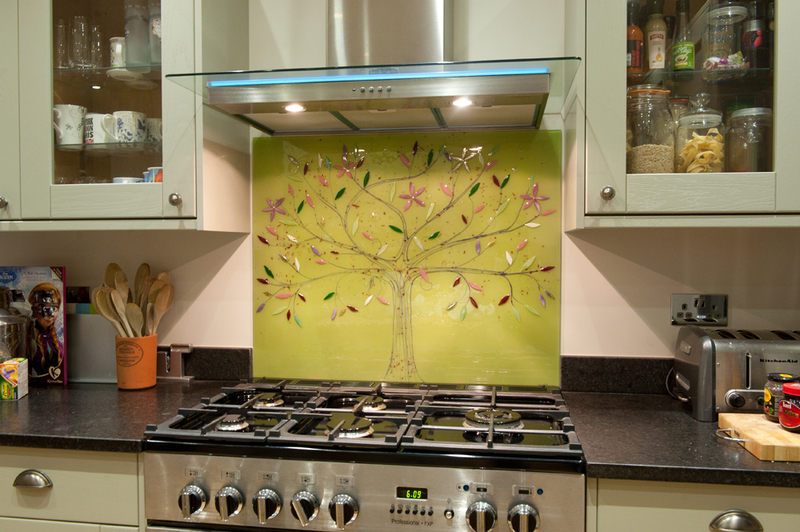 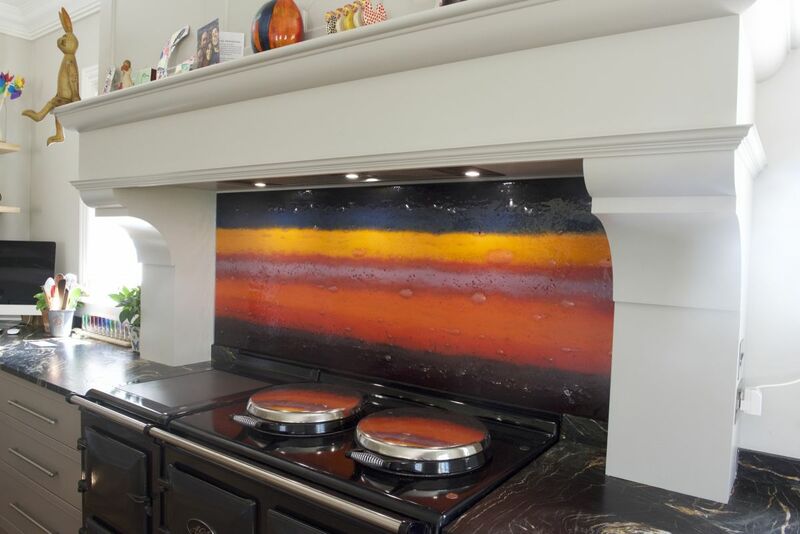 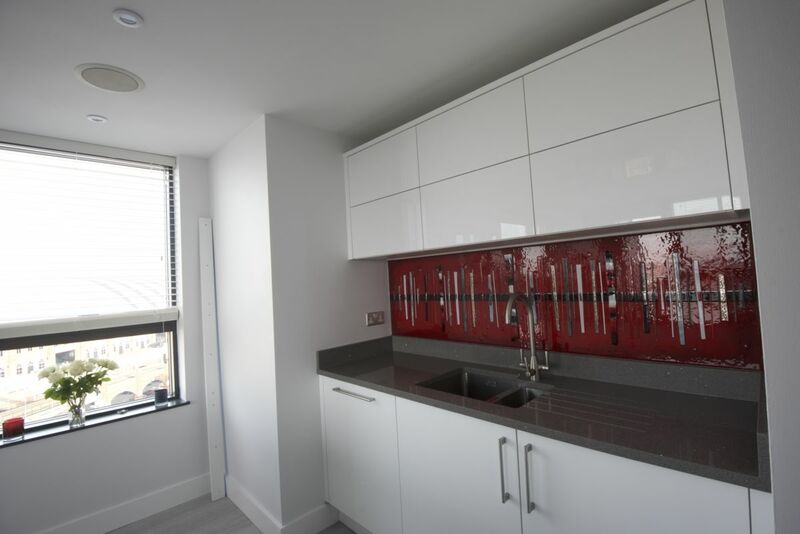 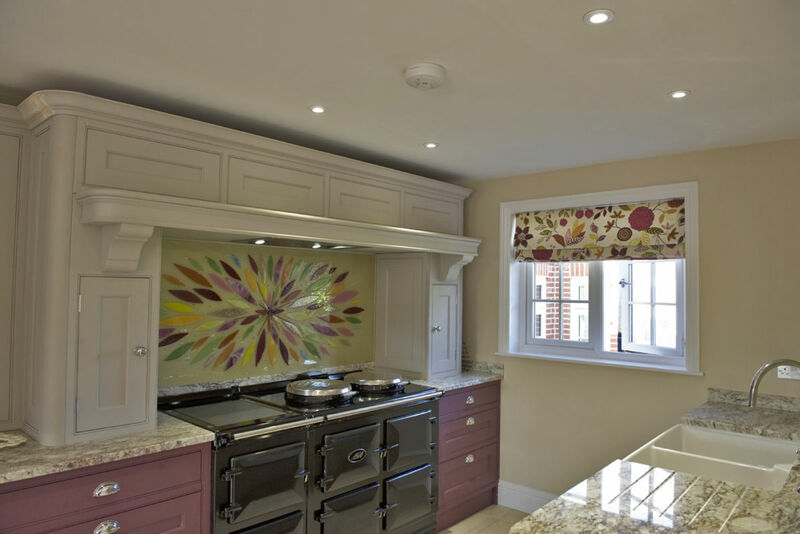 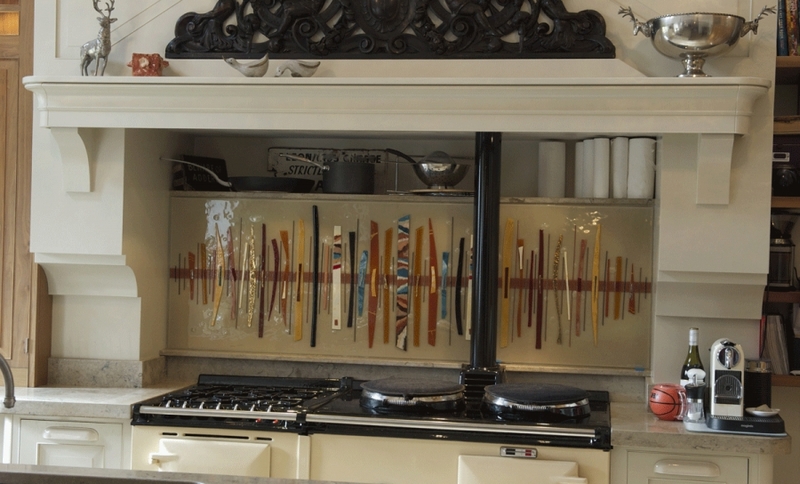 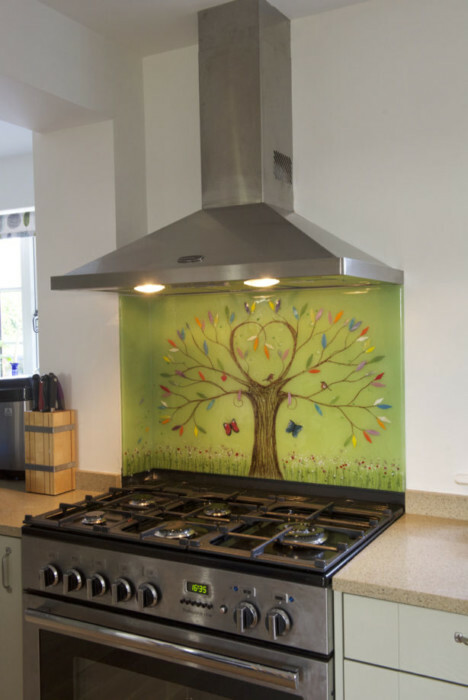 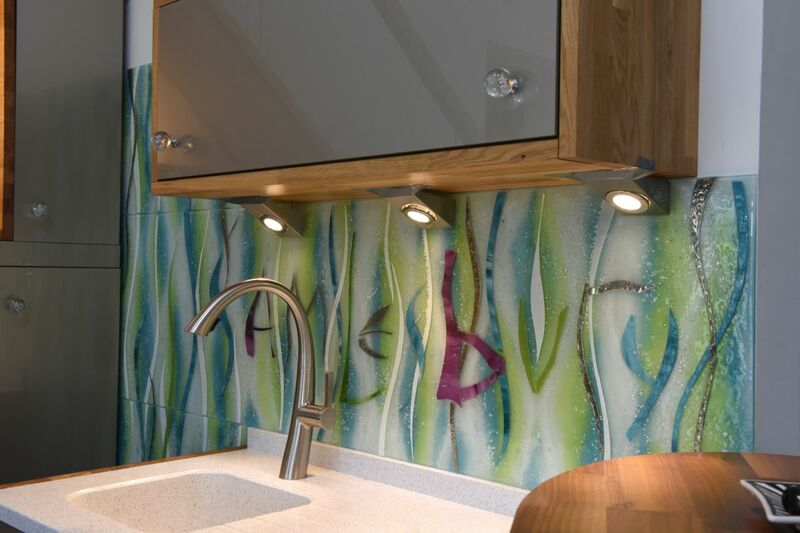 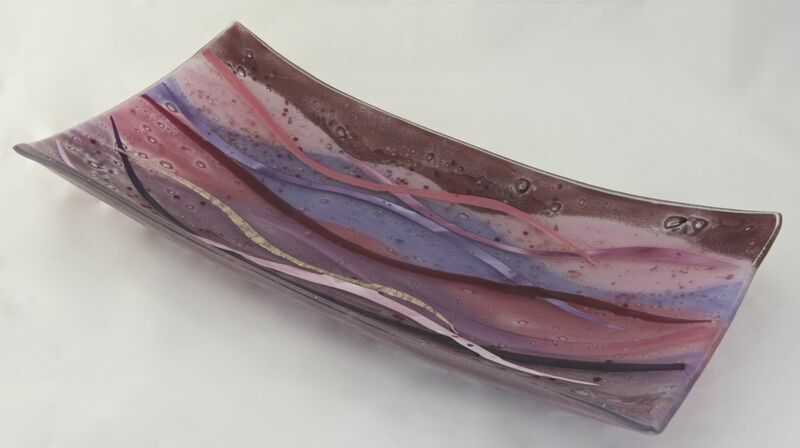 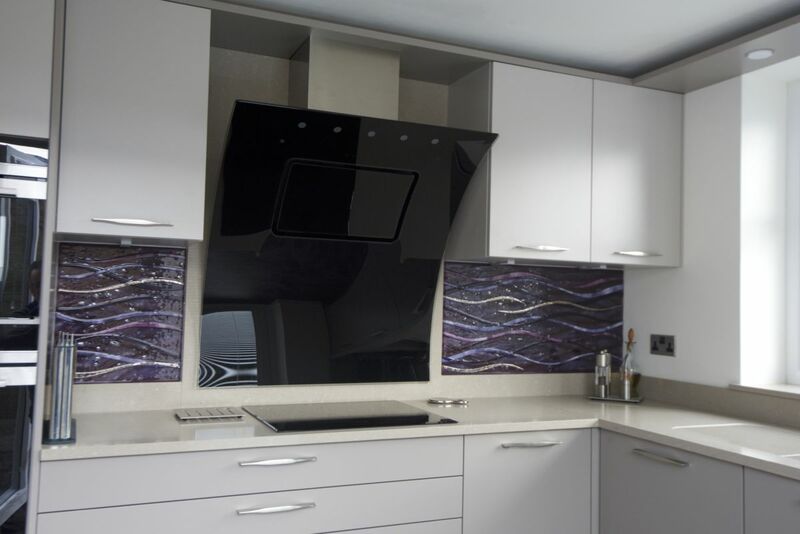 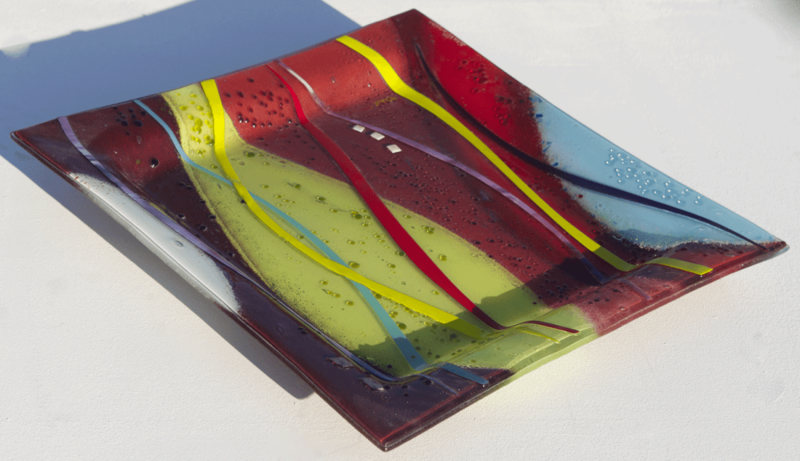 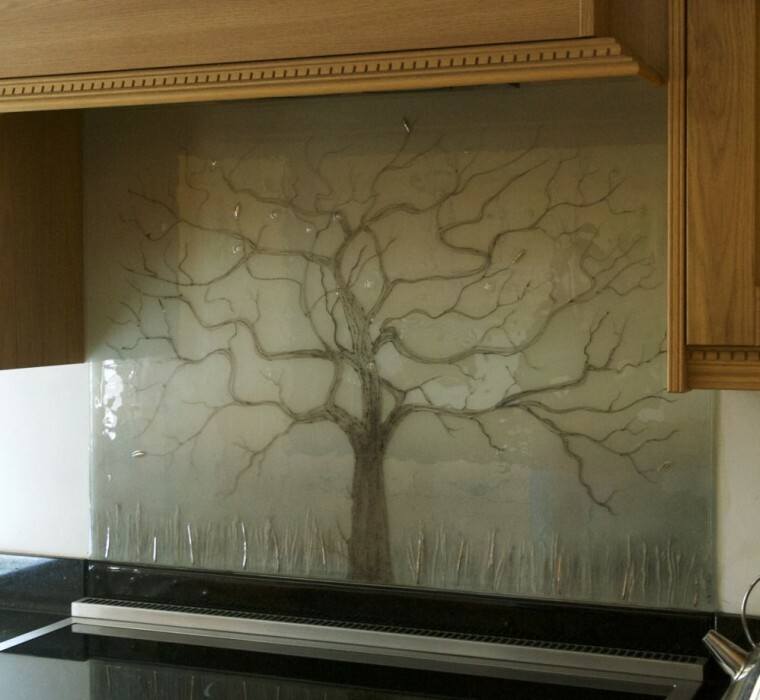 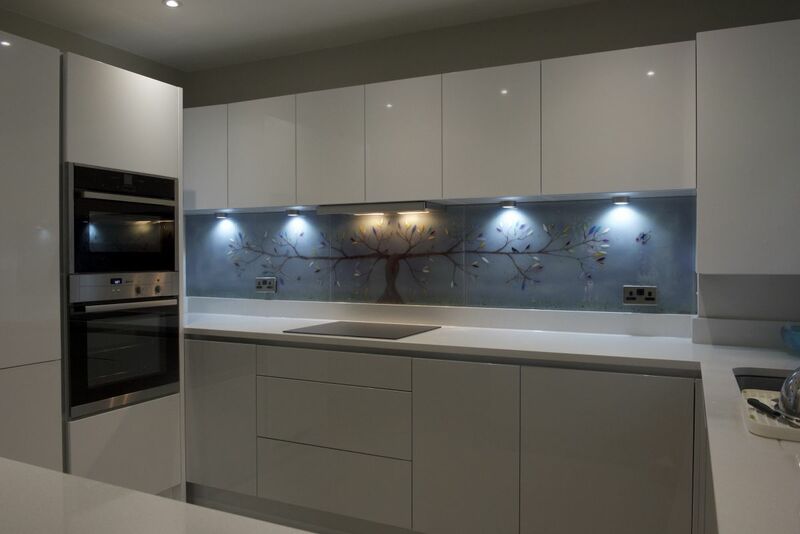 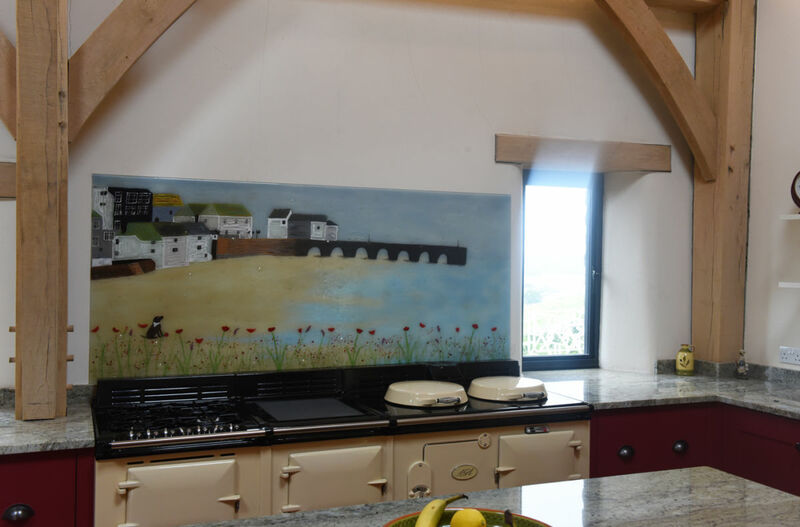 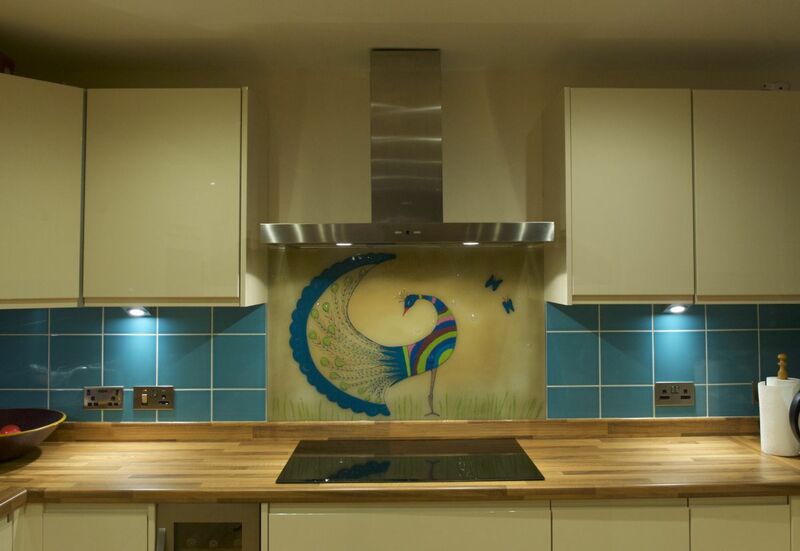 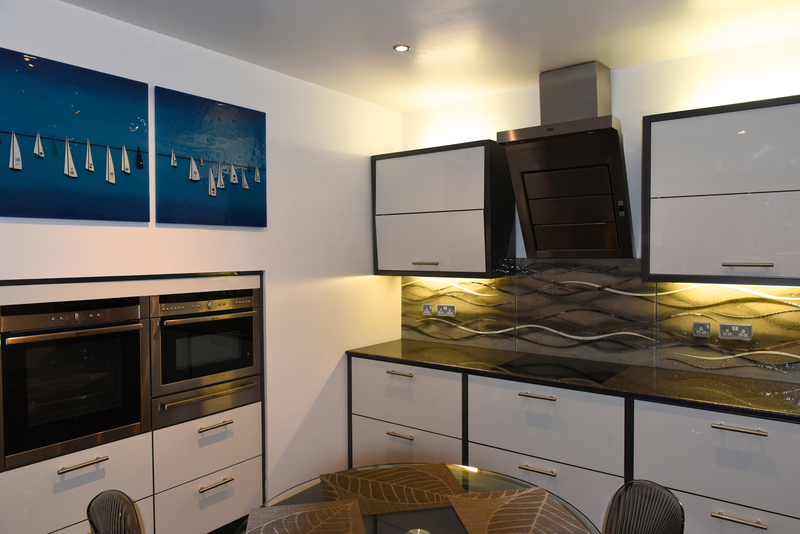 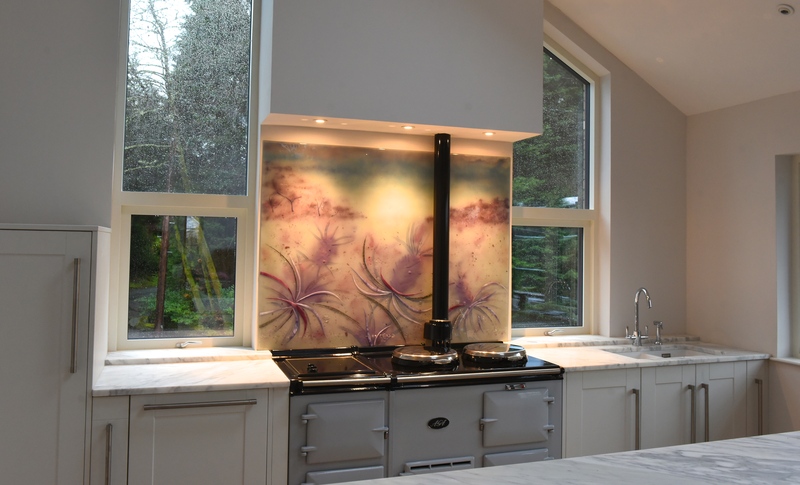 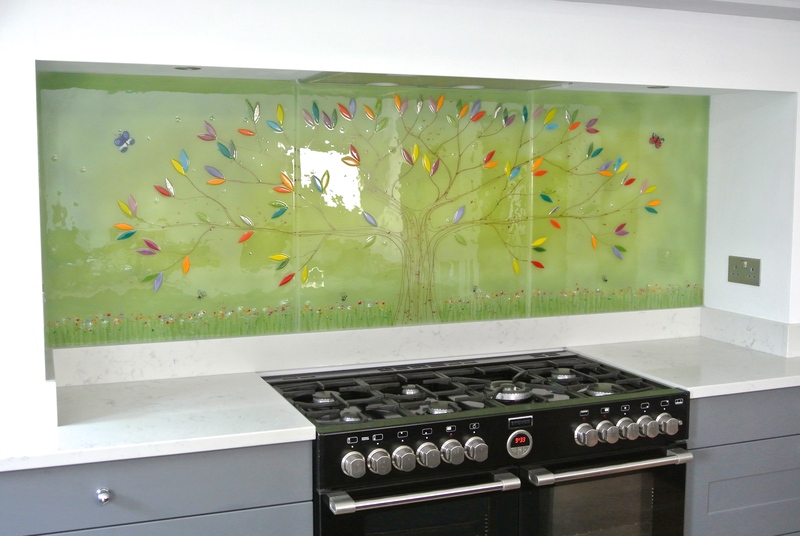 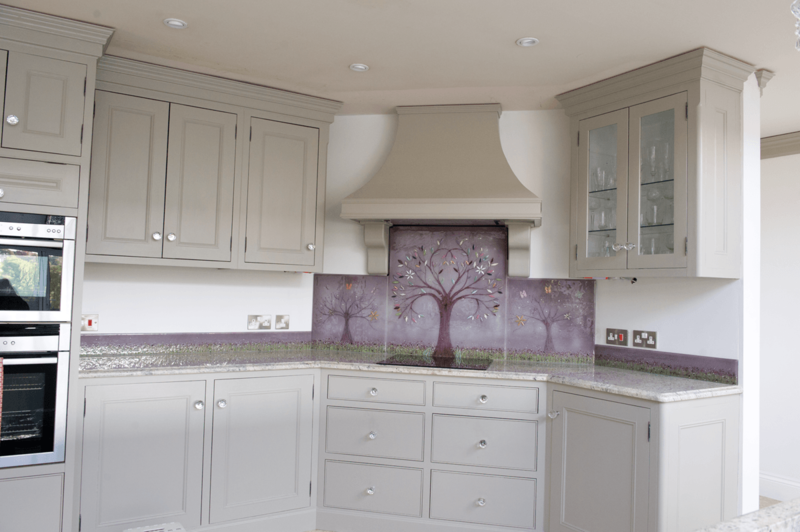 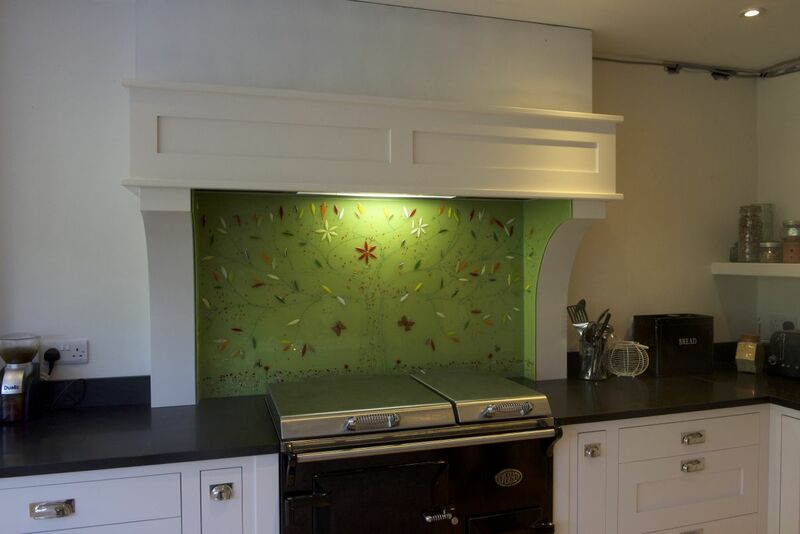 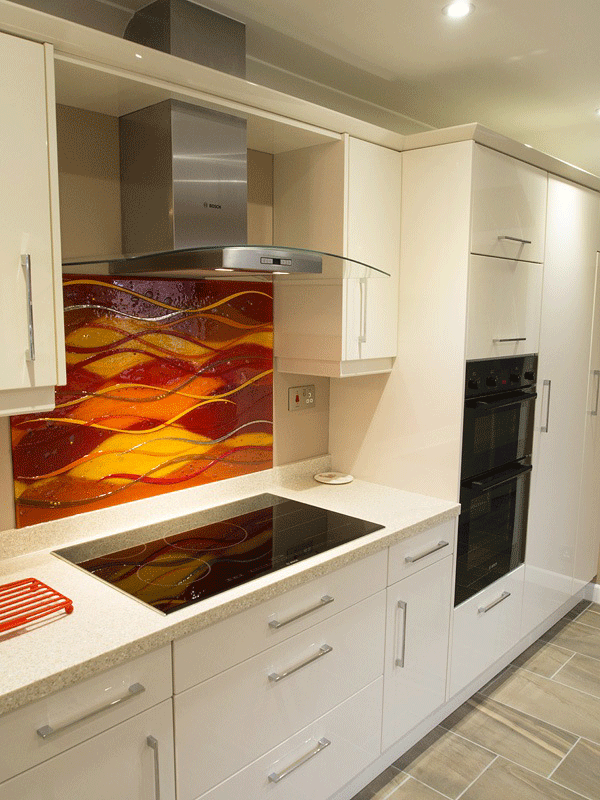 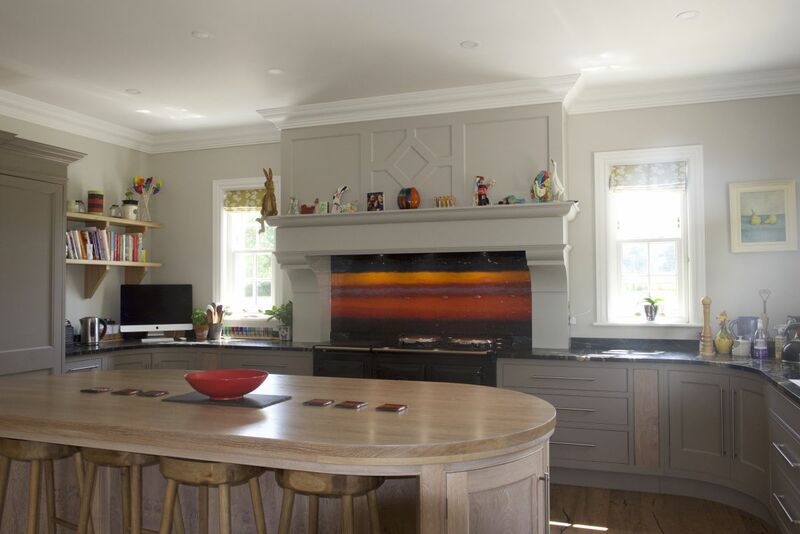 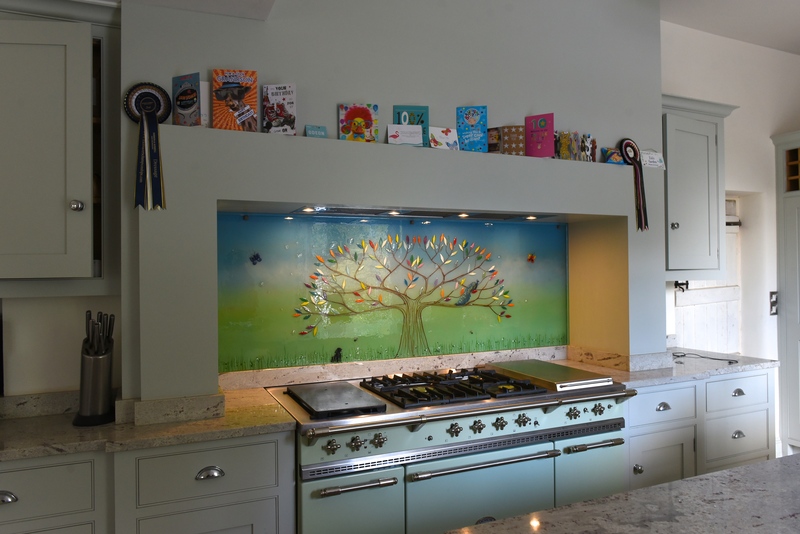 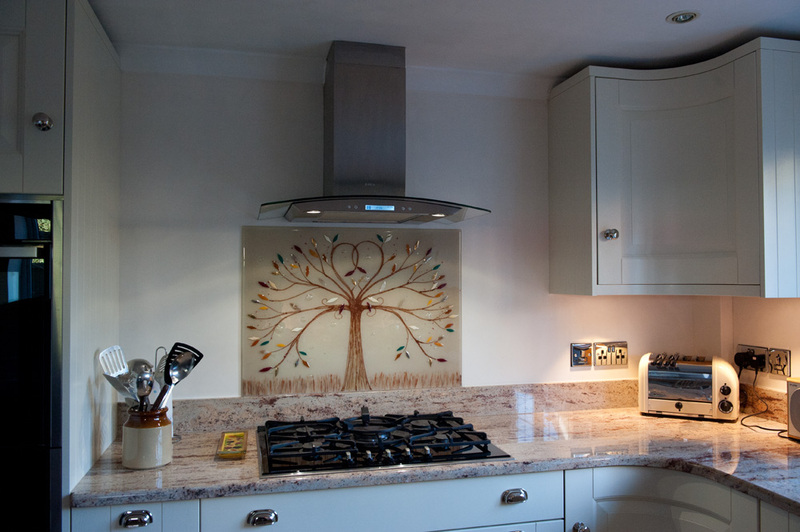 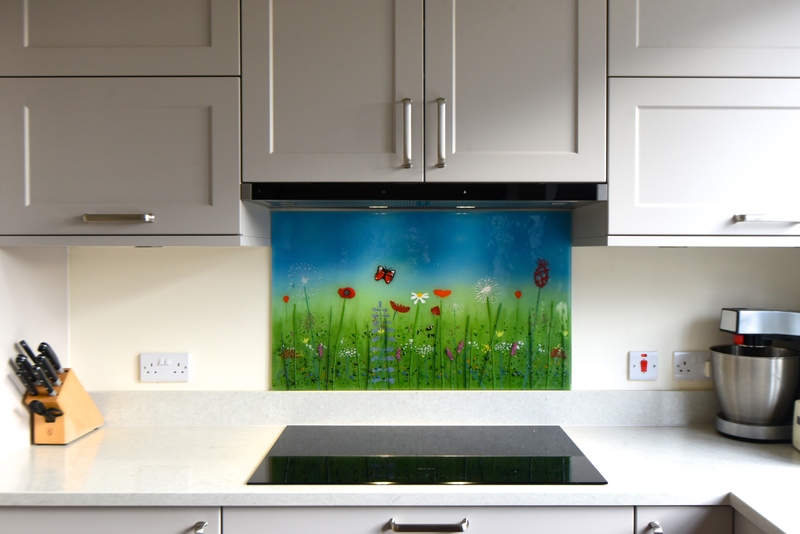 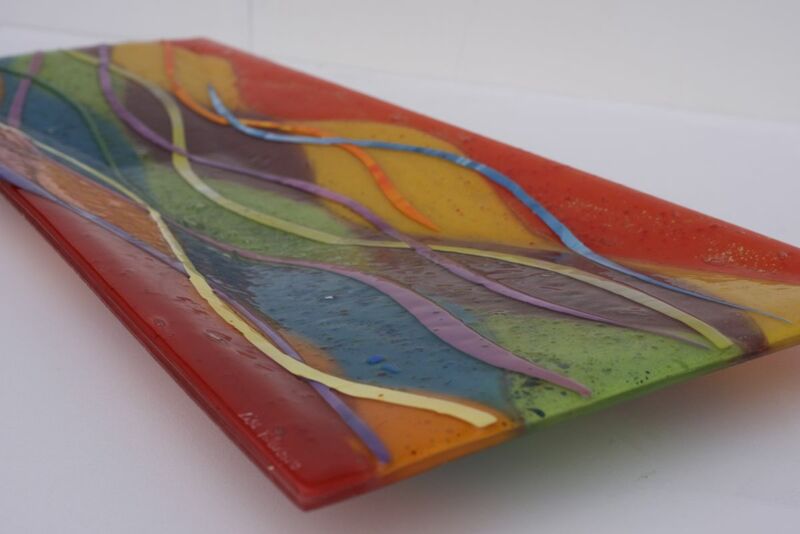 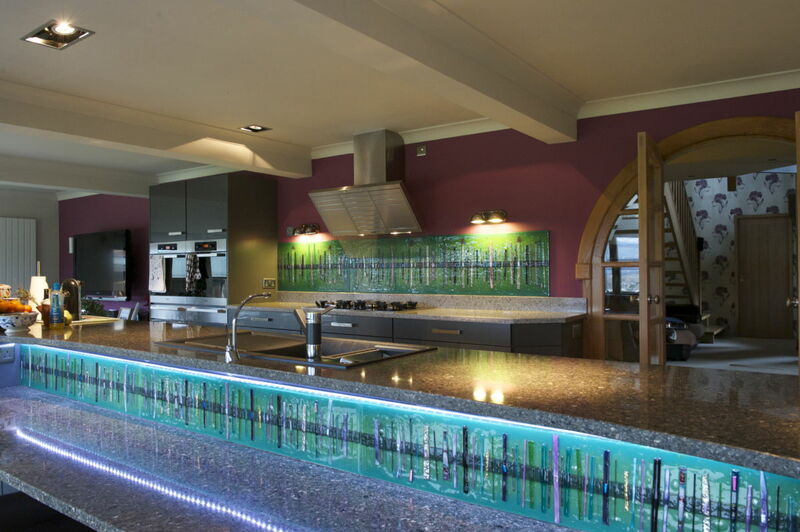 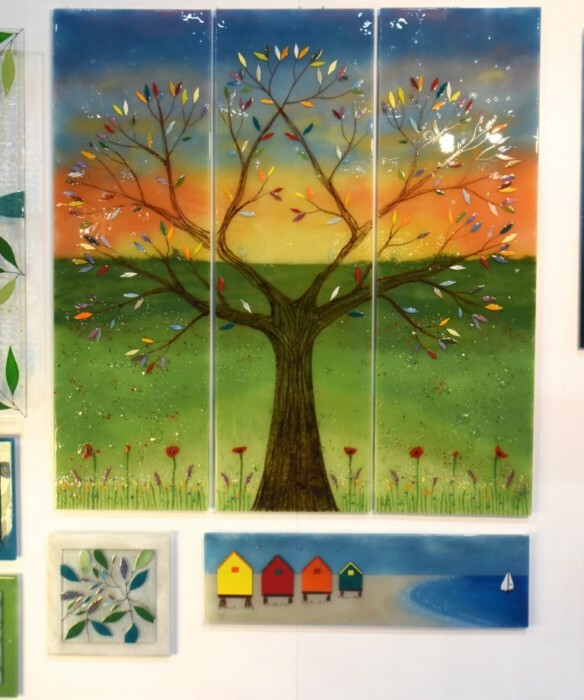 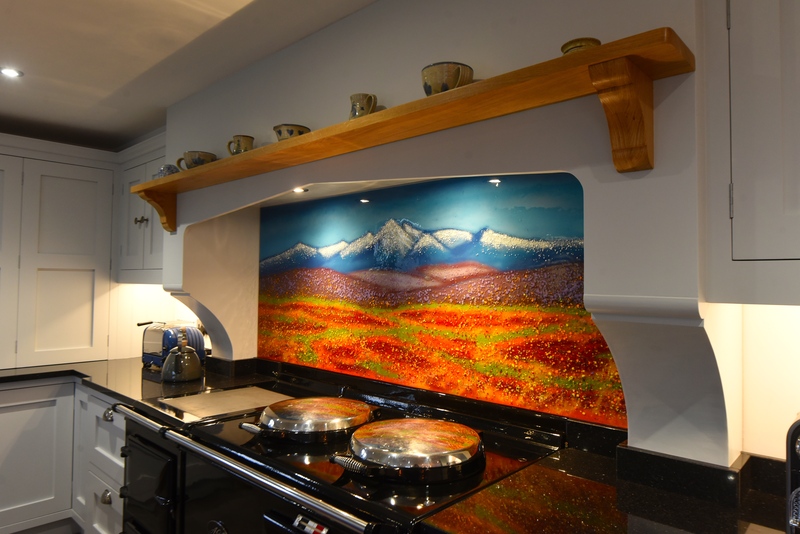 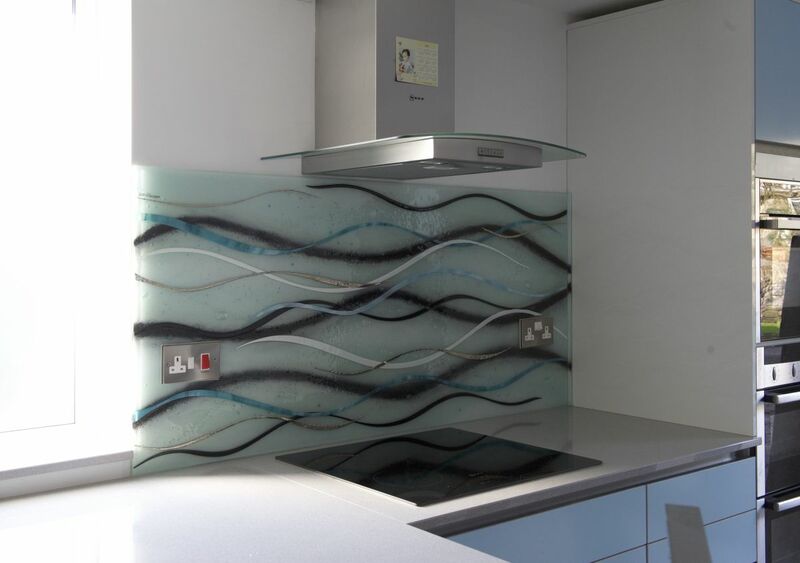 Even if you want to go for a different design altogether, or you have your own idea for a completely bespoke piece, we can guarantee that our fused glass will always make a huge difference in your home. 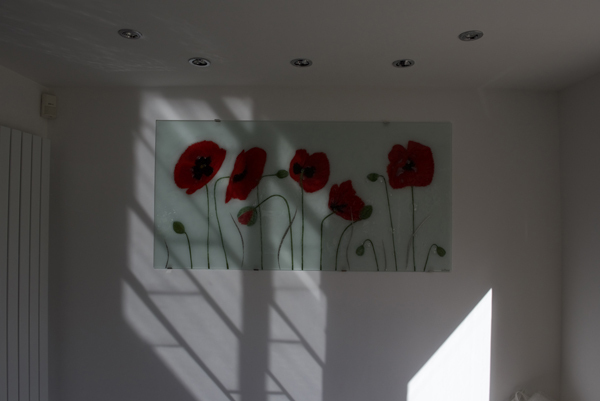 Whether you want a grand centre piece or something to complete the look of a room a little more subtly, we’ve got what you need. 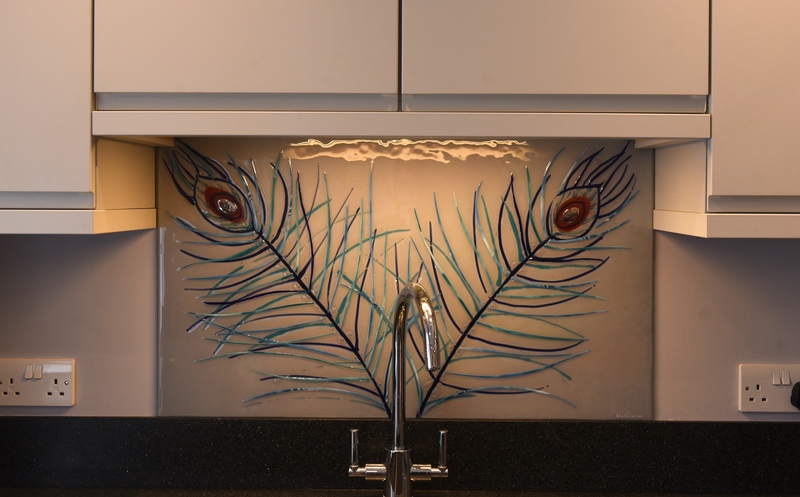 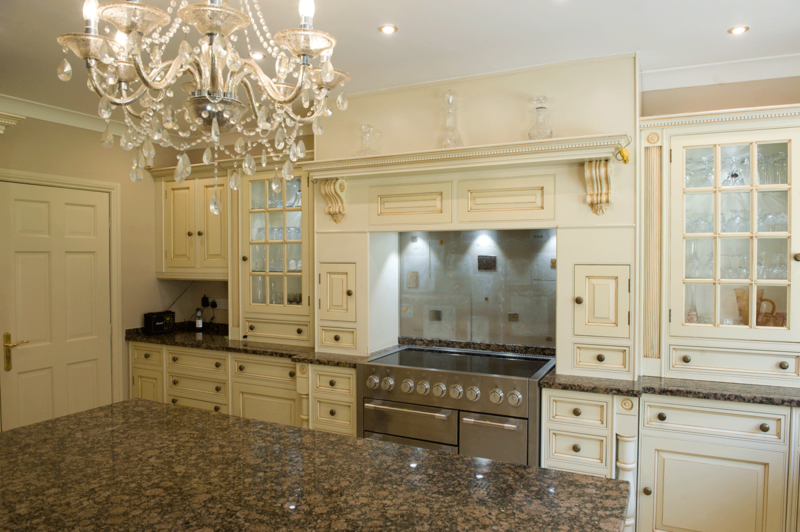 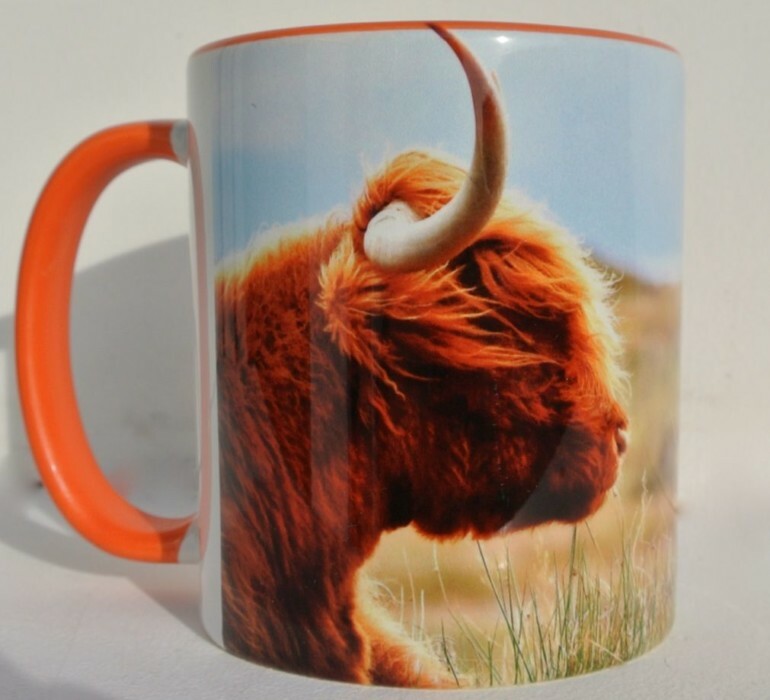 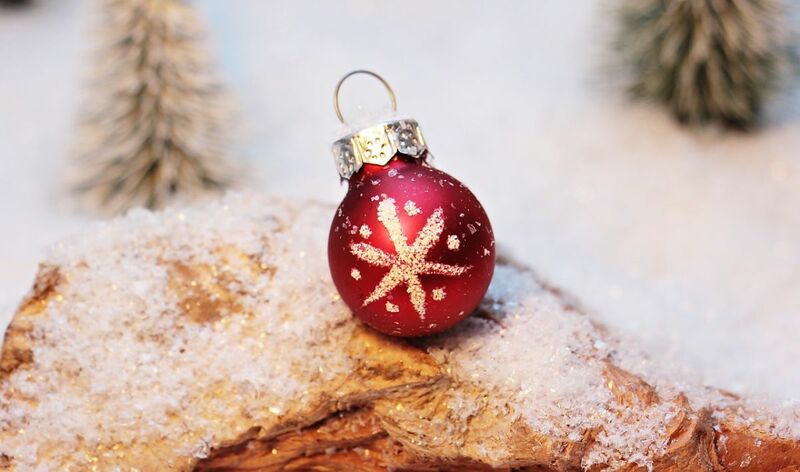 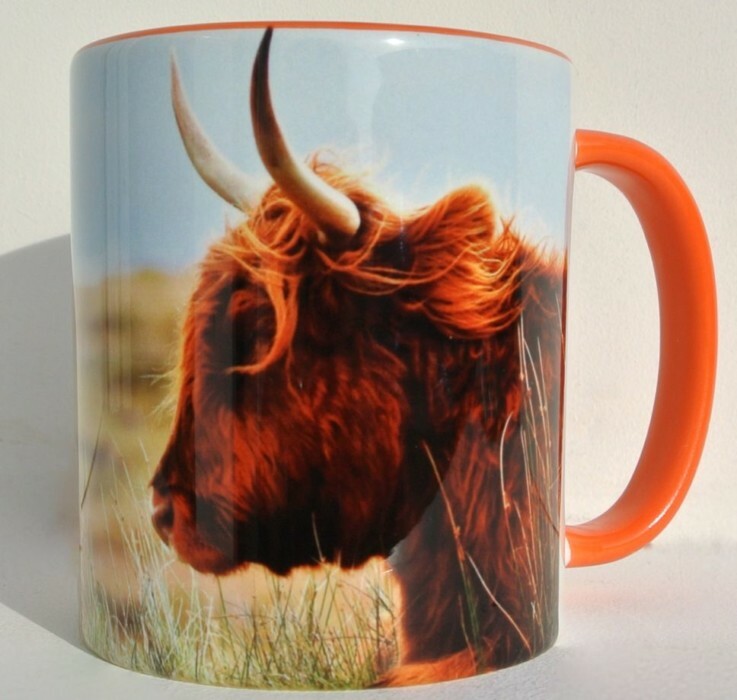 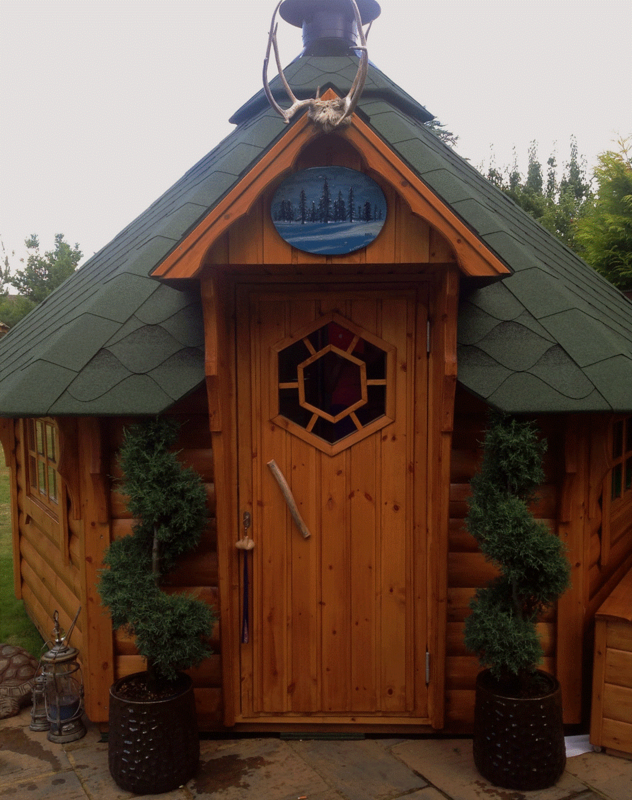 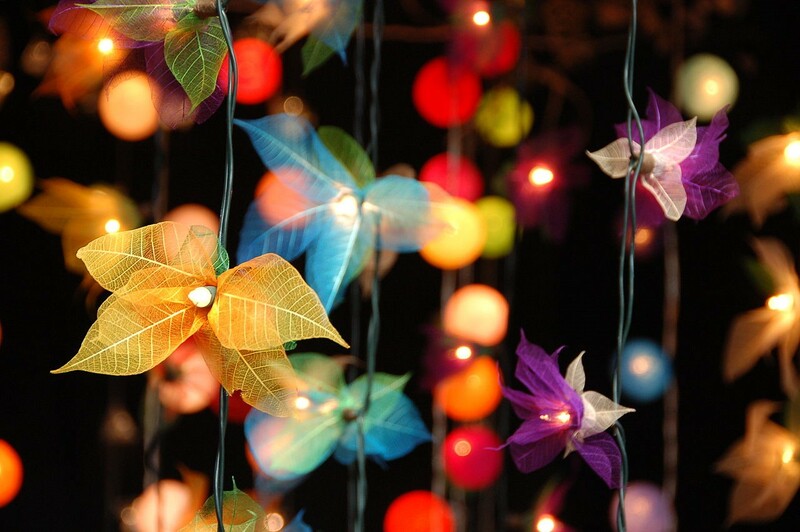 If you’ve been looking for something special to dress up your home, and you won’t settle for anything less than the best, you’ve definitely come to the right place. 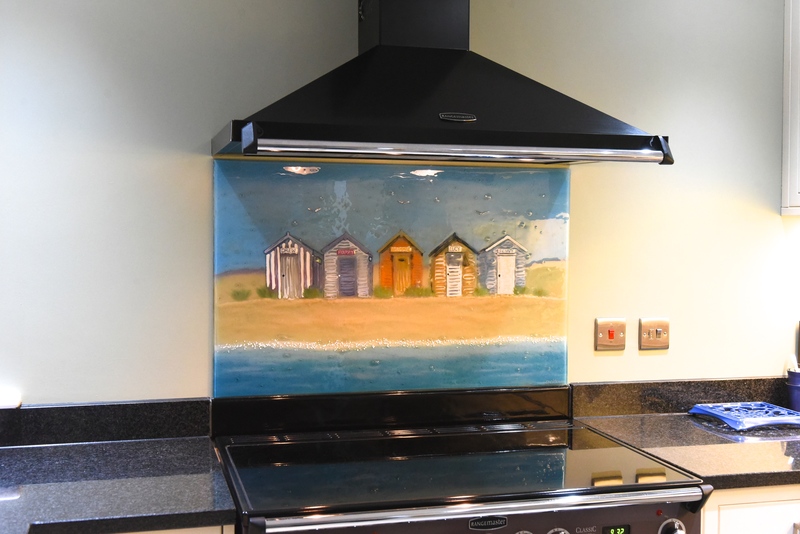 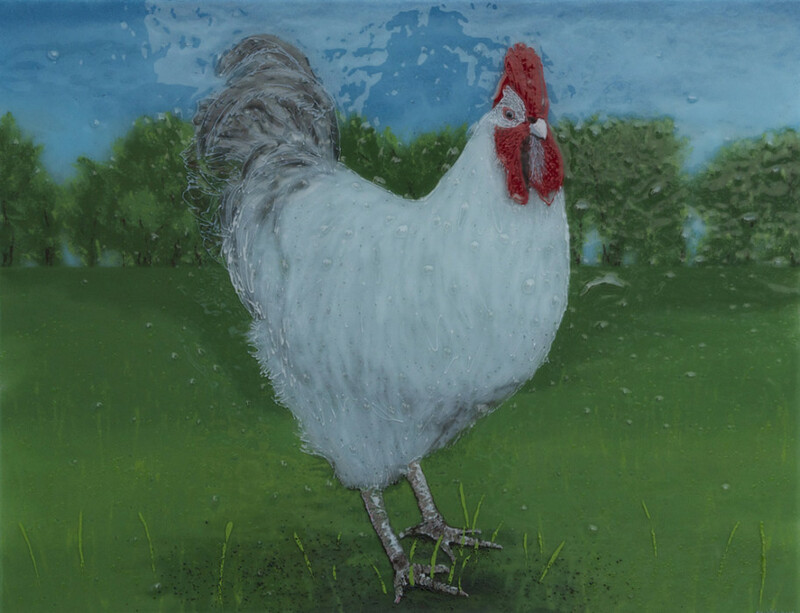 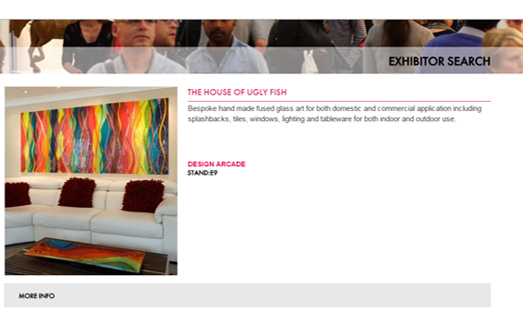 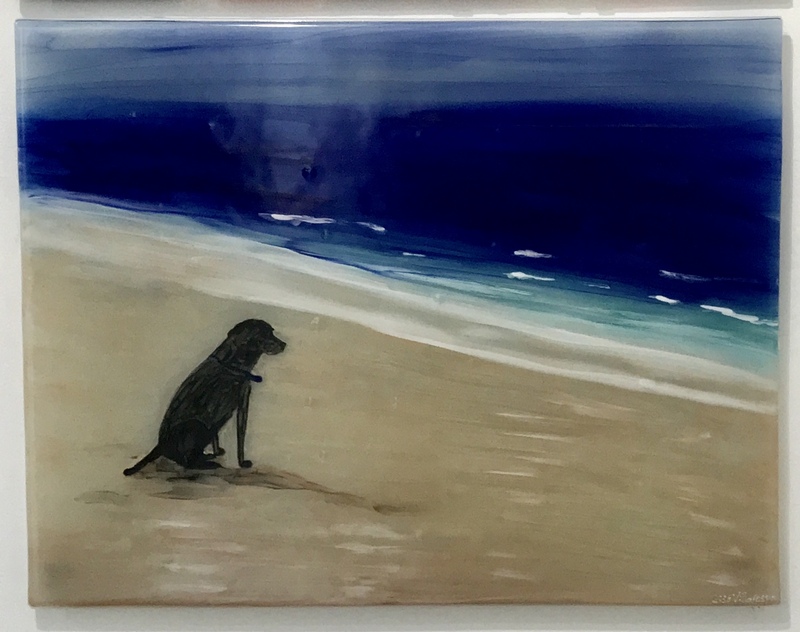 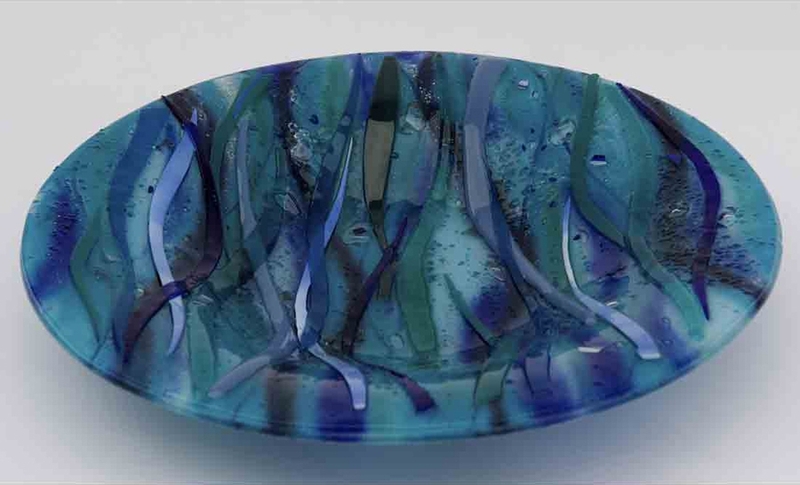 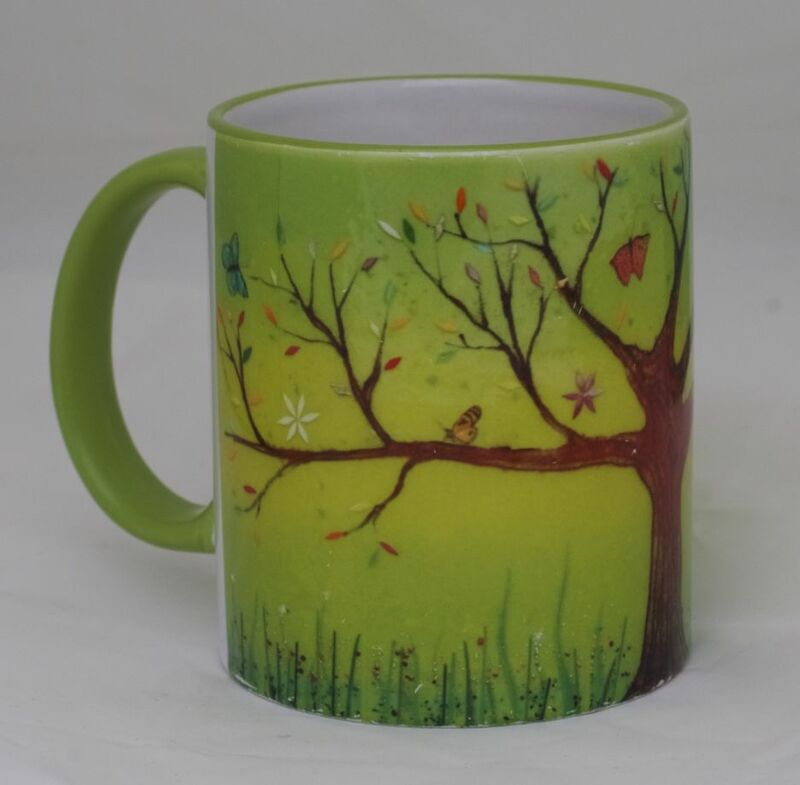 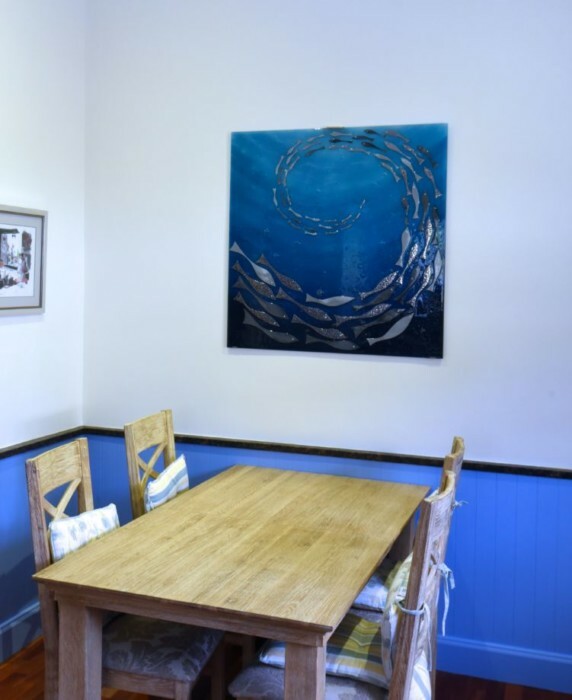 Here at The House of Ugly Fish, we’re experts when it comes to getting you the most perfect fused glass art for the wall and more. 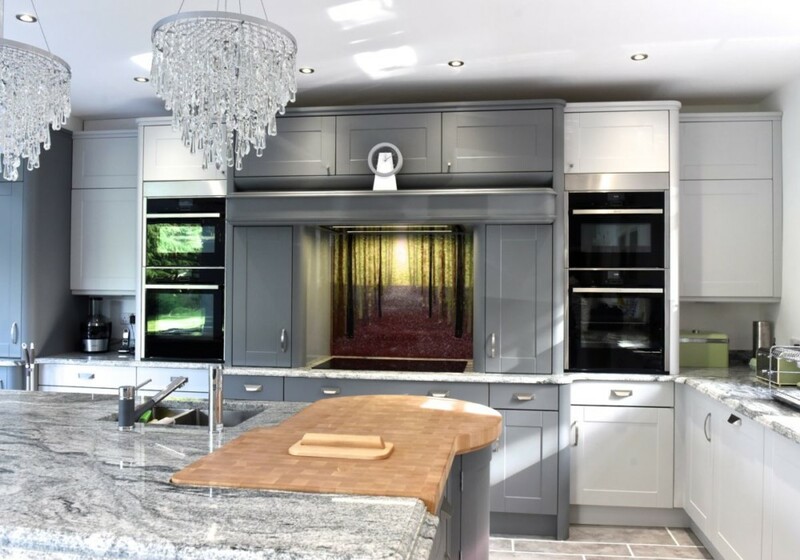 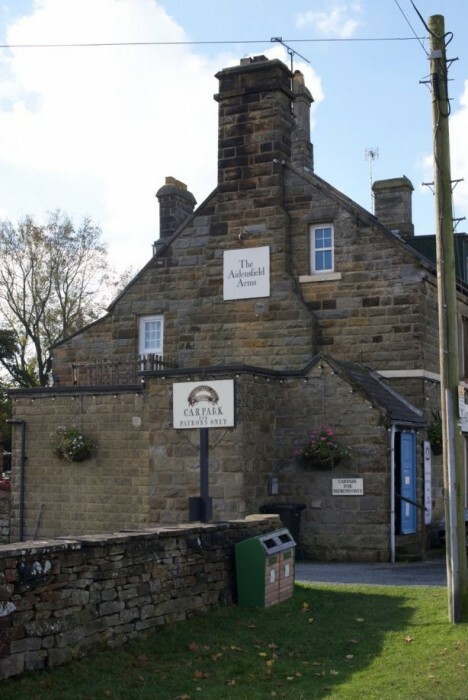 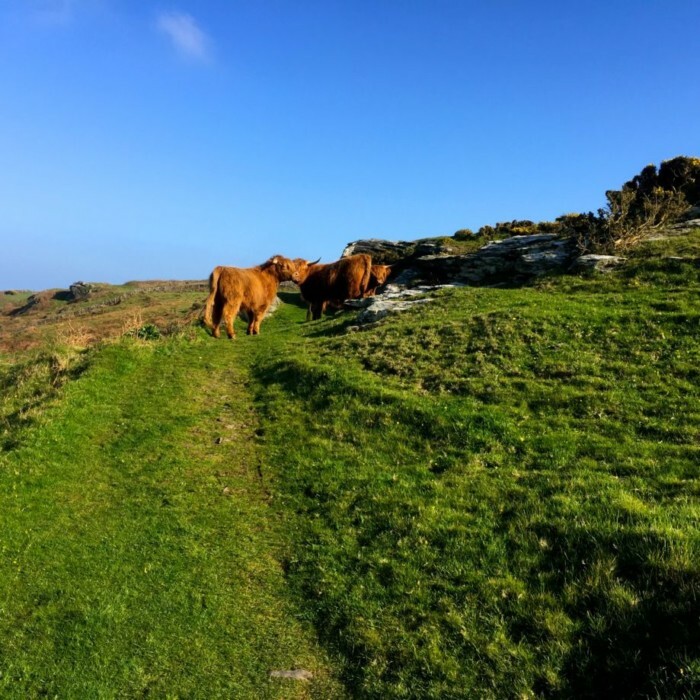 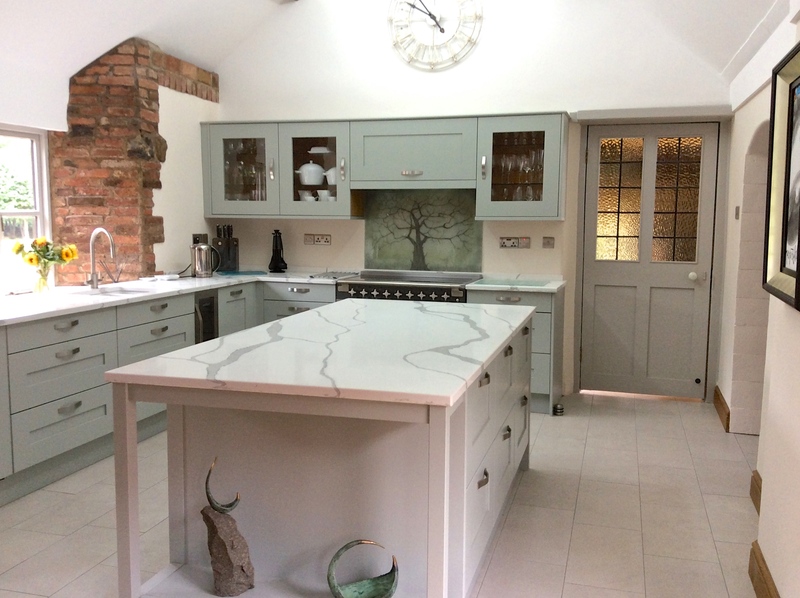 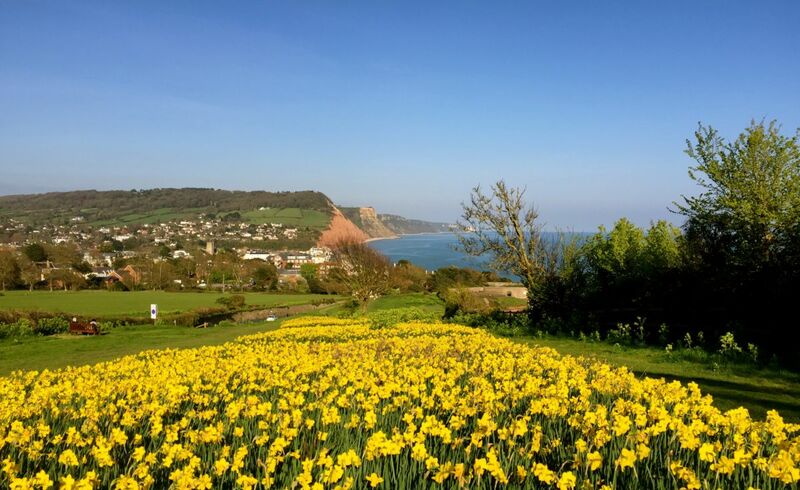 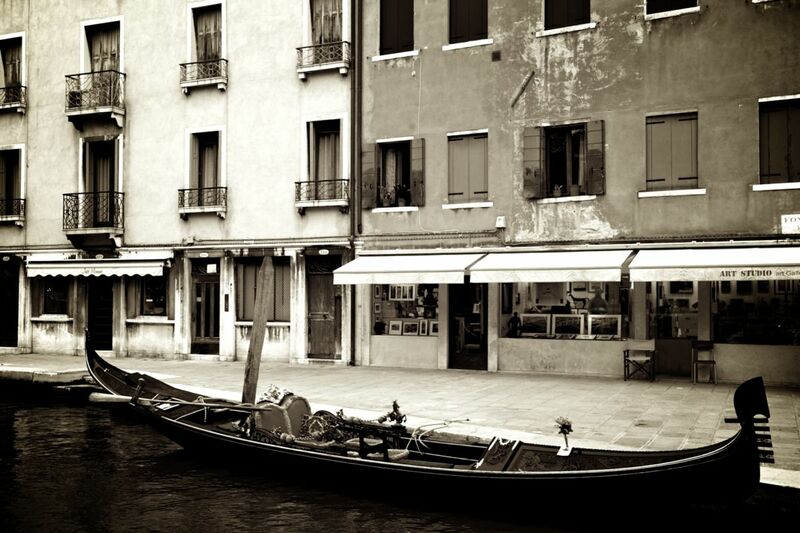 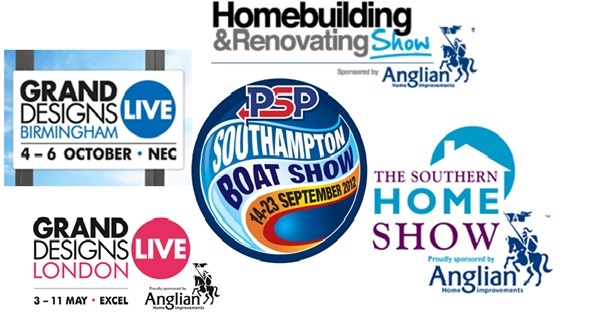 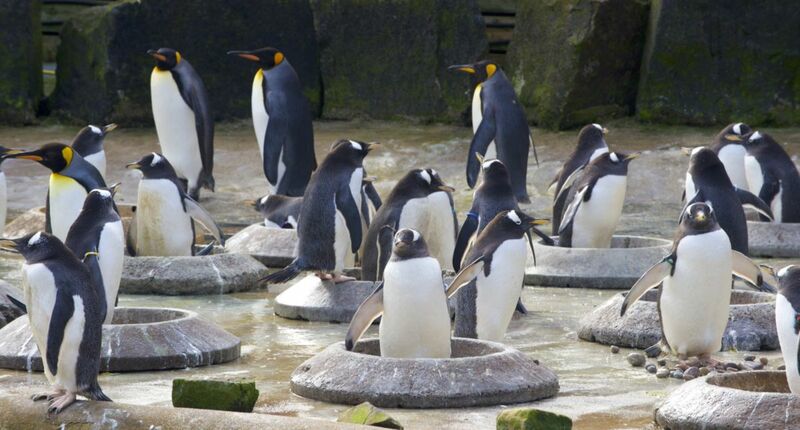 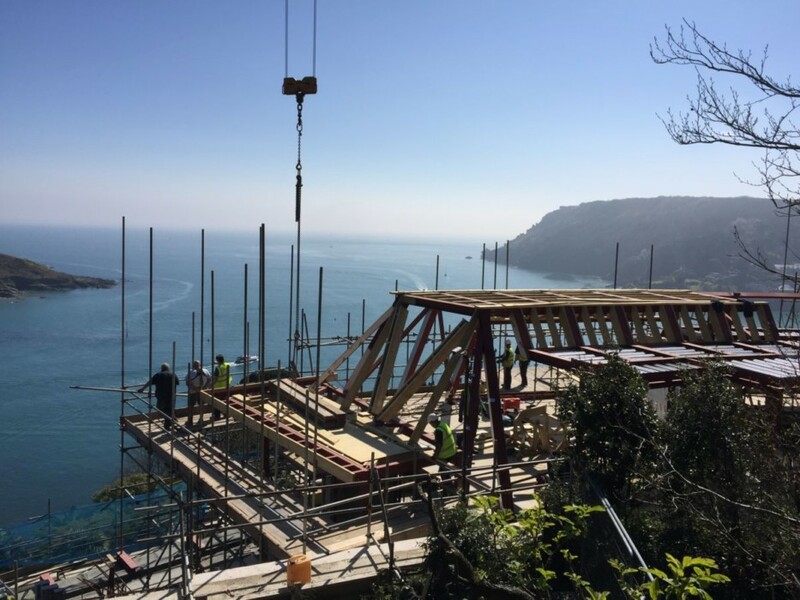 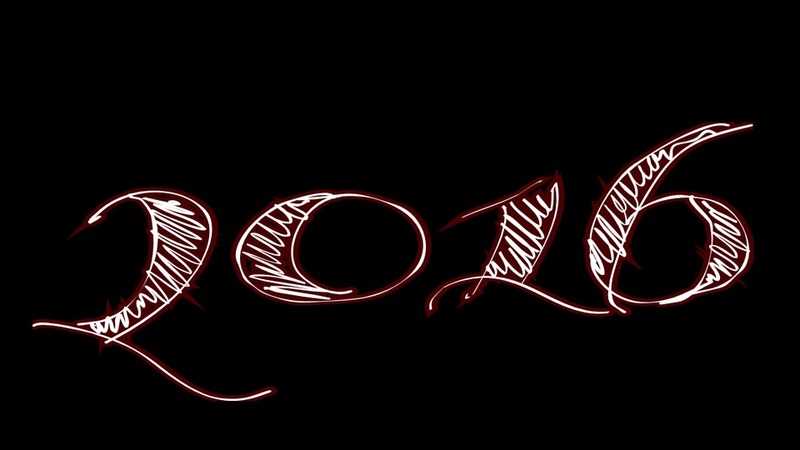 You need only get in contact to make the most of our fully bespoke services, so what’s keeping you from dropping us an email or simply giving us a call? 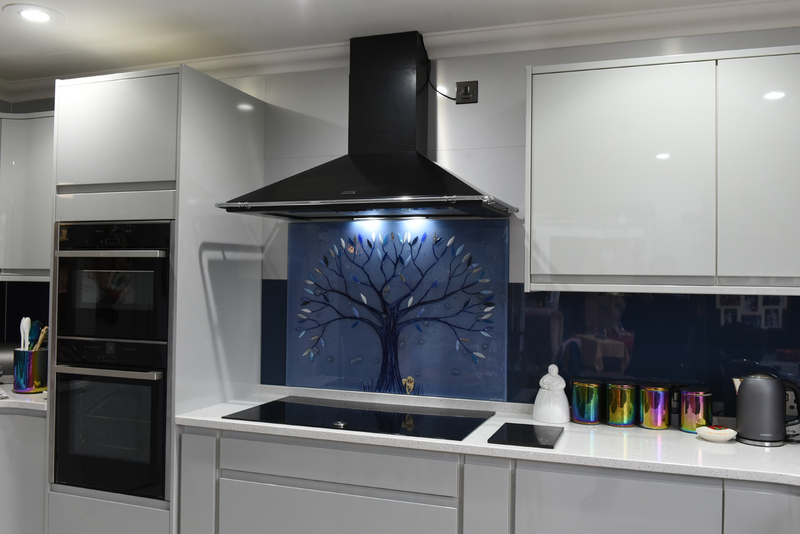 We’ll answer all of your questions and queries, and hopefully we’ll be on the way down with your ideal piece of glass before you know it!